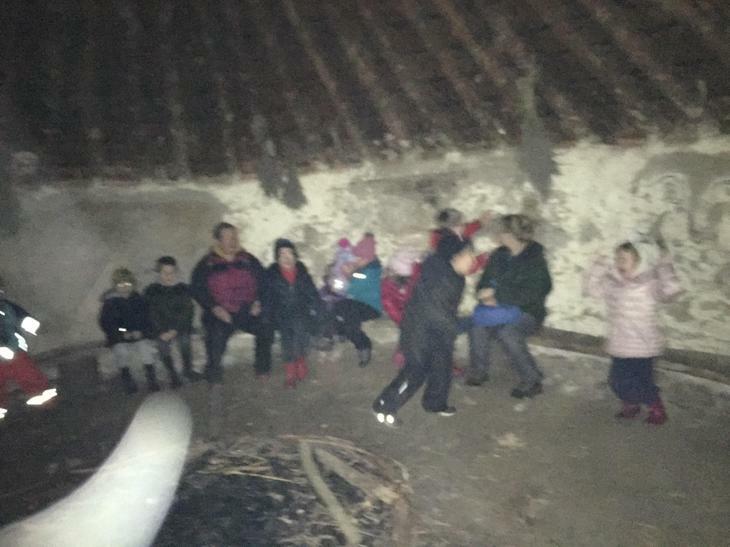 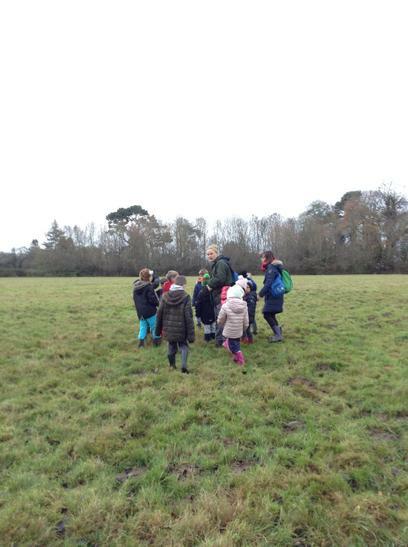 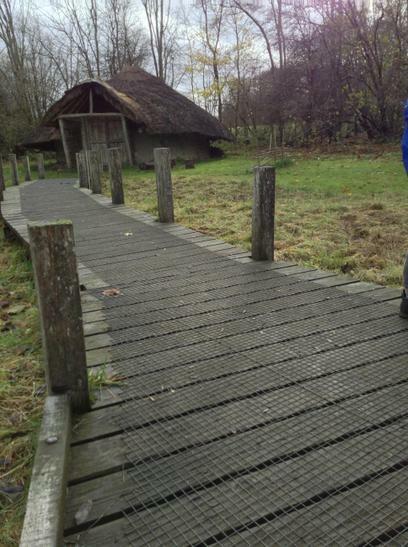 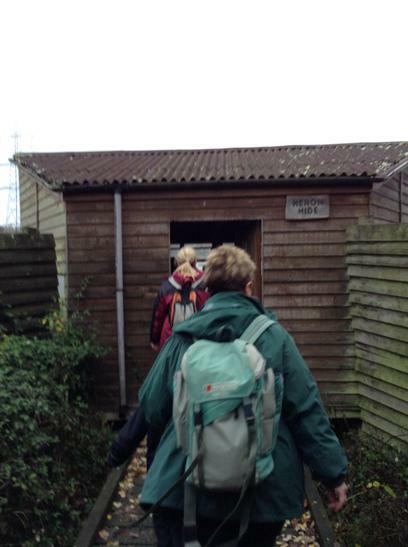 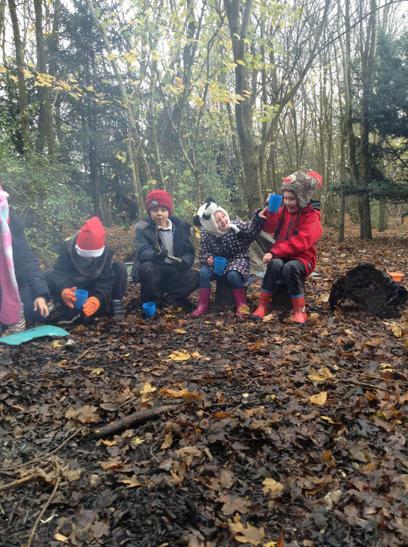 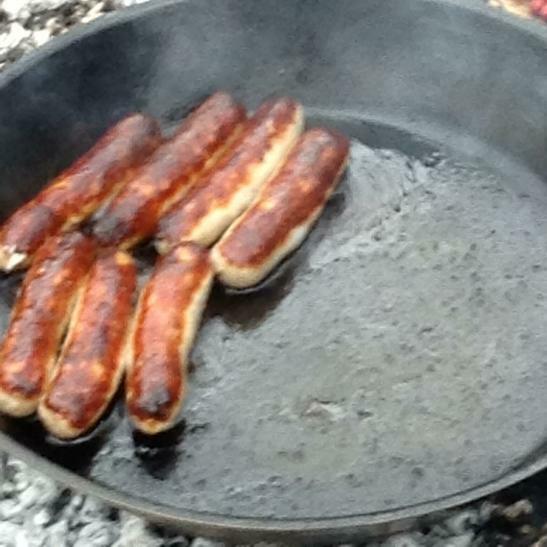 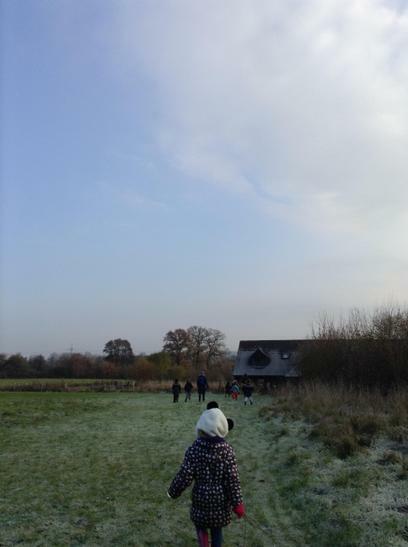 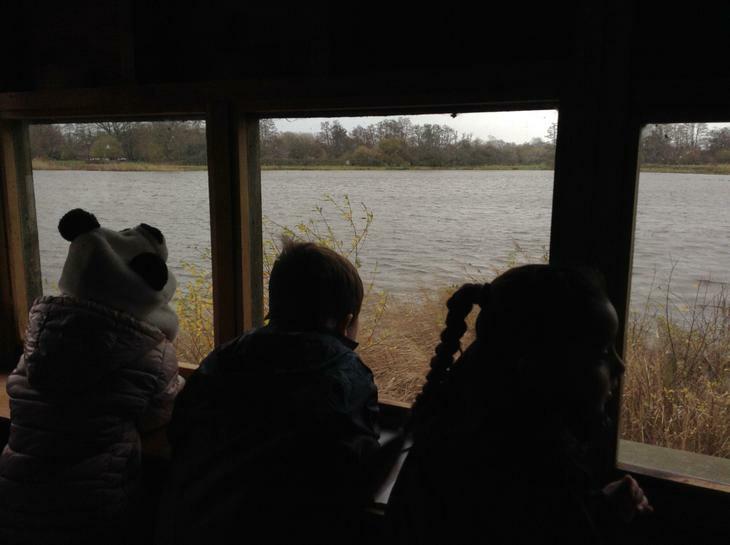 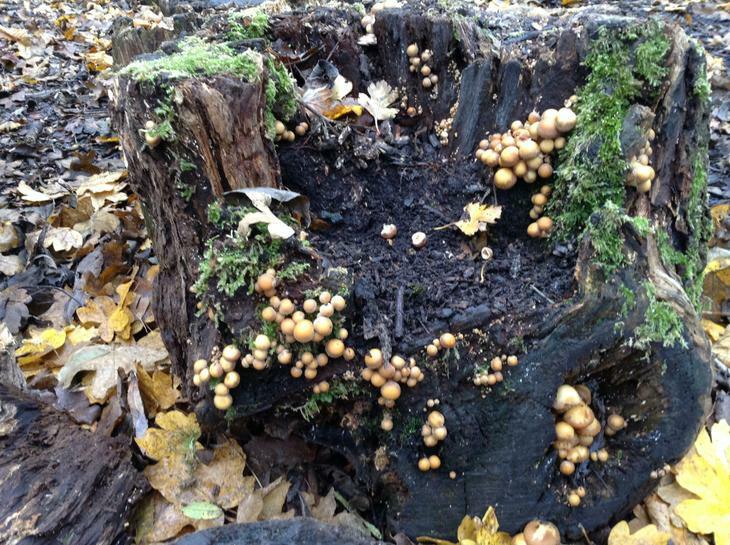 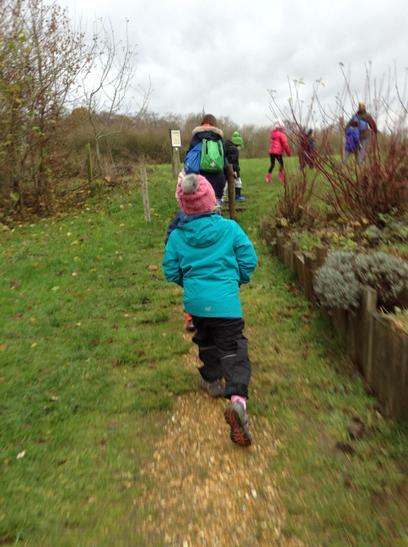 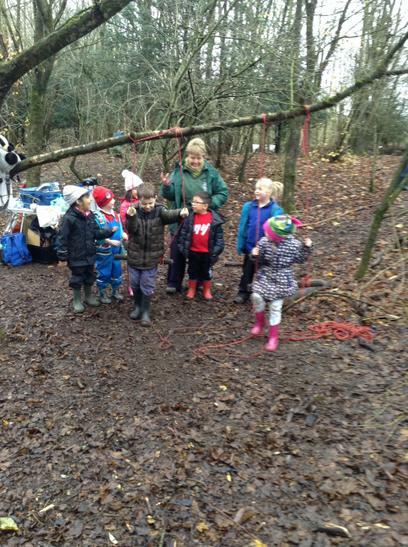 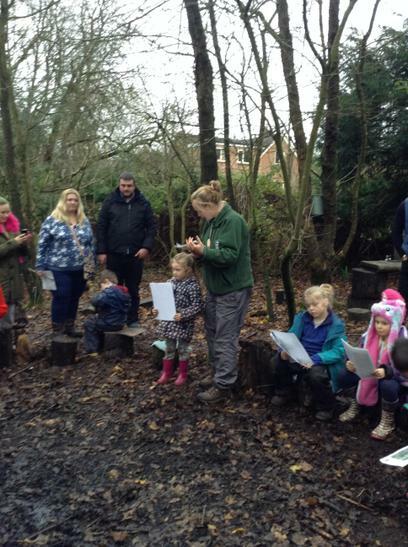 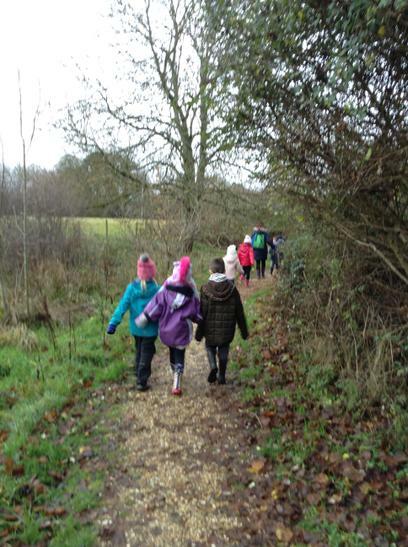 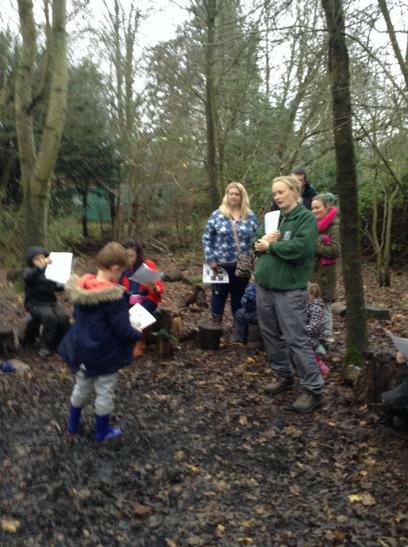 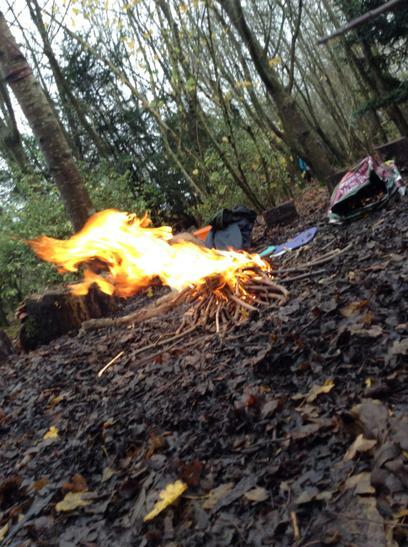 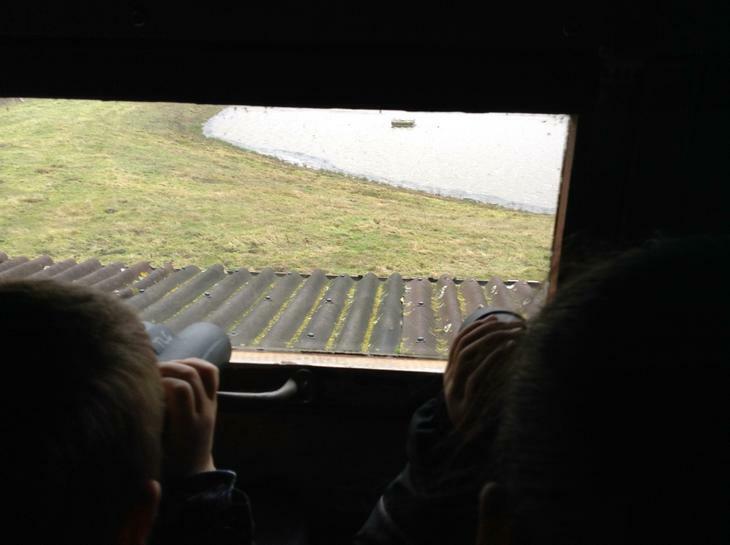 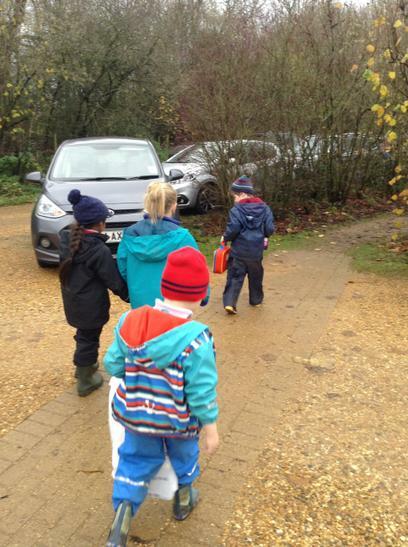 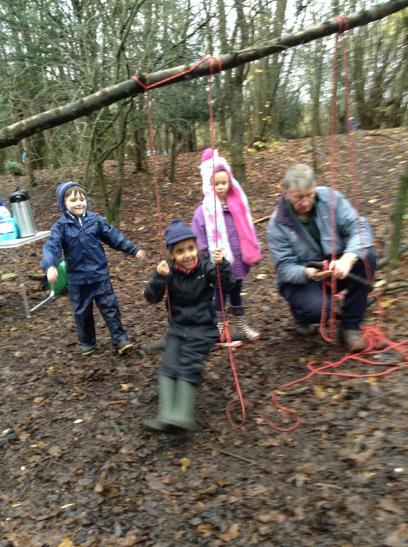 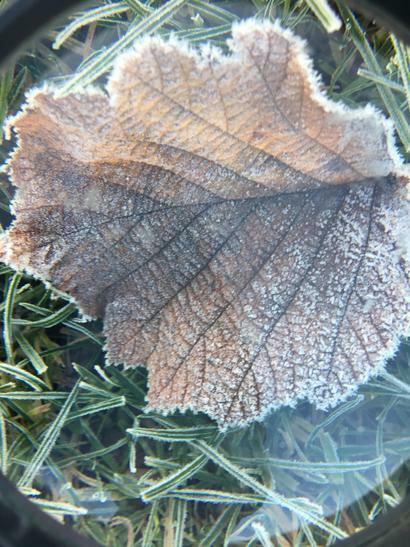 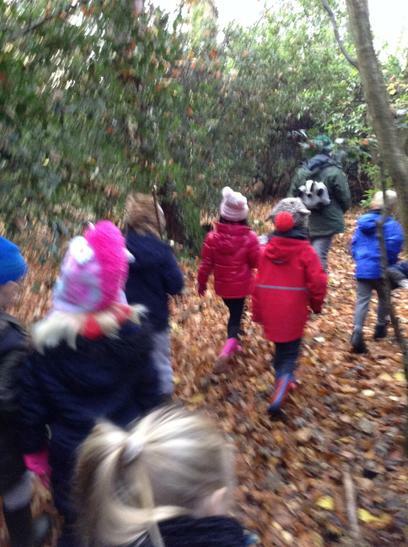 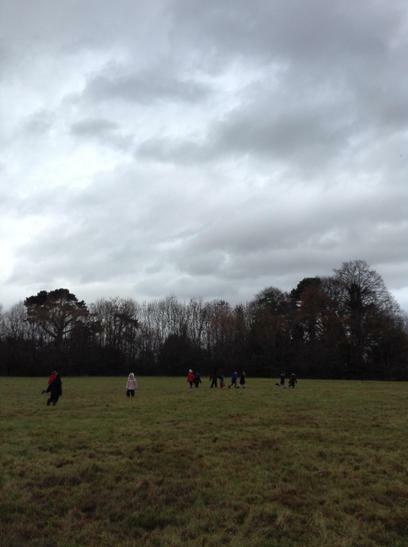 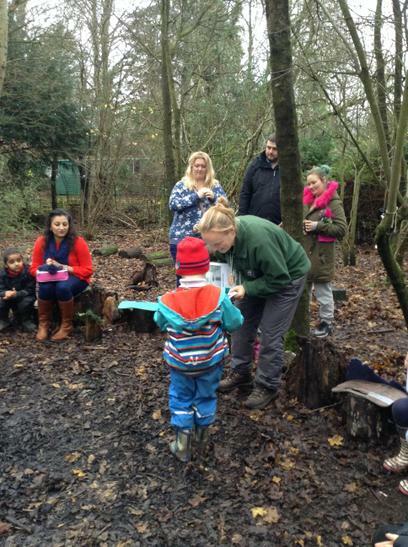 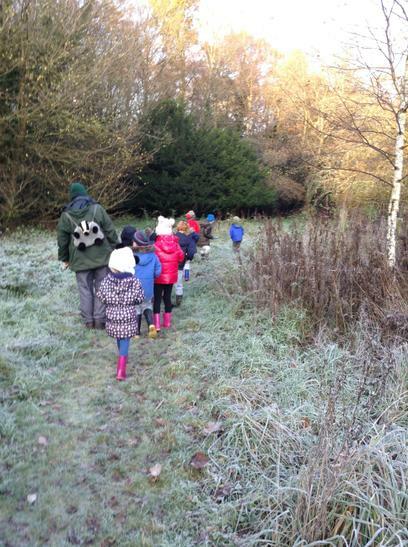 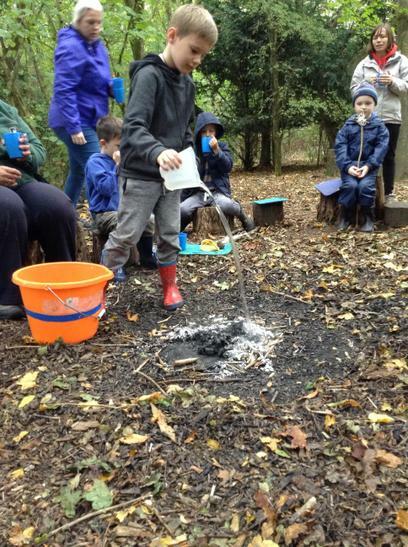 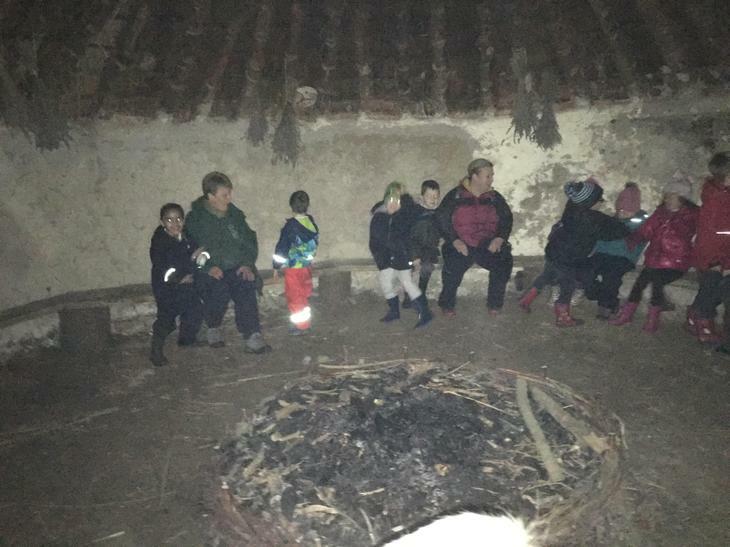 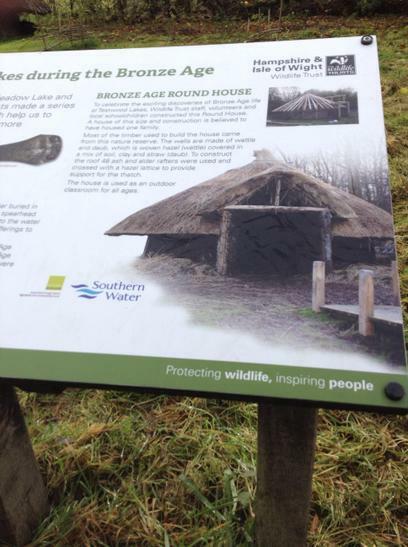 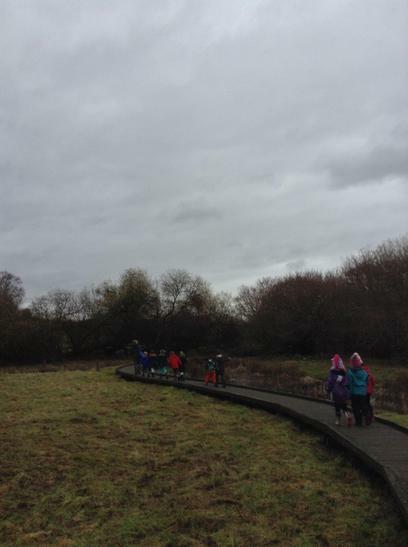 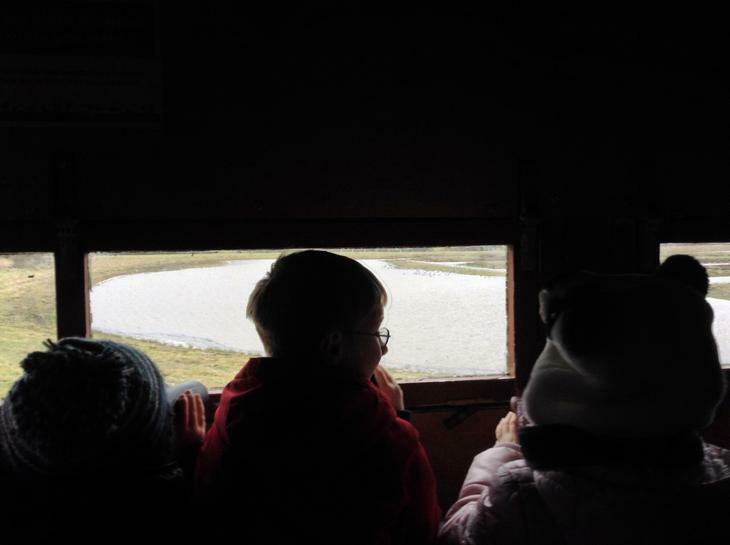 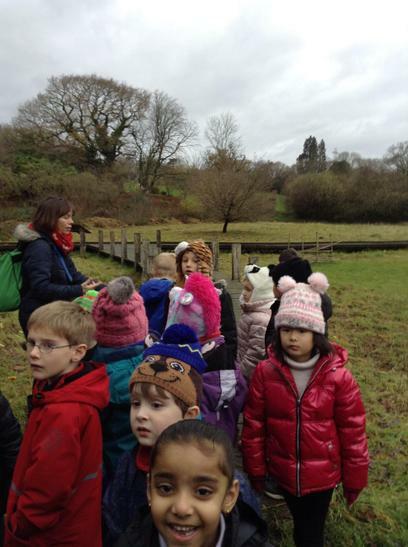 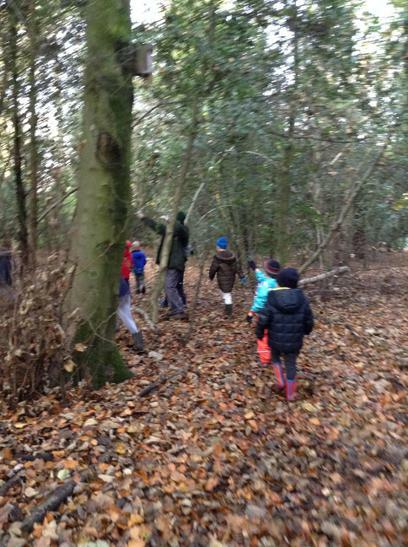 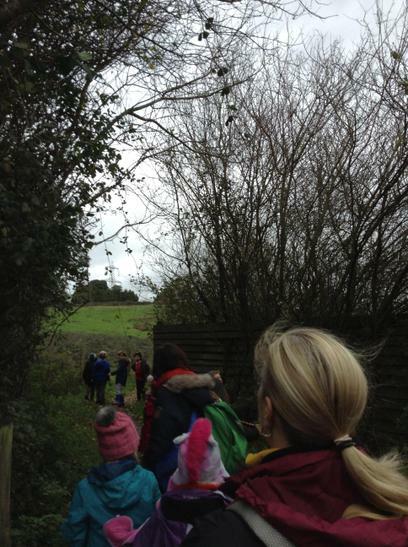 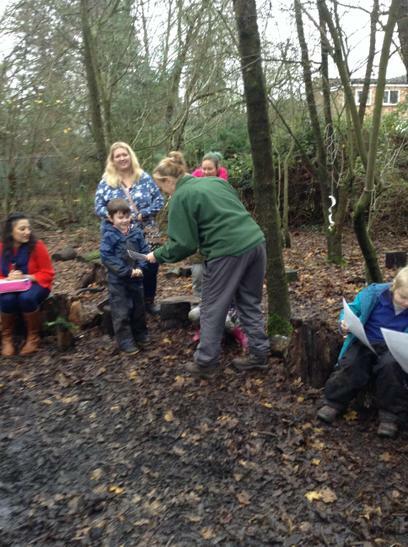 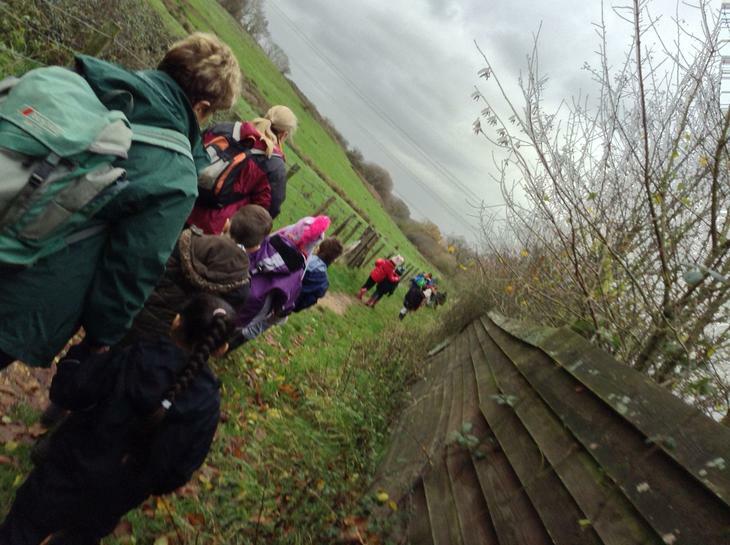 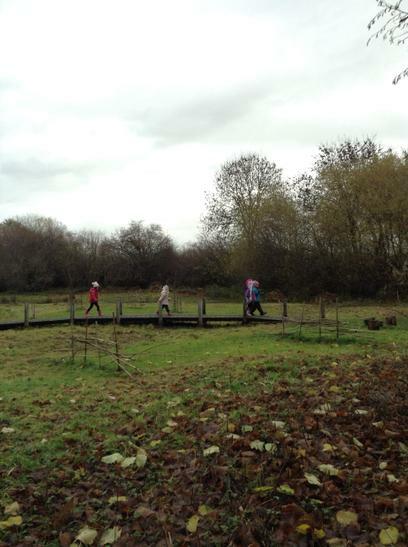 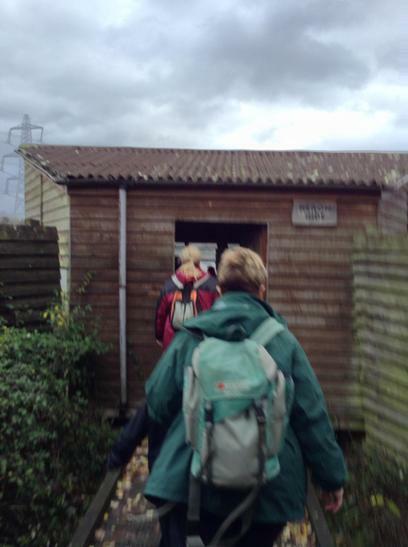 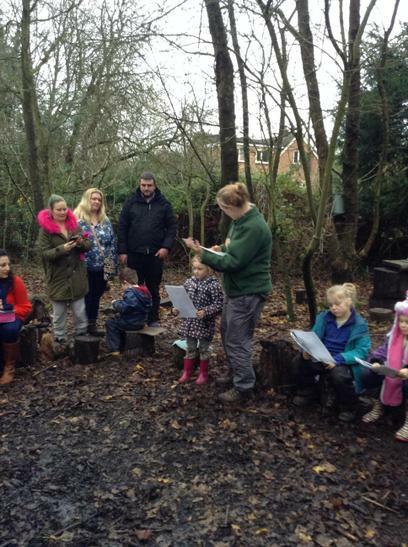 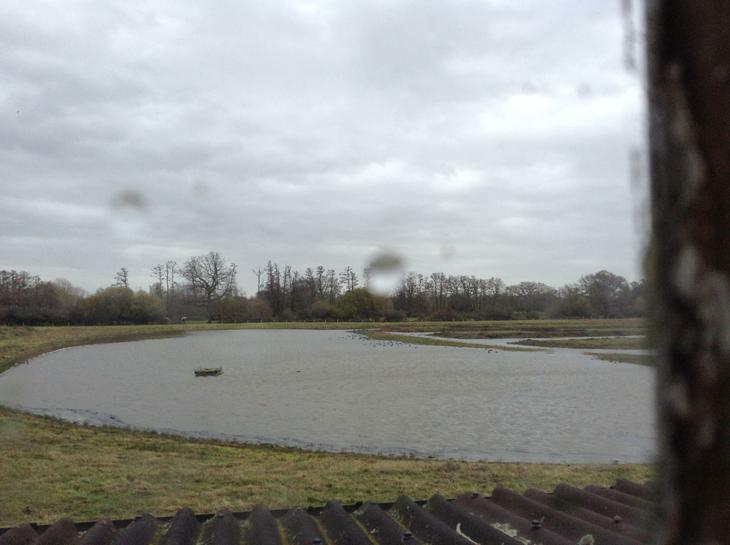 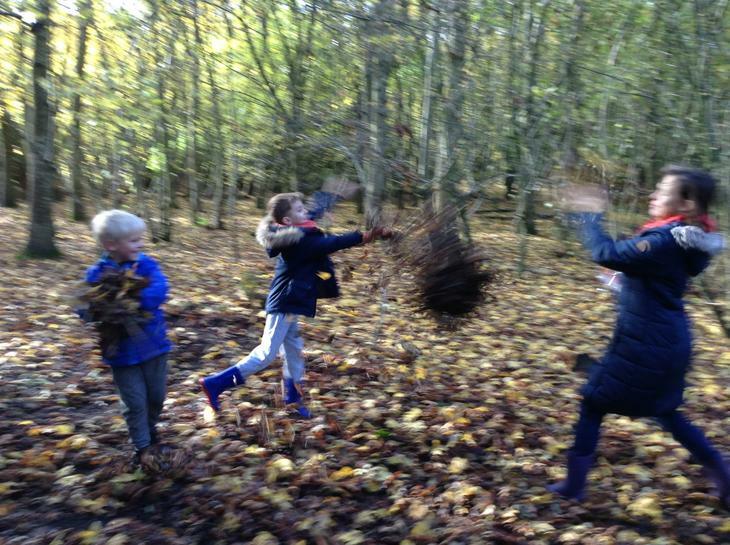 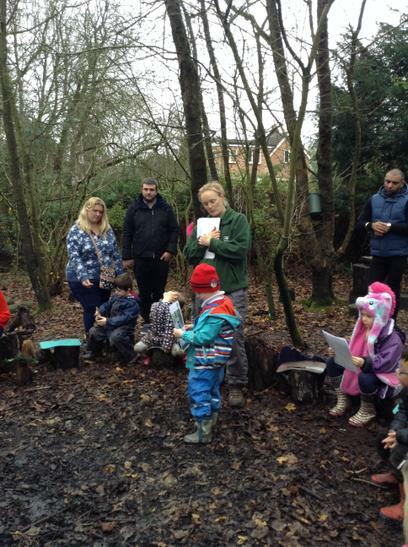 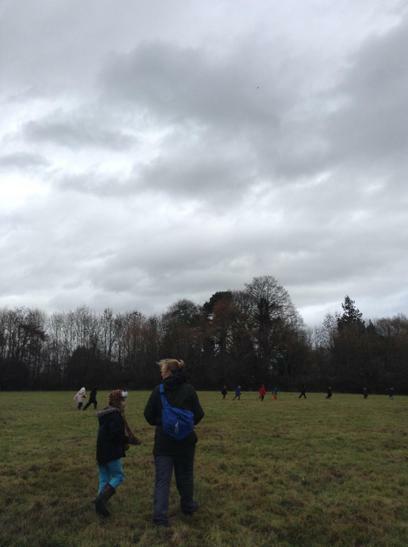 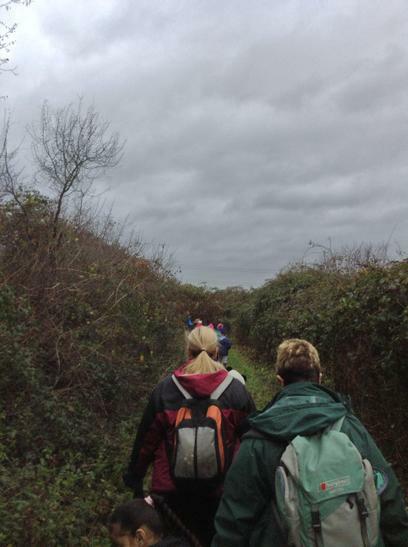 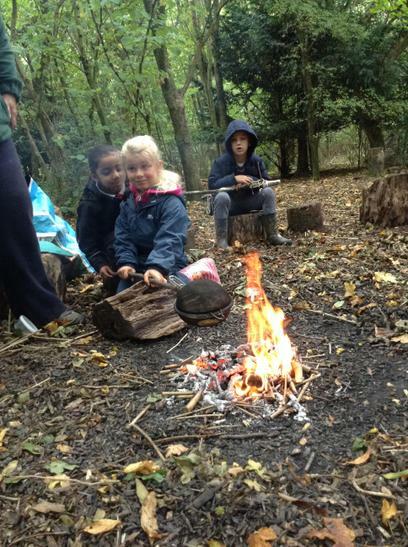 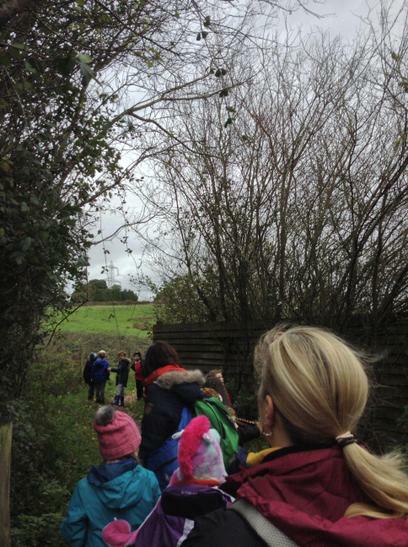 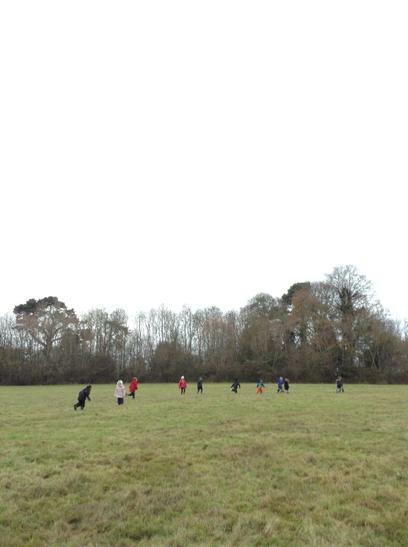 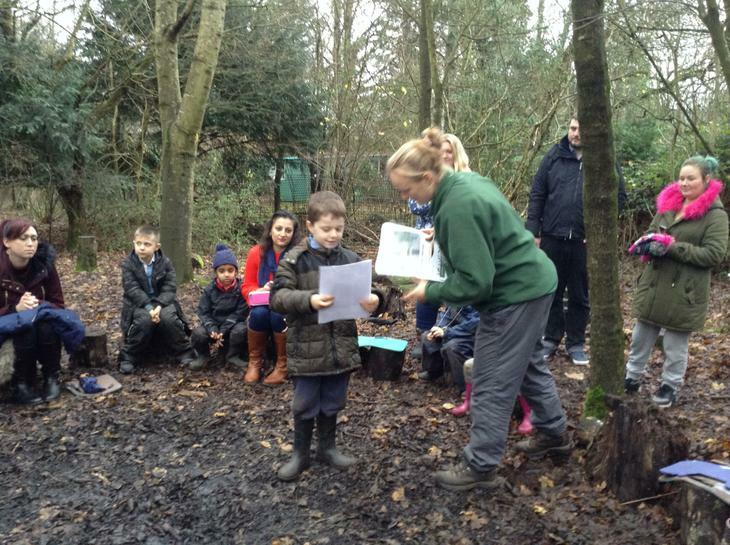 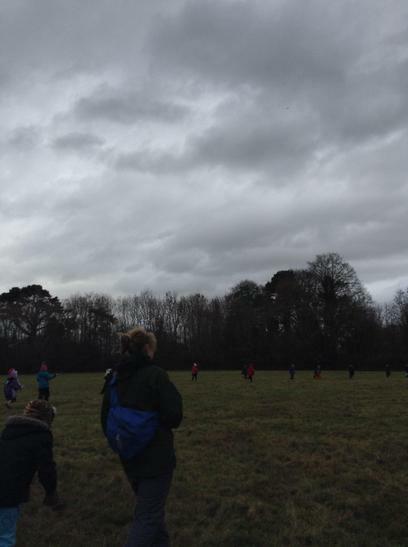 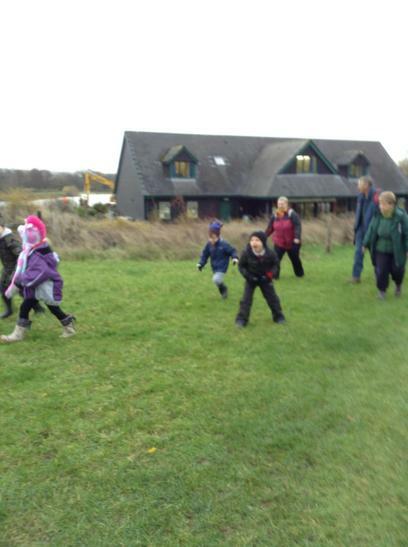 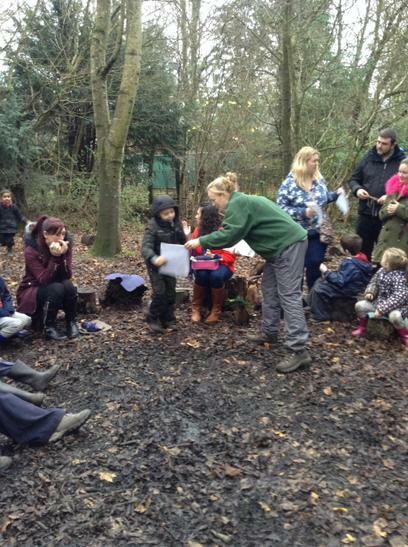 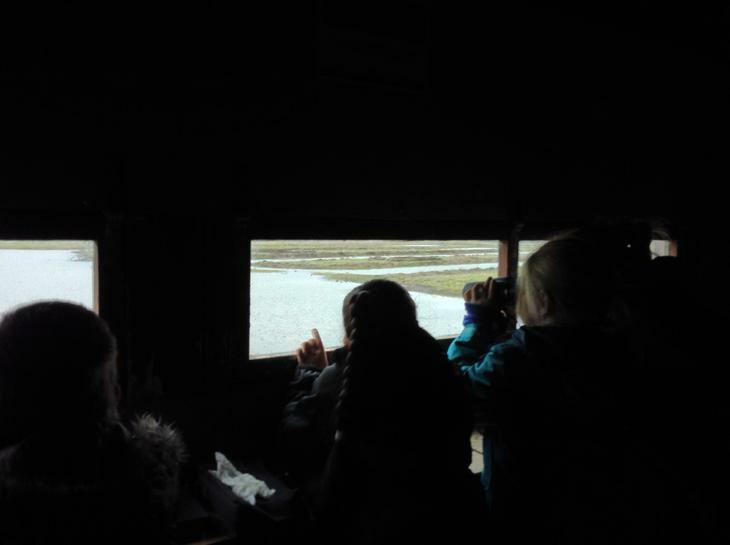 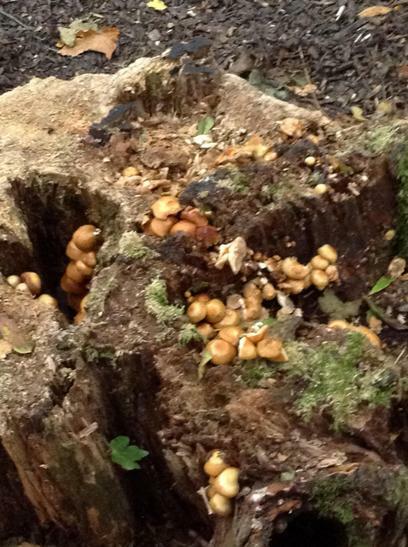 A great big thank you to everyone who made this years Forest School such a brilliant success. 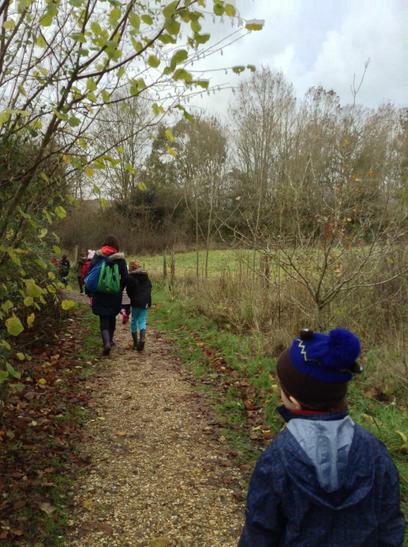 Thank you to all the parents for getting children there and back and in the right clothing. 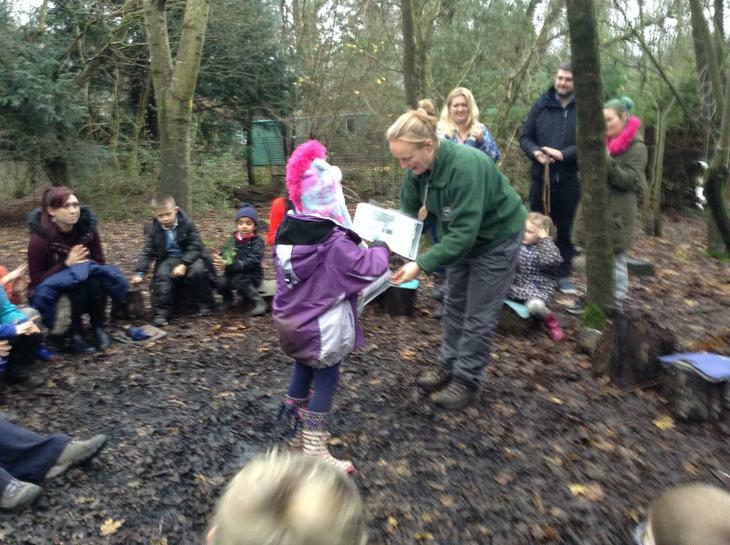 Thank you to Grace and her amazing team Linda and Clive for all their hard work and fantastic activities. 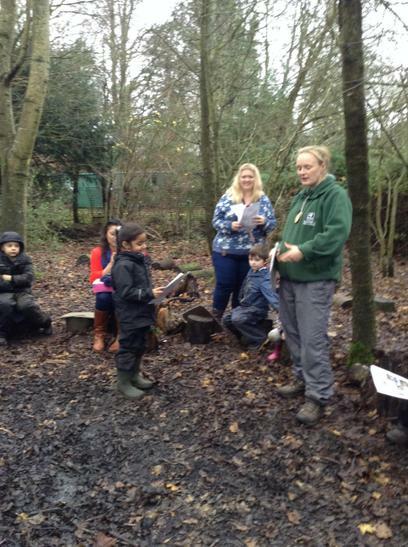 Thank You to Michelle and Chrissy for helping every week. 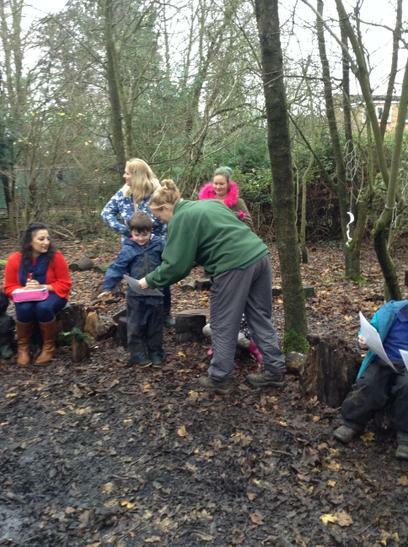 And finally thank you to Mrs Jones for being brilliant and one step head of me and keeping everything running smoothly. 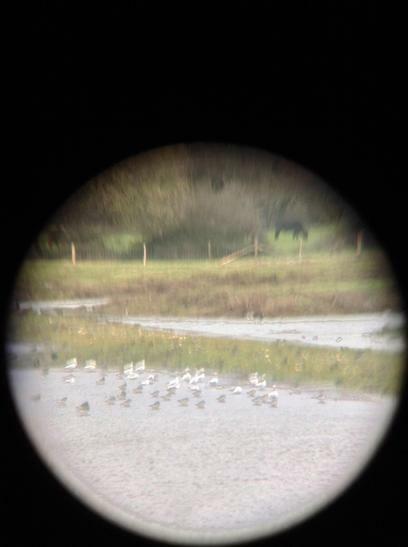 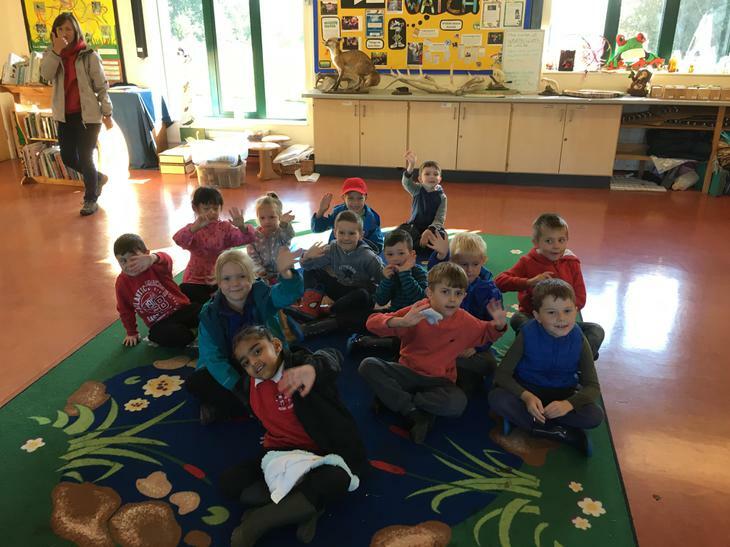 Thank you all - it couldn't have happened without you! 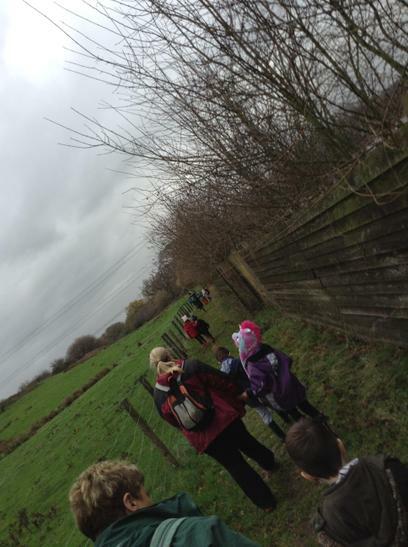 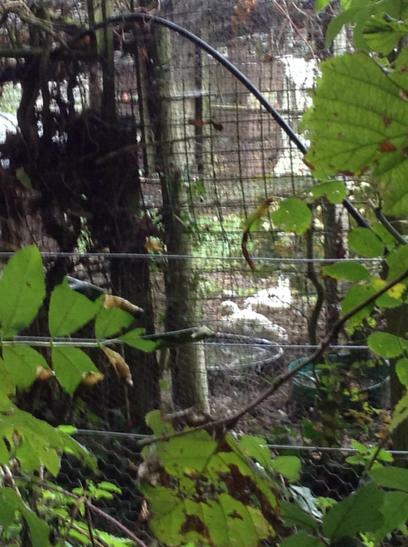 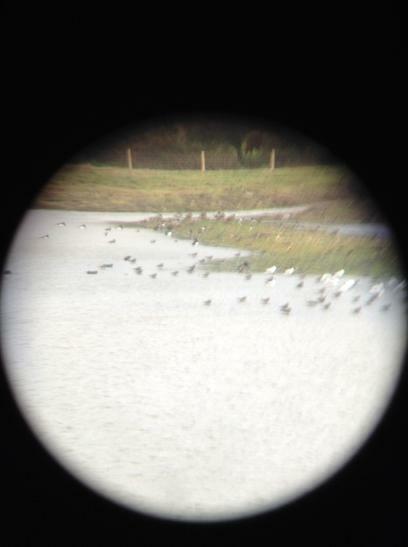 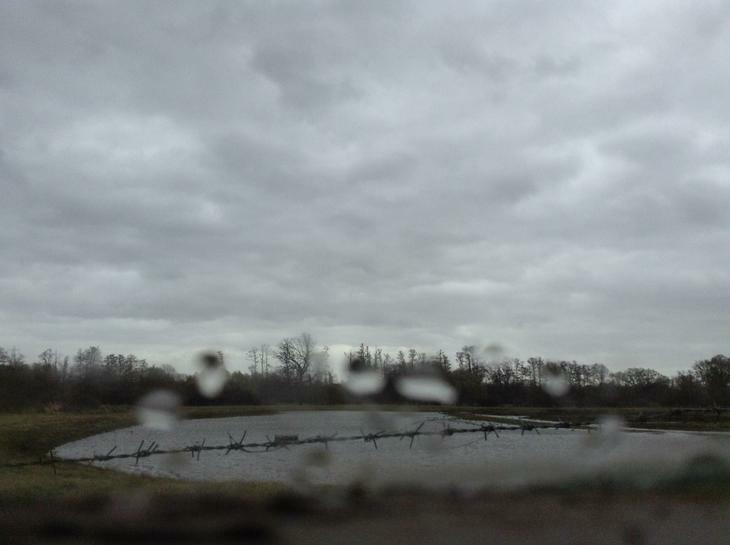 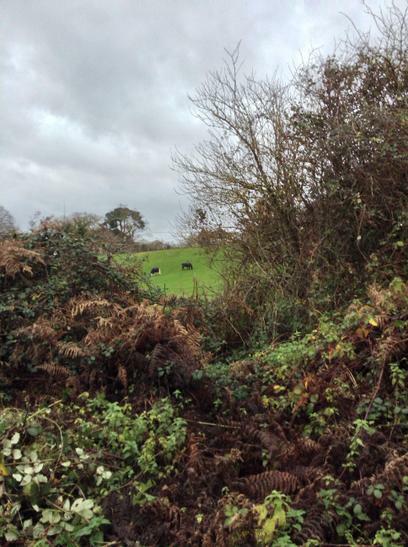 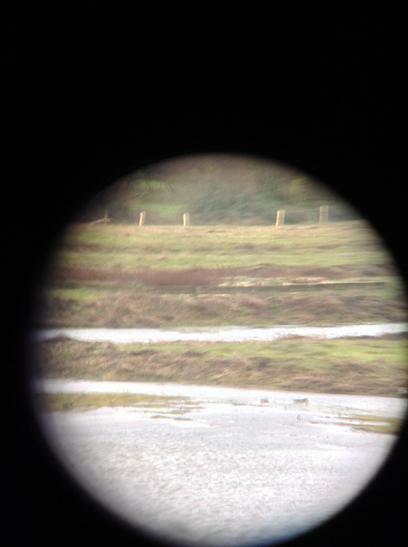 Full Day - Im really sorry some of the end of the day photos didnt come out. 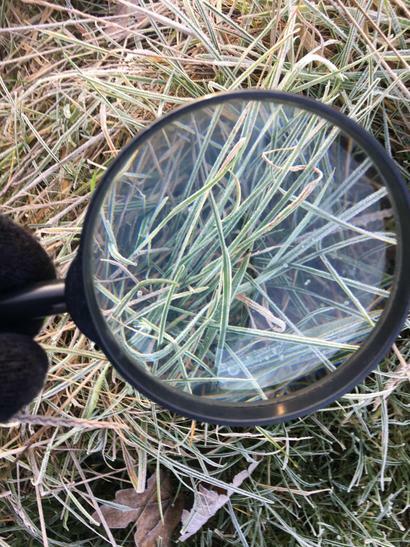 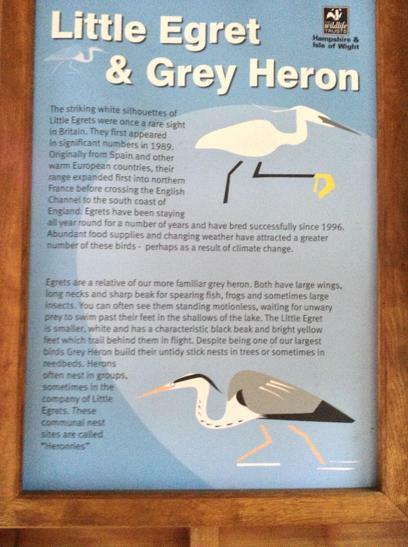 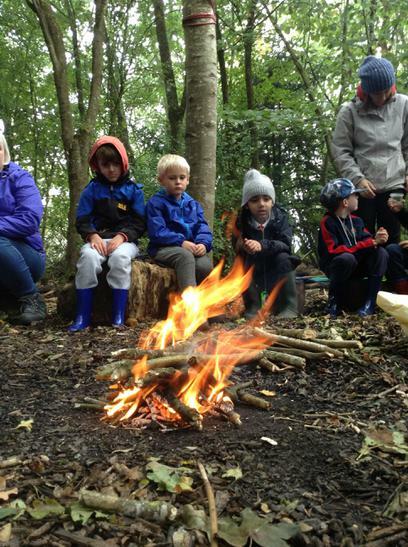 growing in popularity across the UK. 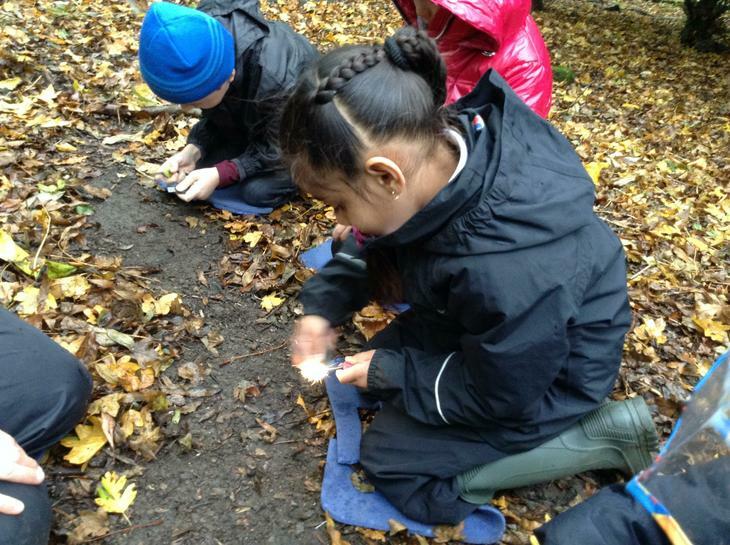 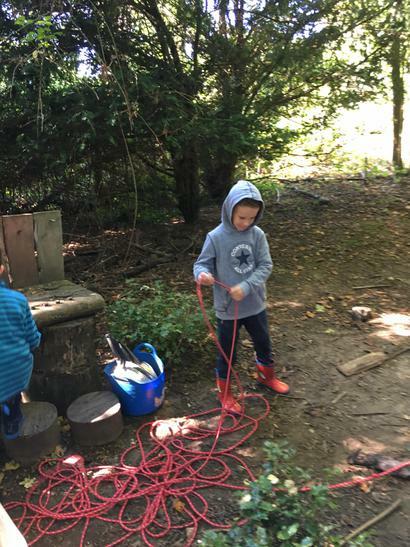 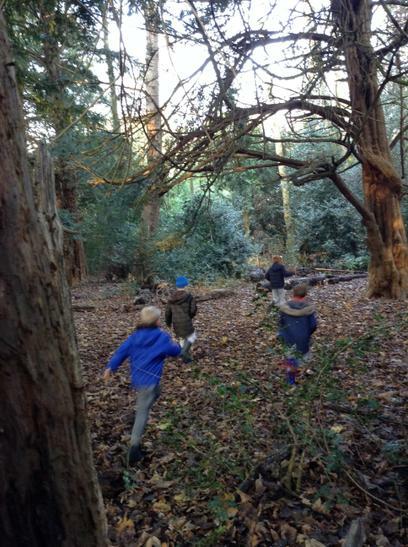 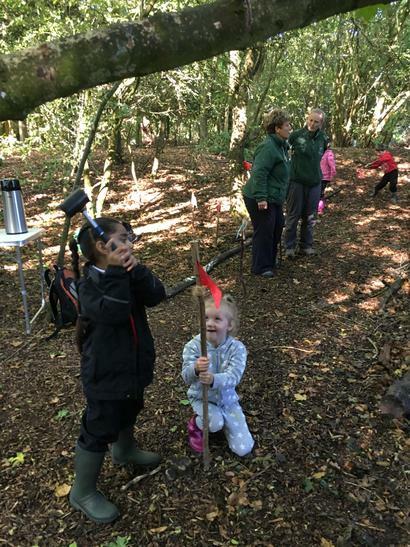 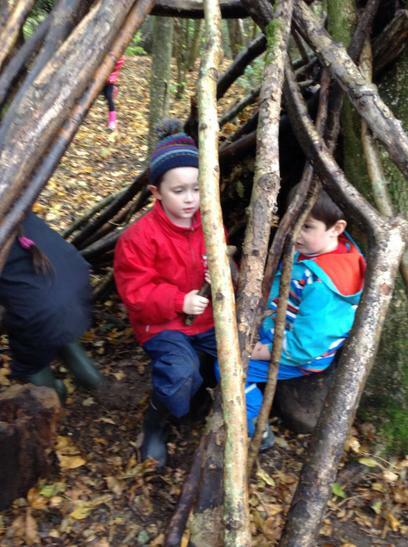 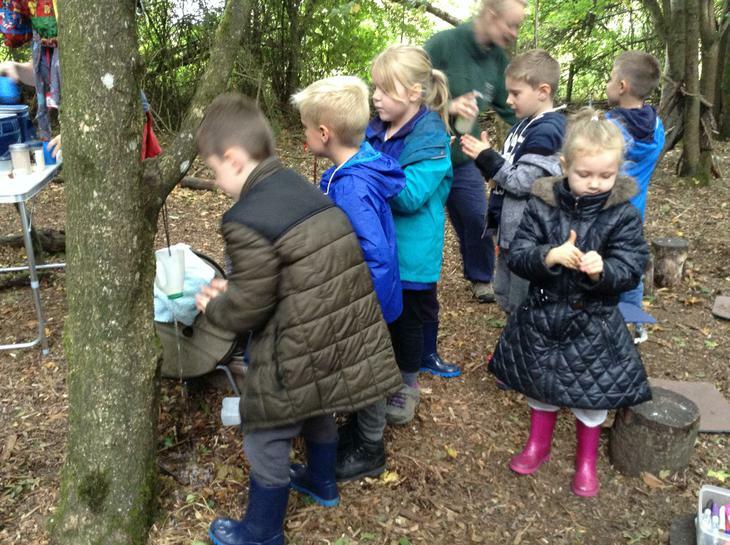 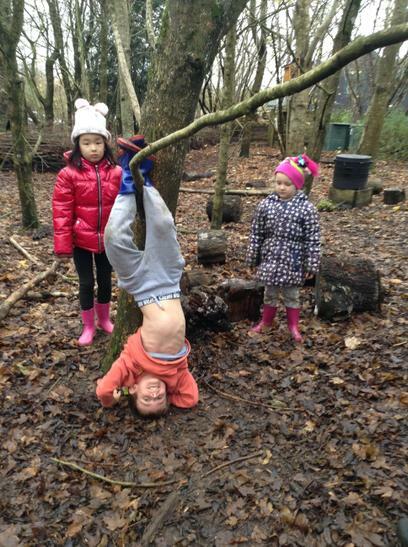 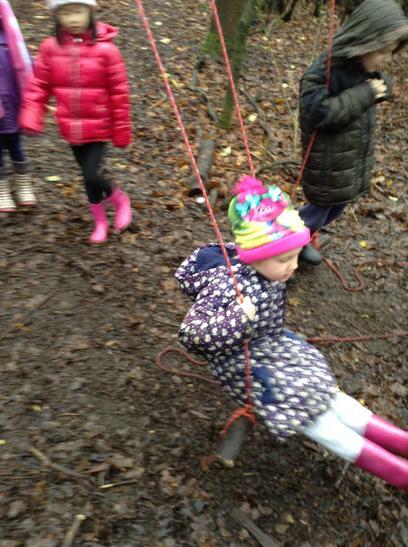 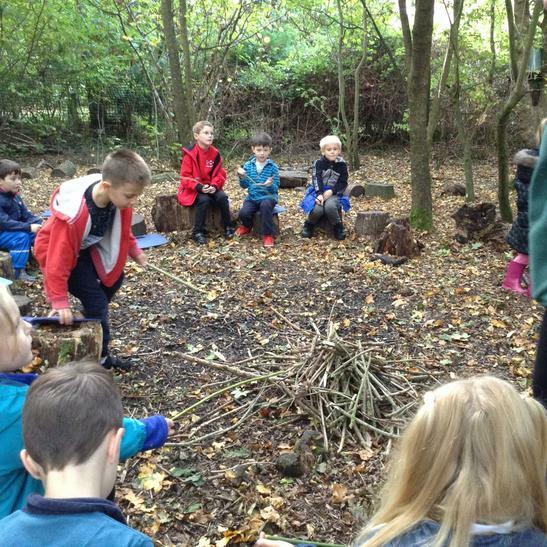 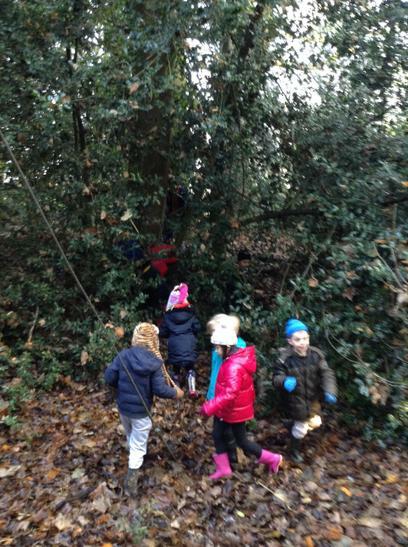 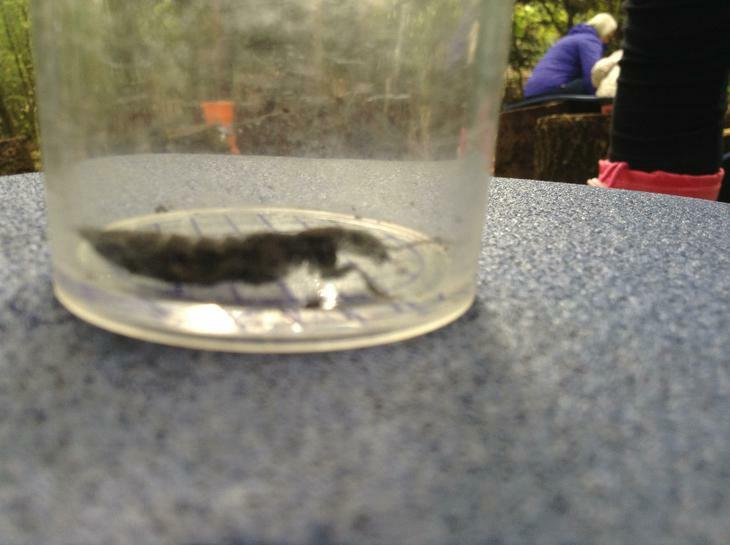 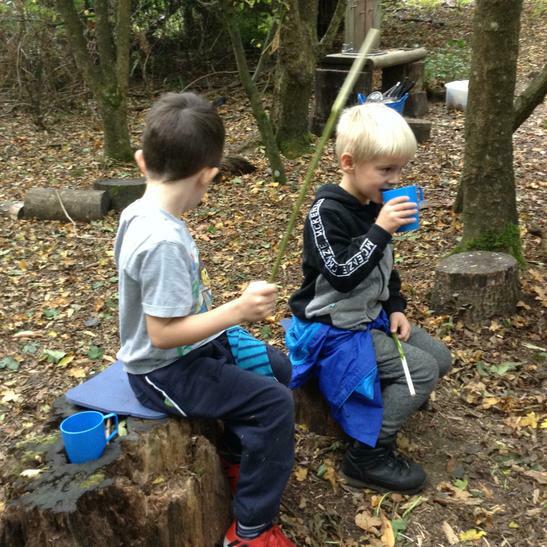 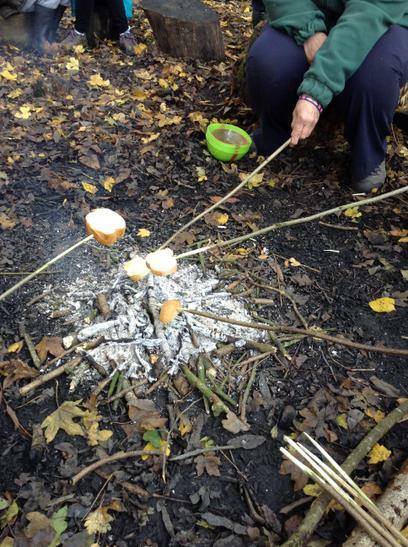 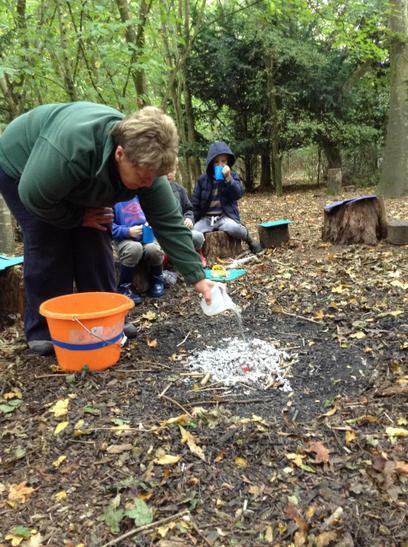 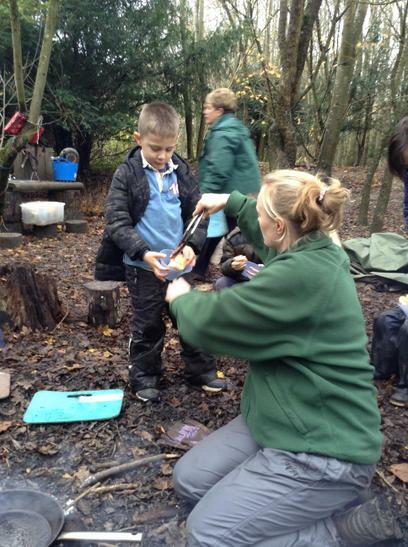 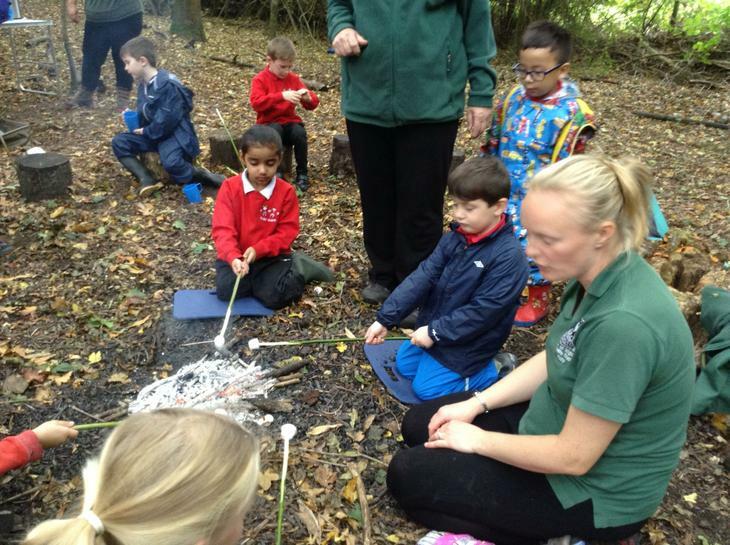 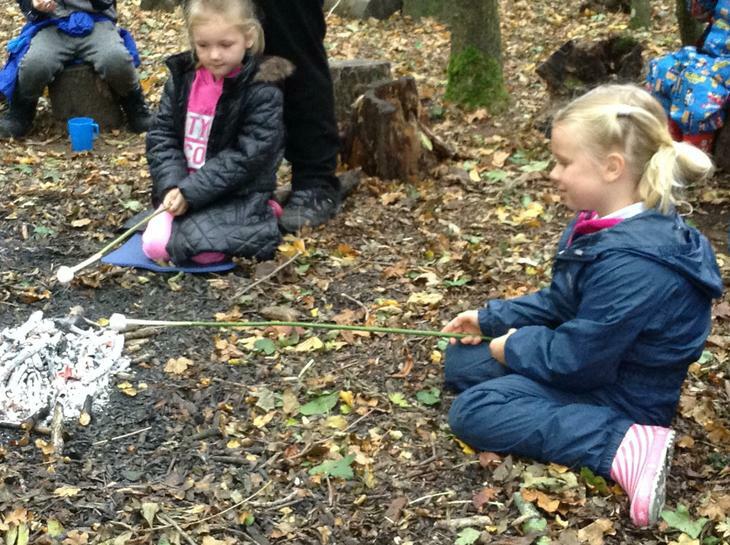 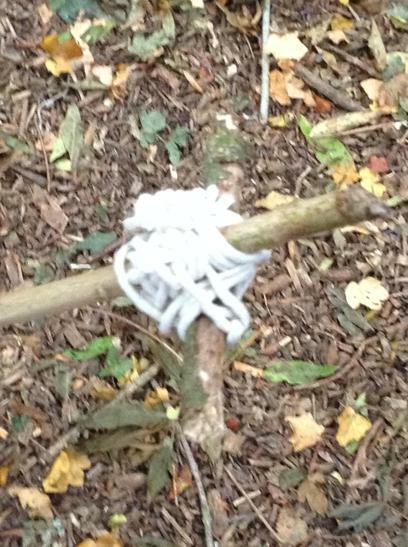 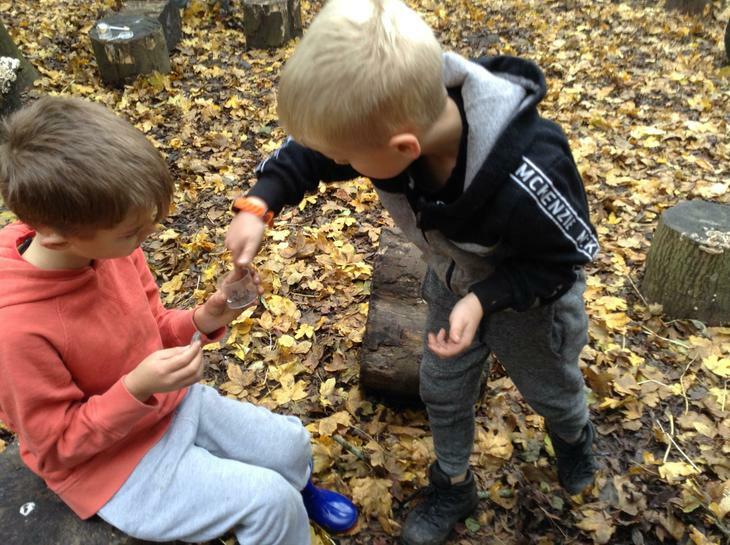 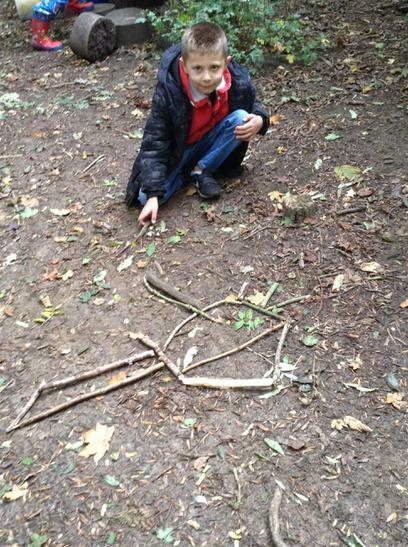 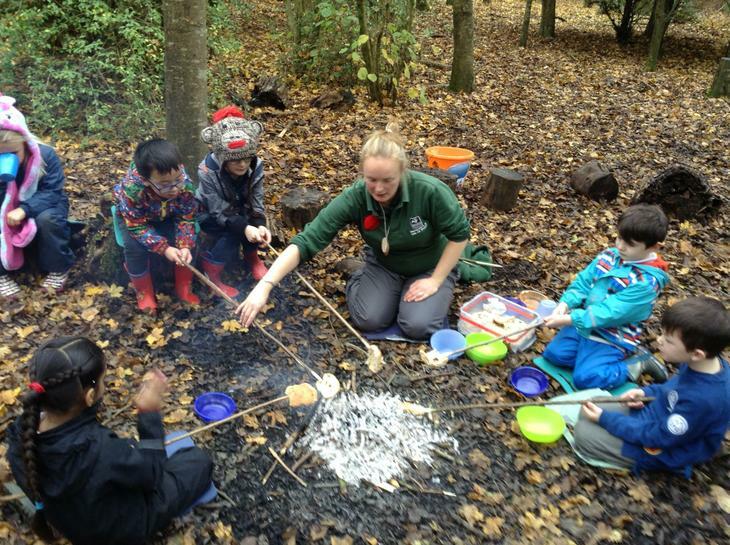 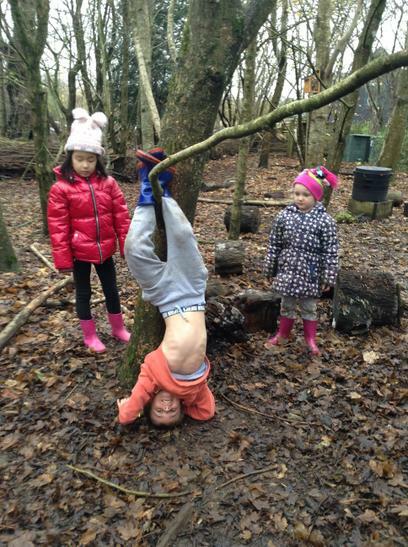 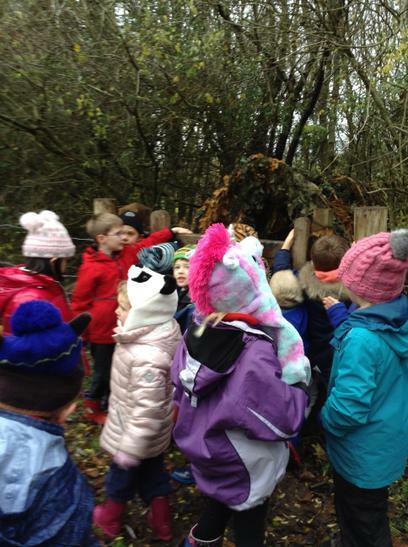 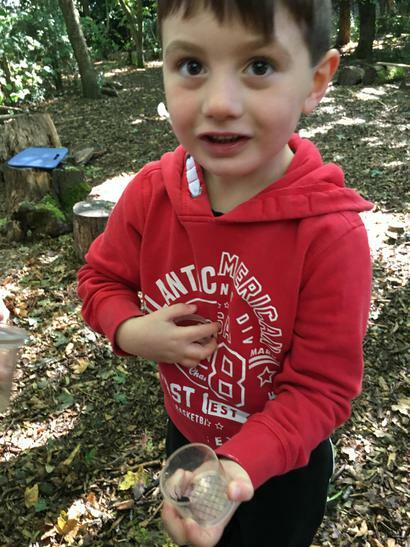 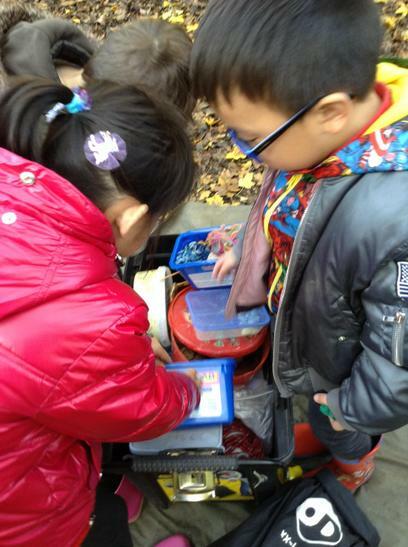 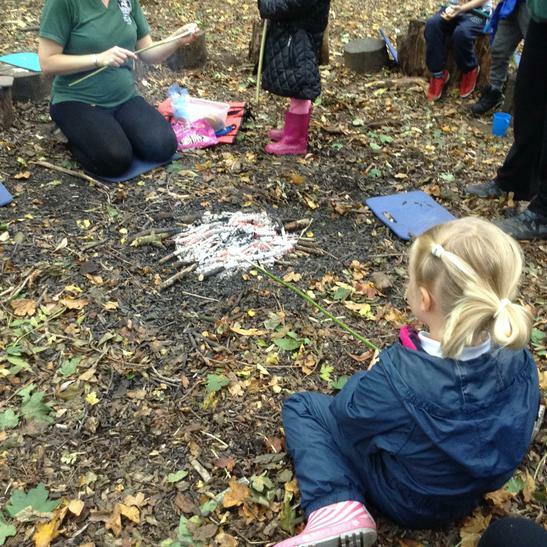 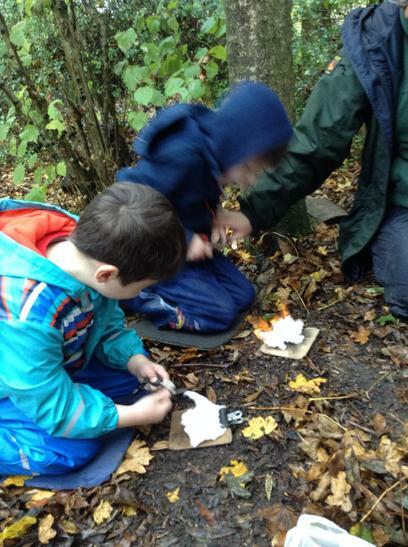 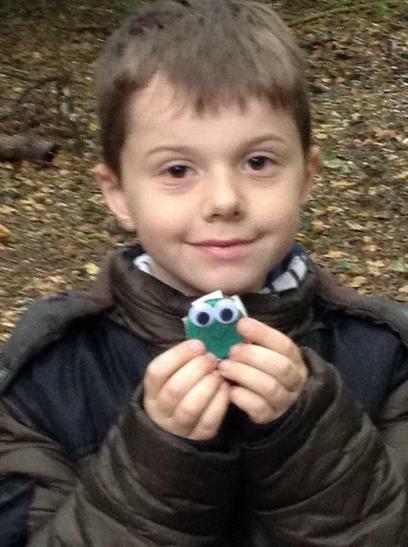 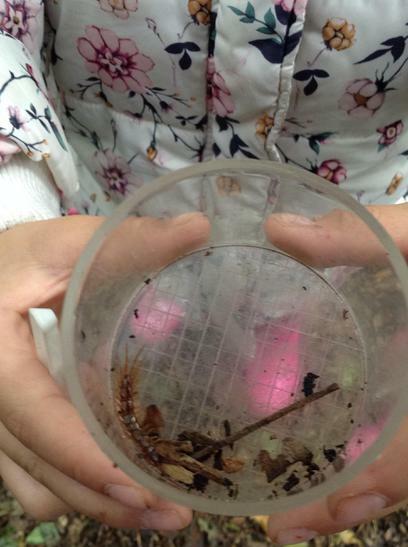 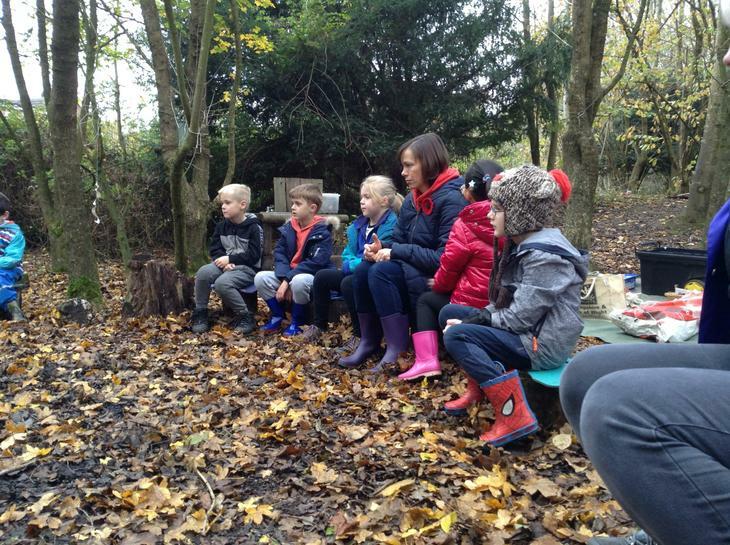 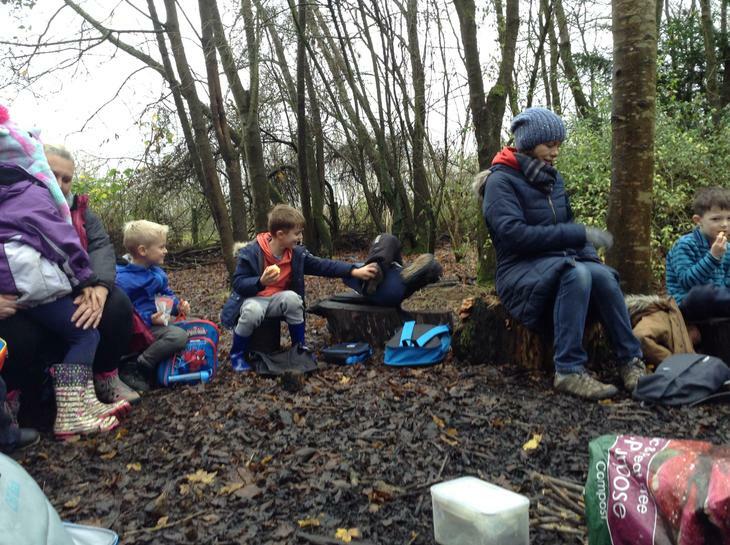 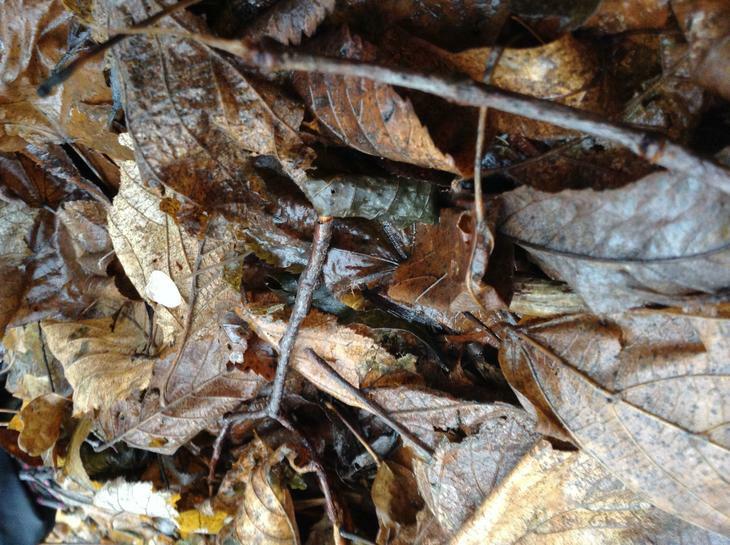 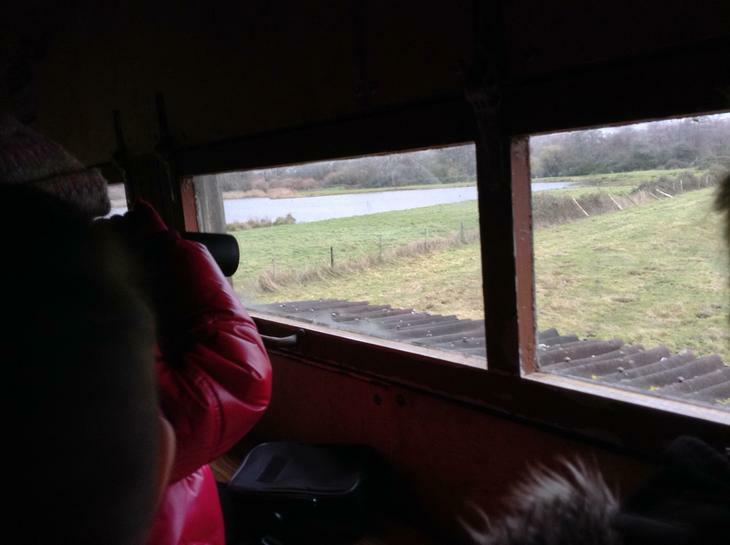 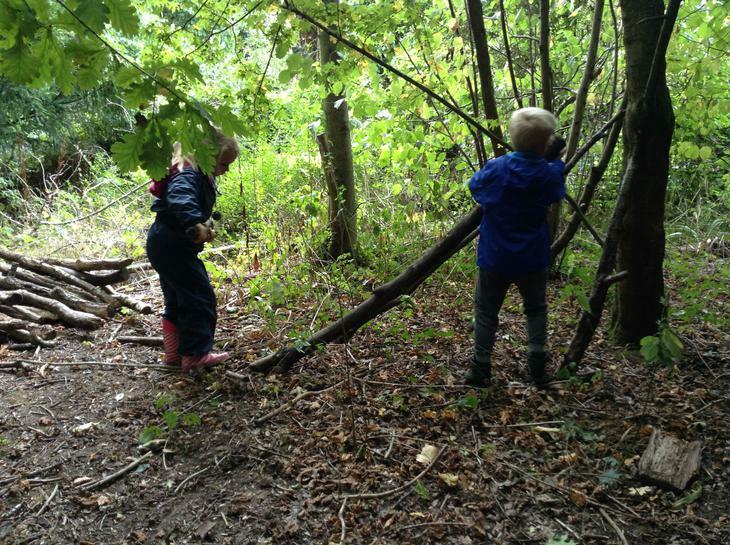 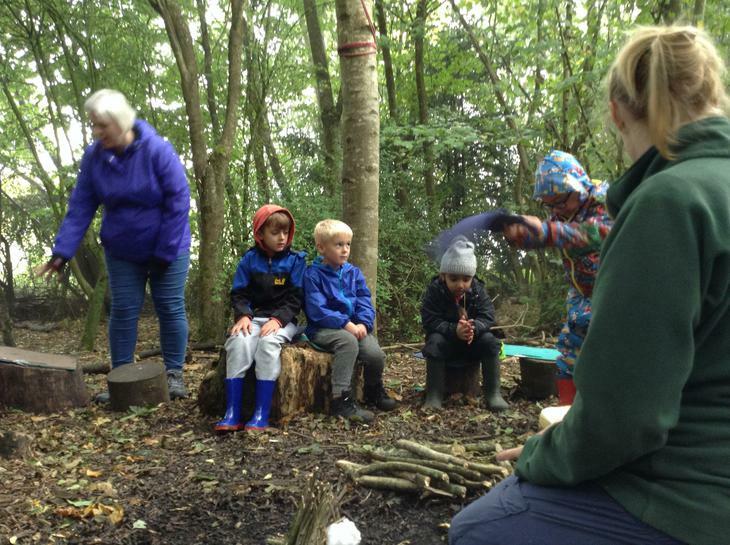 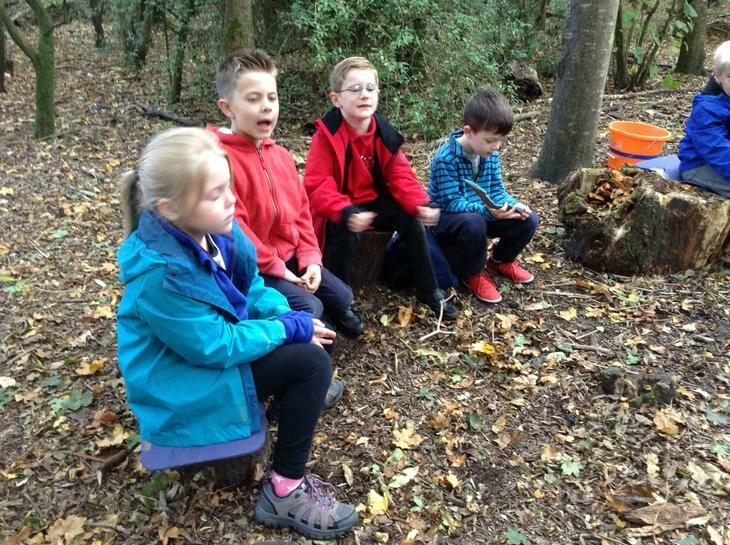 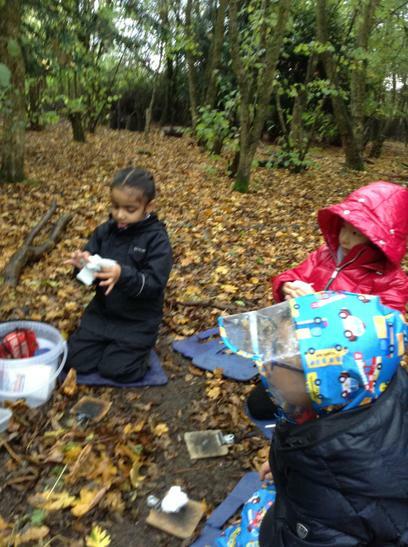 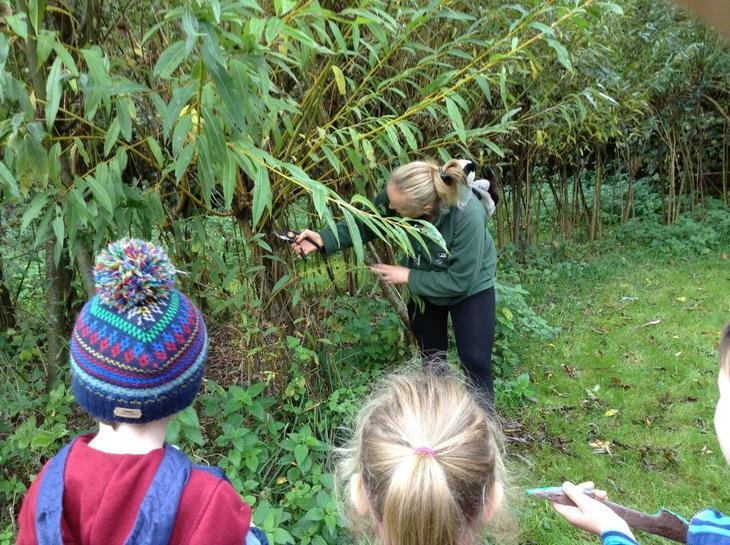 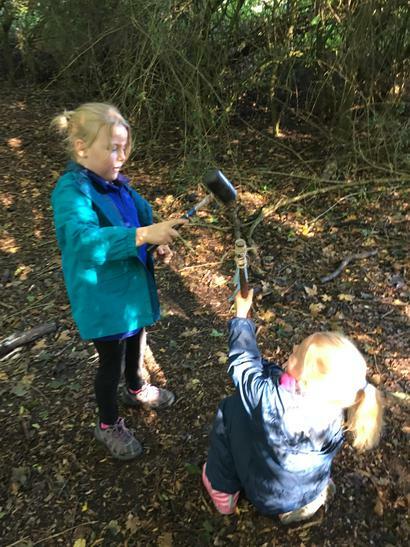 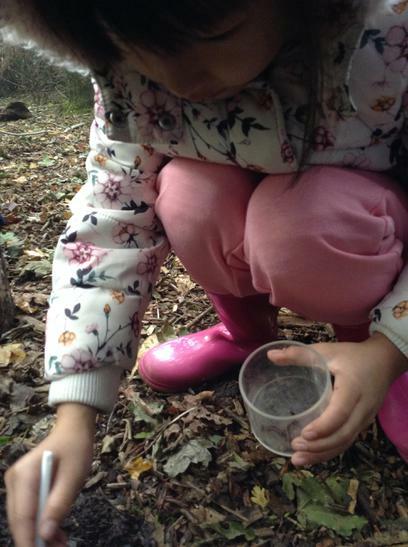 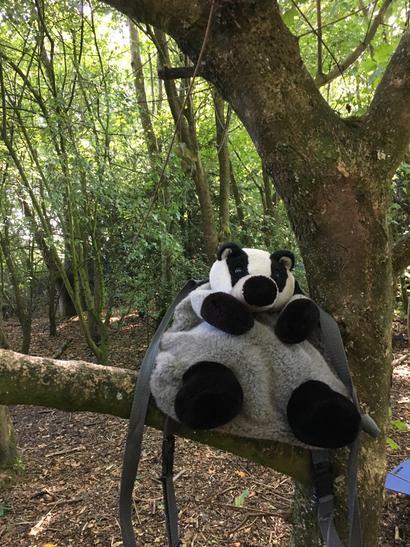 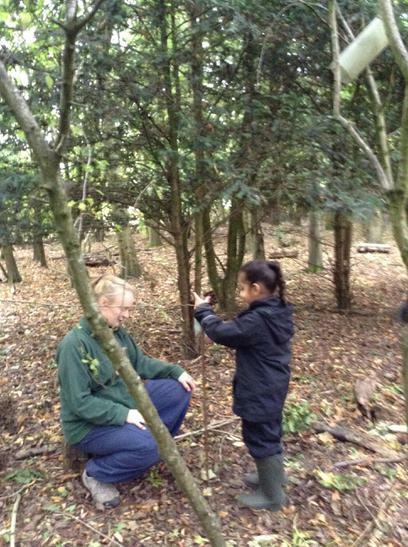 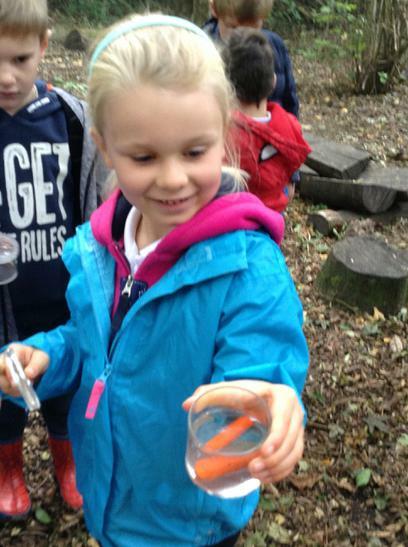 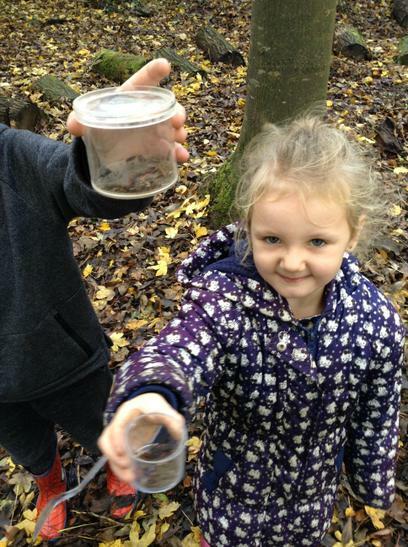 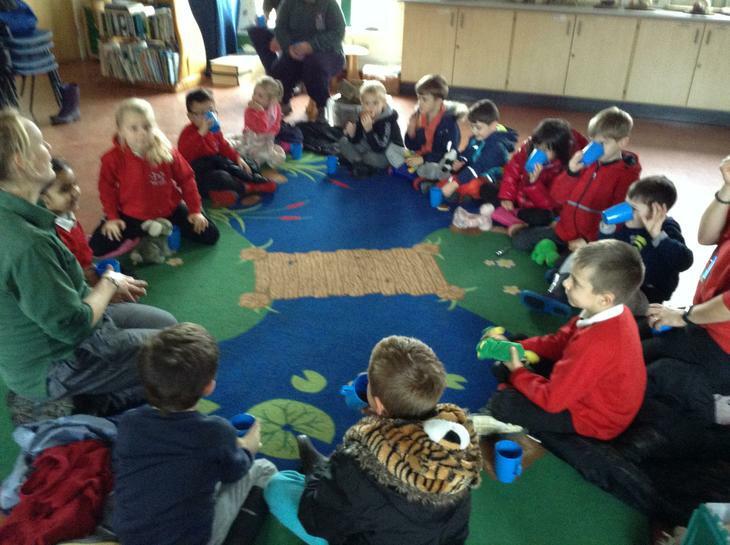 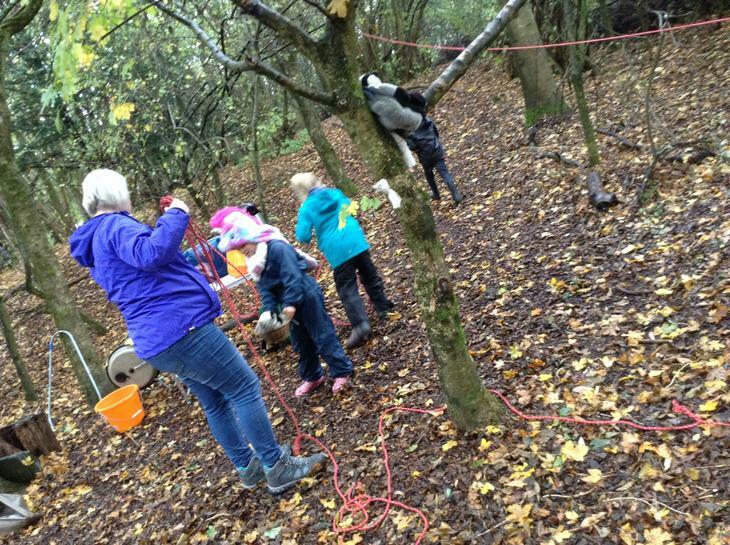 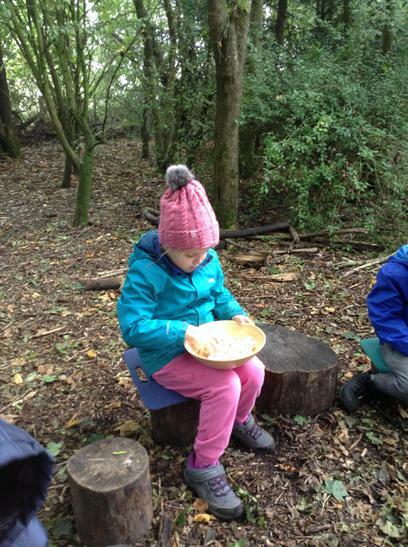 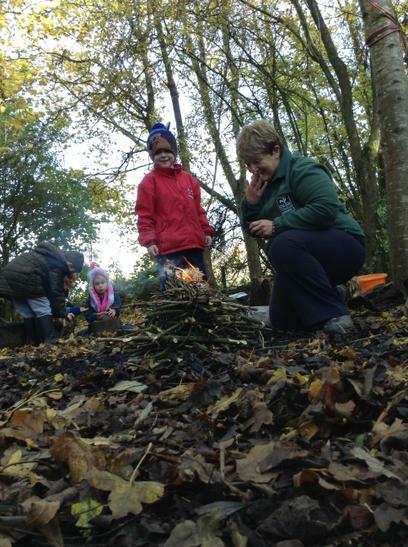 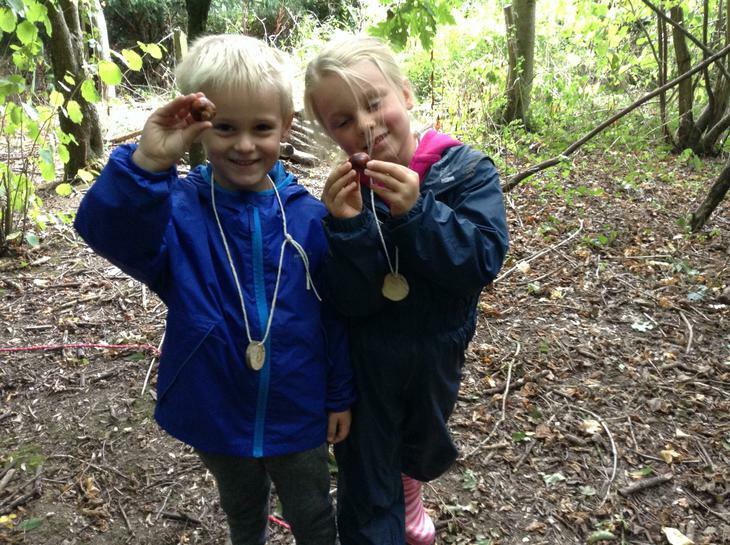 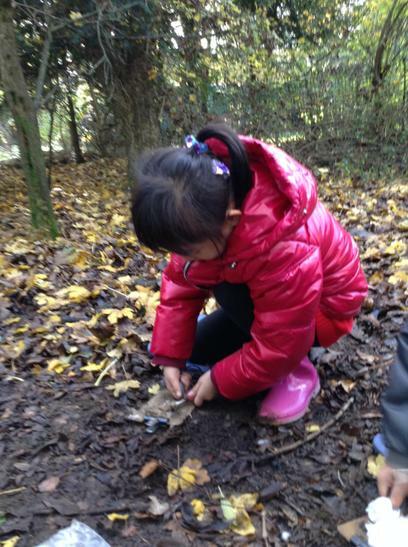 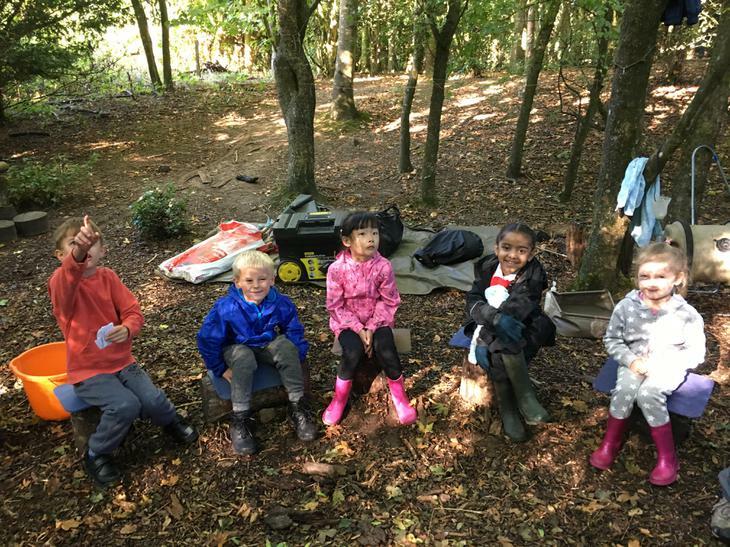 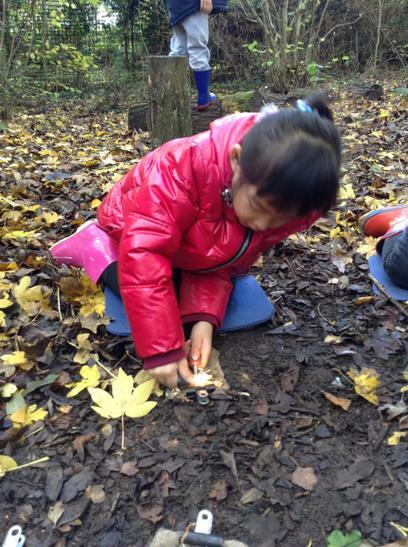 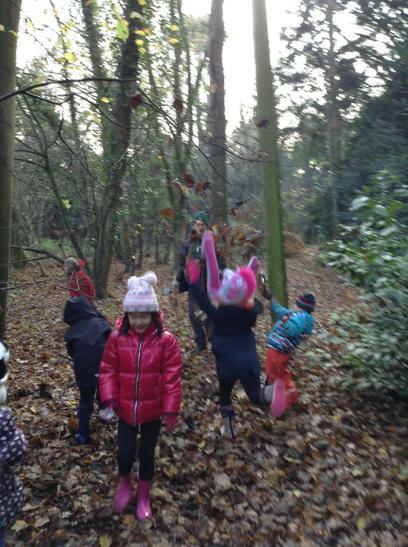 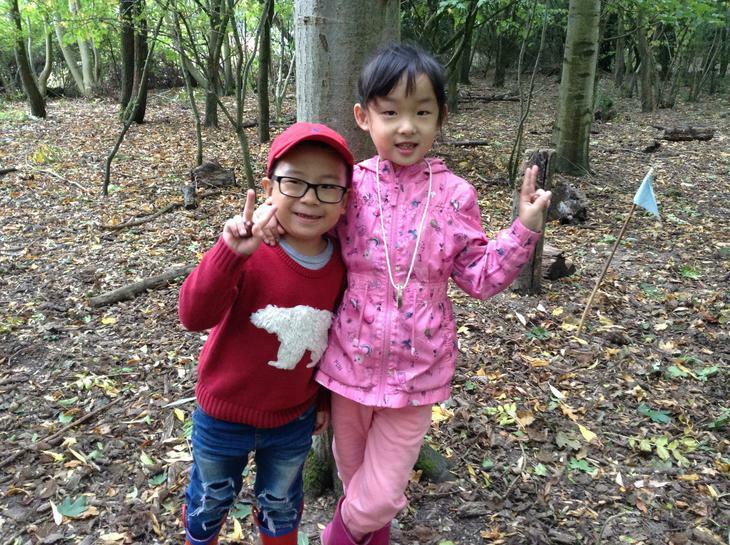 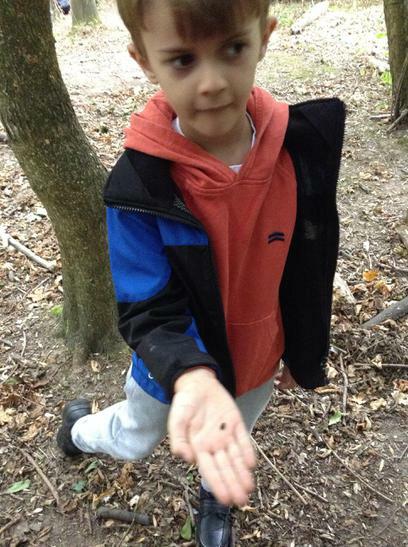 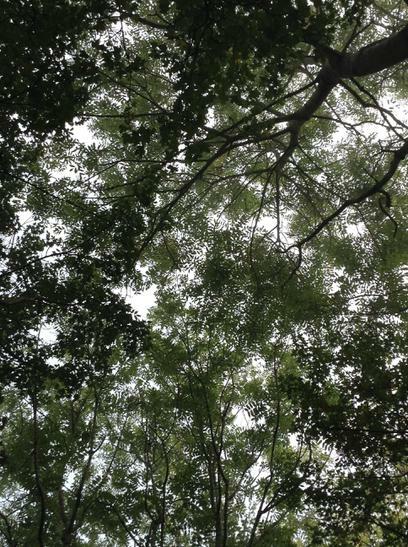 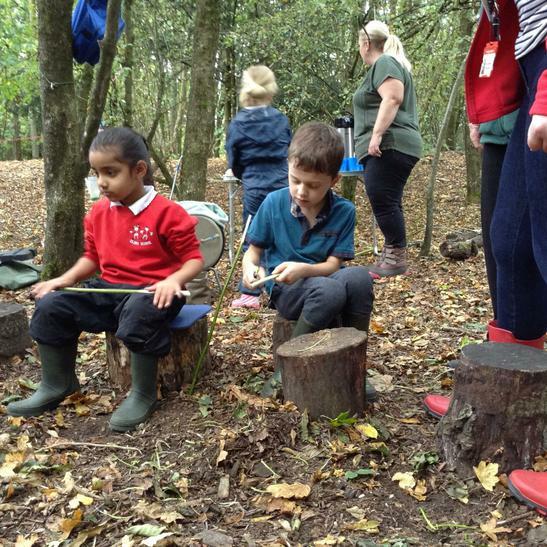 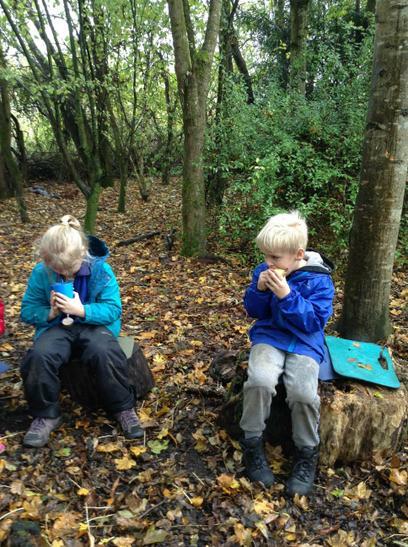 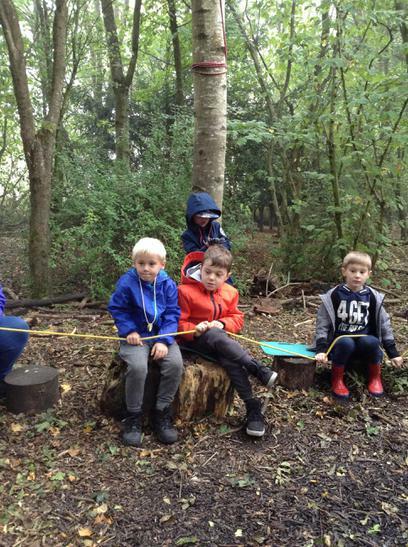 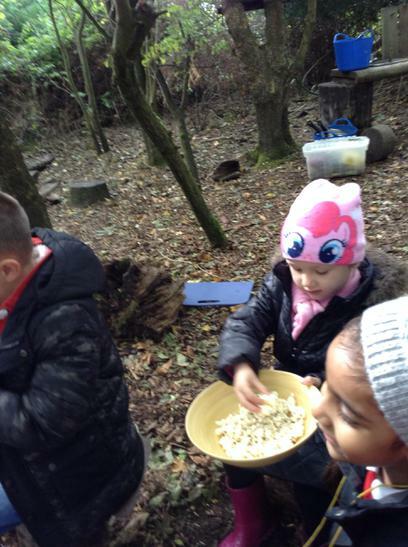 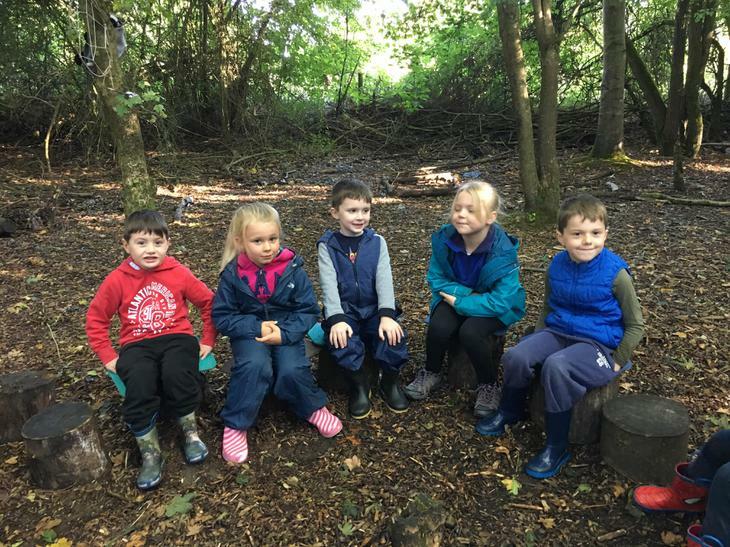 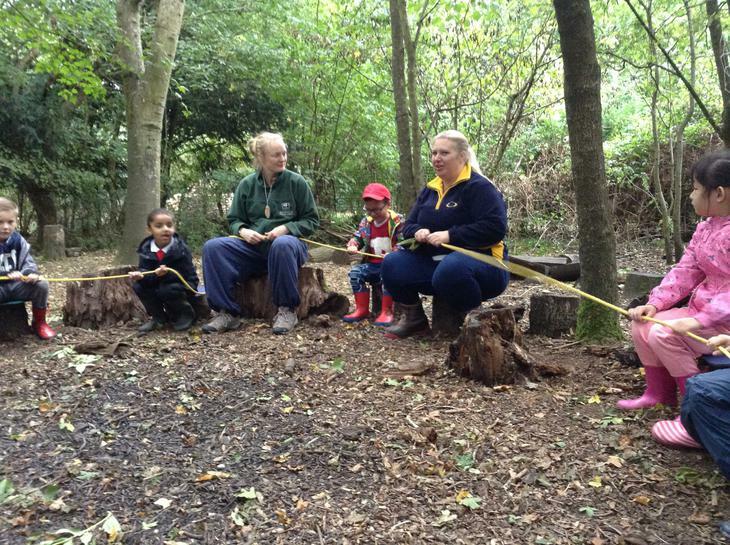 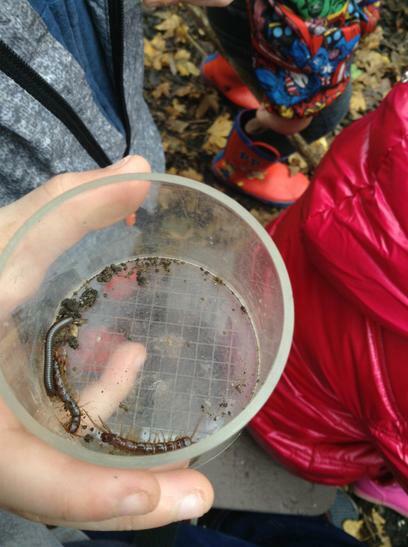 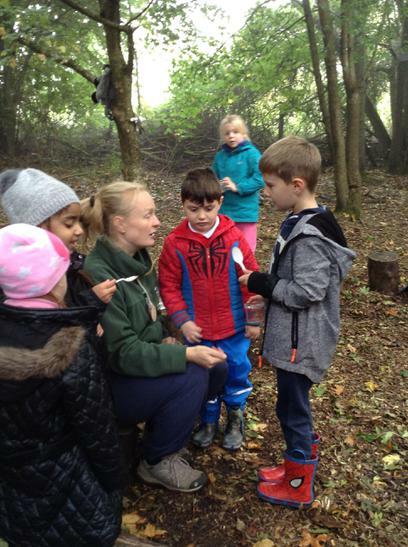 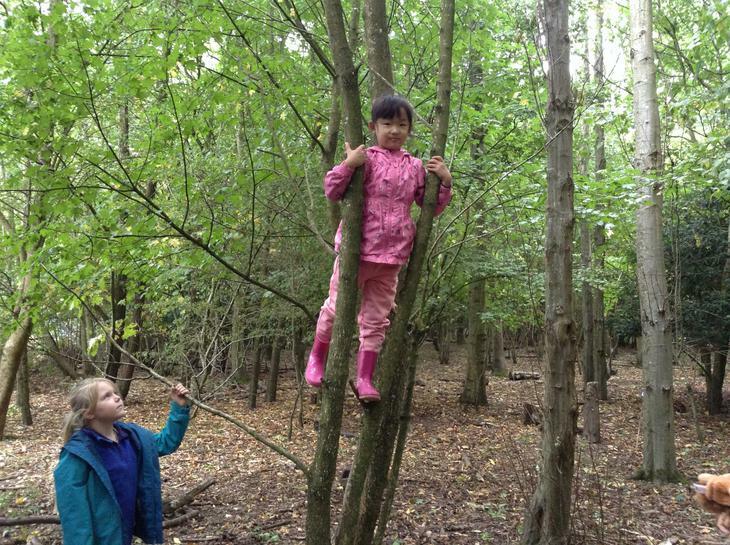 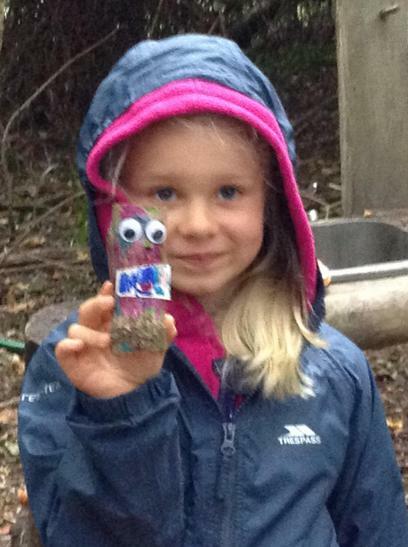 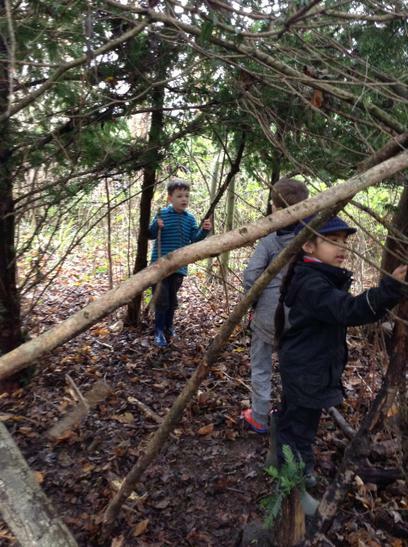 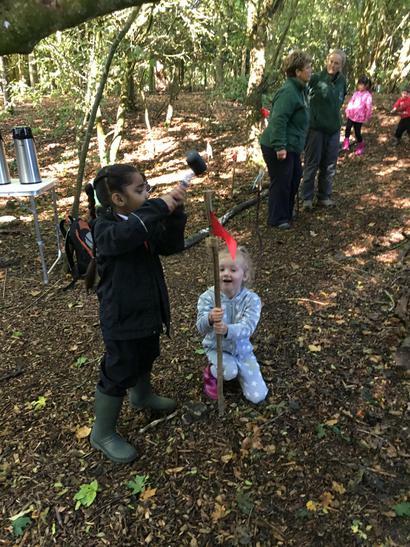 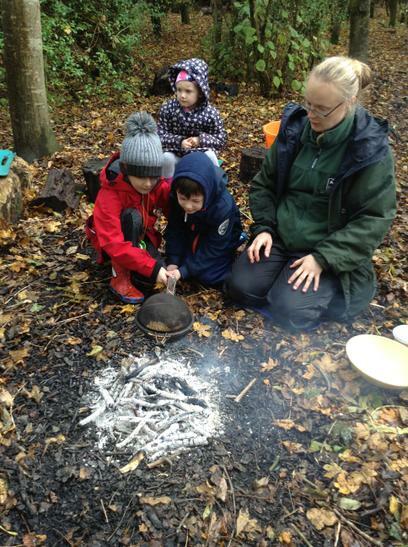 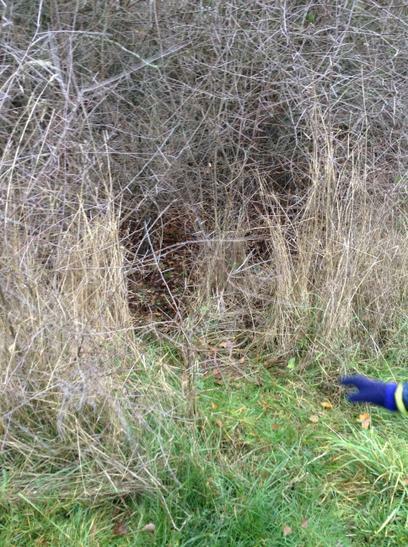 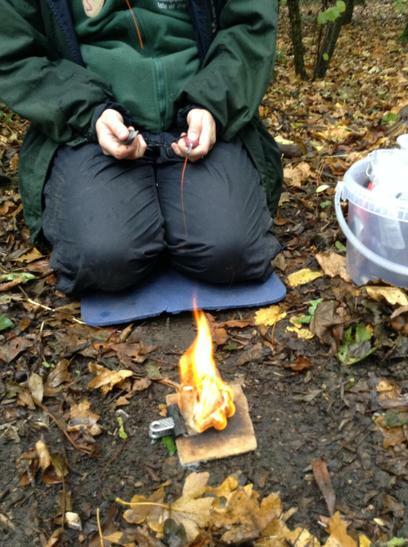 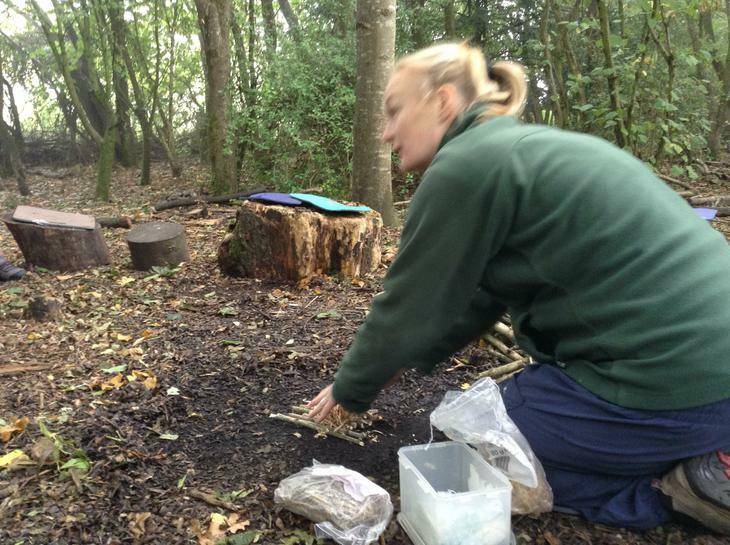 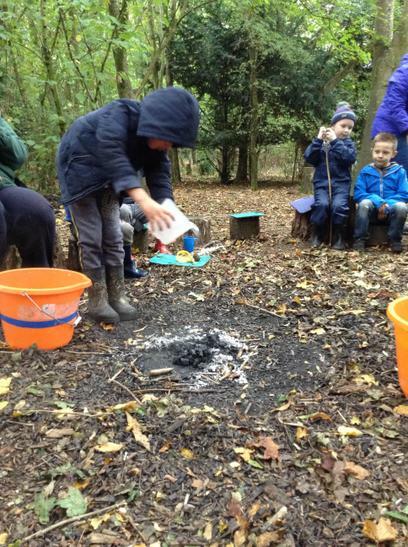 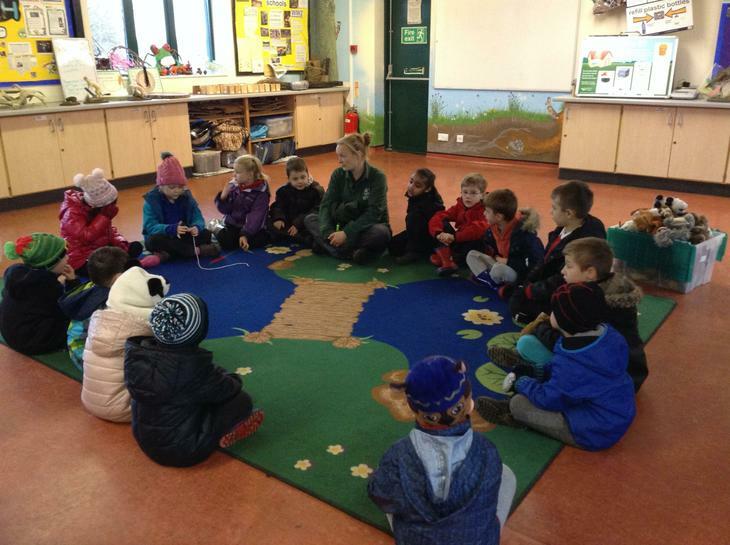 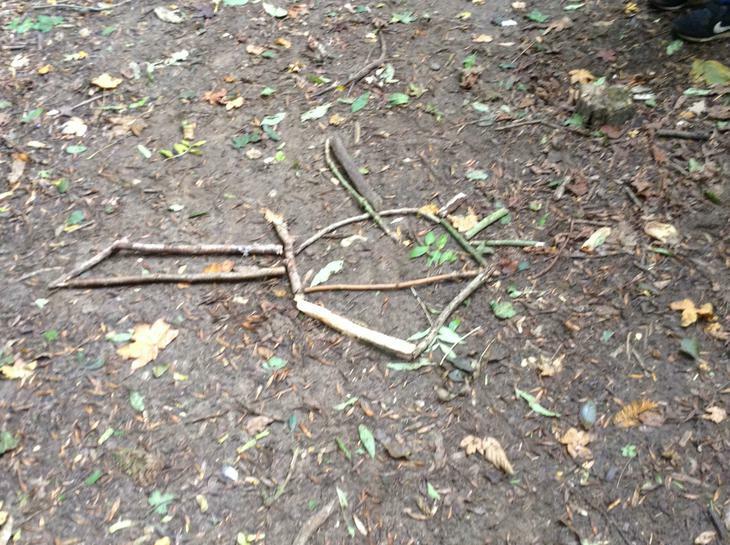 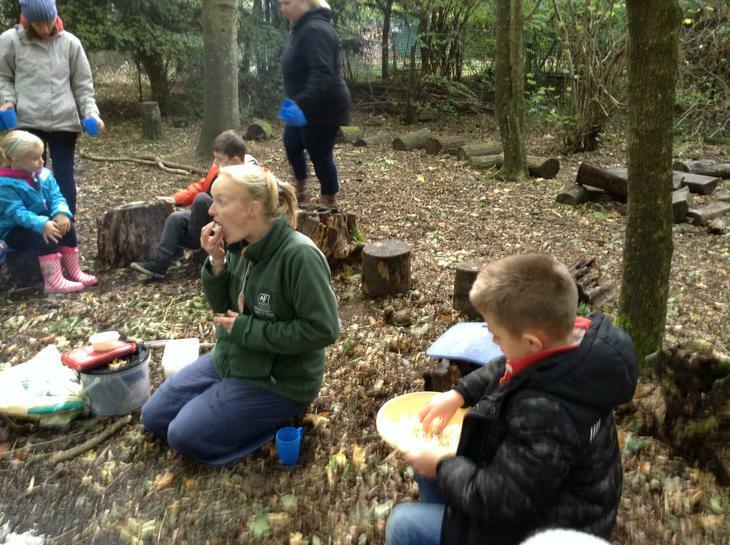 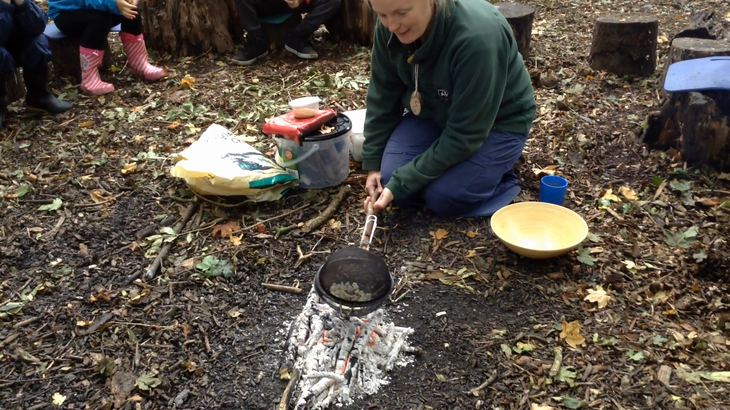 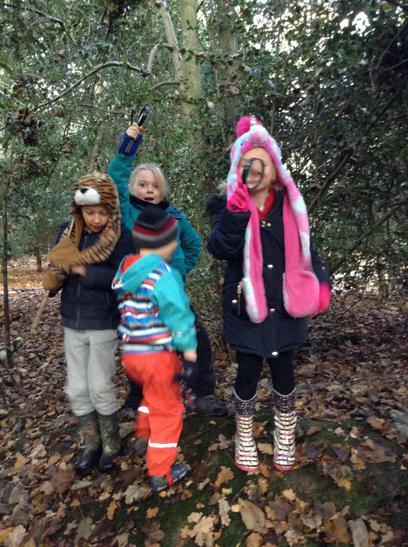 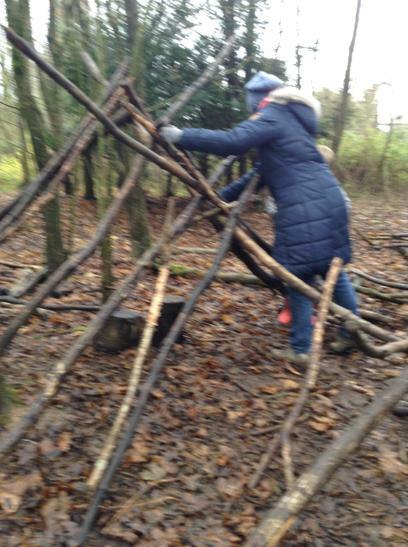 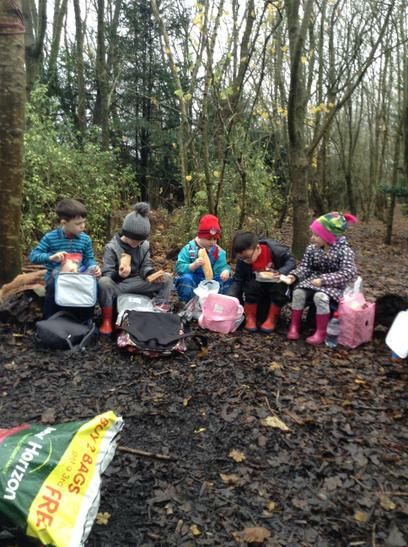 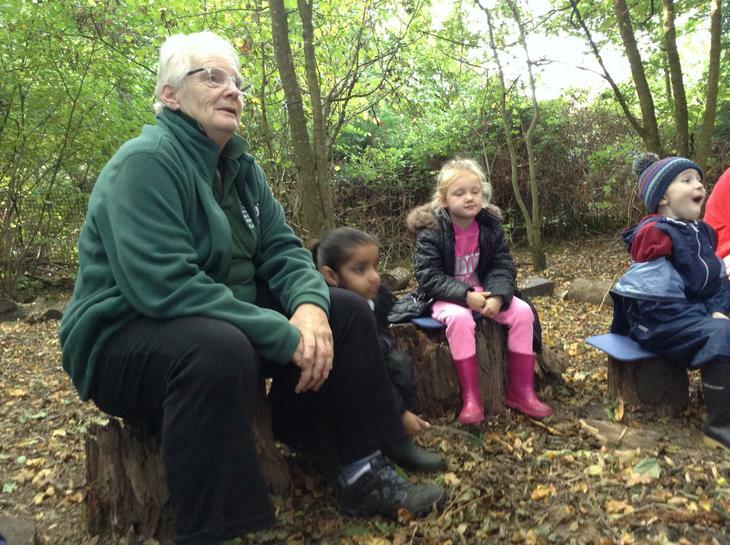 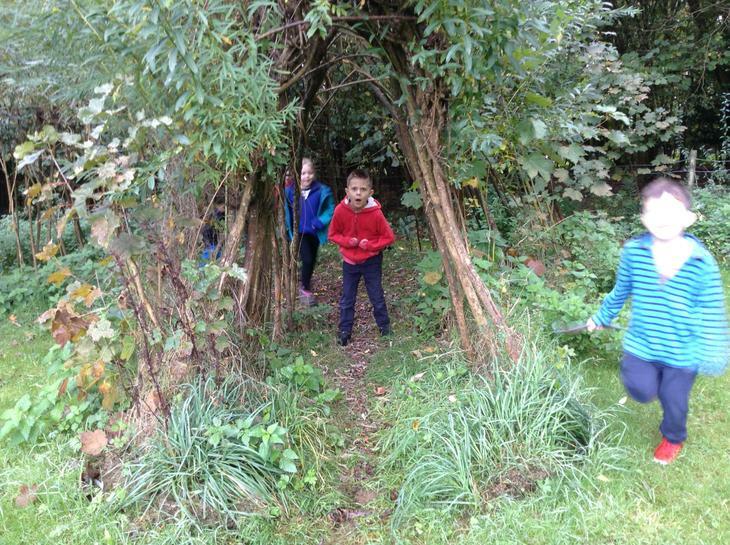 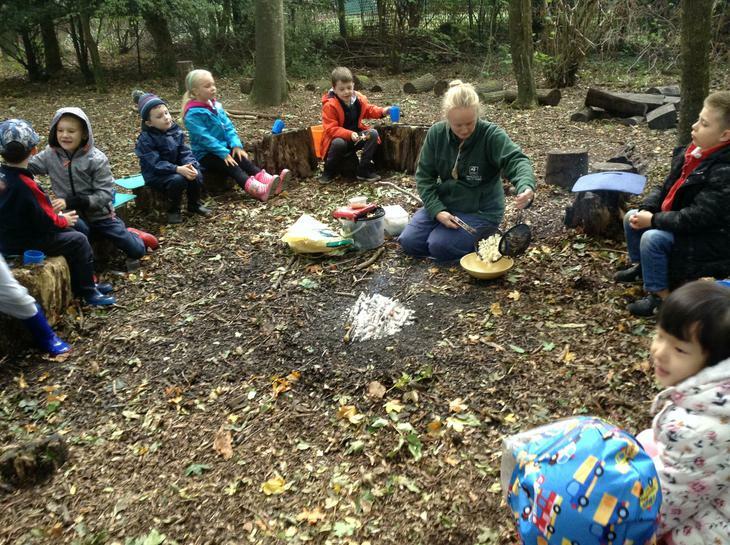 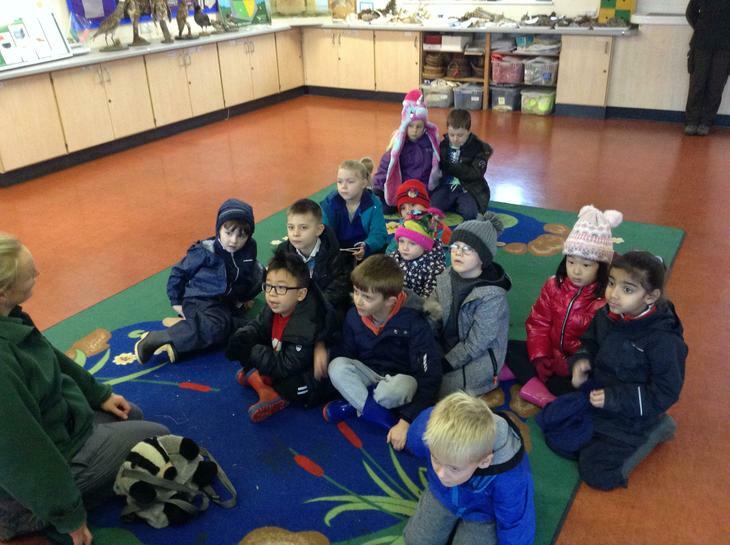 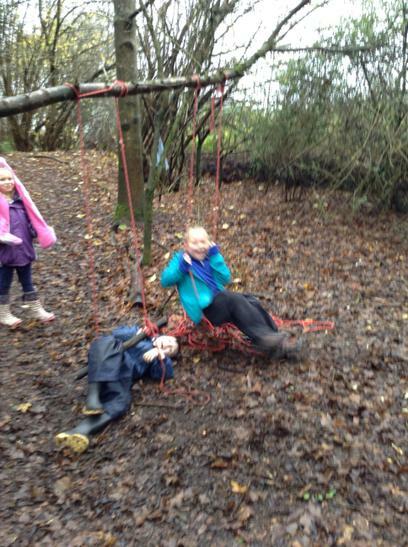 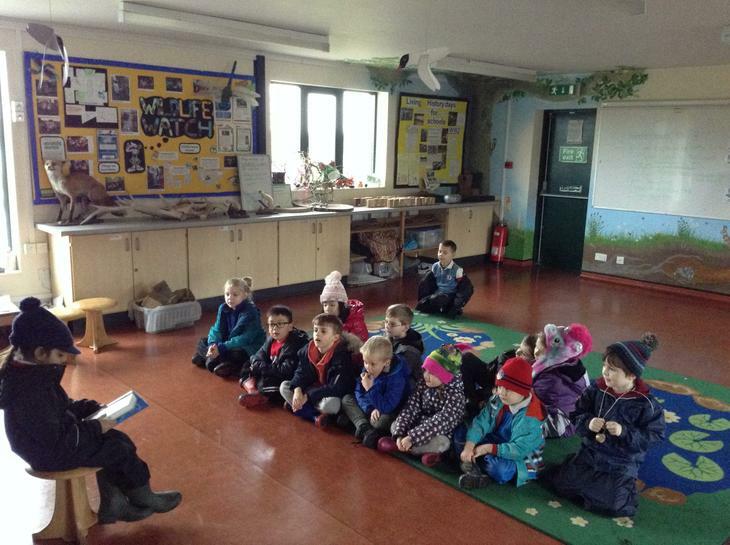 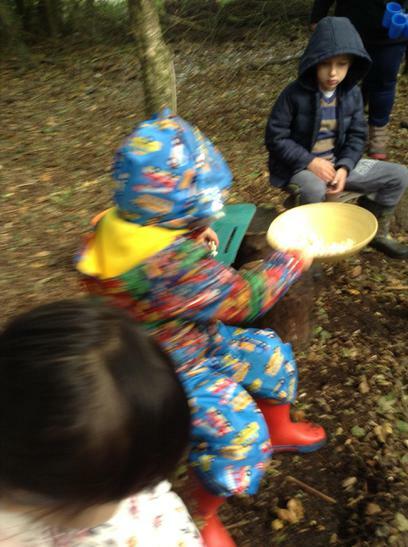 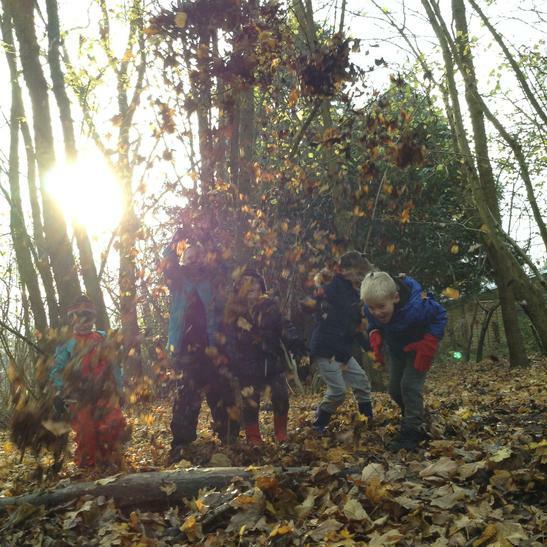 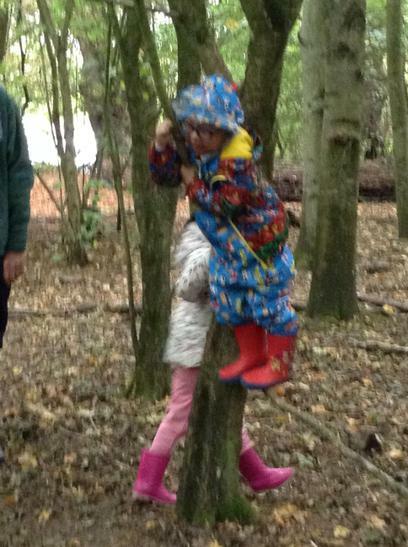 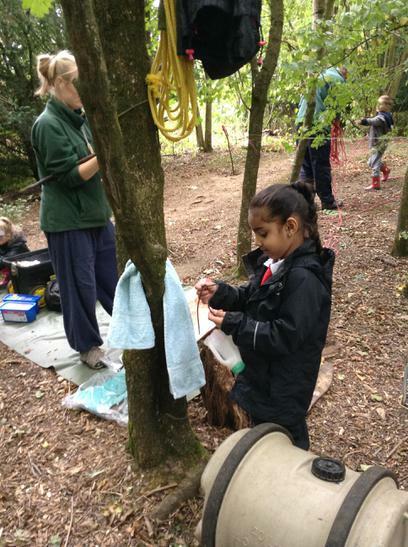 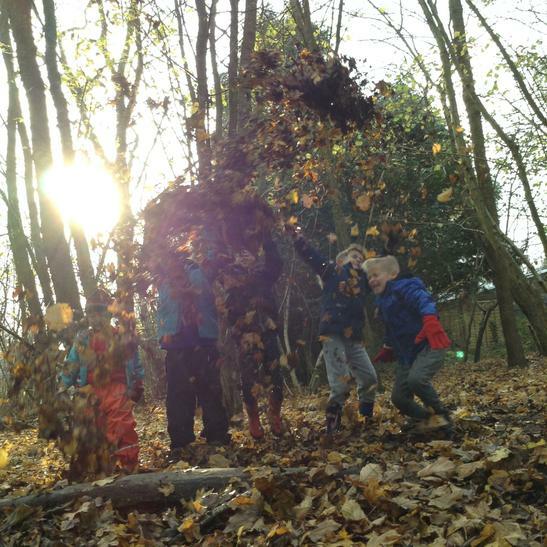 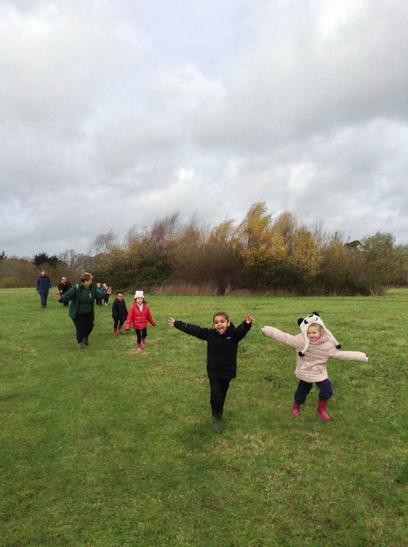 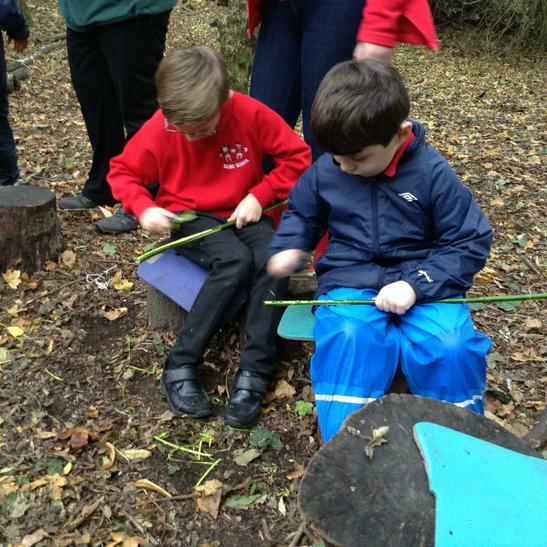 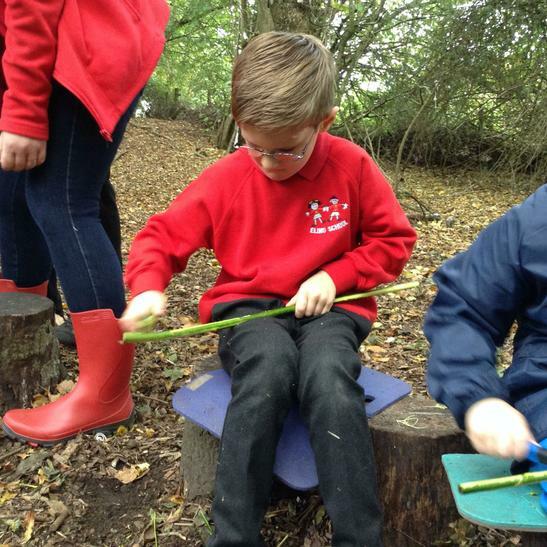 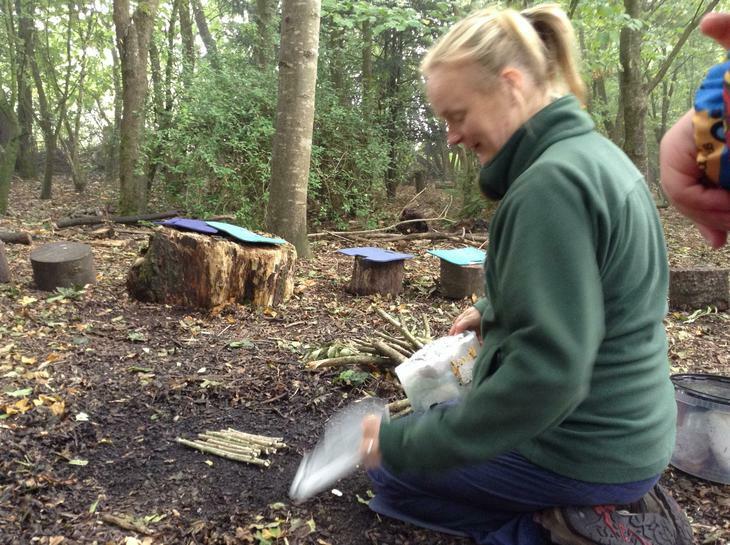 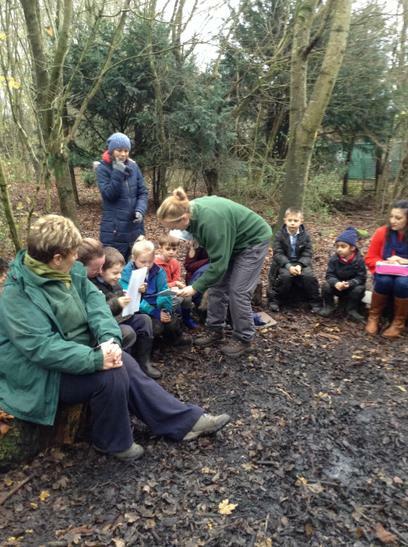 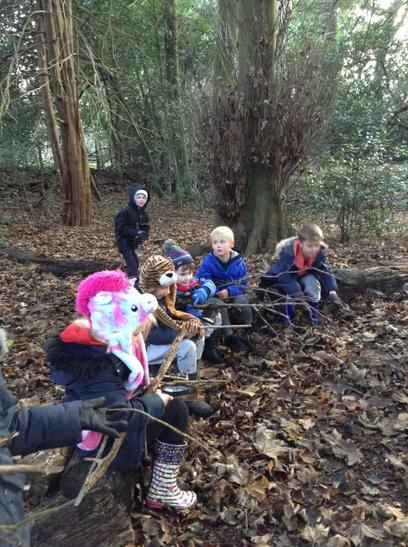 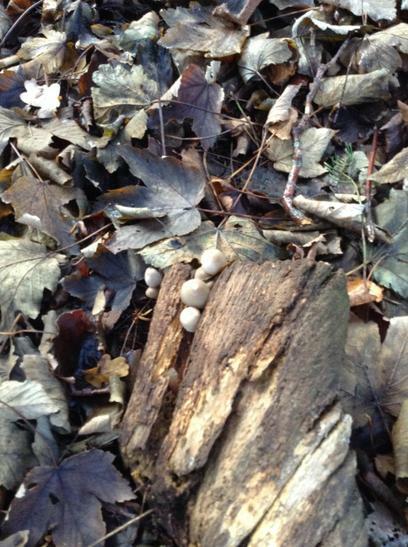 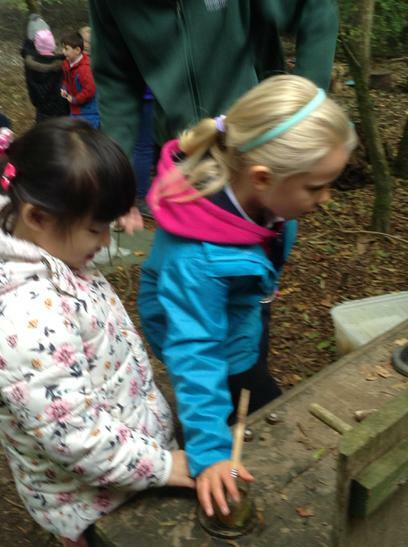 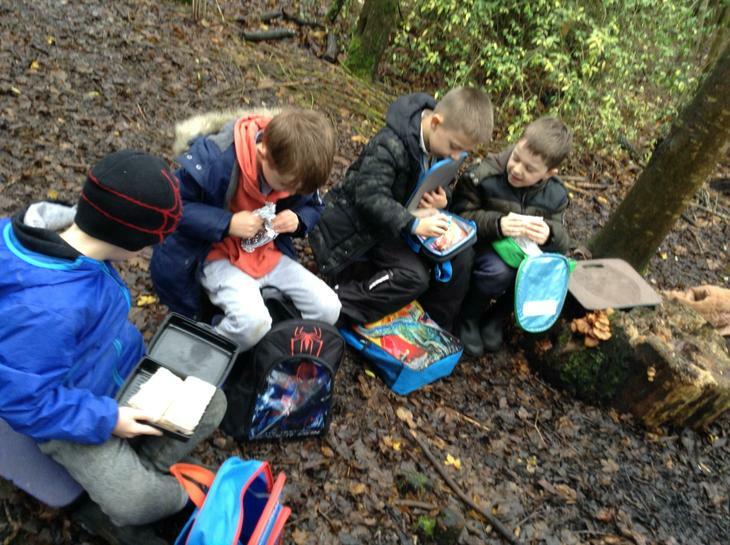 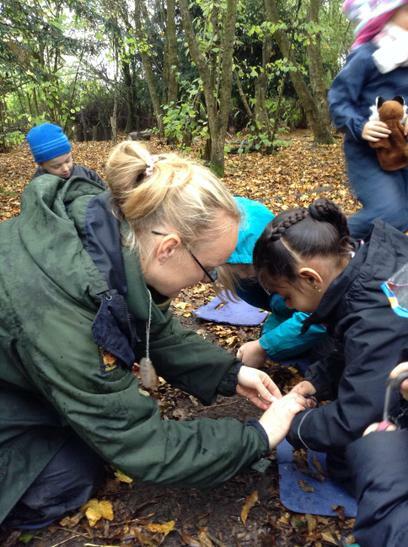 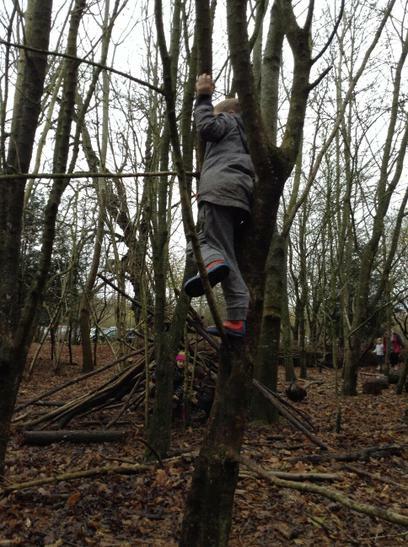 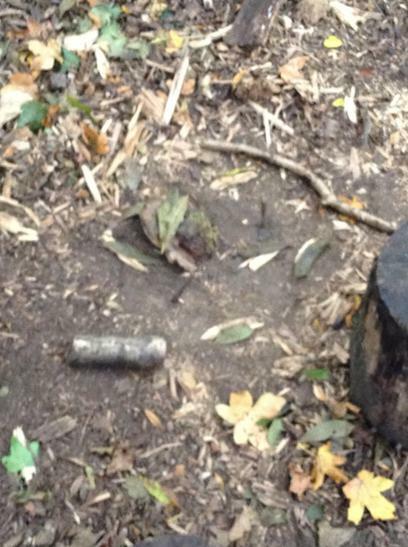 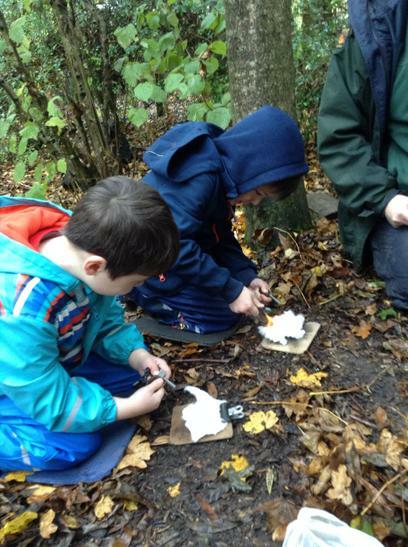 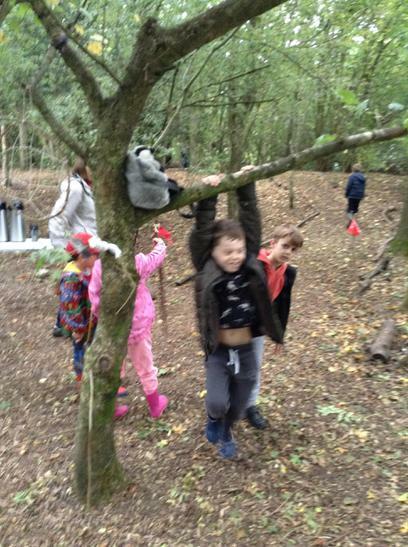 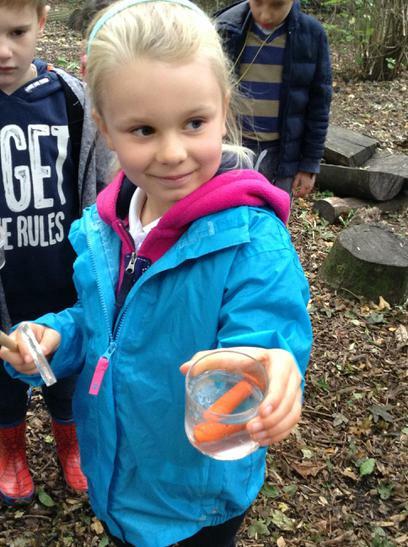 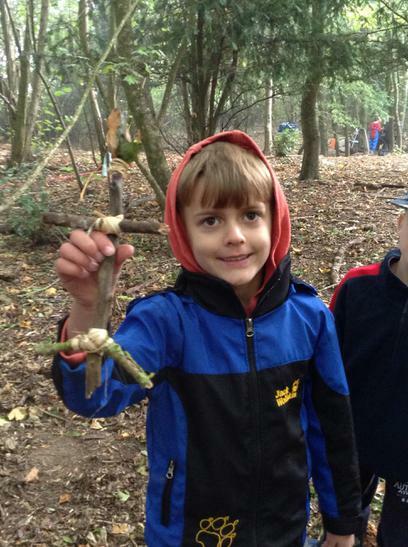 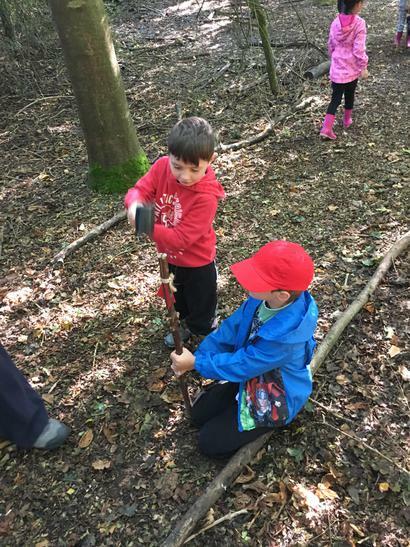 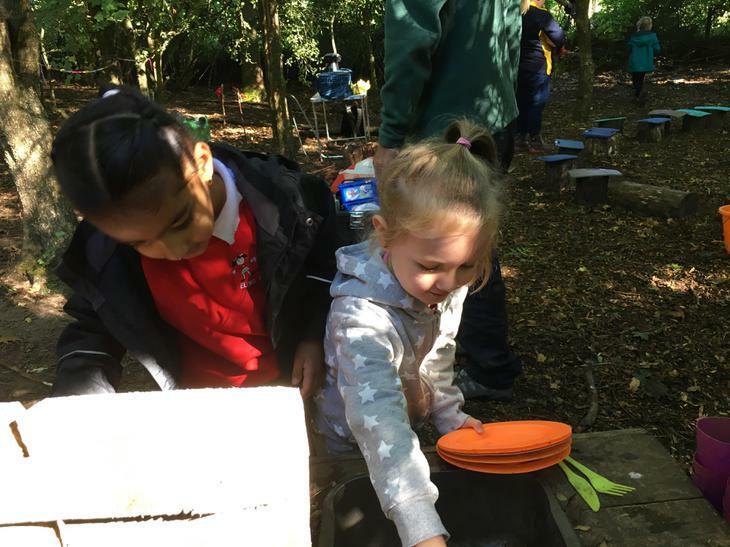 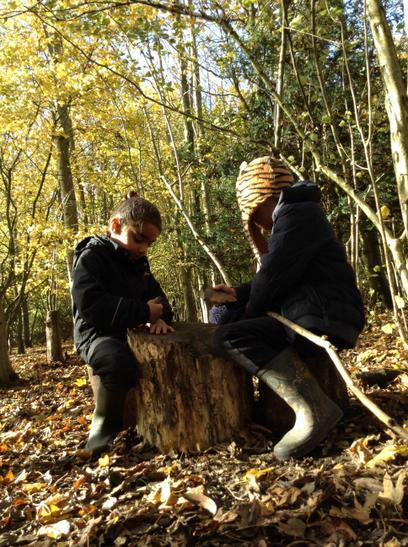 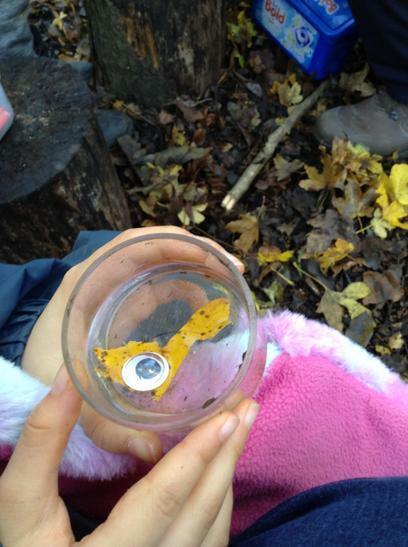 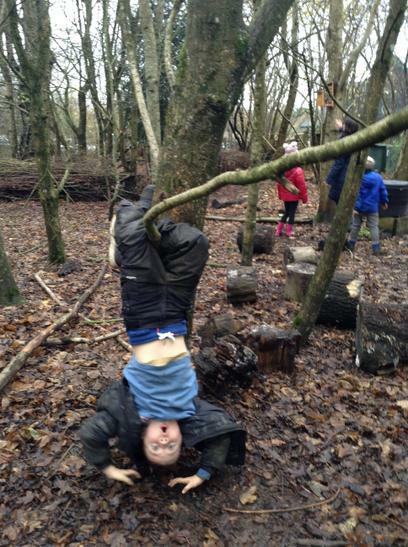 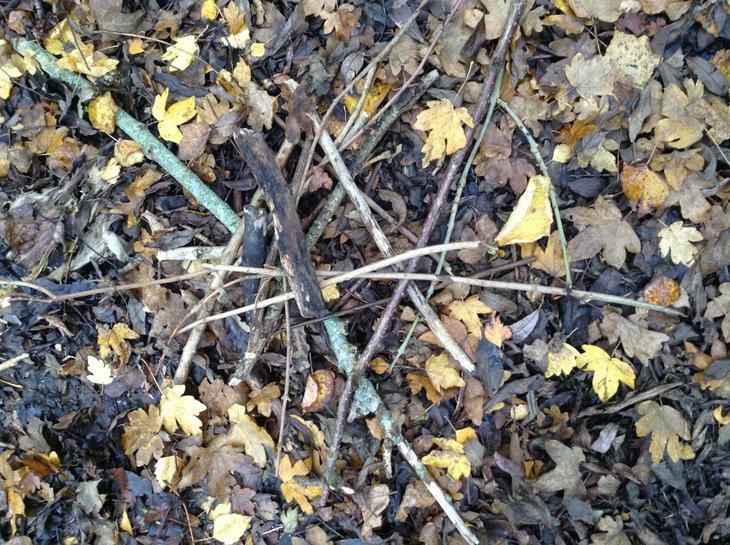 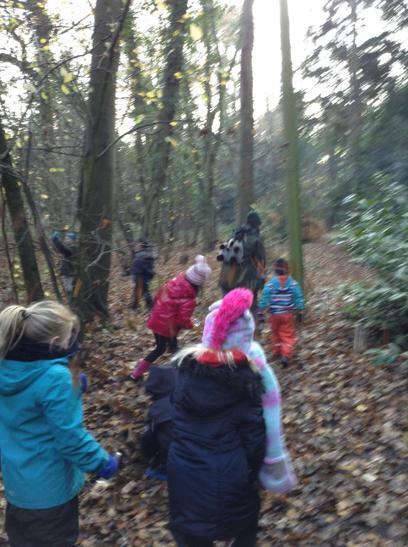 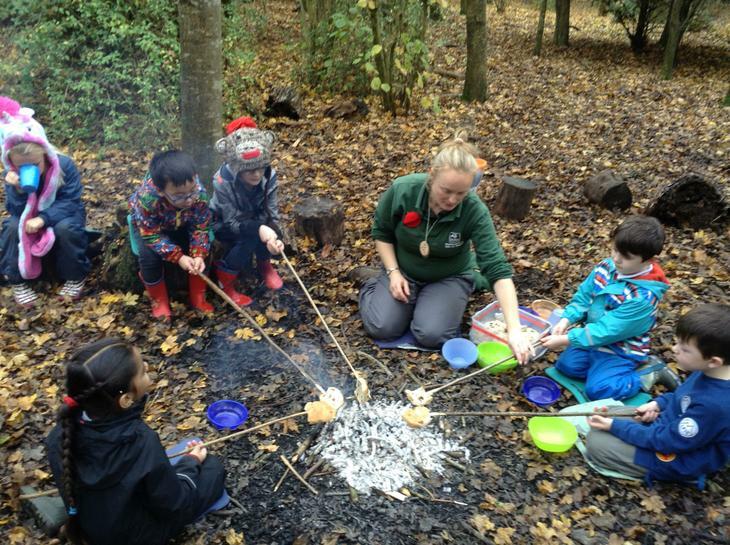 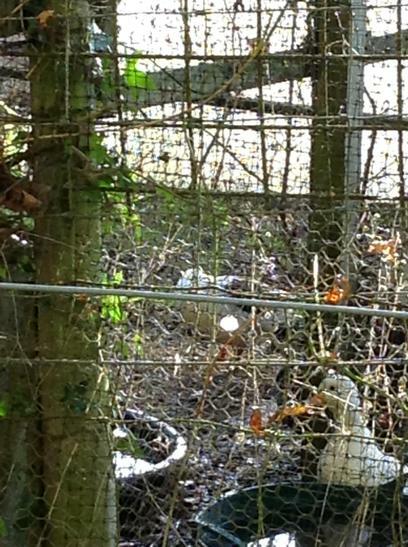 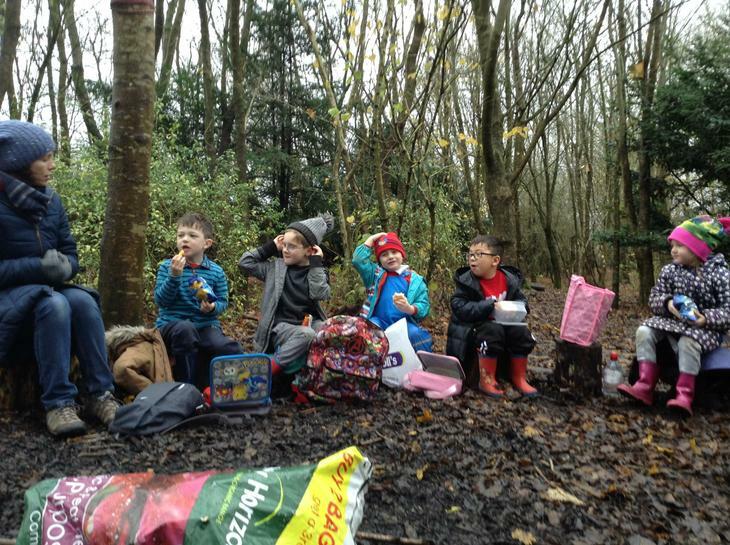 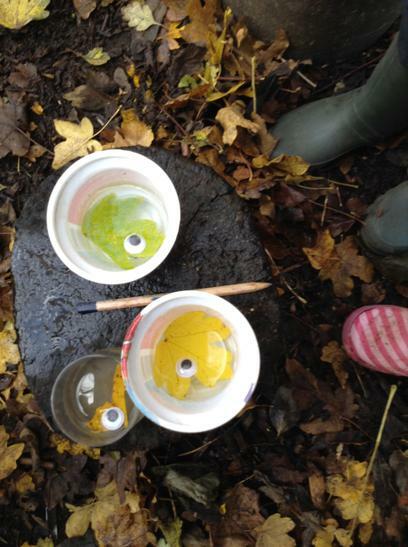 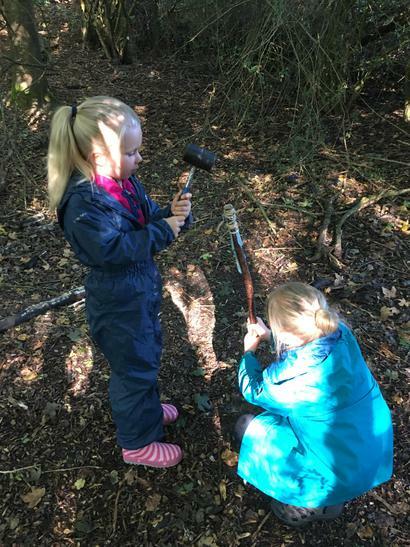 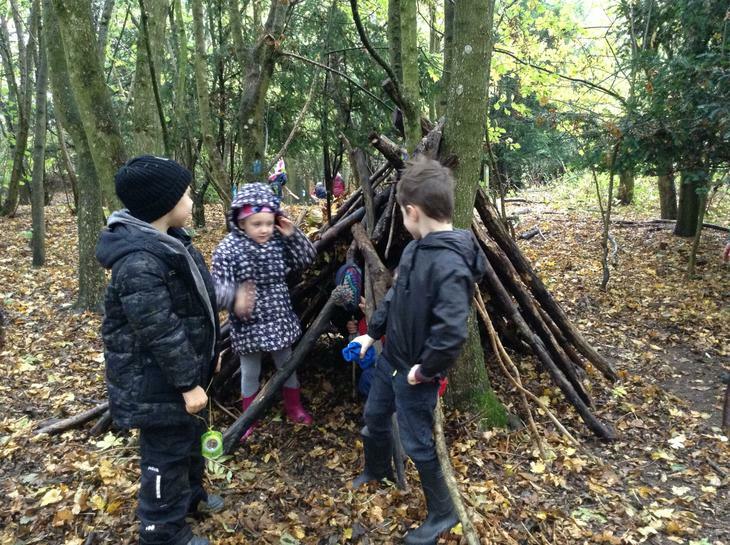 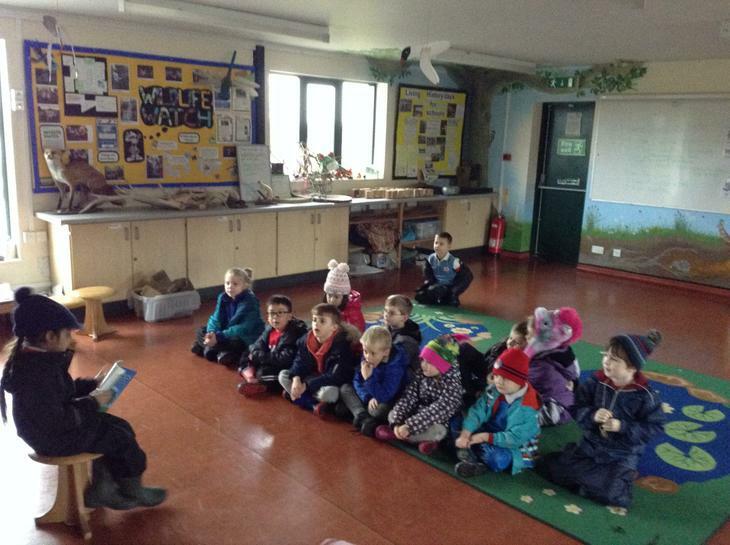 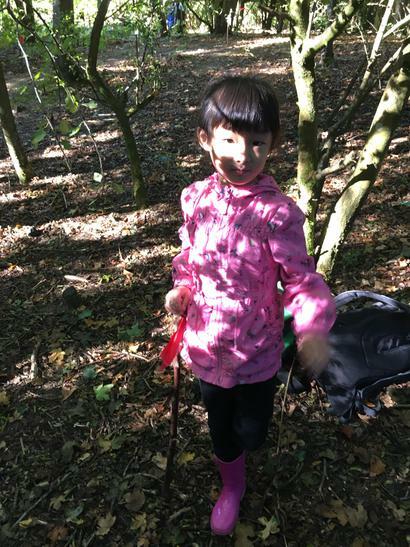 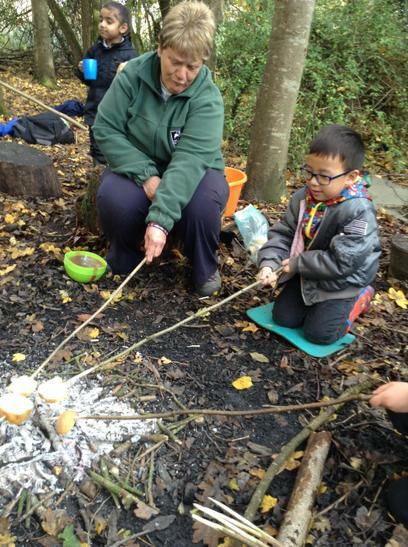 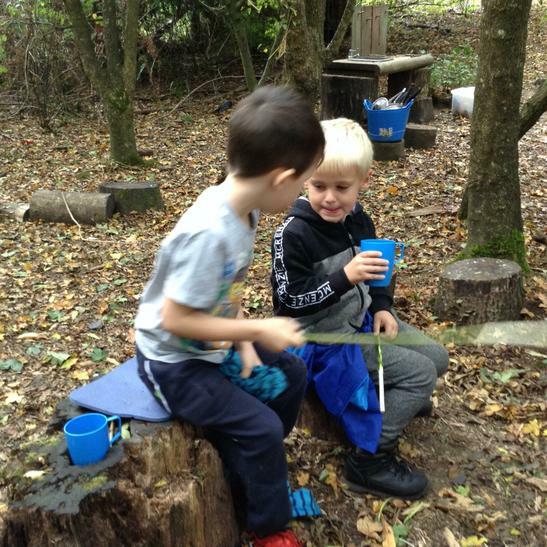 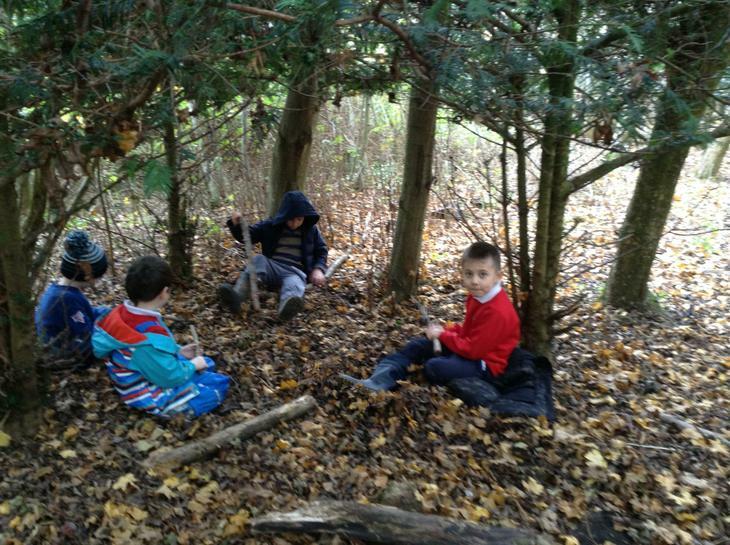 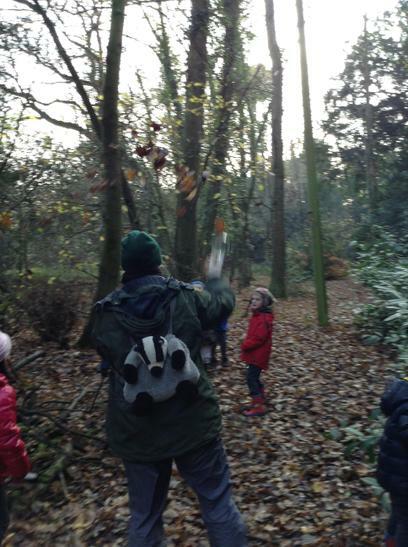 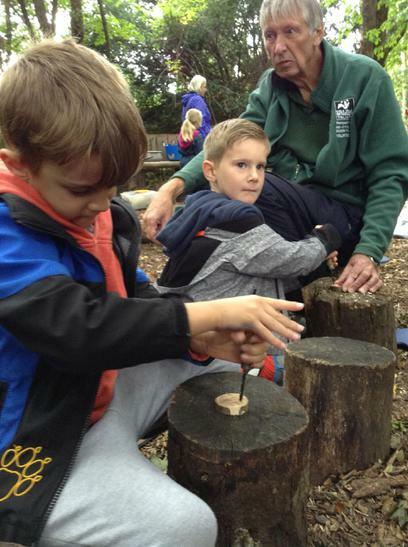 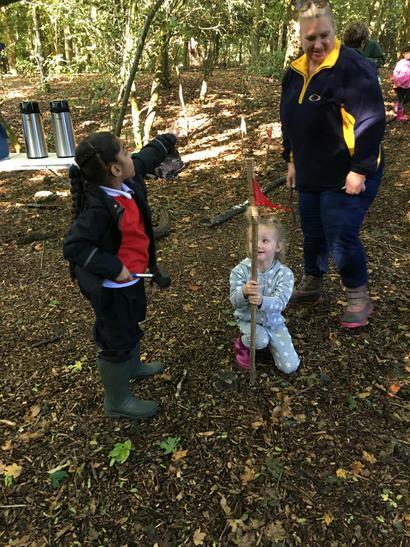 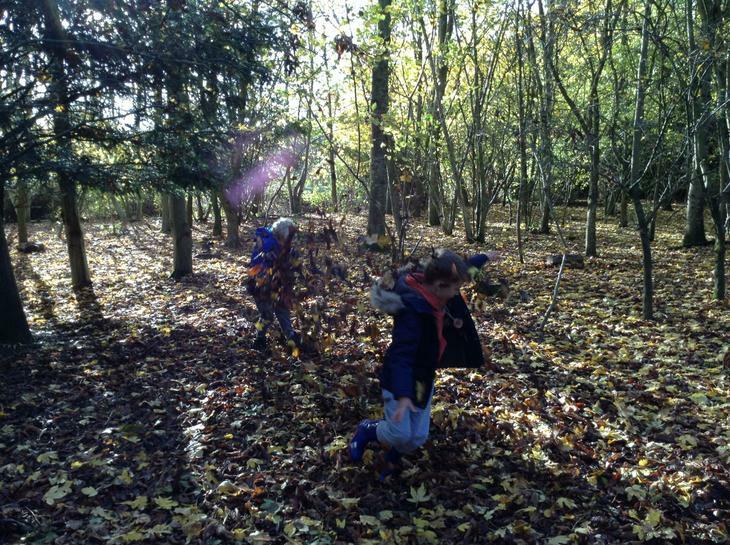 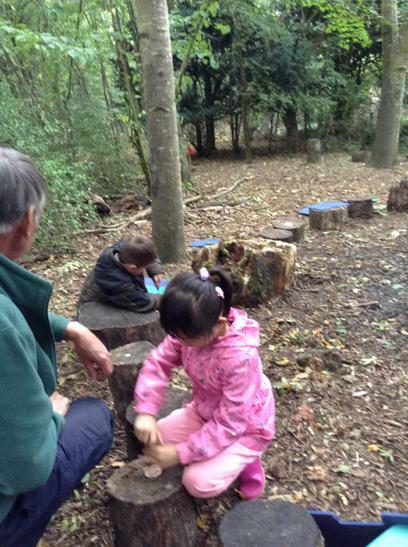 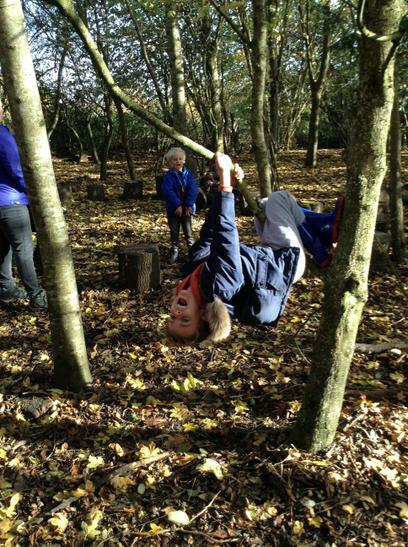 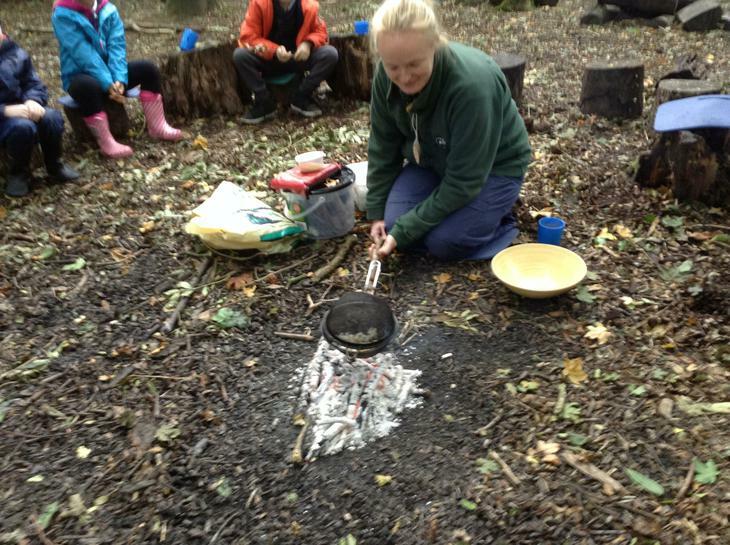 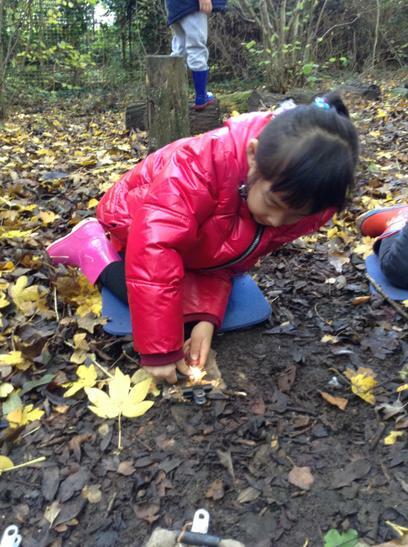 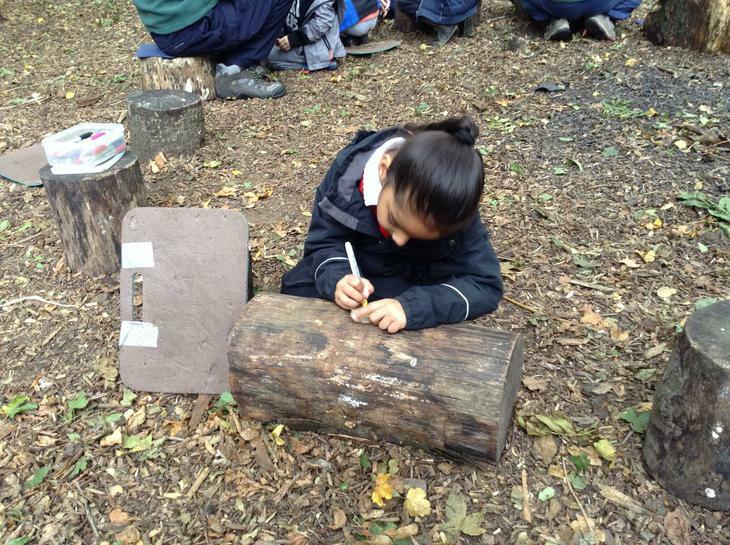 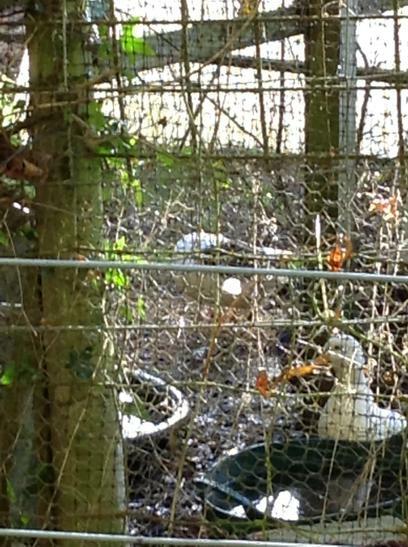 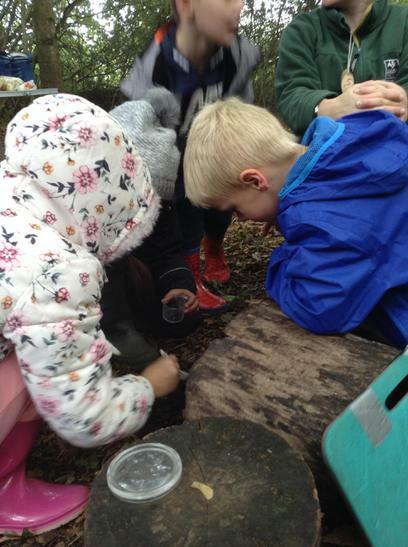 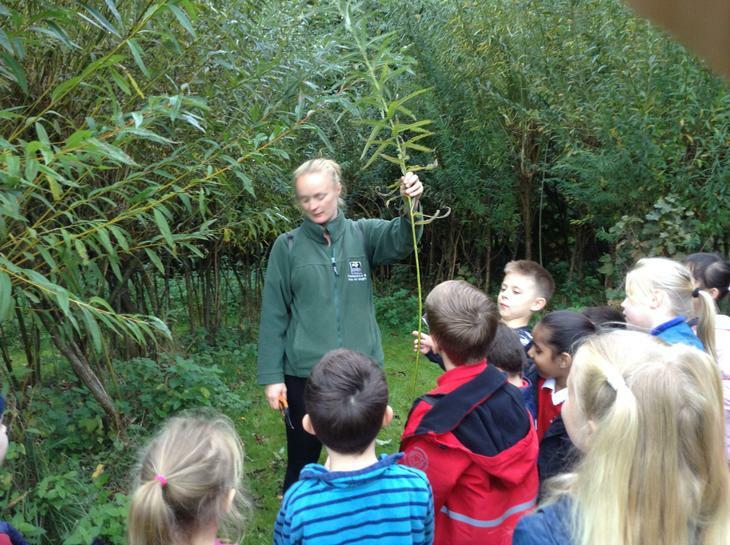 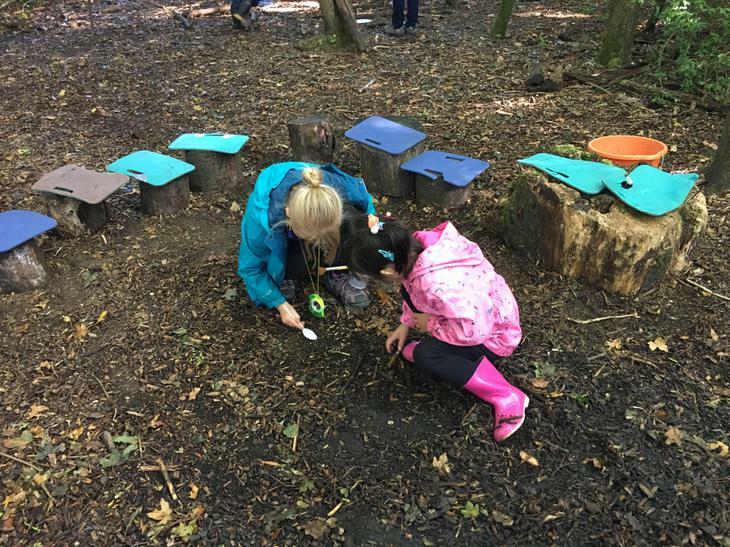 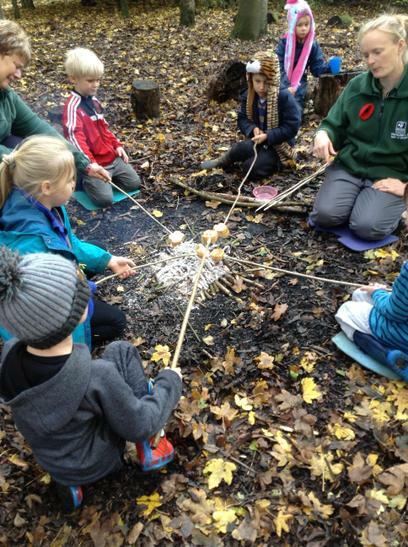 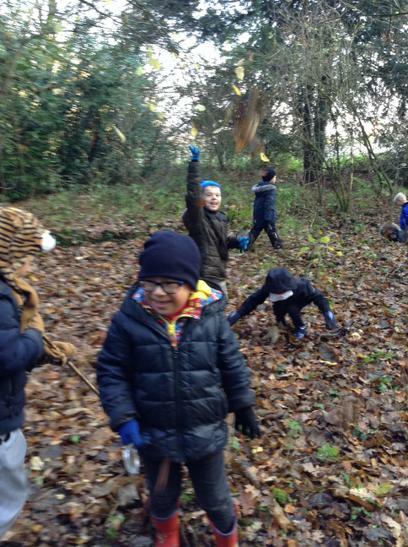 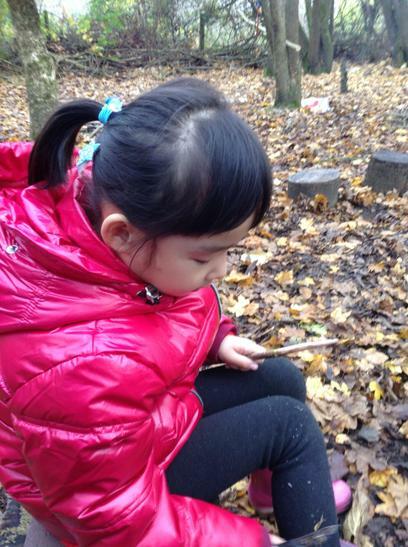 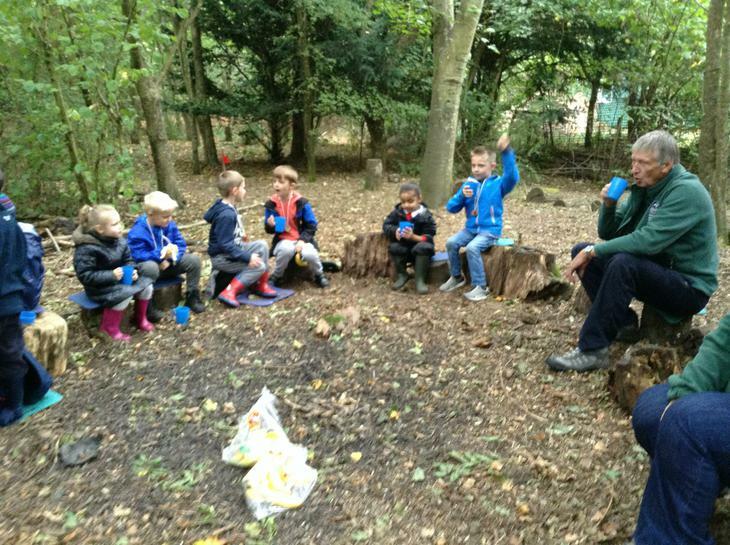 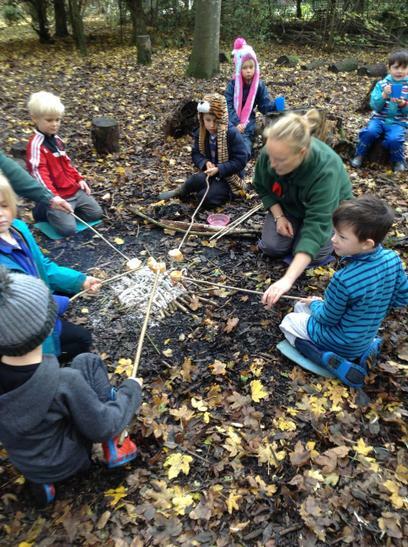 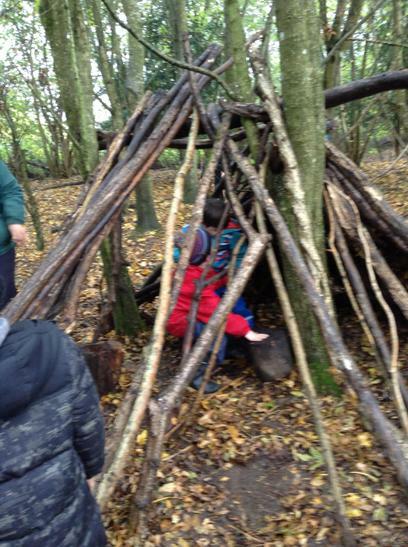 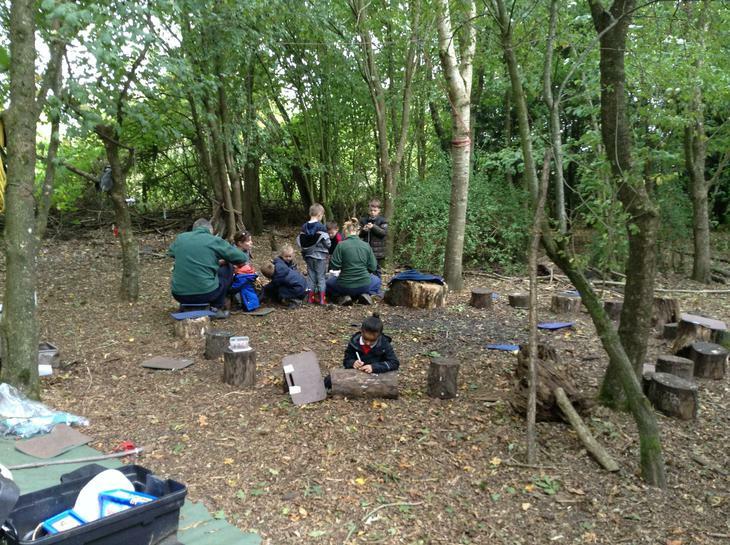 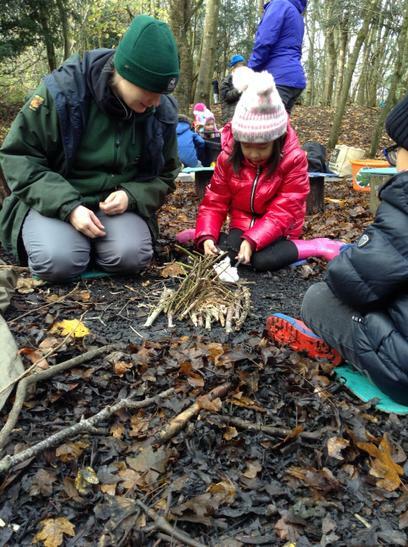 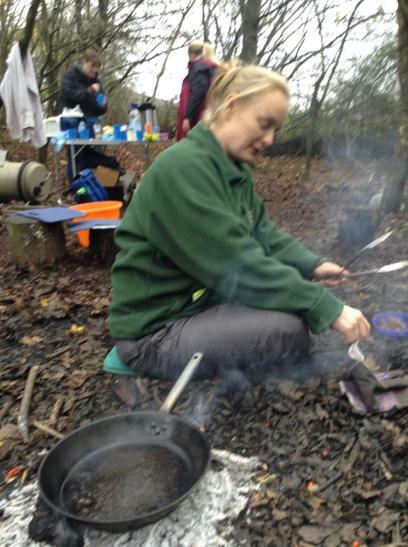 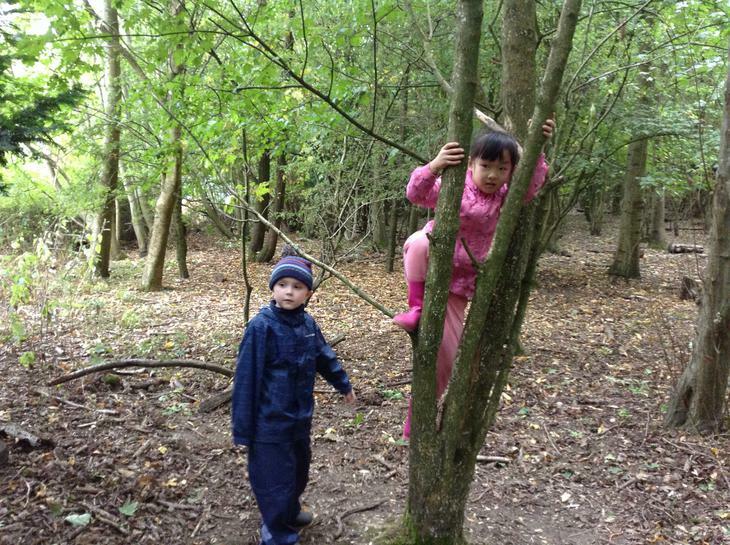 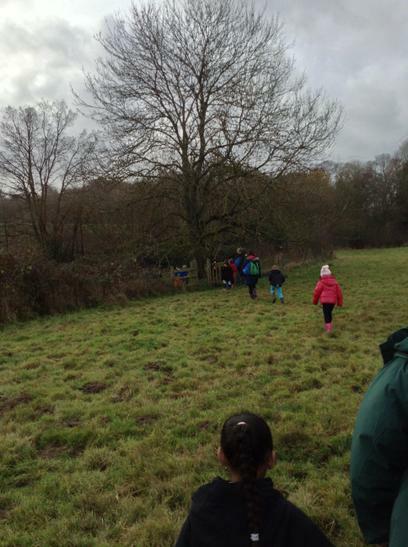 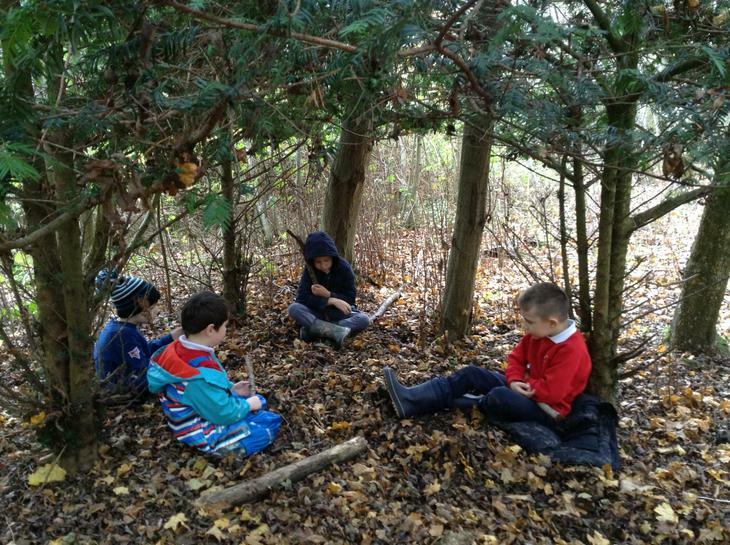 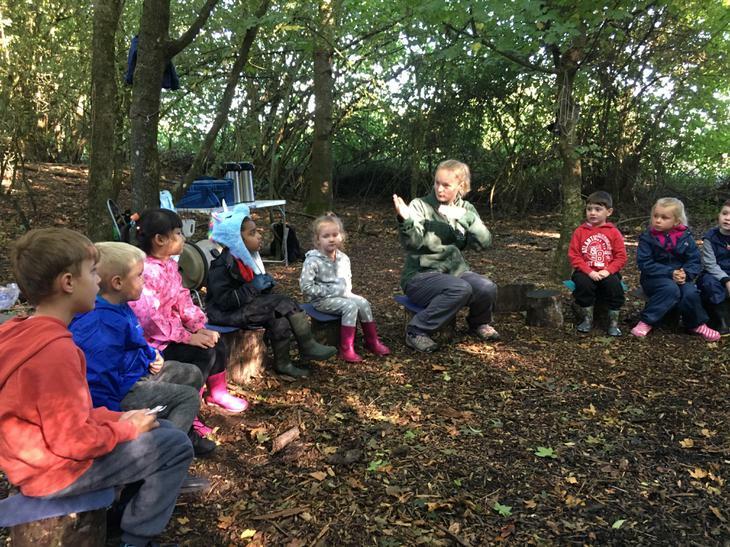 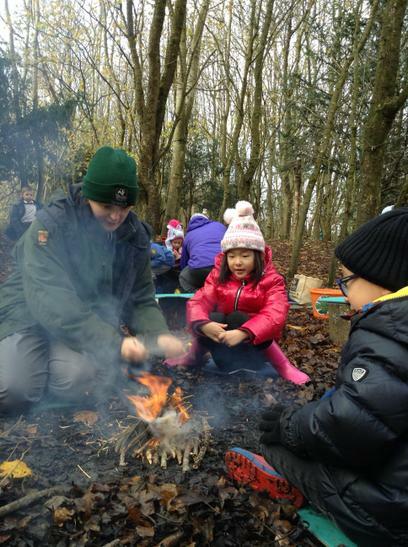 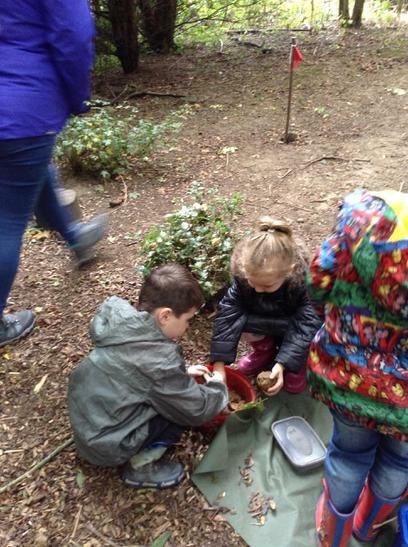 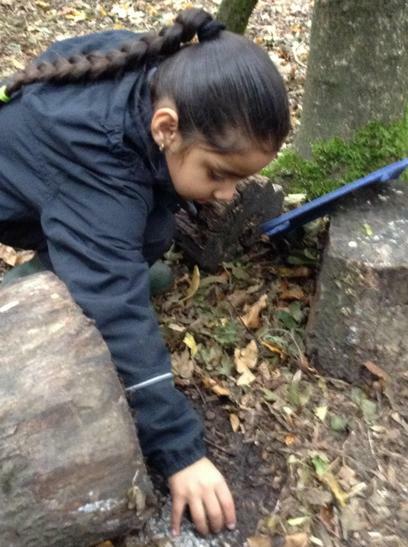 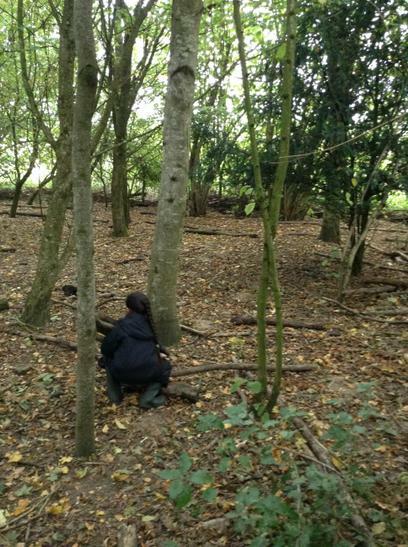 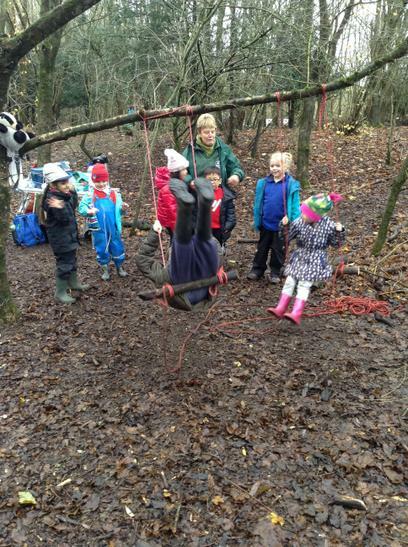 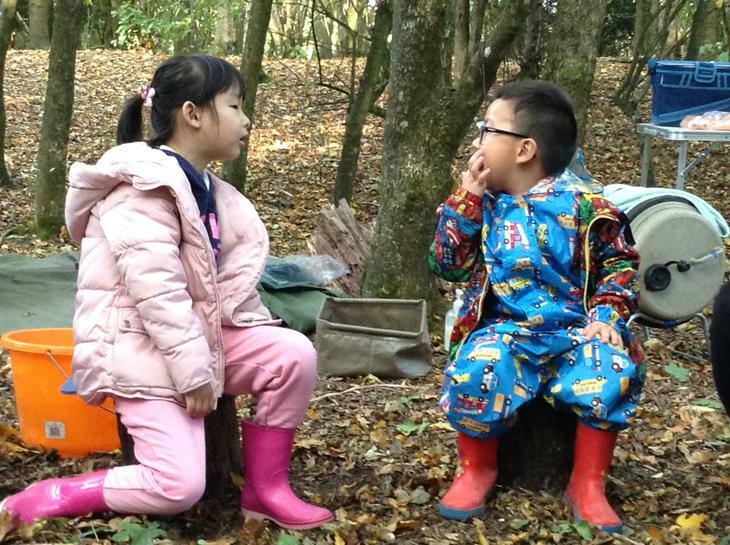 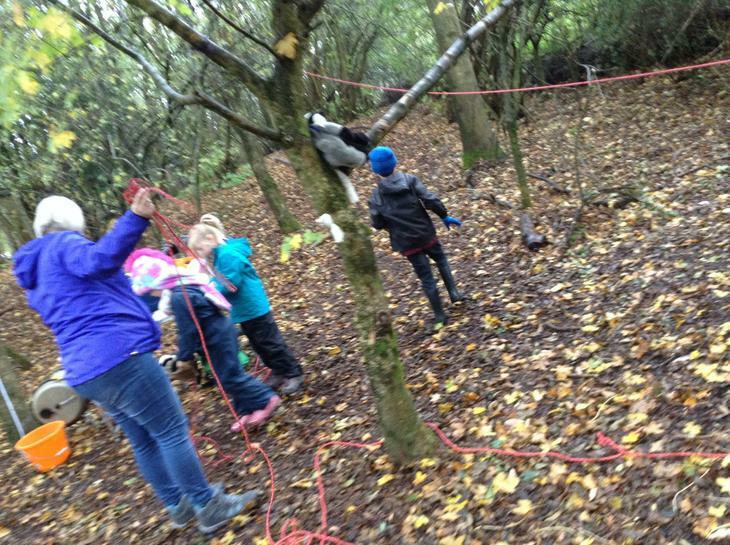 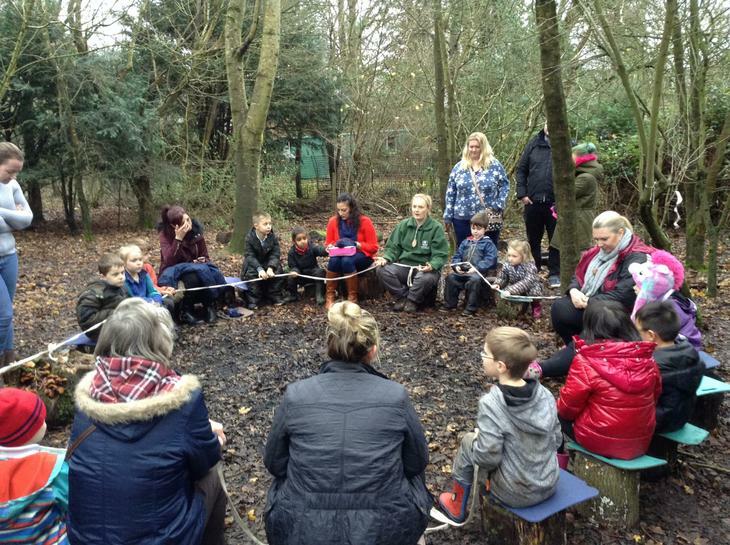 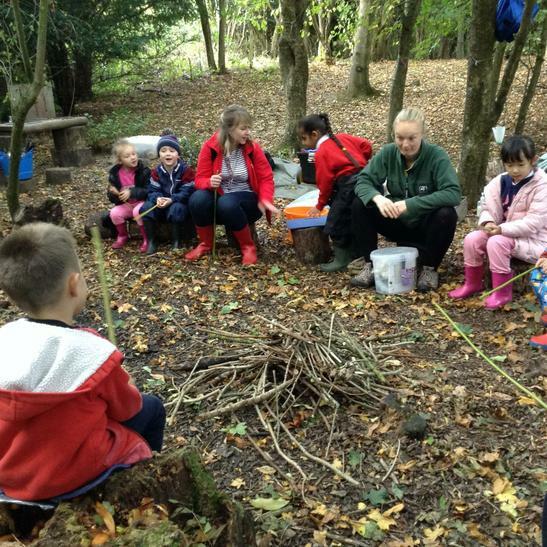 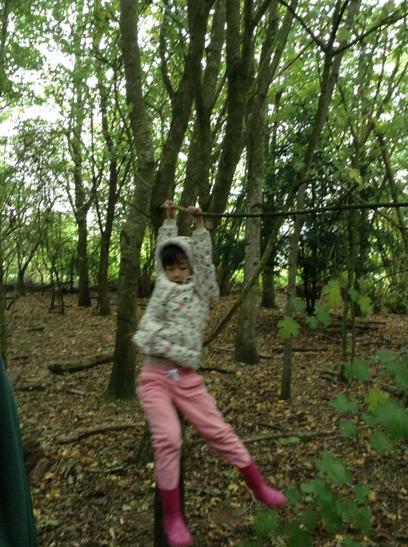 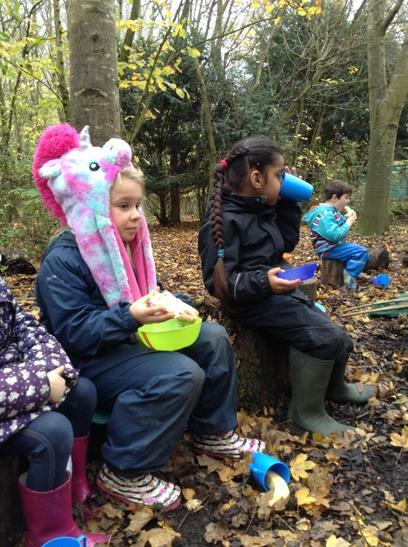 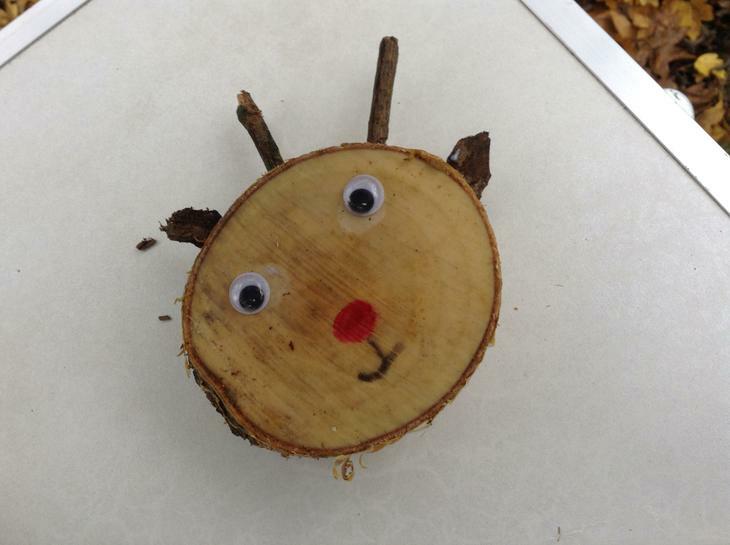 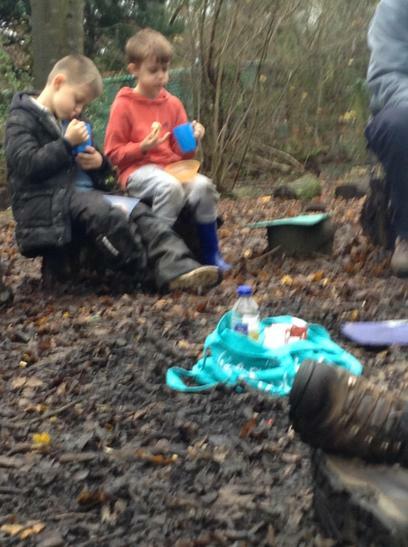 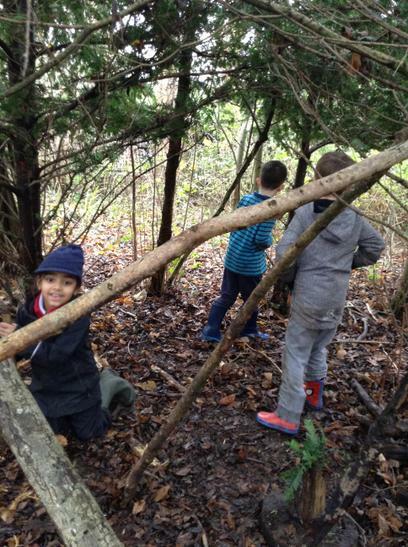 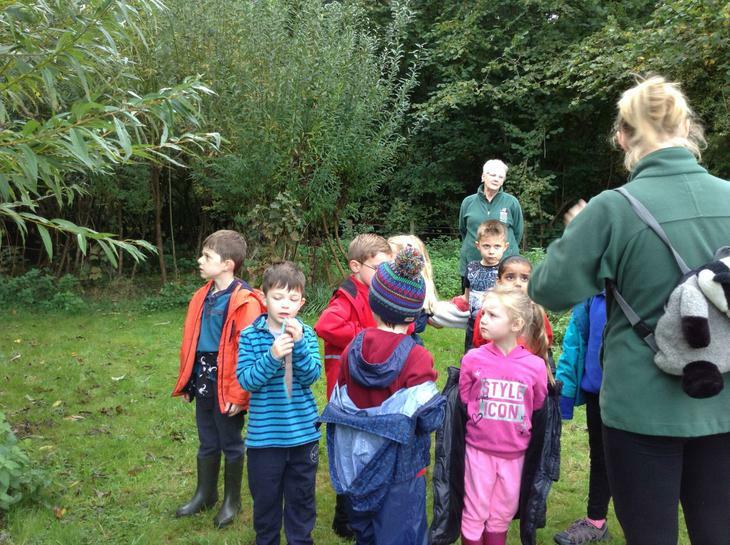 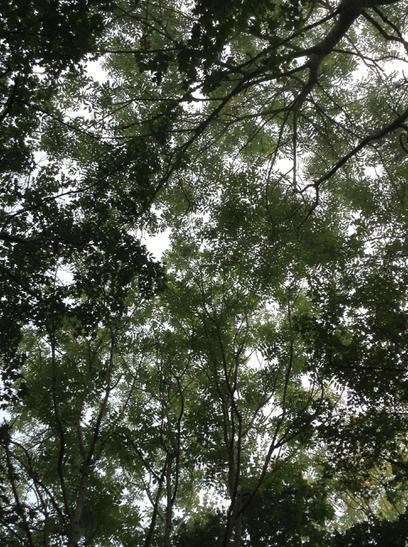 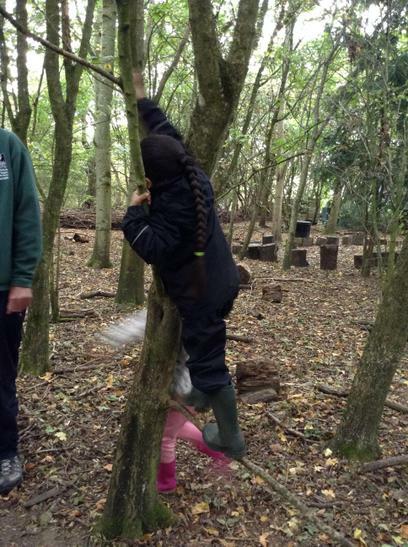 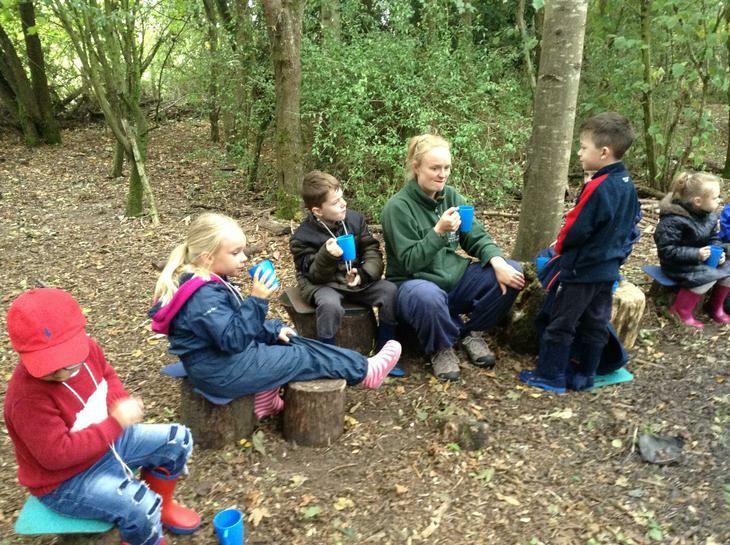 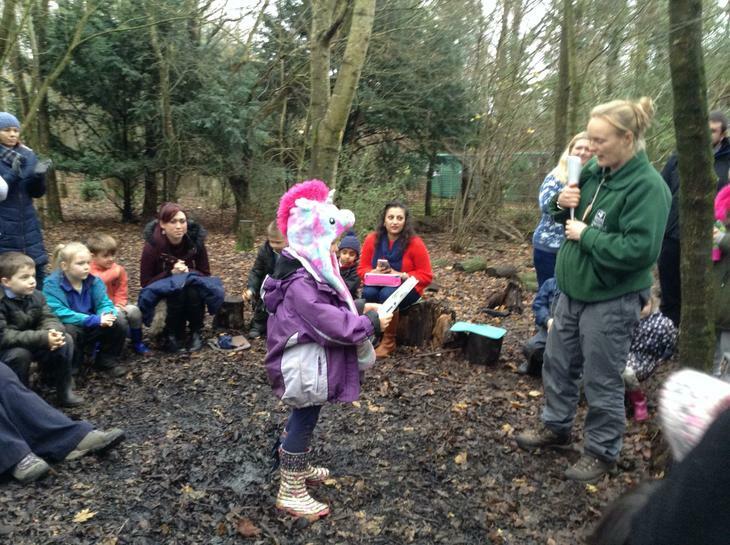 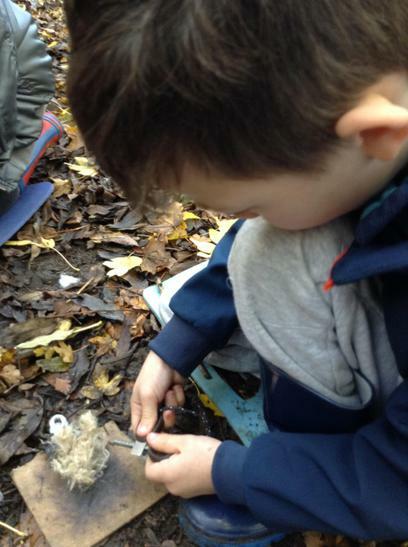 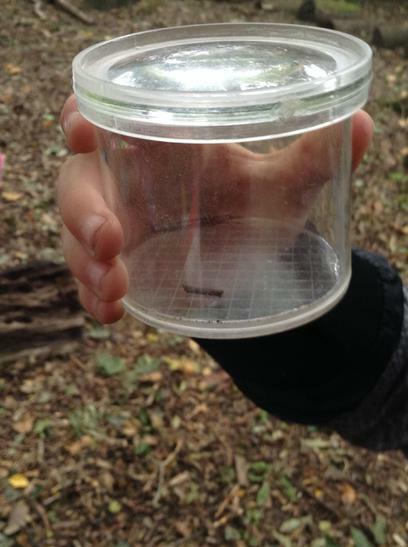 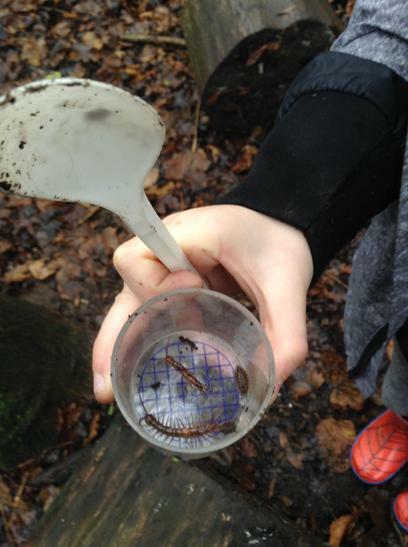 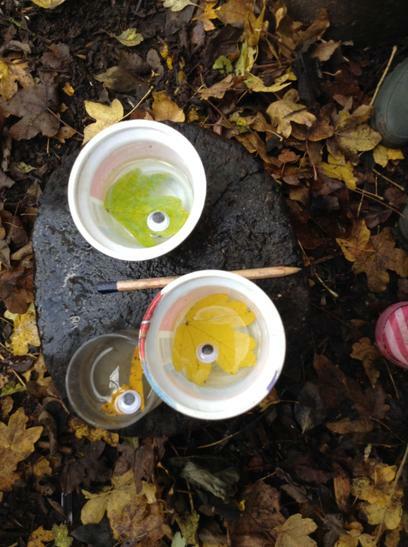 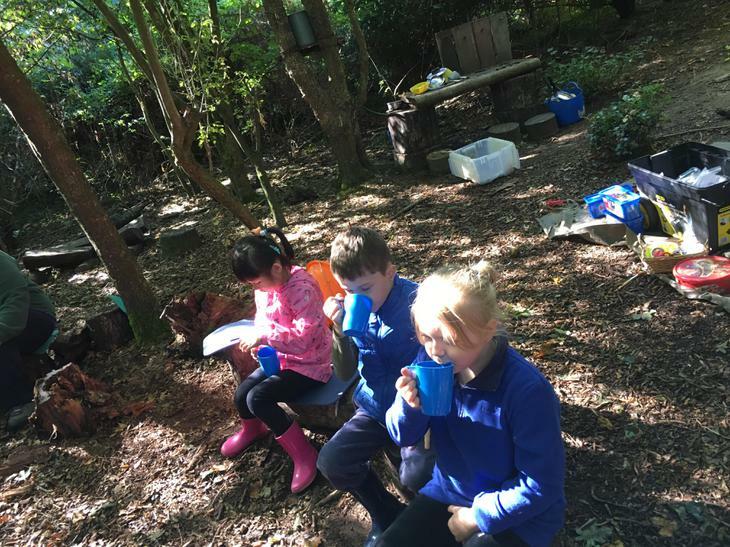 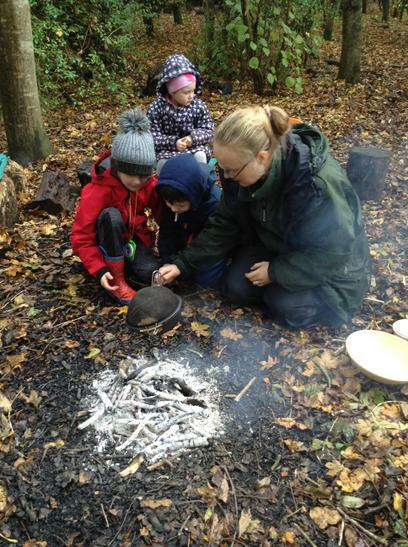 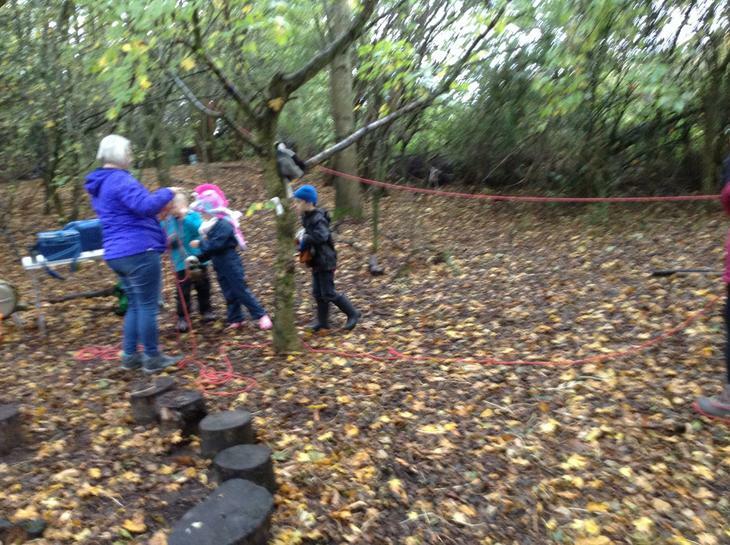 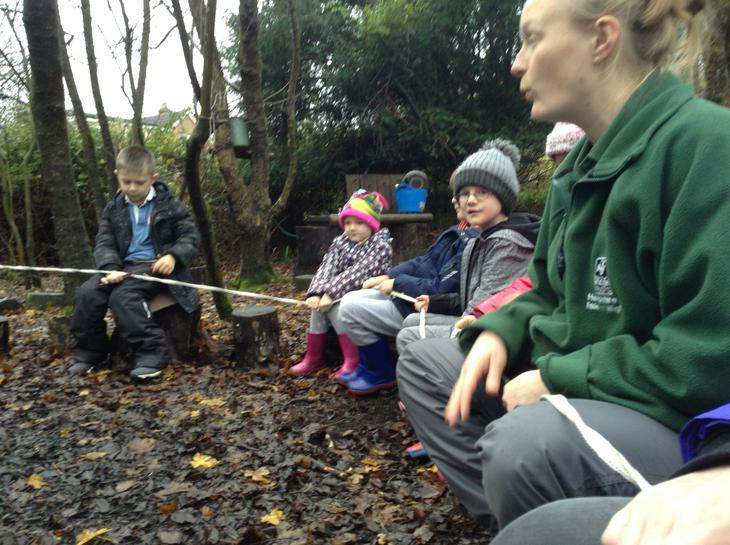 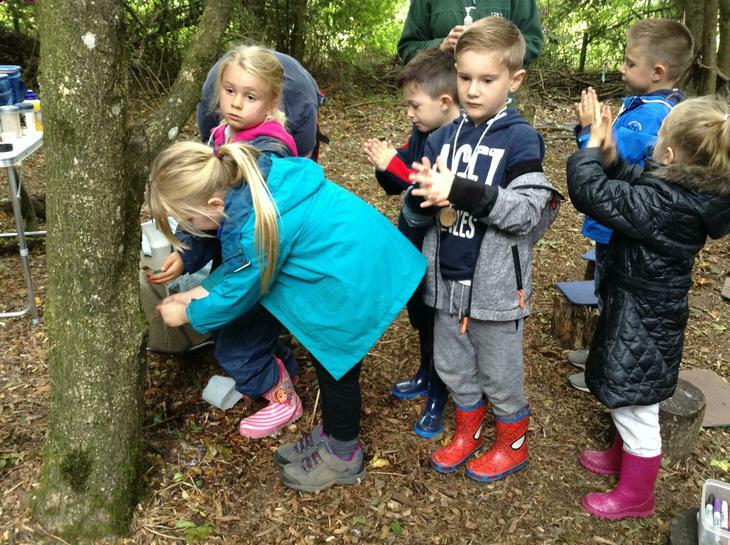 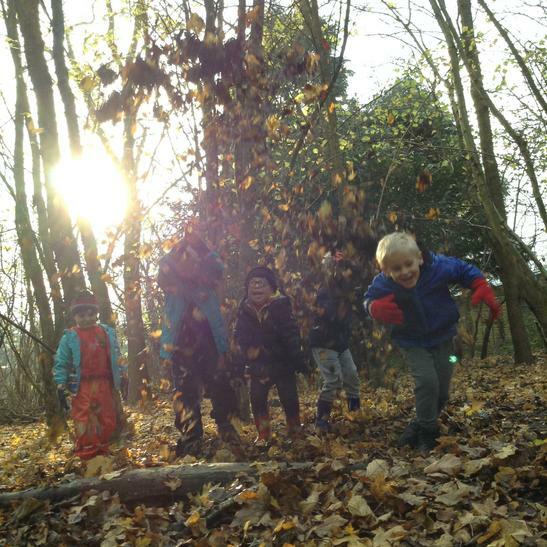 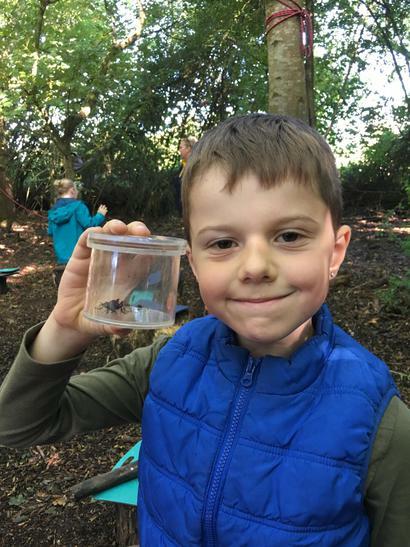 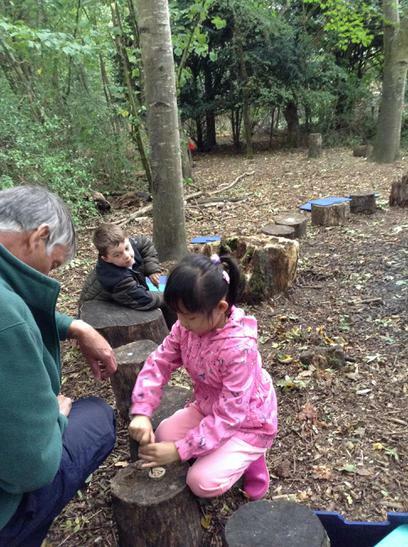 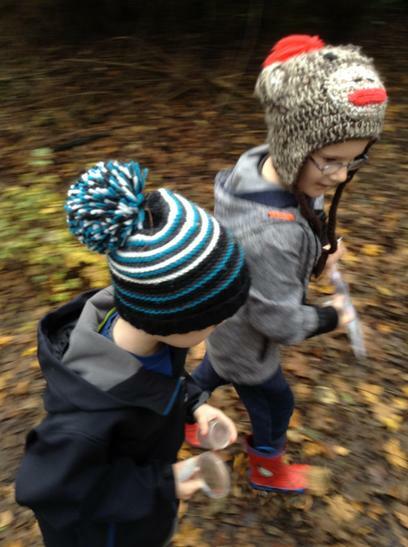 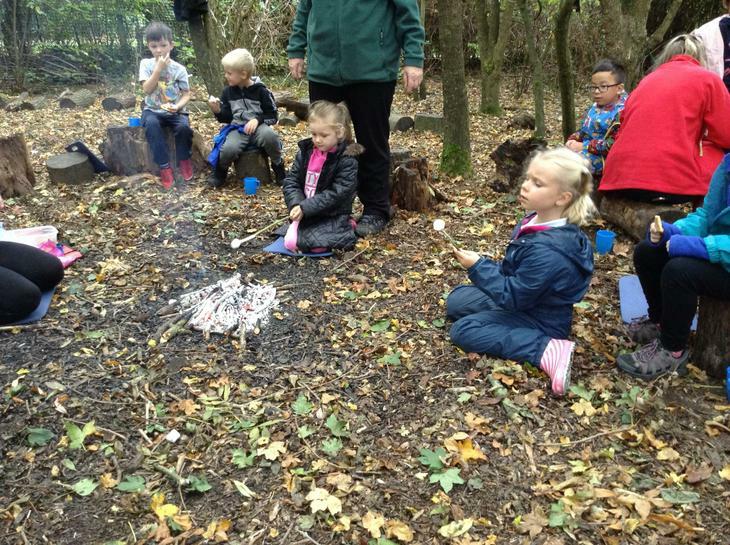 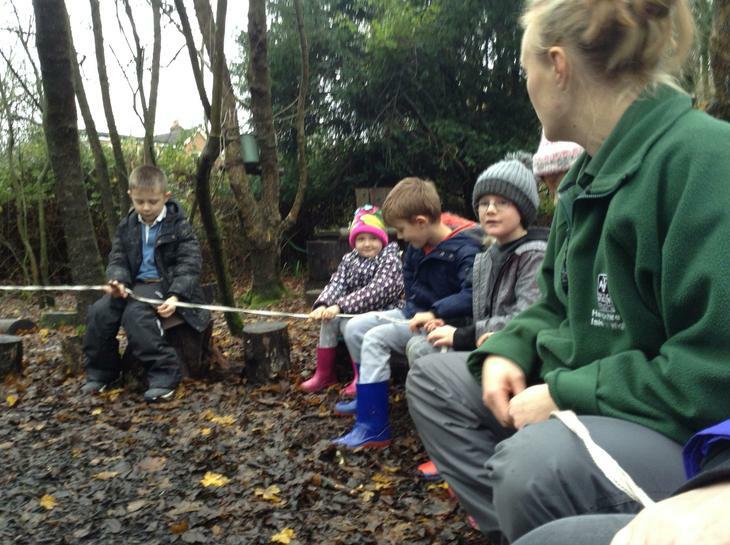 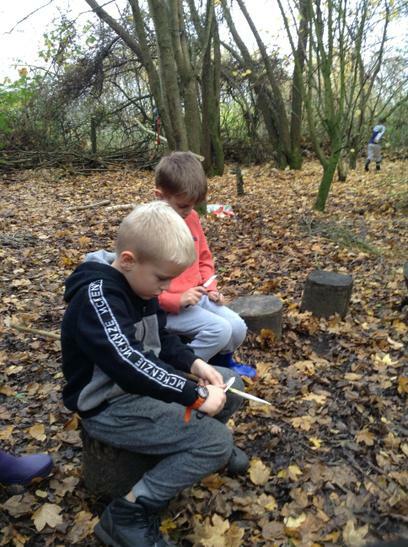 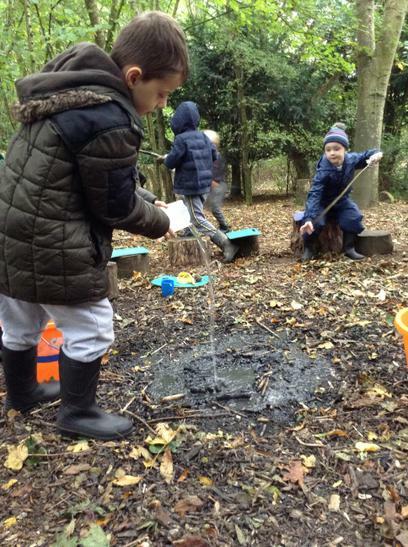 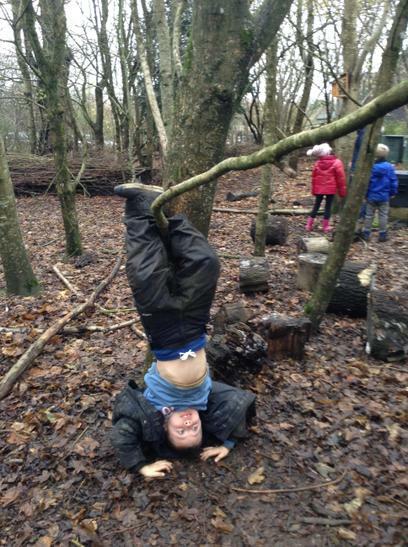 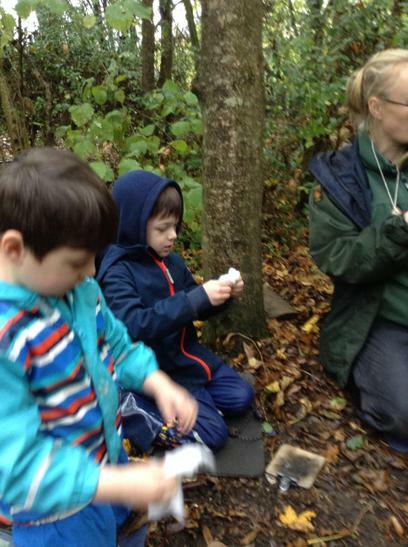 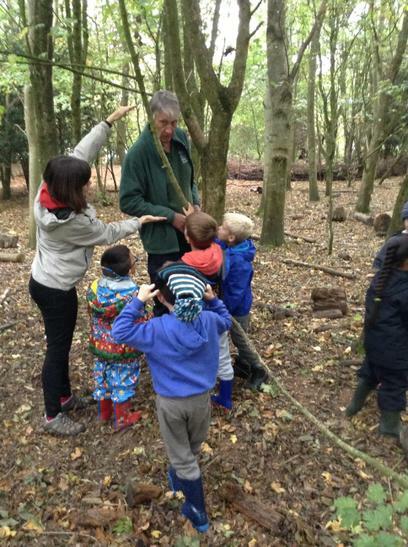 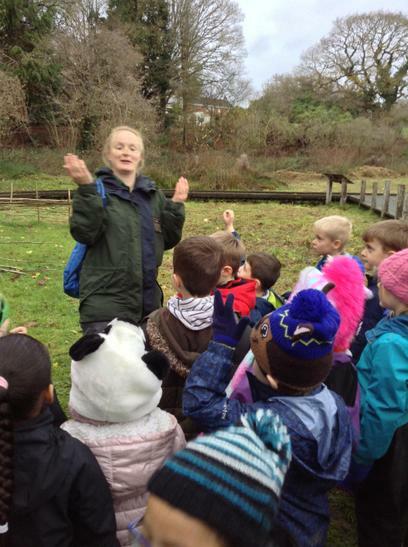 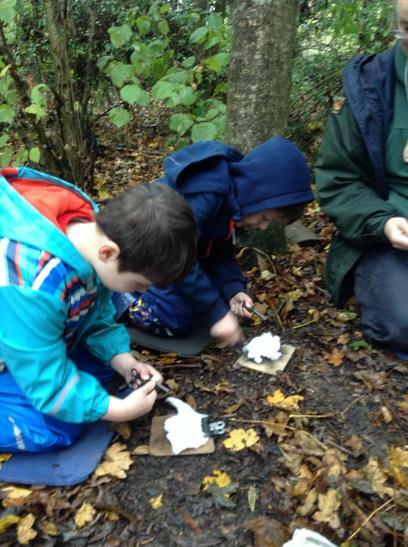 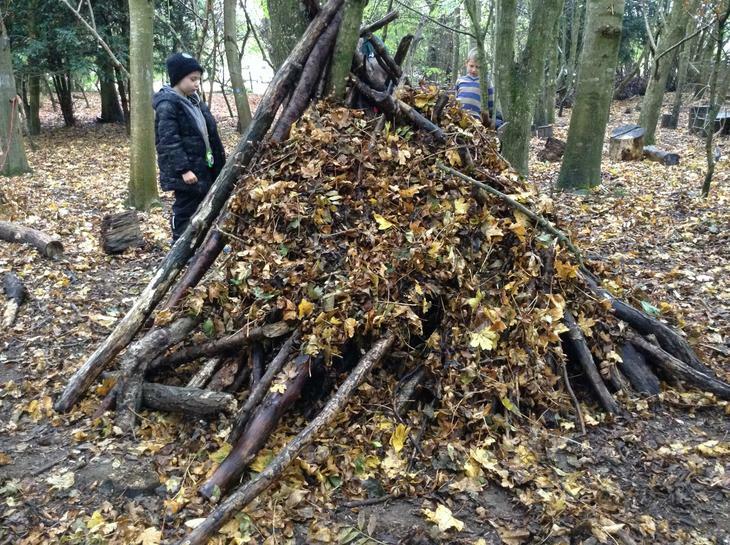 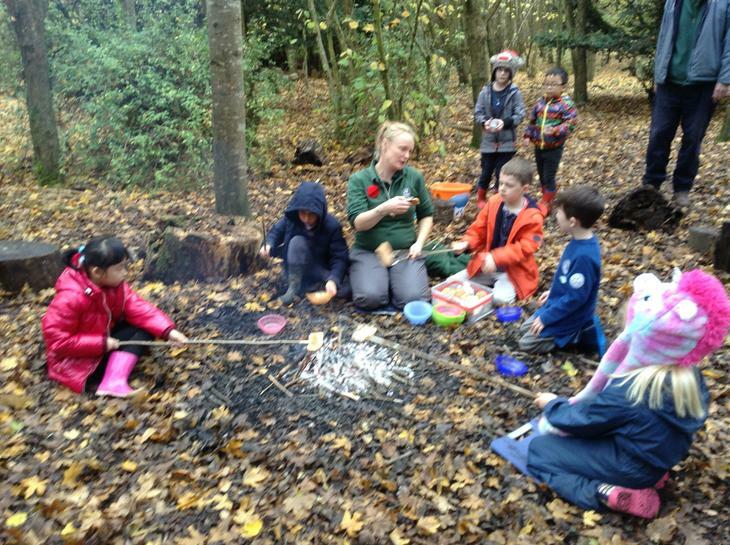 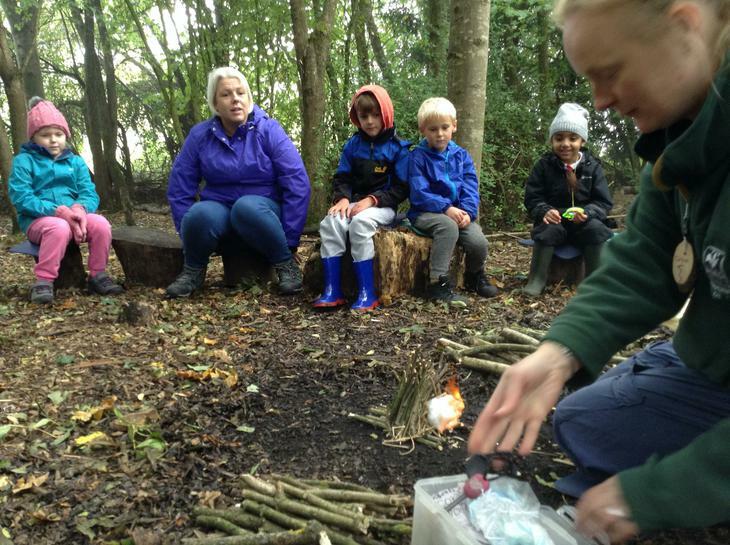 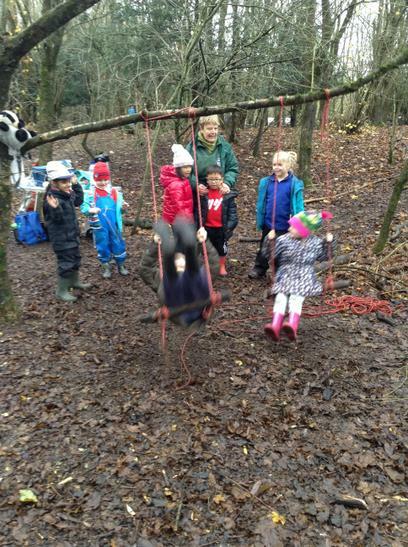 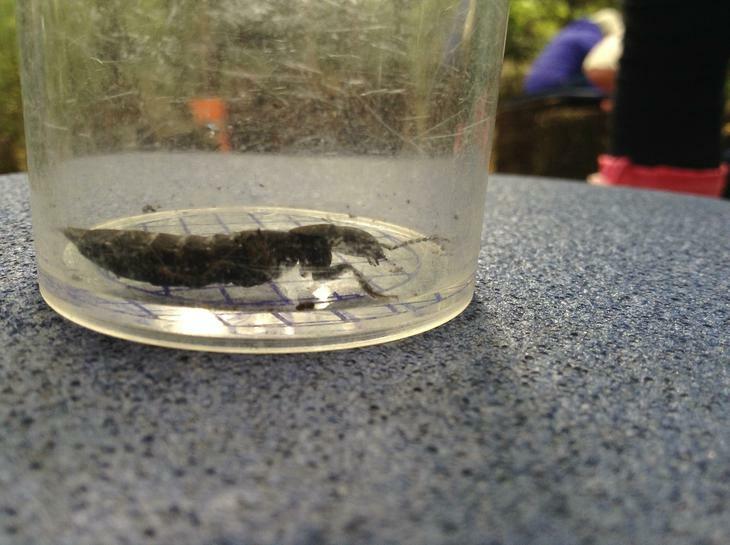 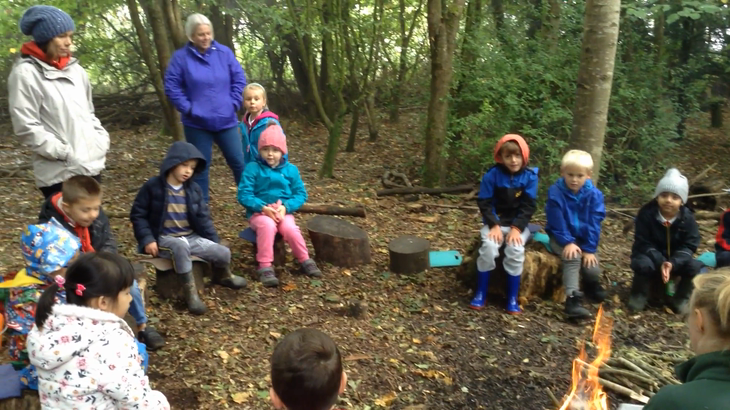 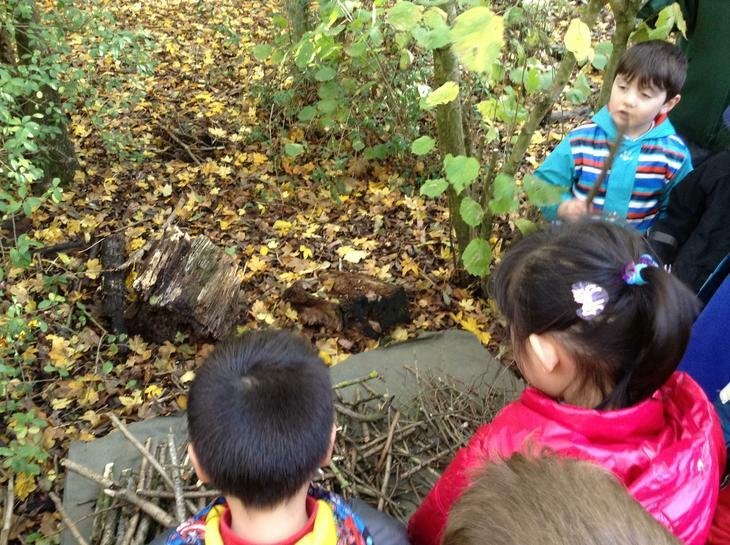 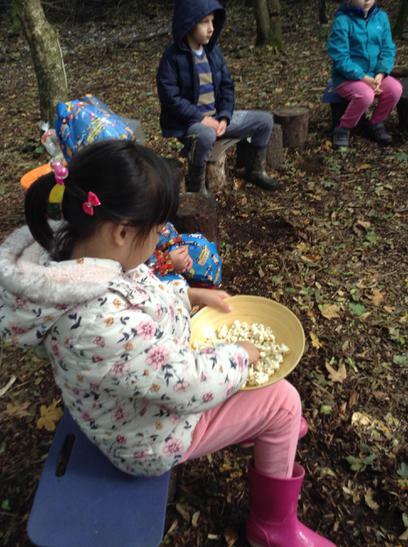 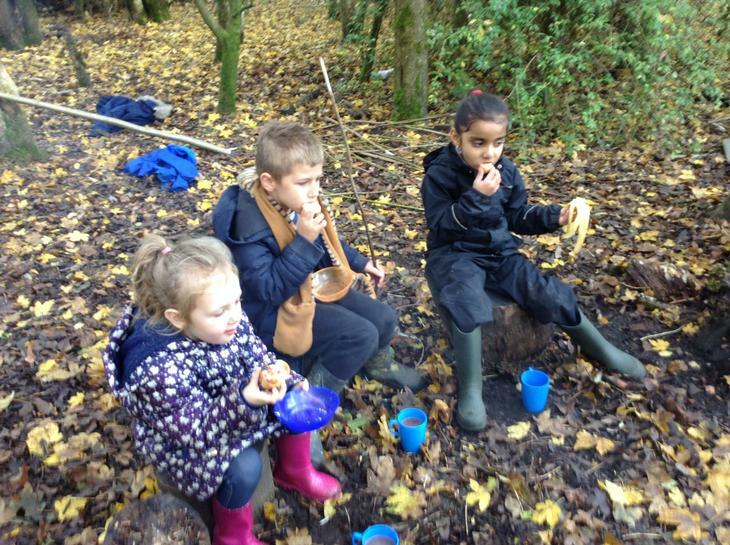 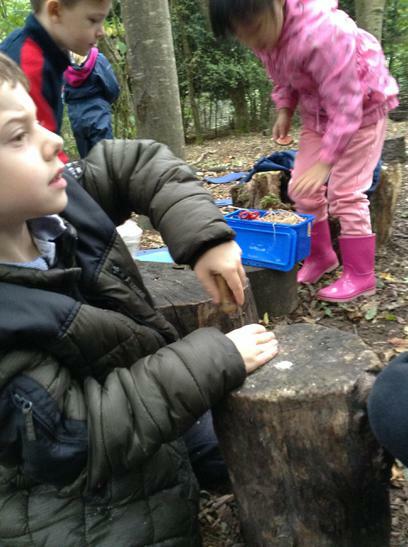 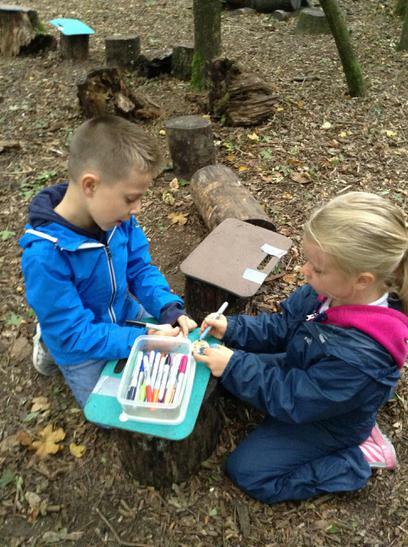 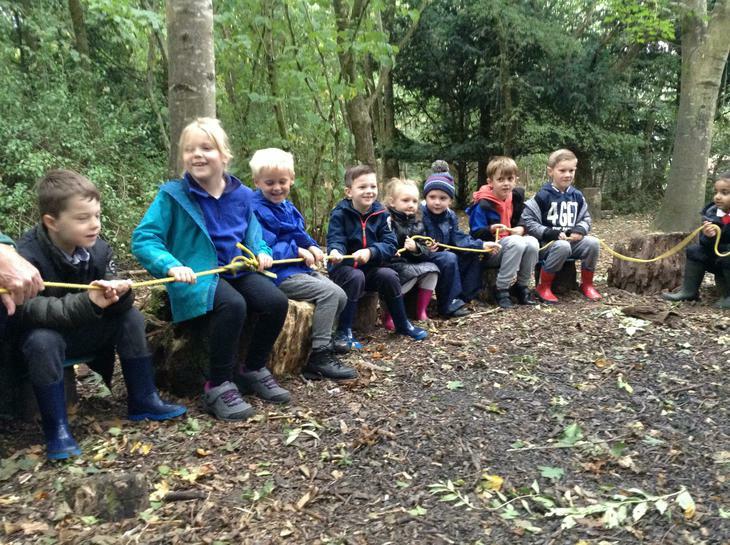 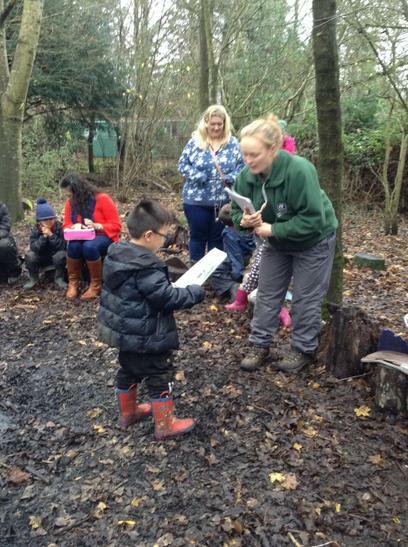 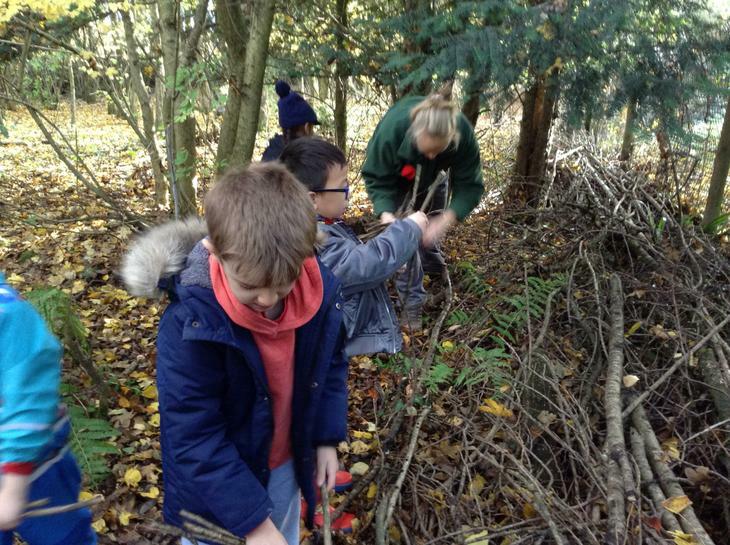 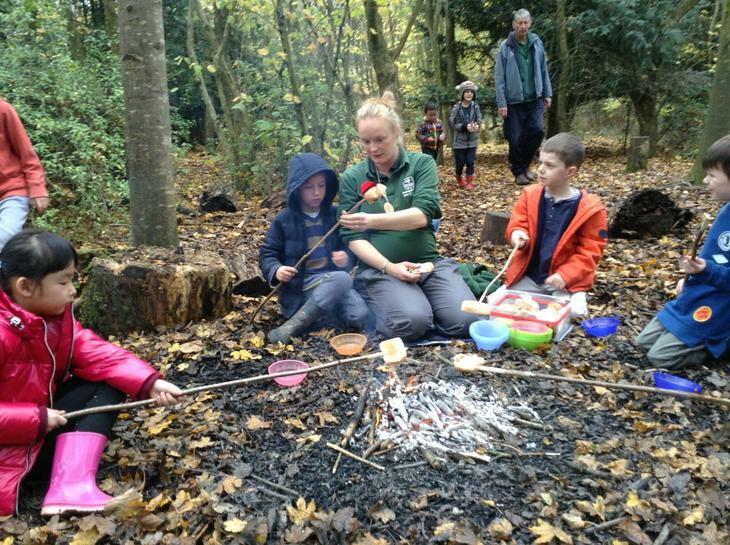 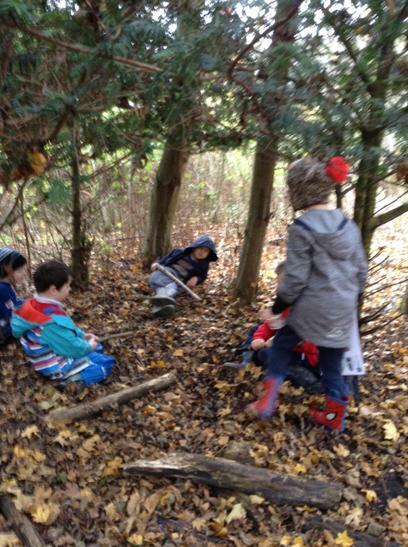 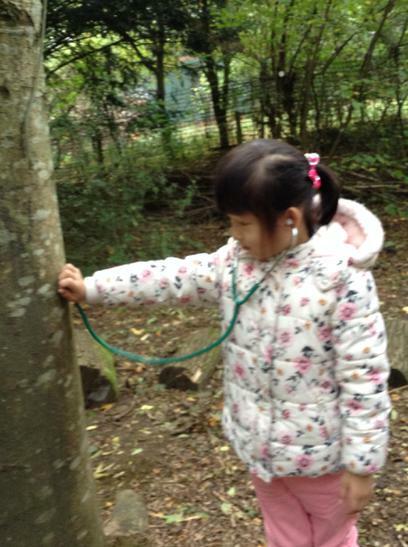 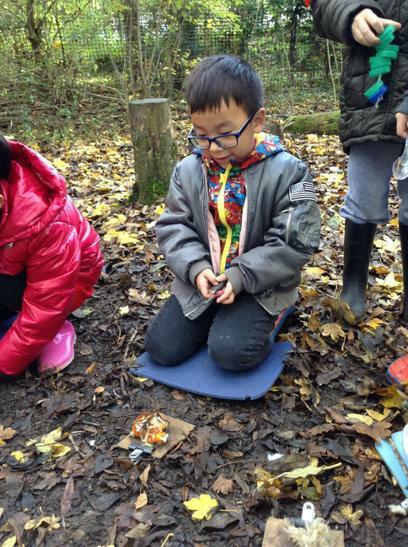 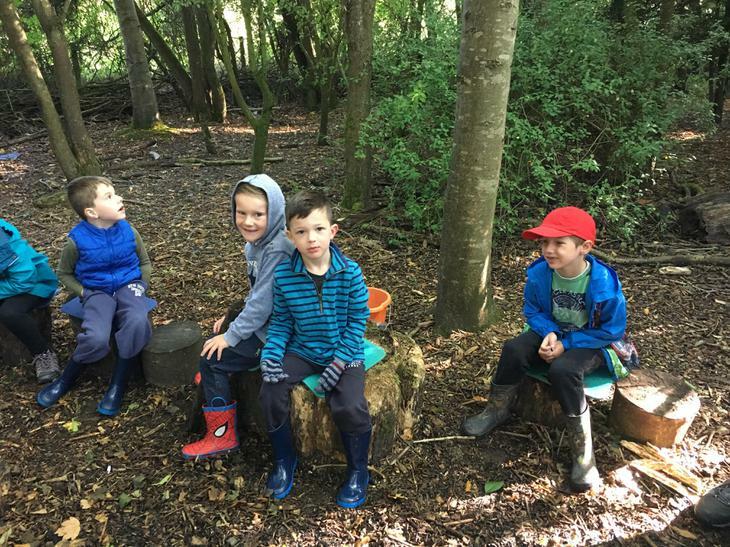 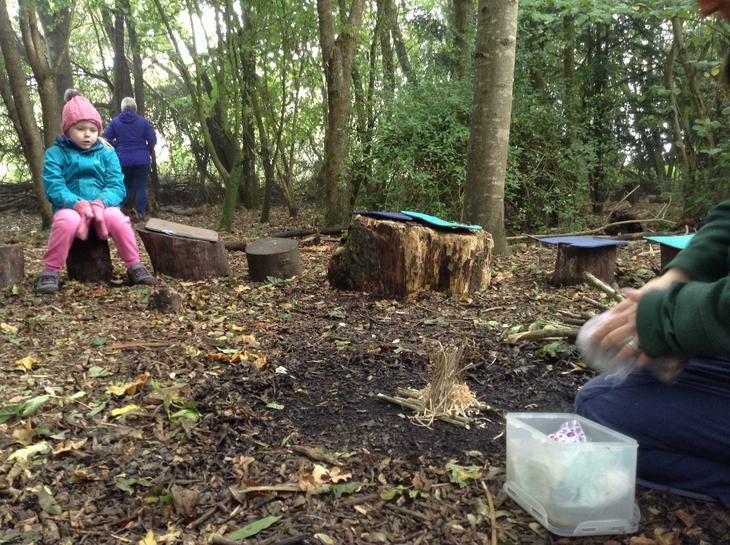 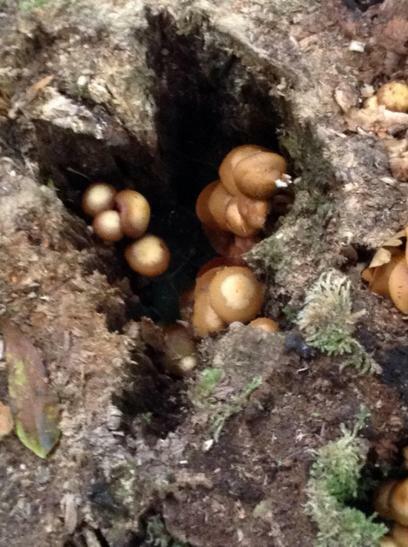 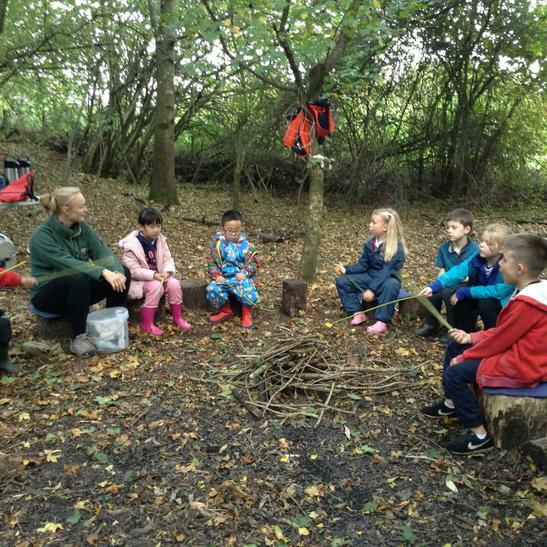 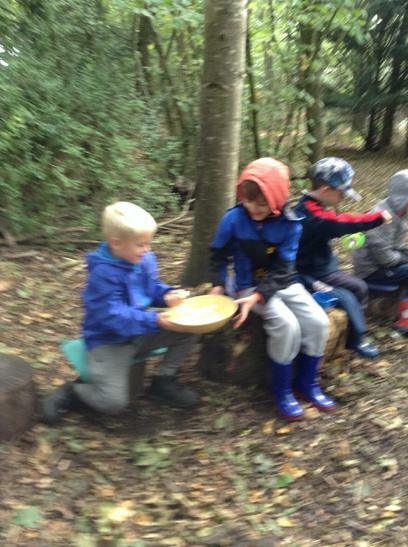 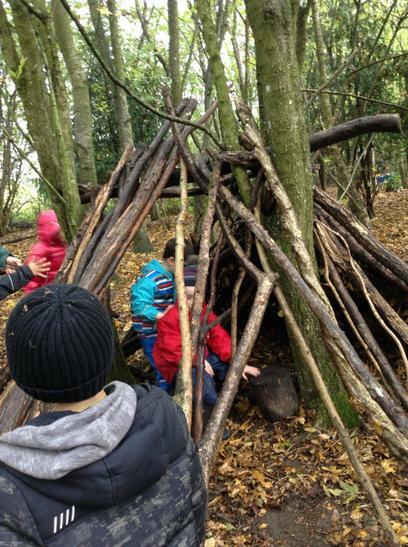 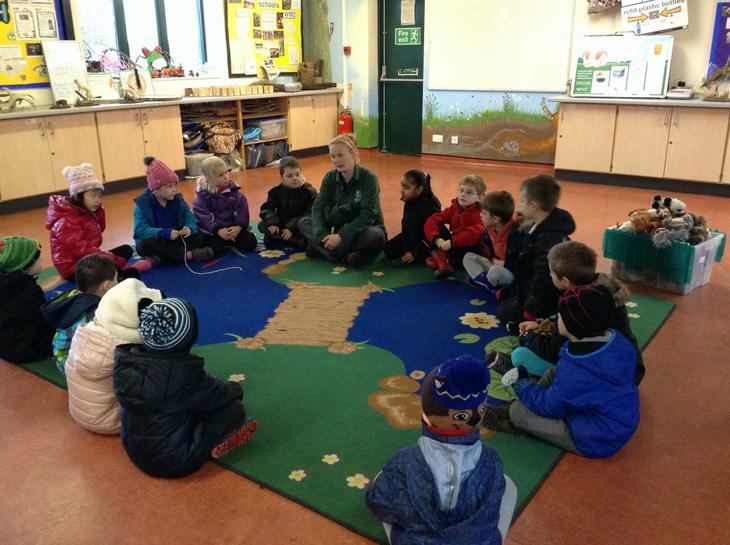 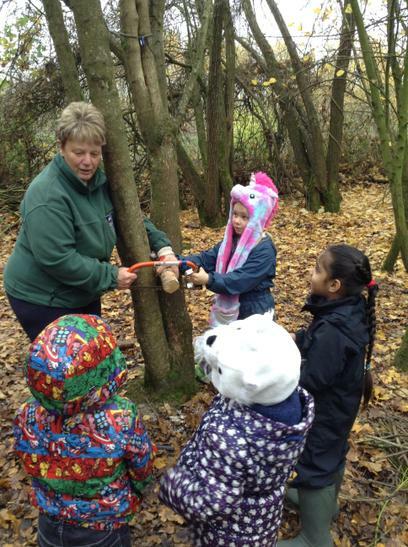 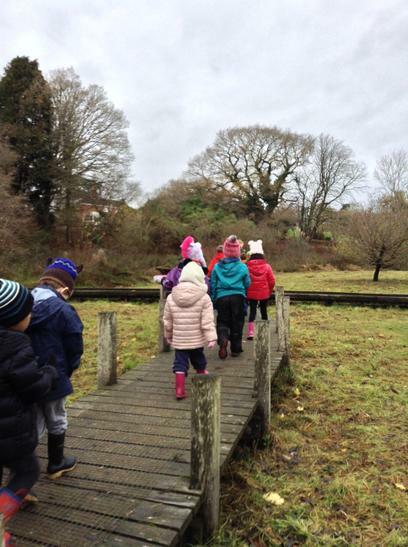 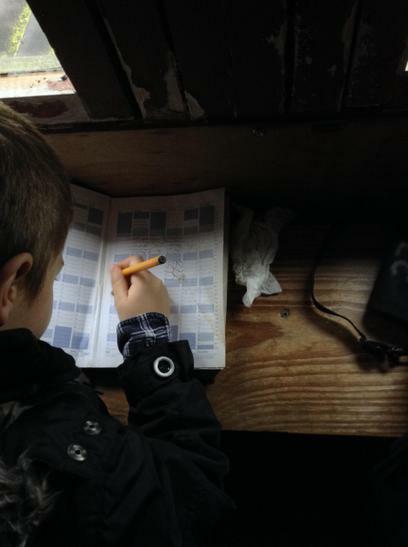 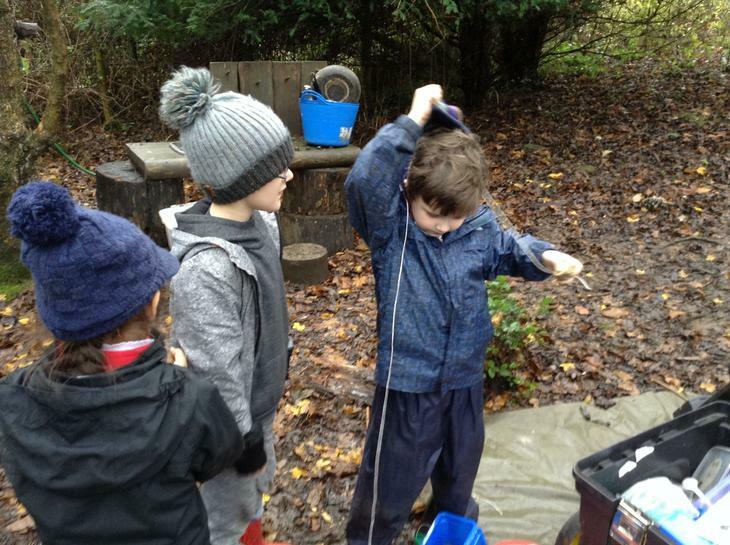 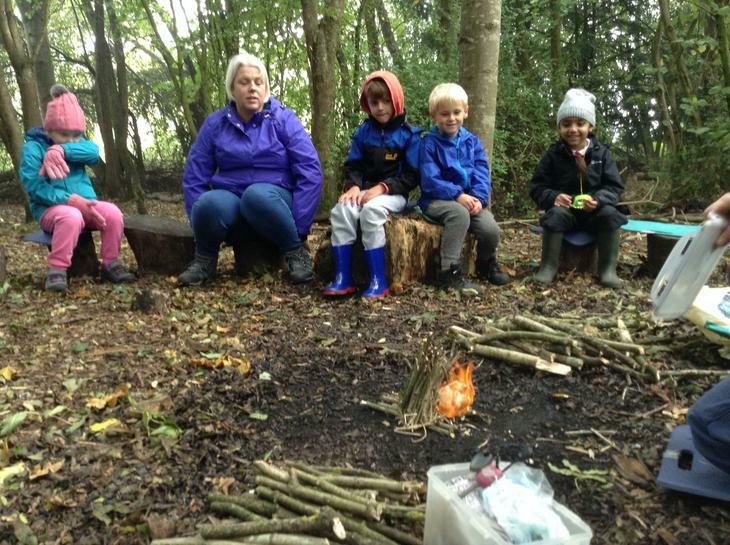 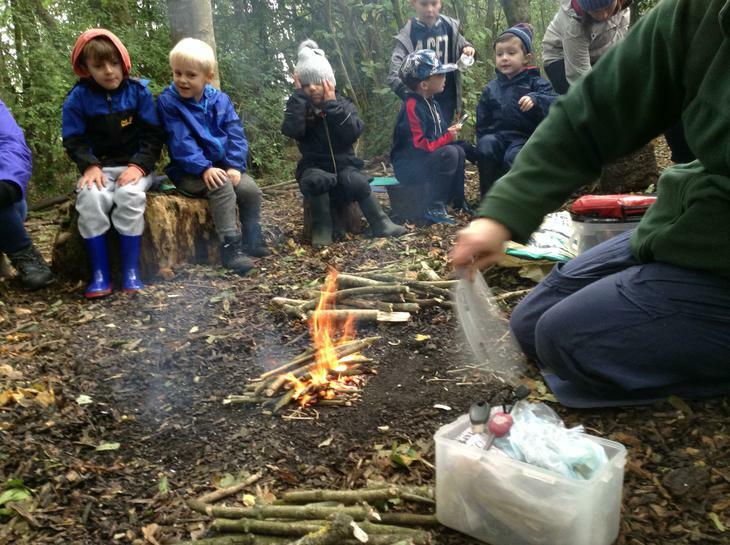 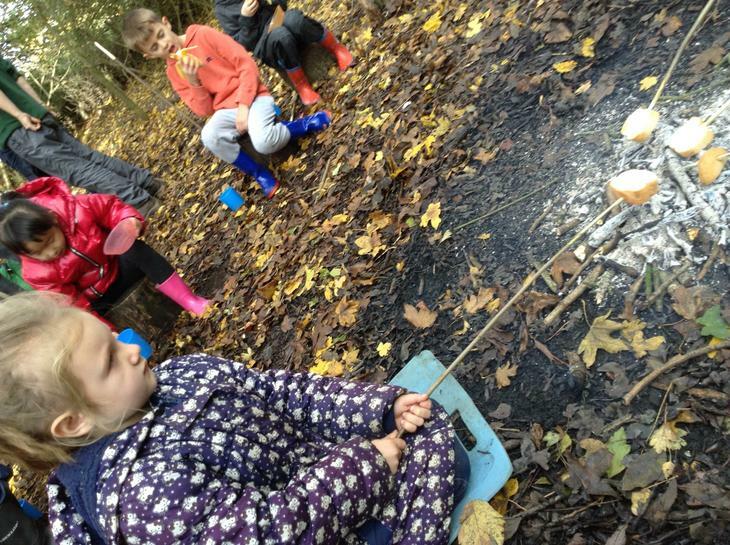 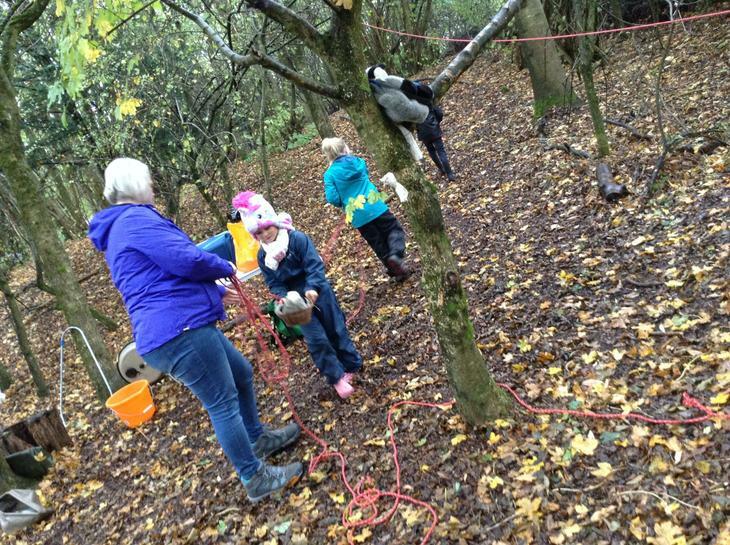 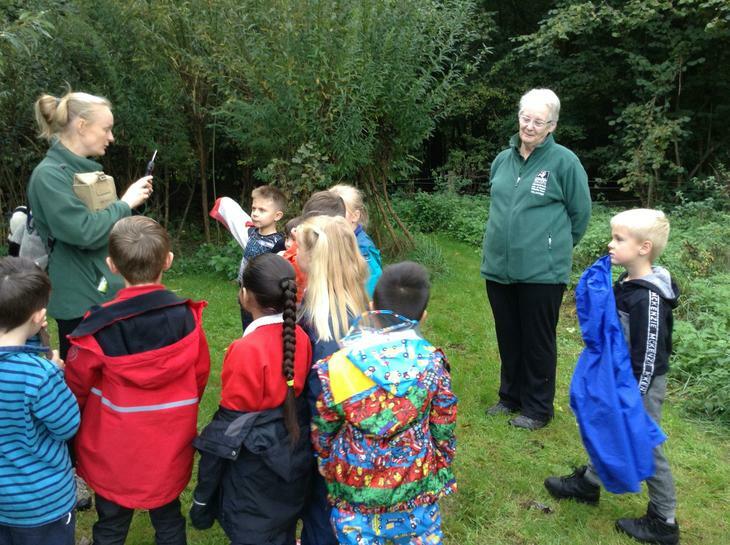 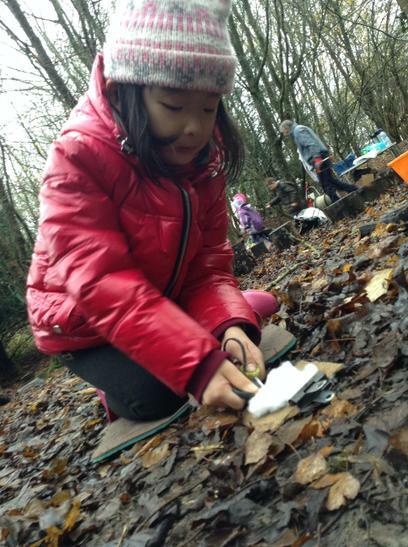 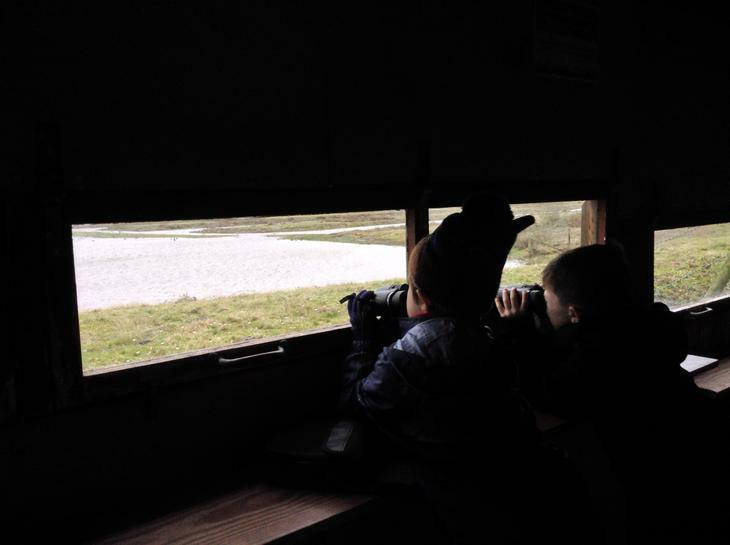 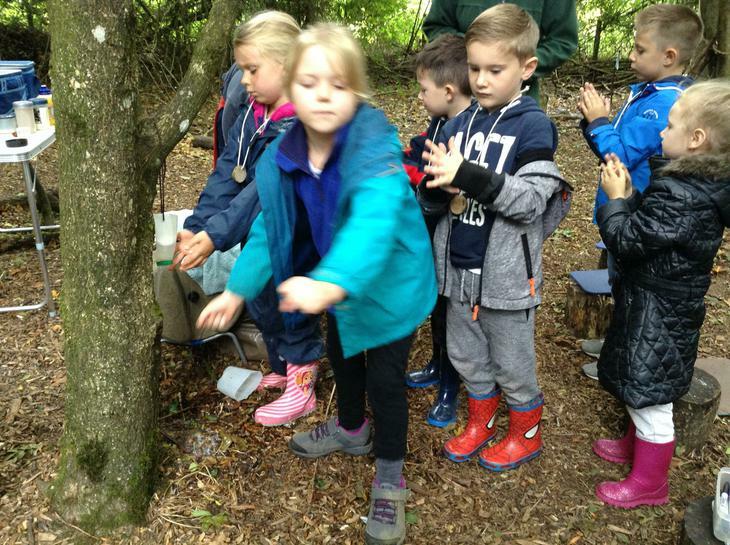 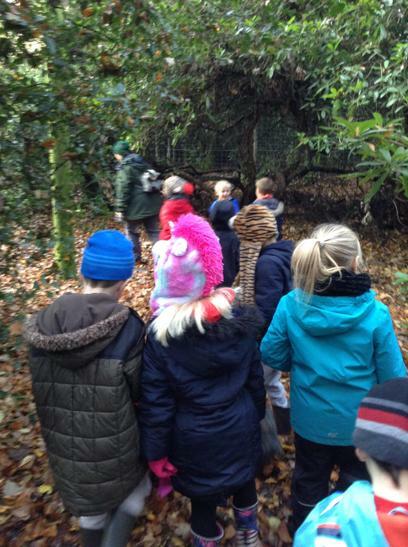 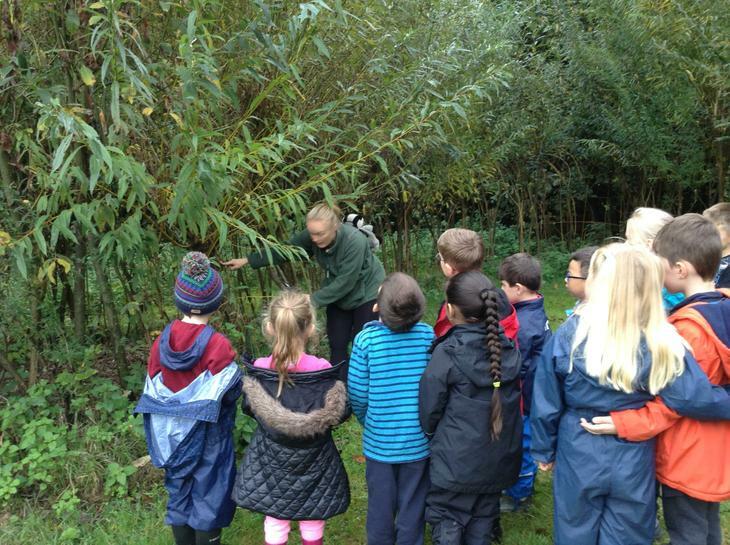 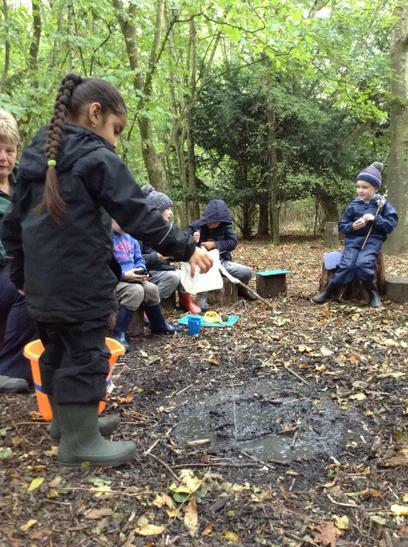 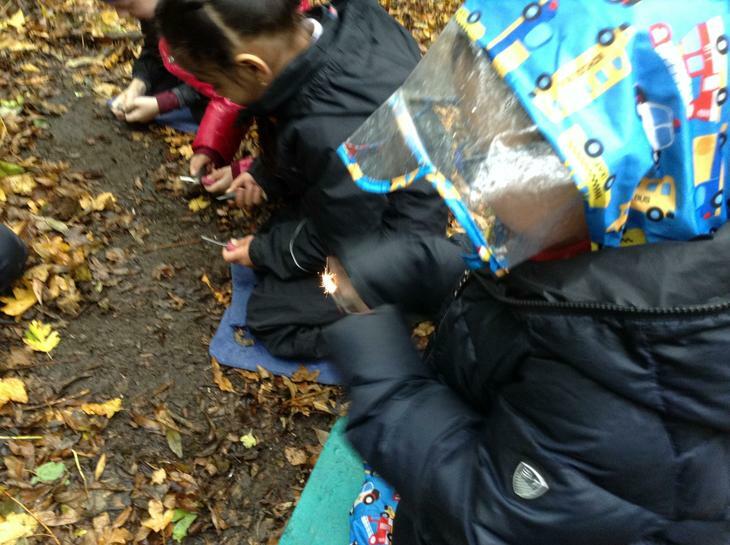 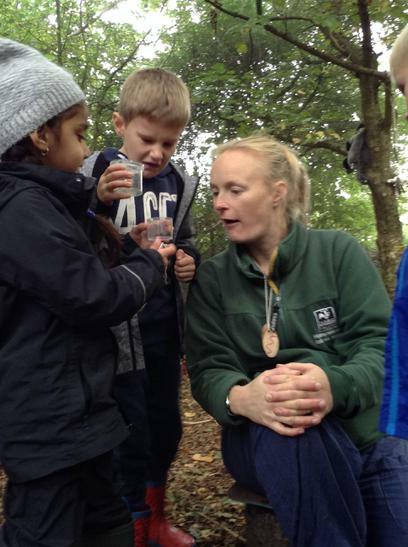 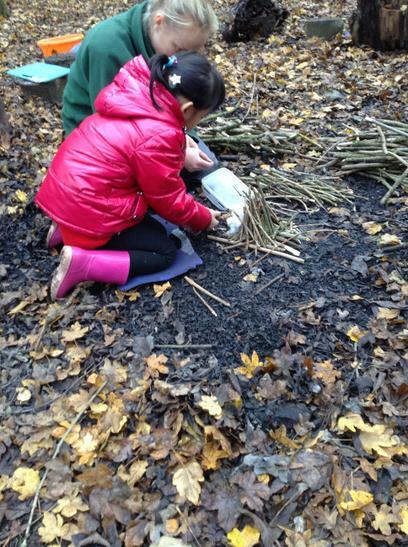 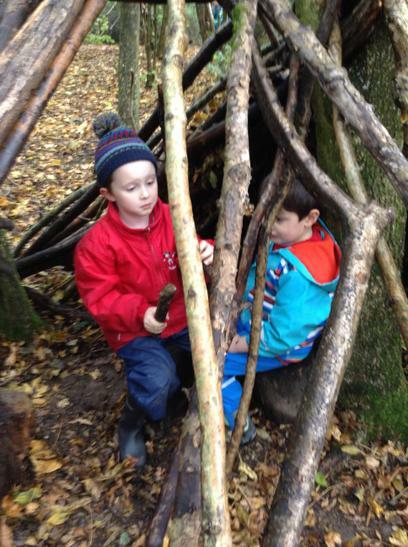 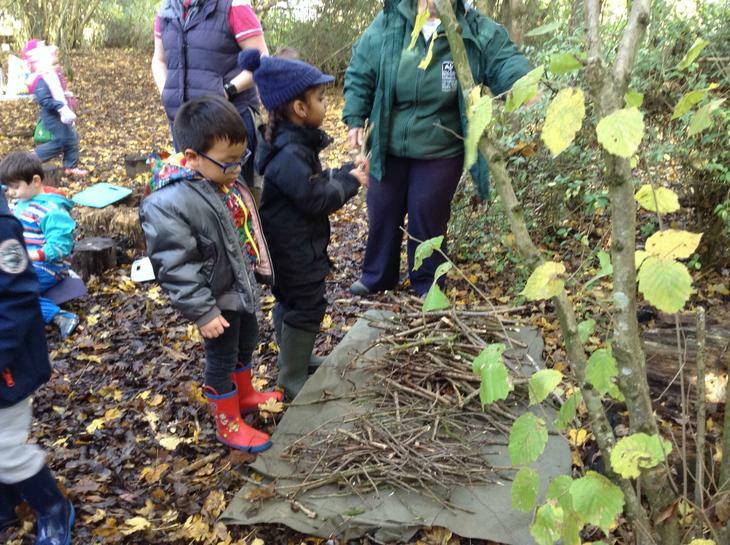 What do you do at Forest School? 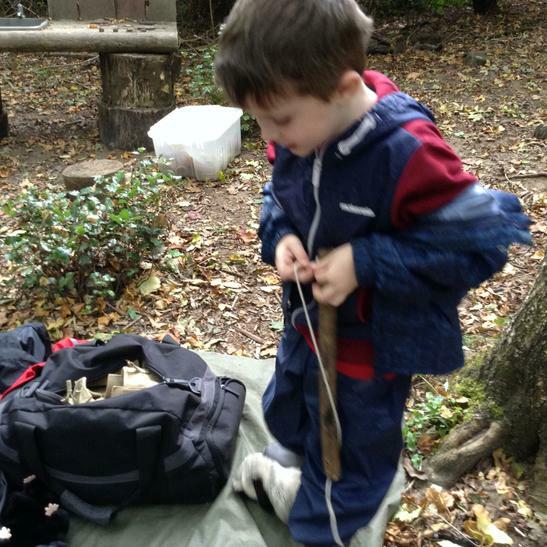 Use tools to make things. 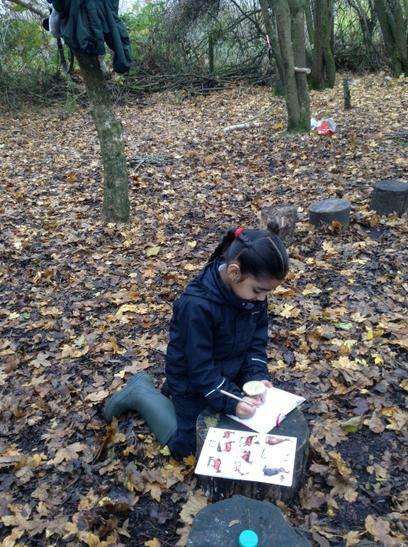 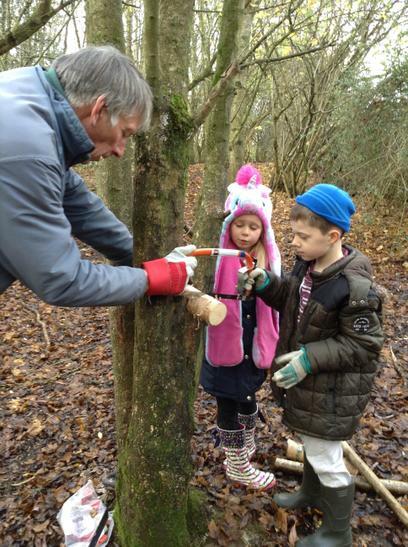 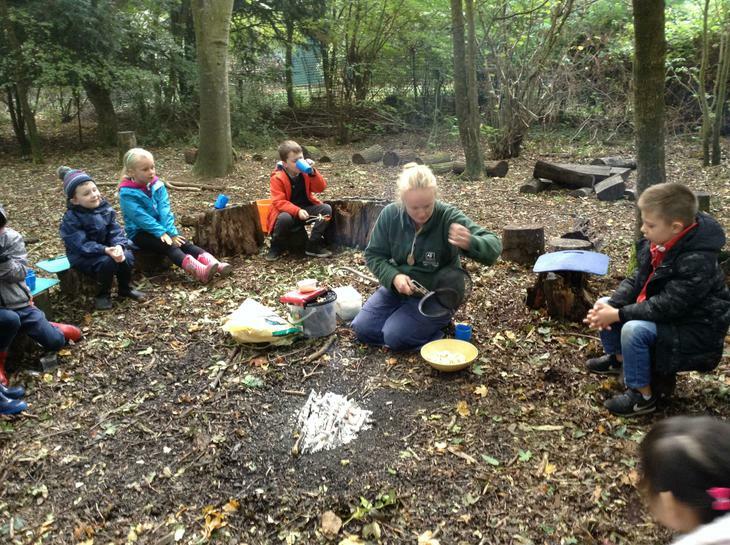 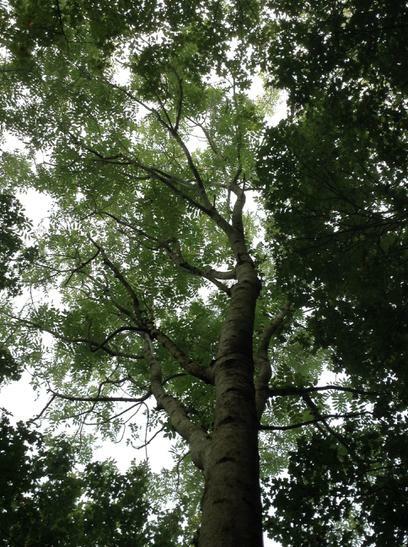 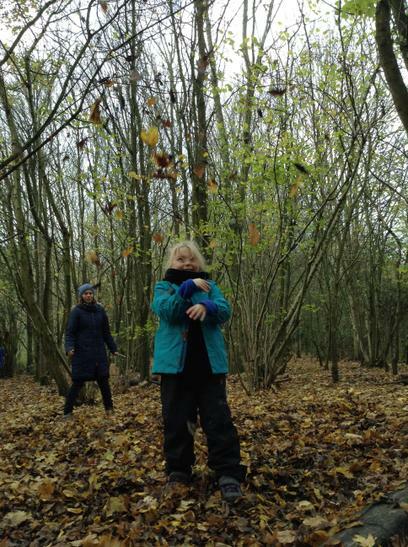 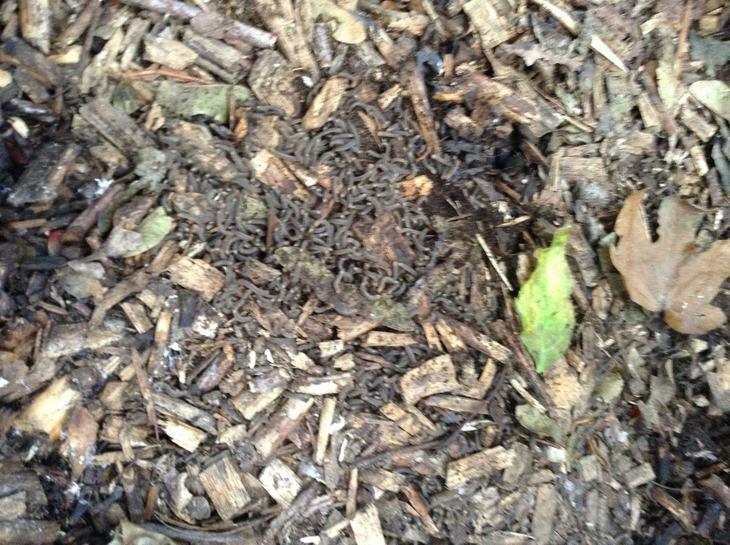 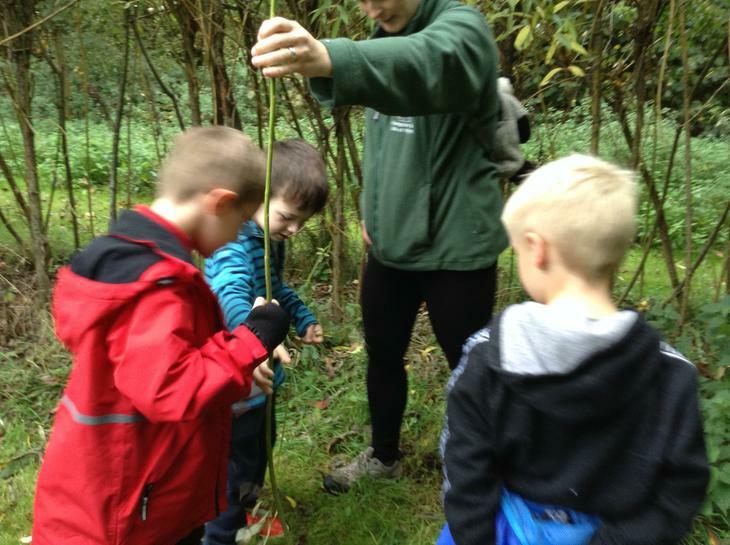 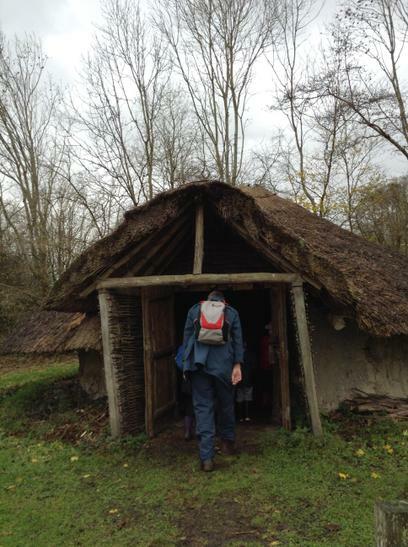 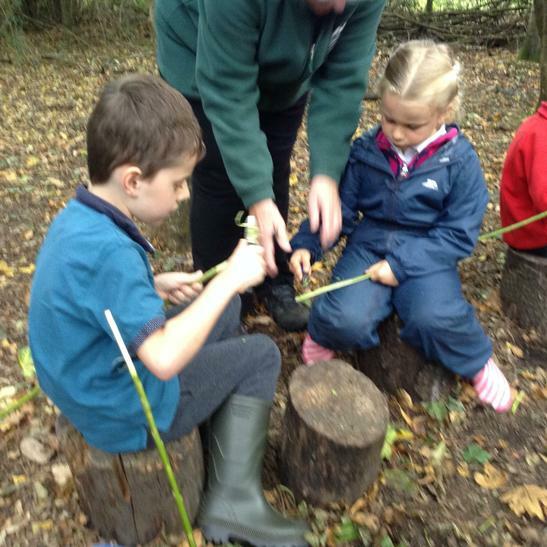 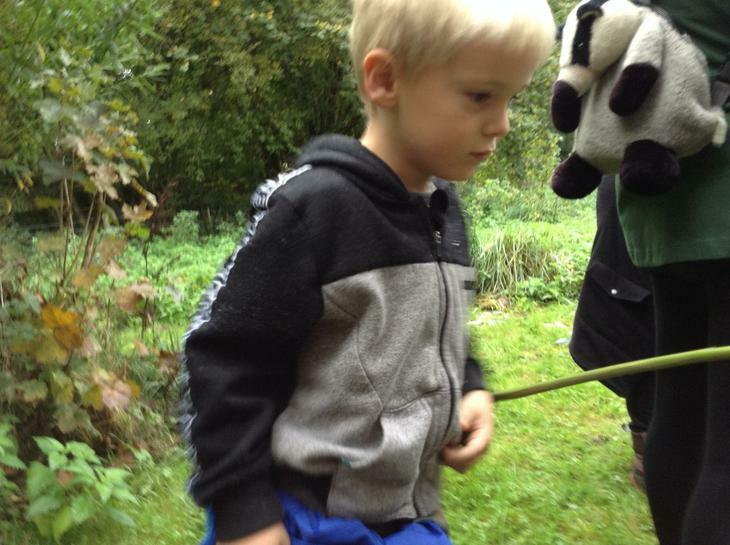 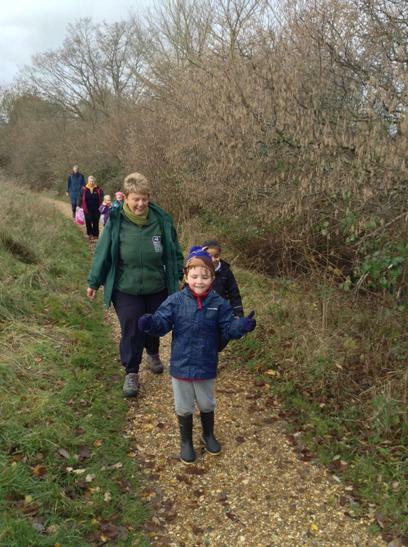 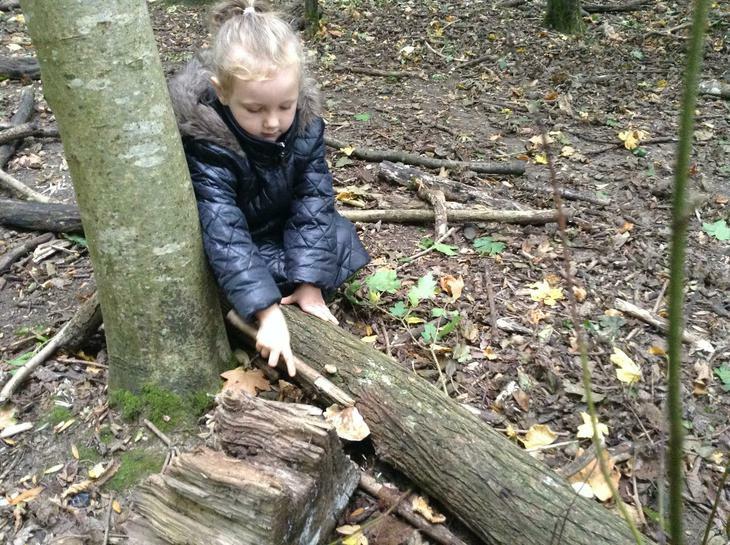 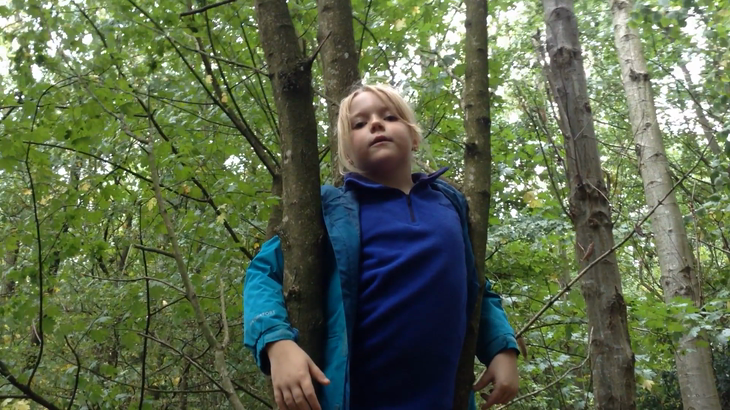 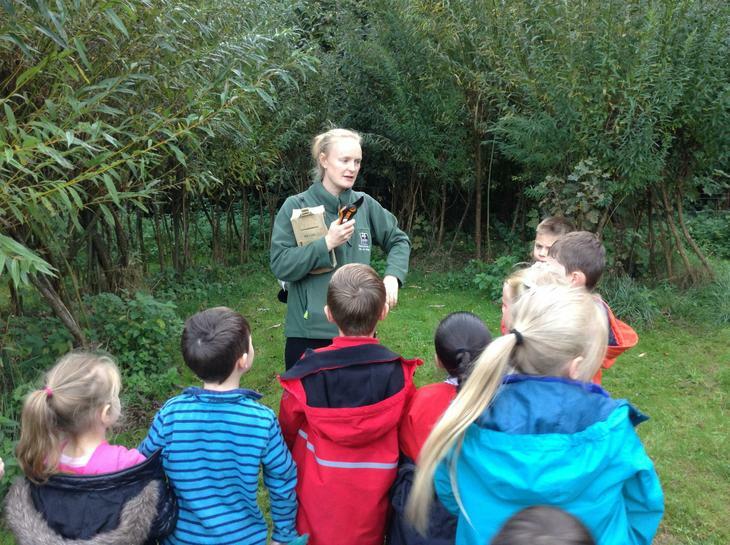 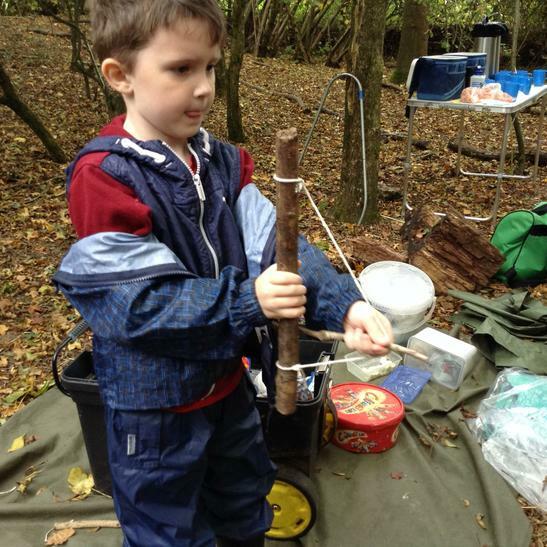 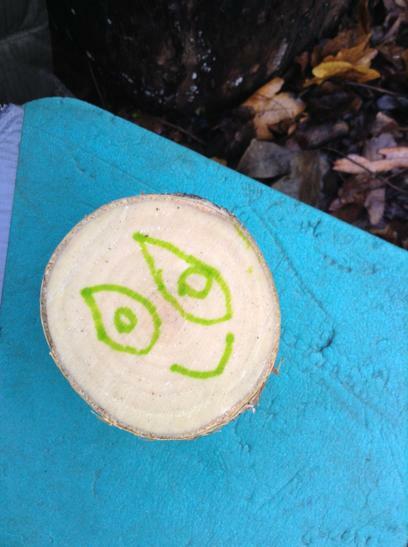 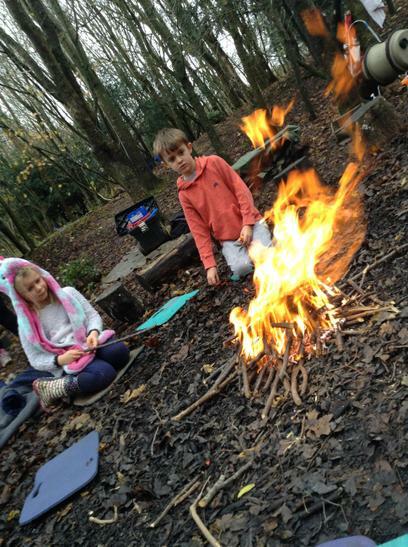 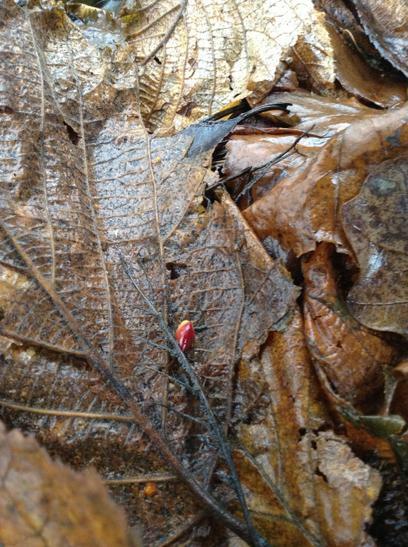 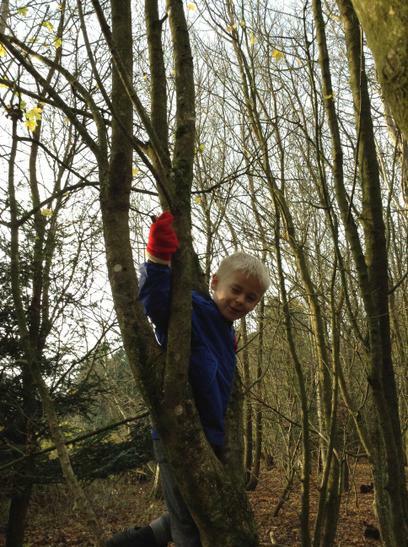 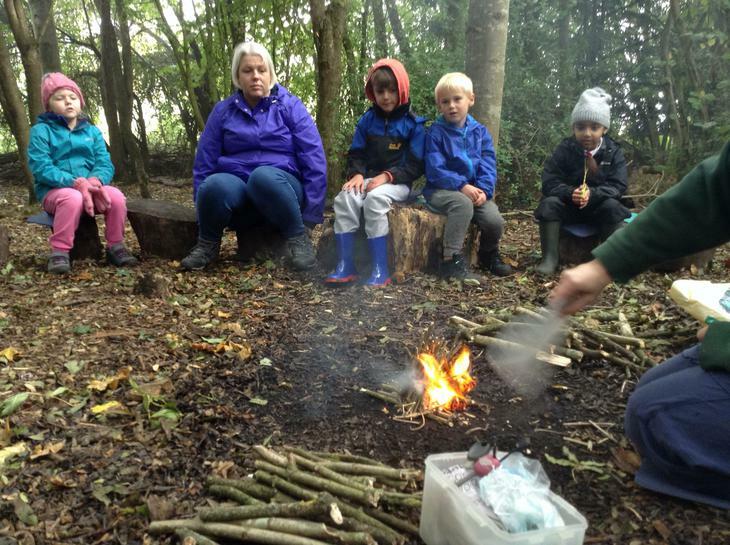 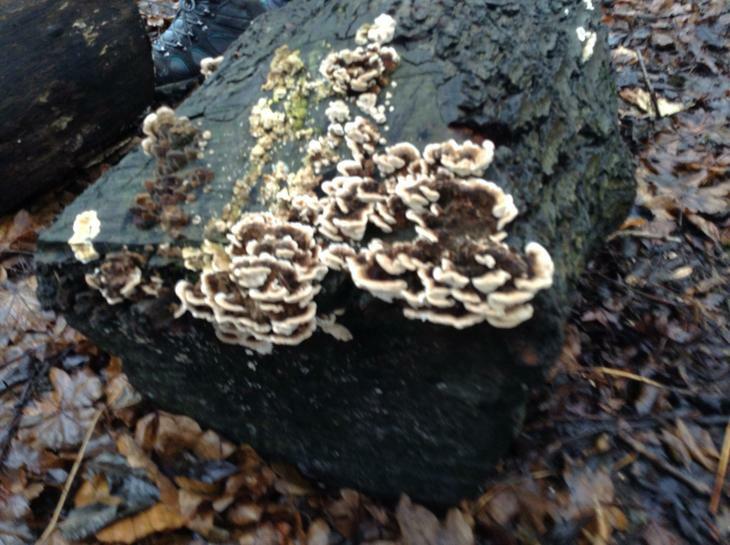 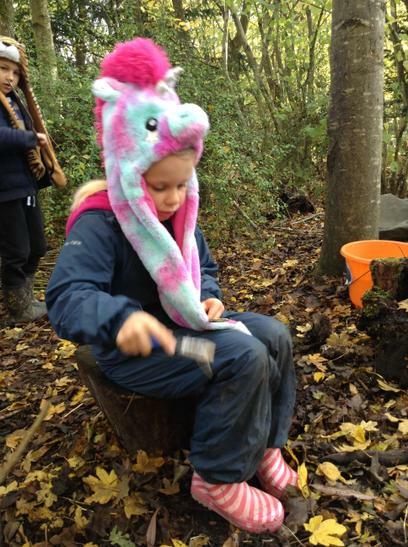 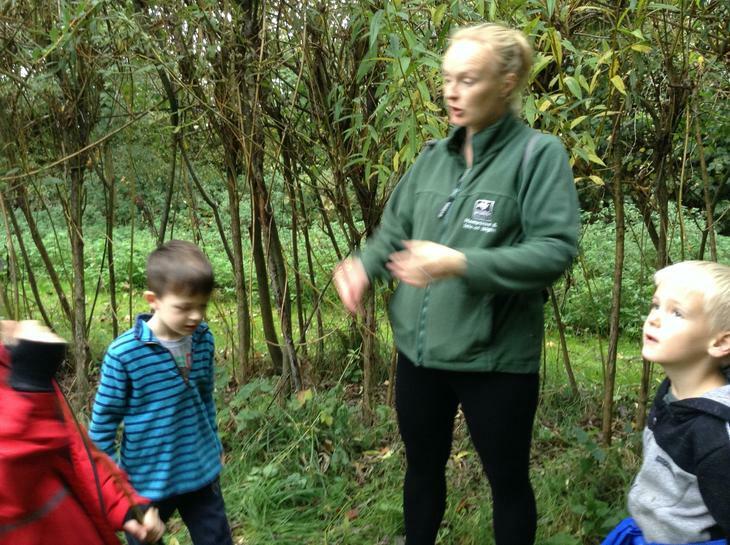 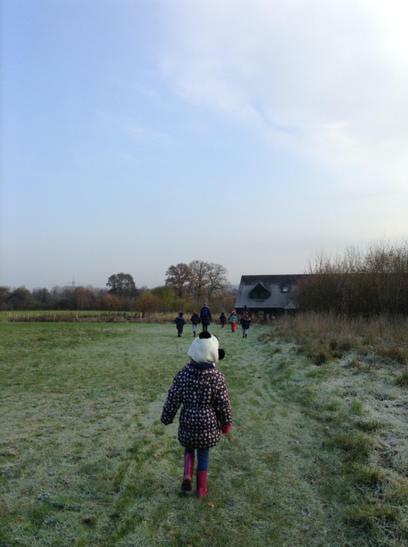 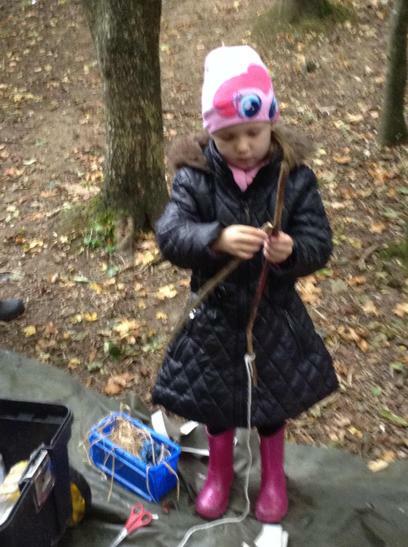 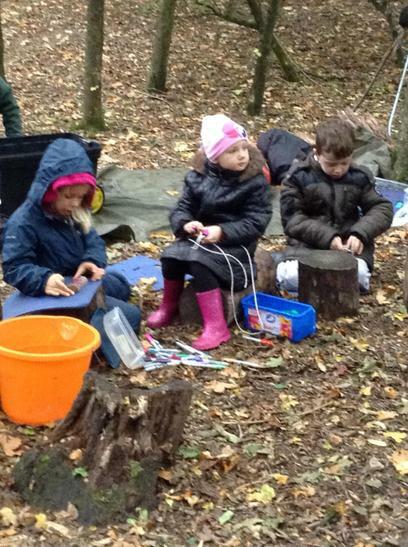 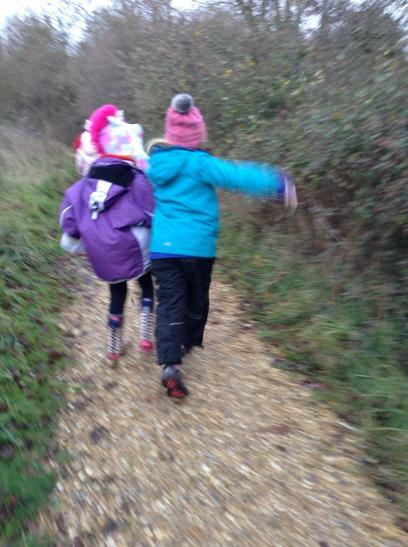 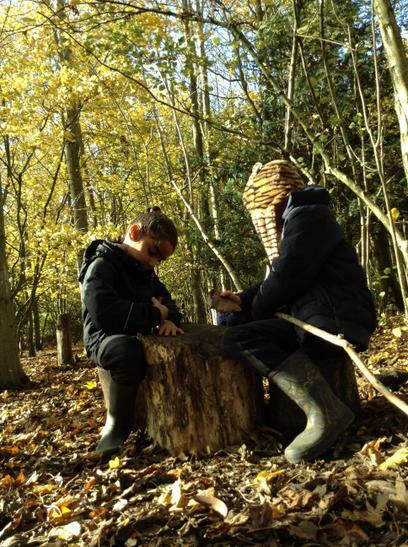 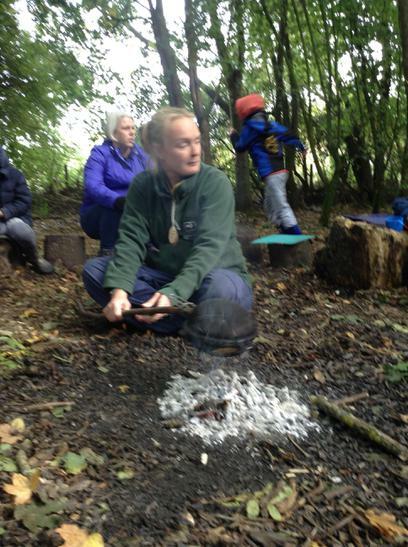 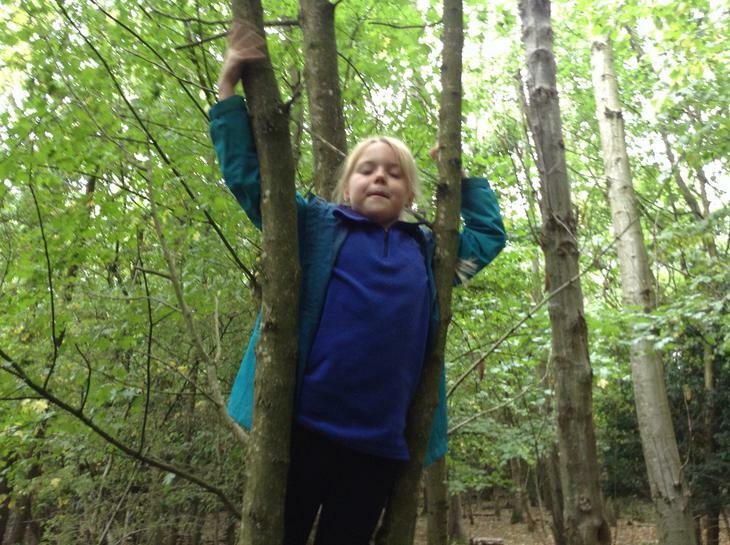 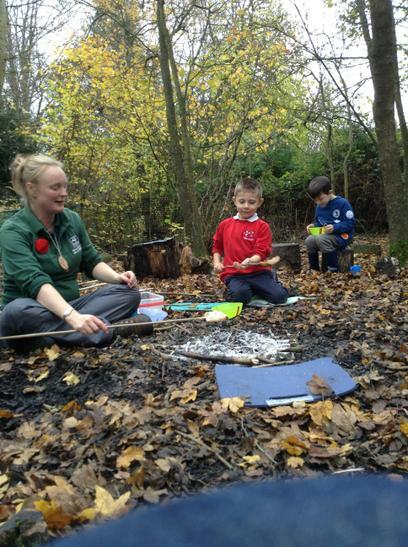 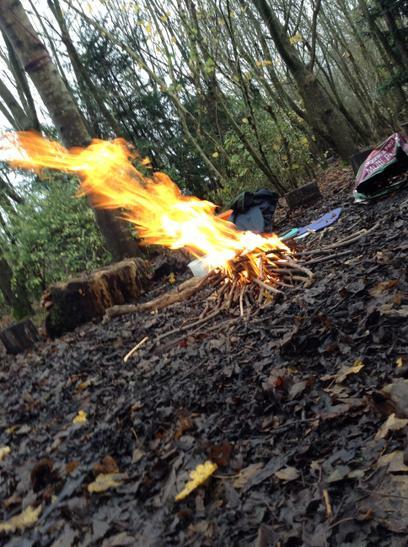 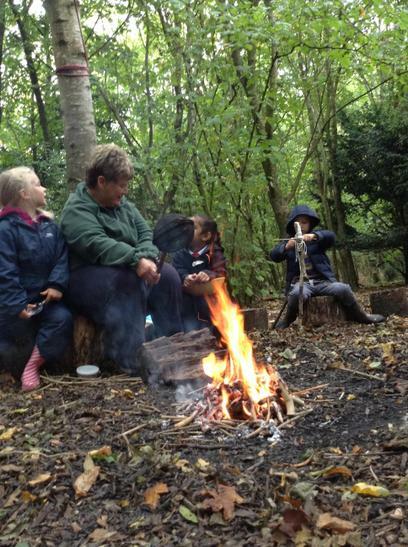 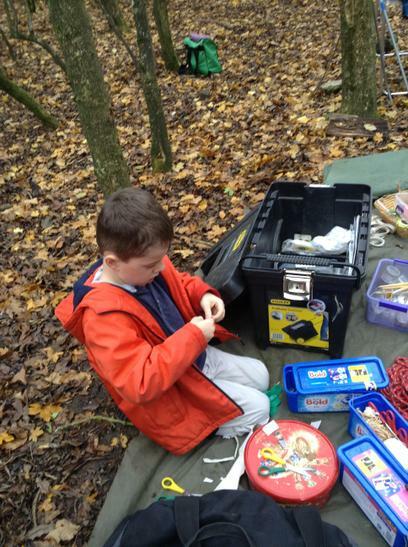 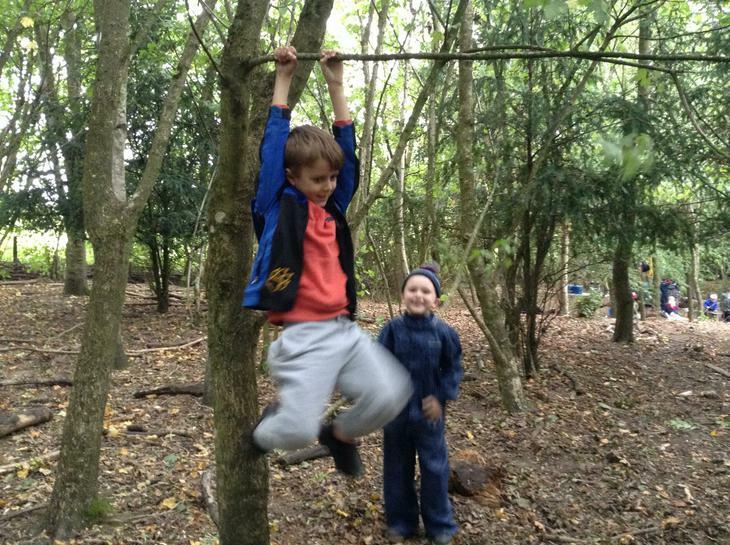 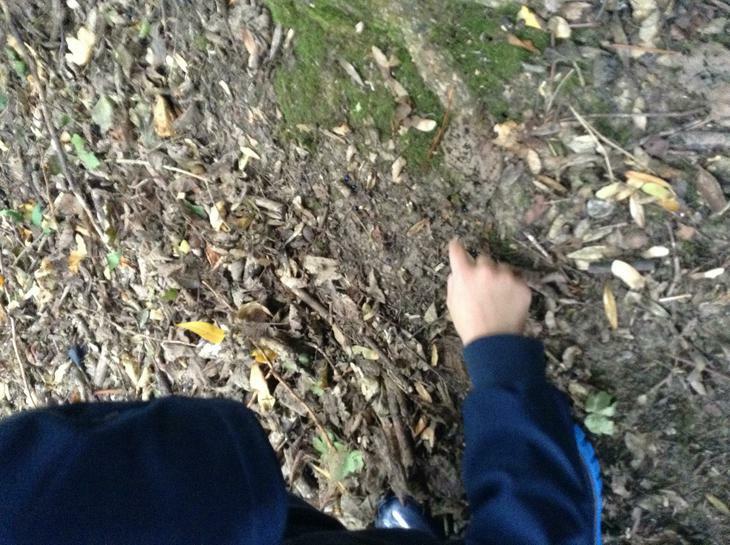 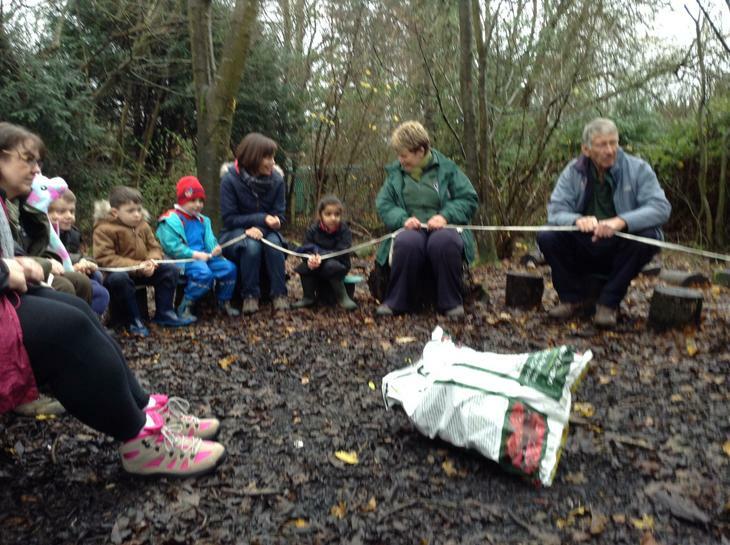 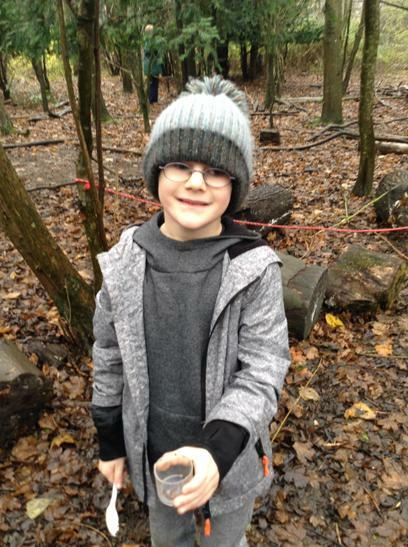 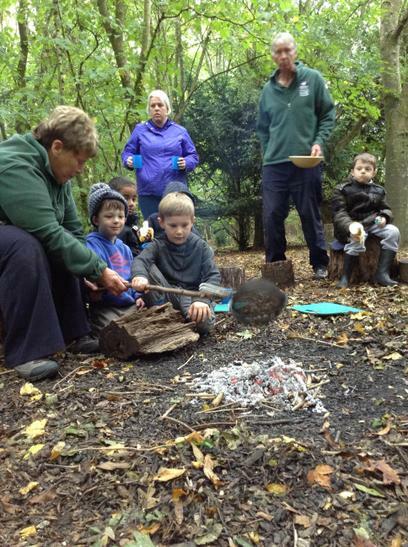 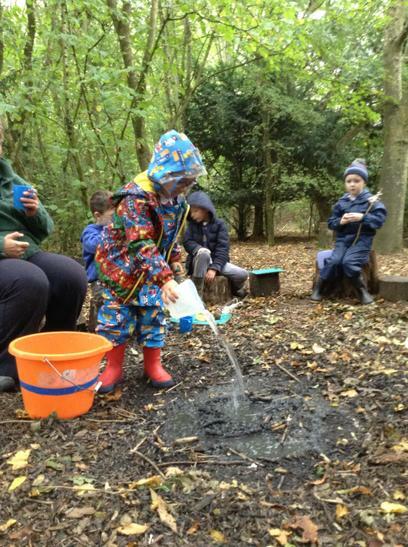 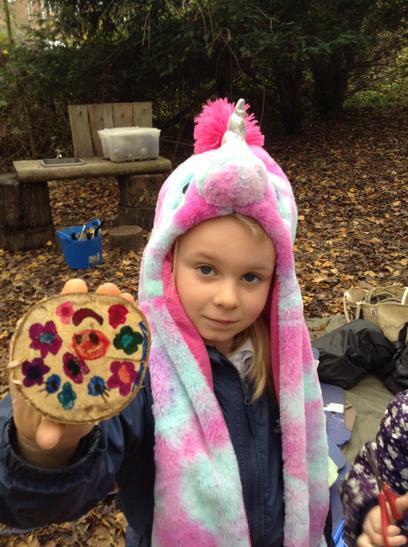 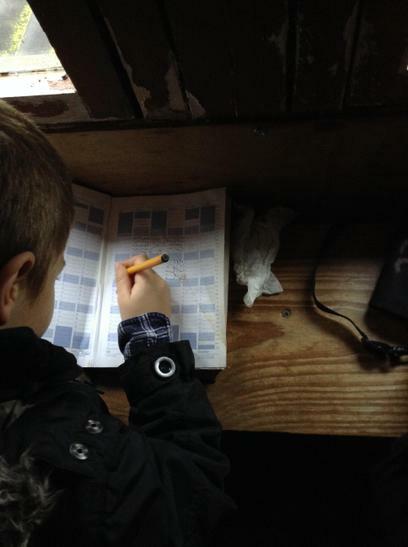 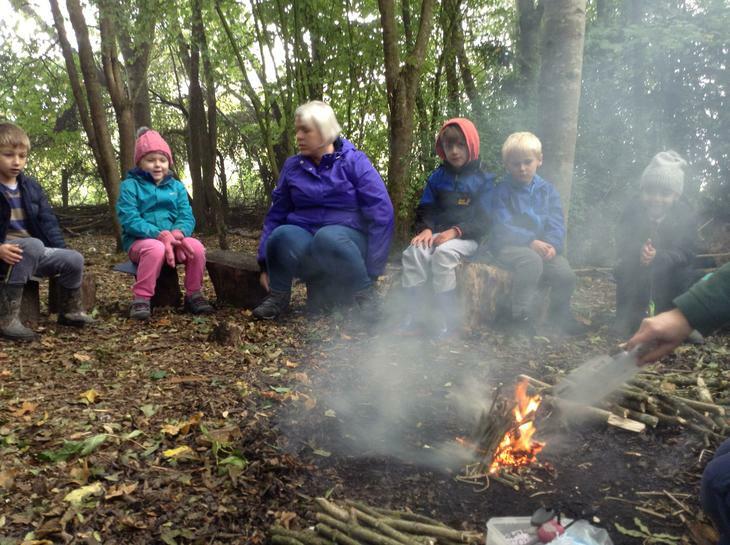 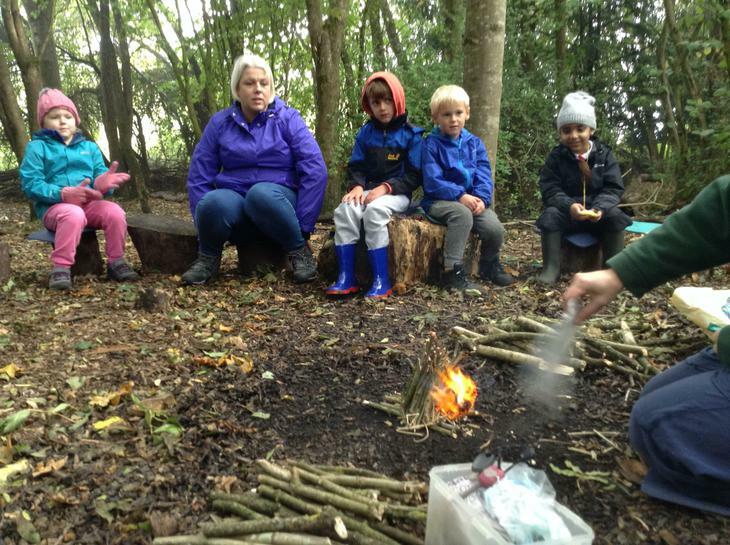 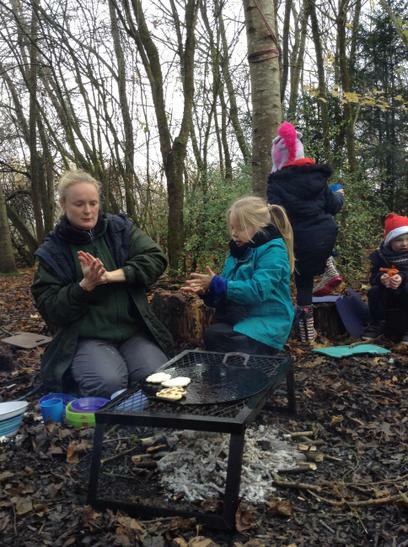 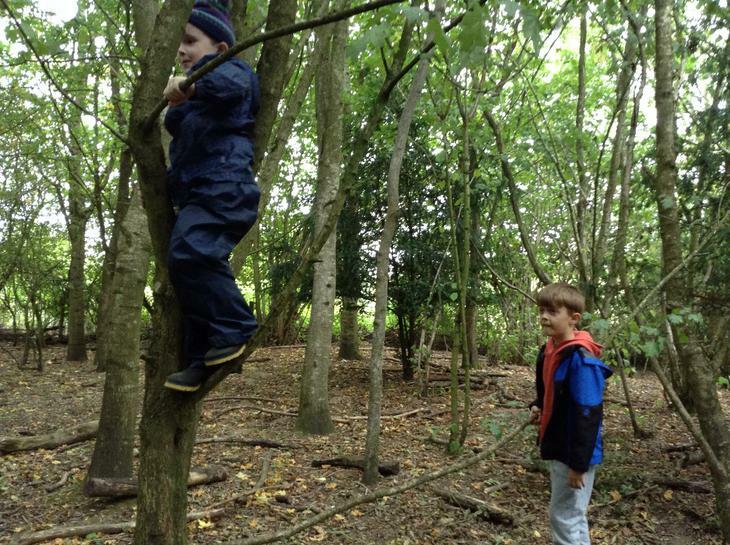 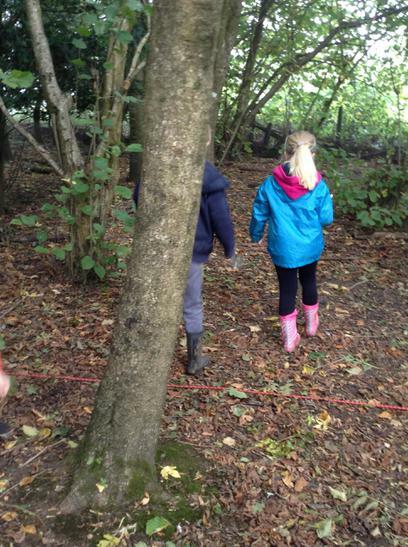 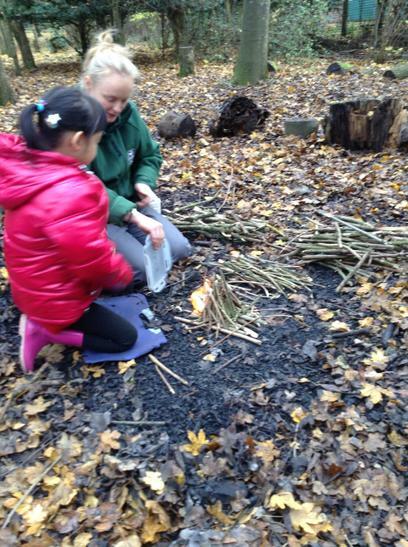 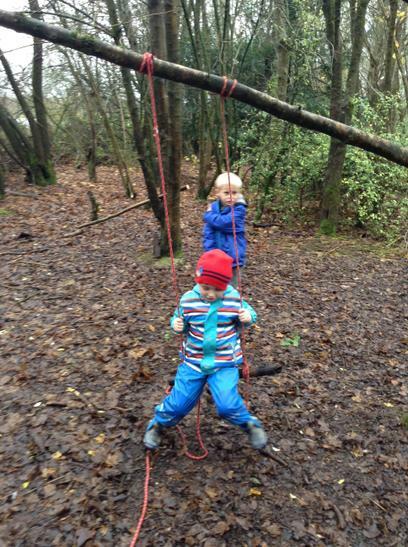 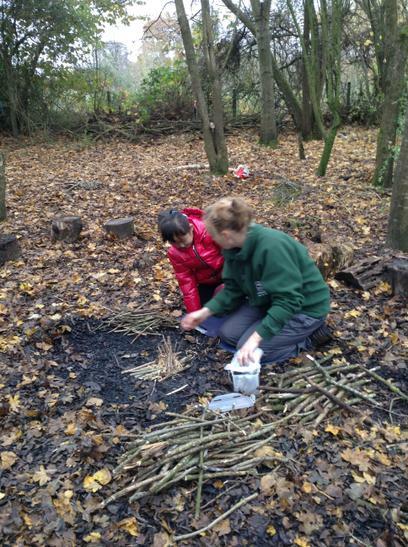 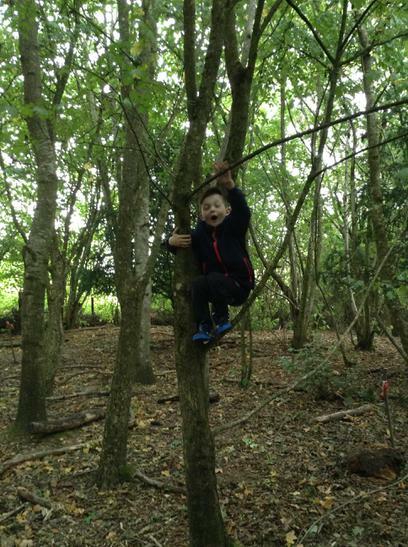 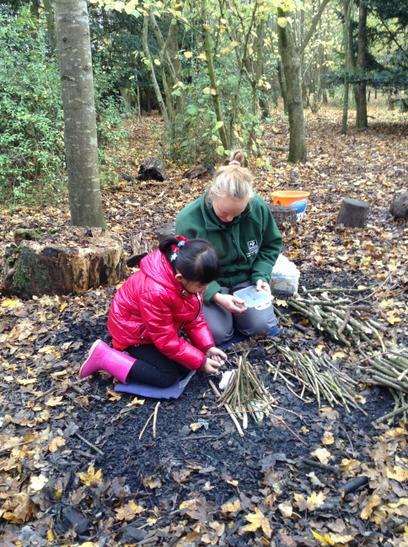 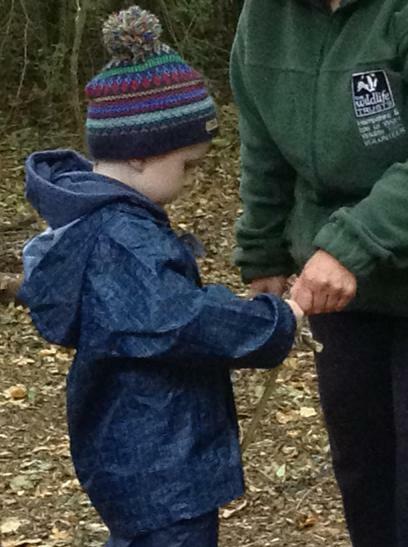 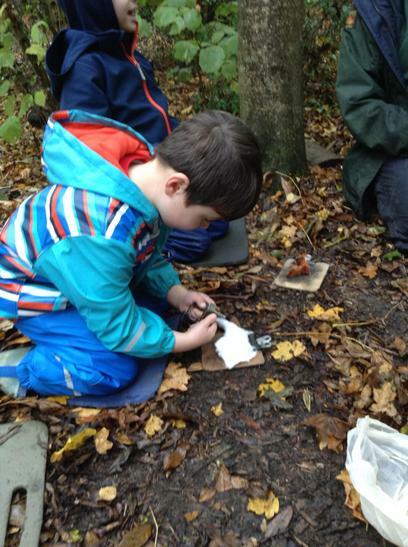 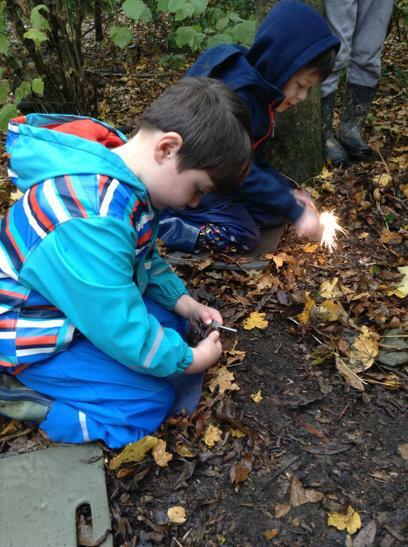 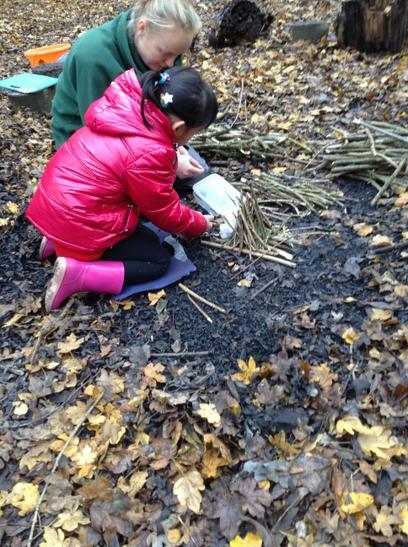 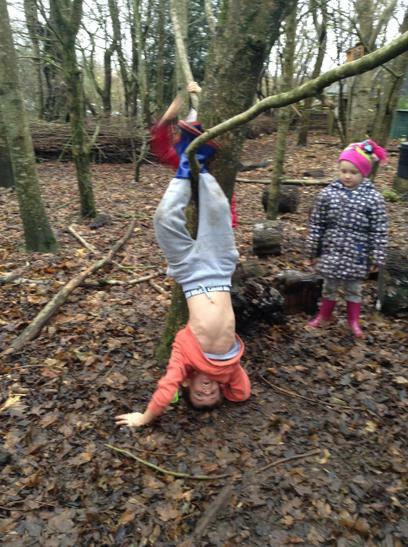 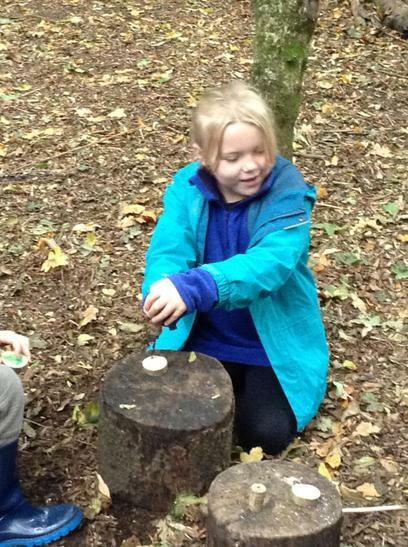 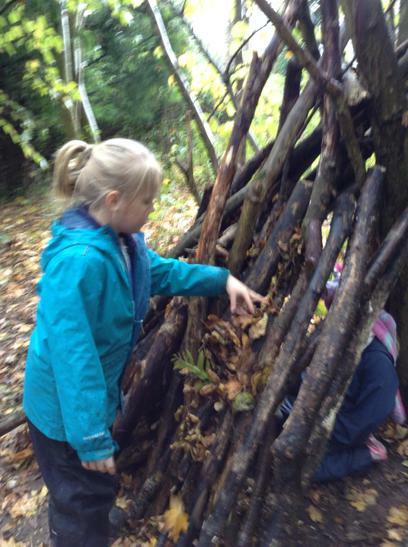 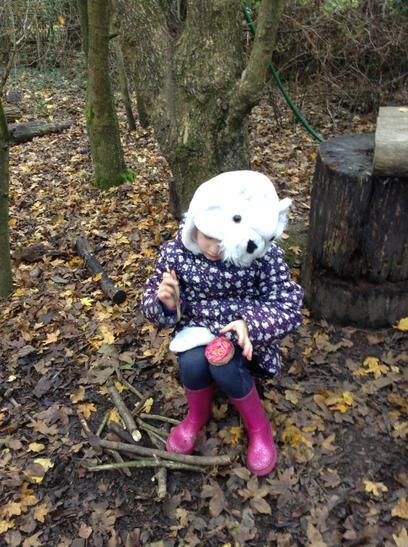 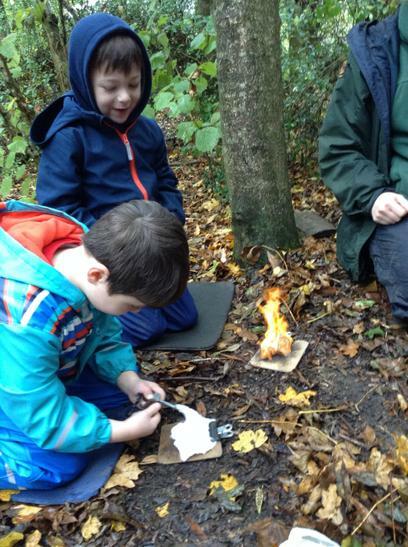 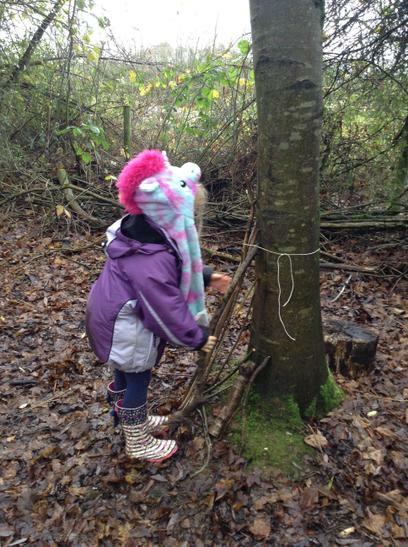 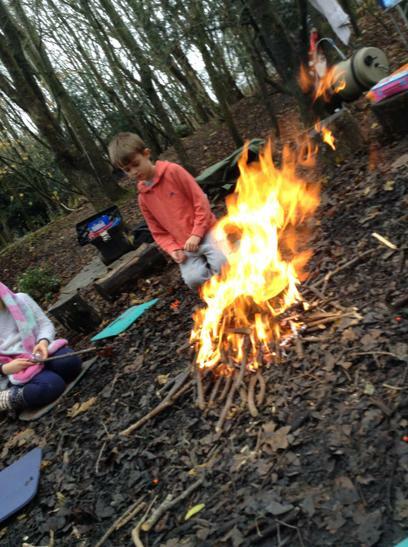 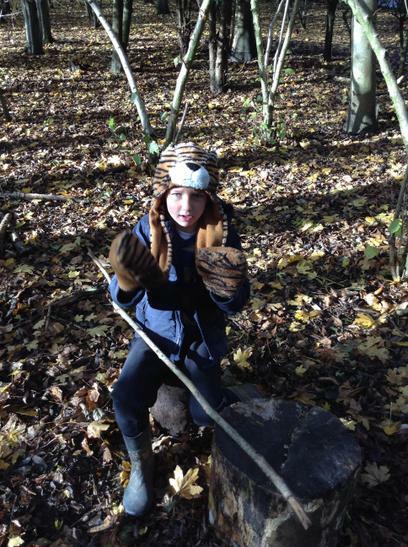 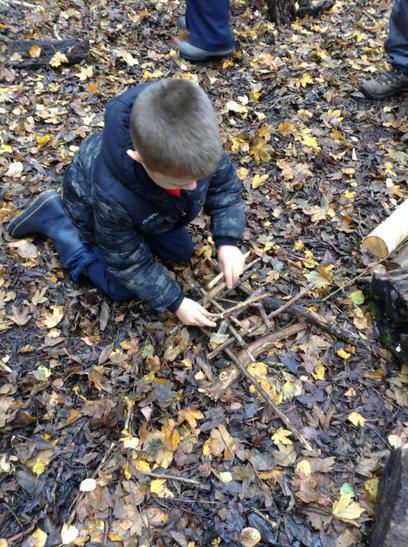 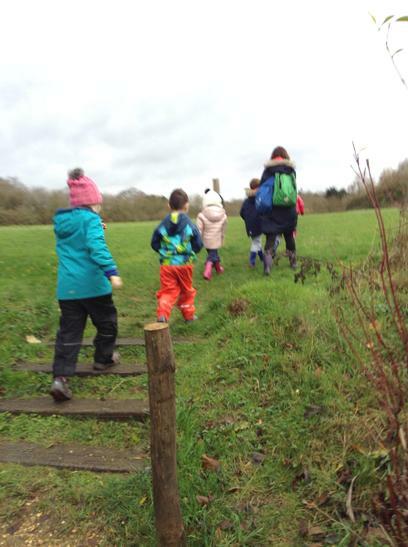 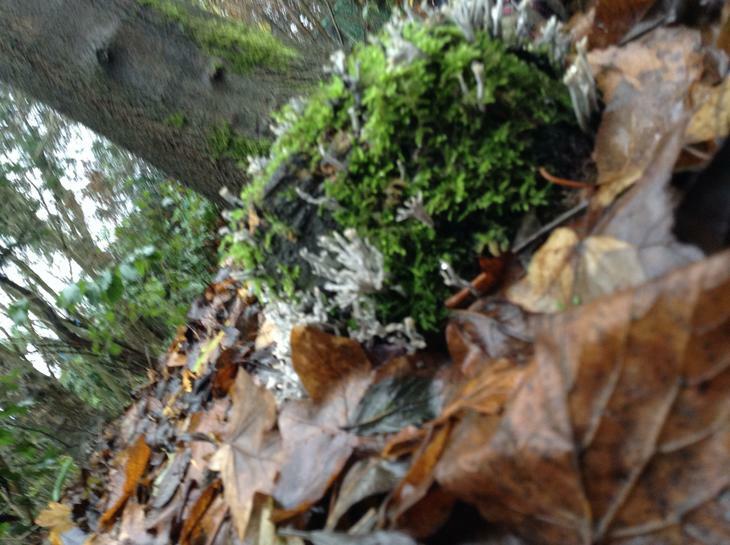 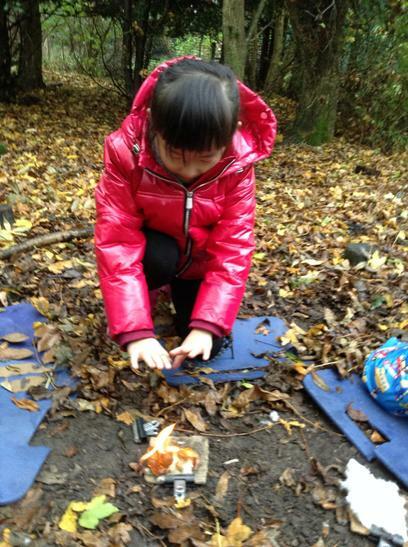 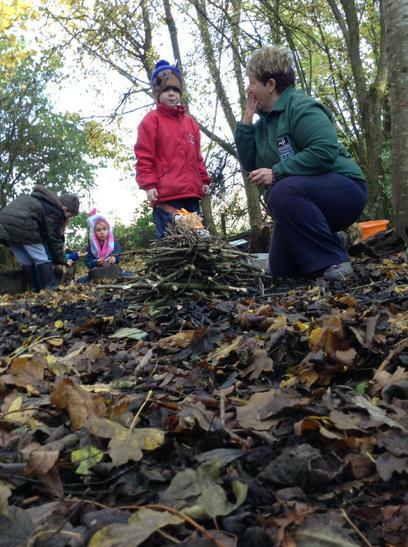 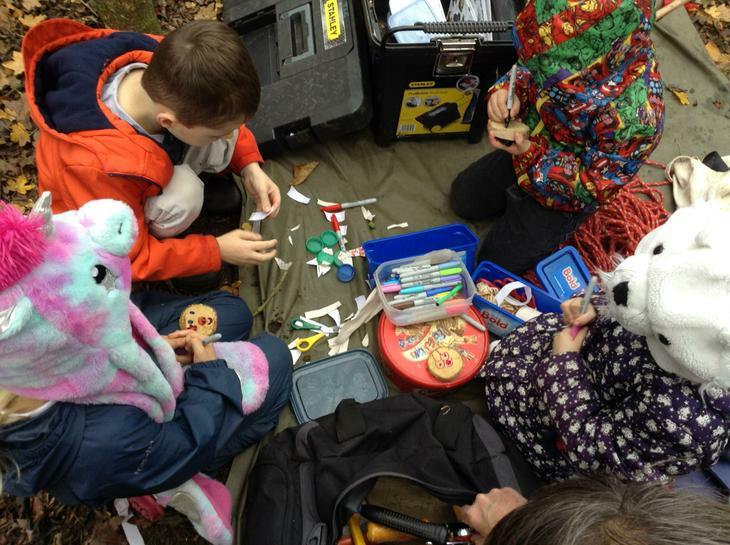 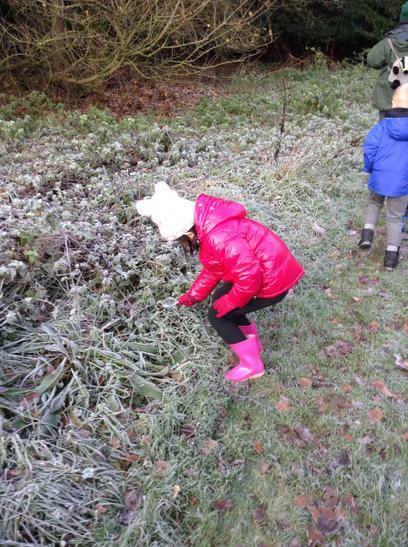 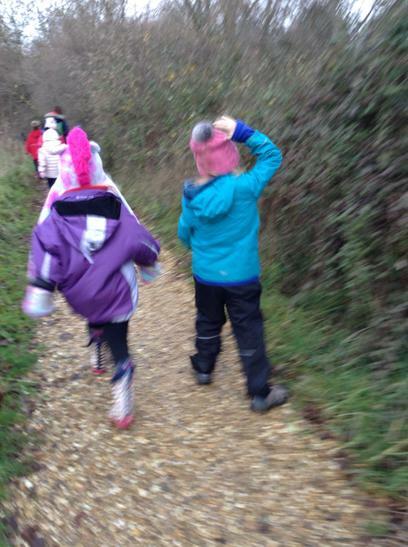 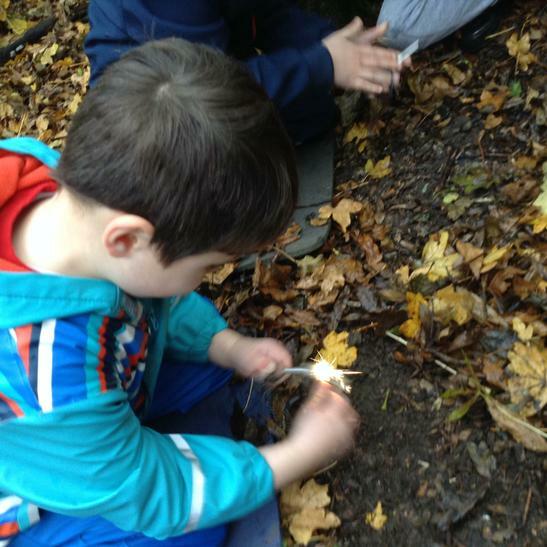 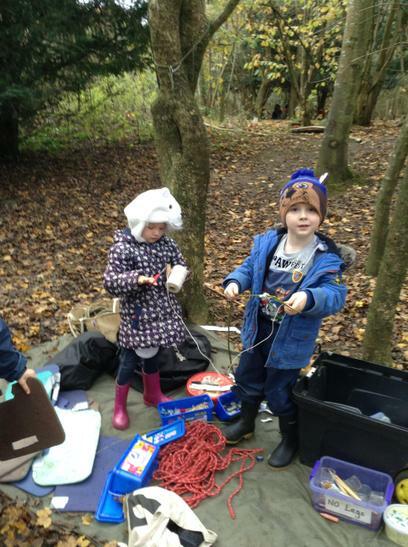 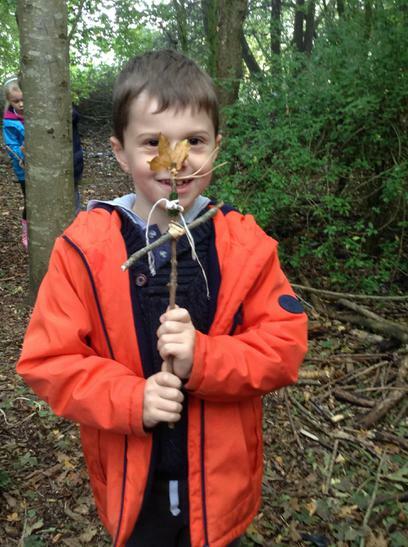 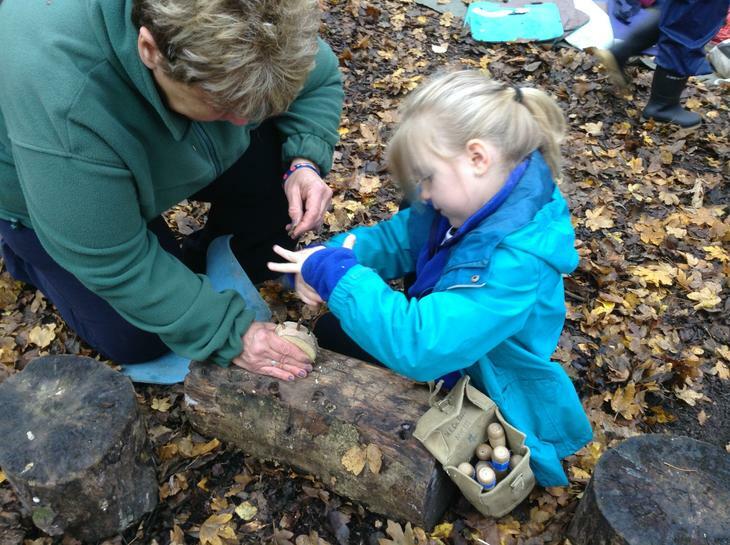 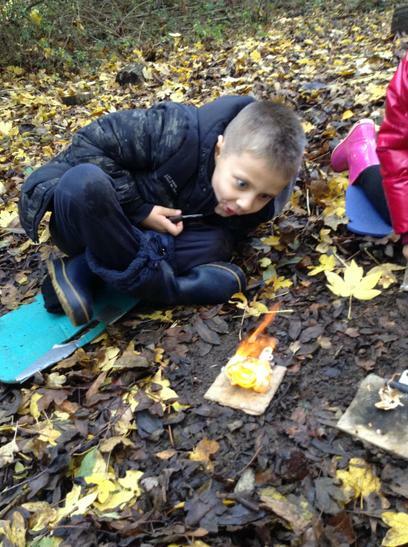 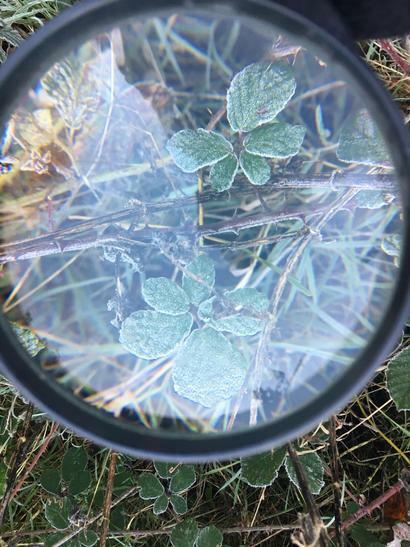 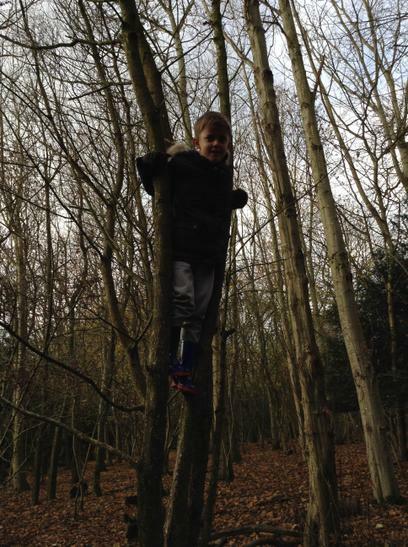 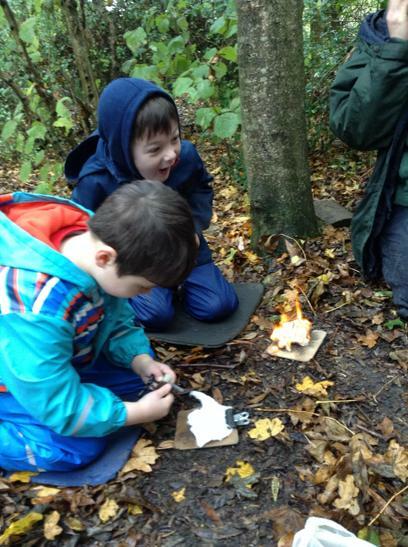 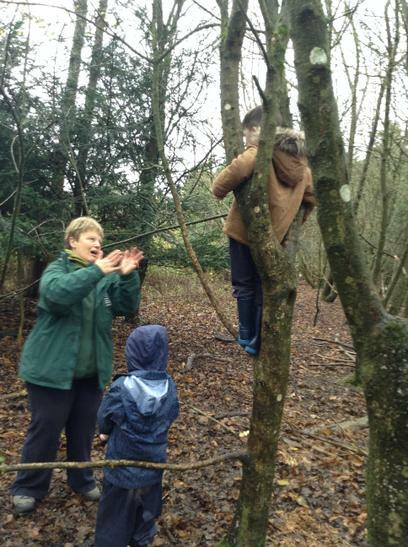 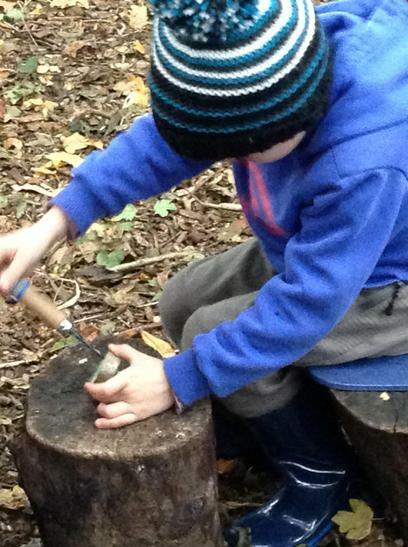 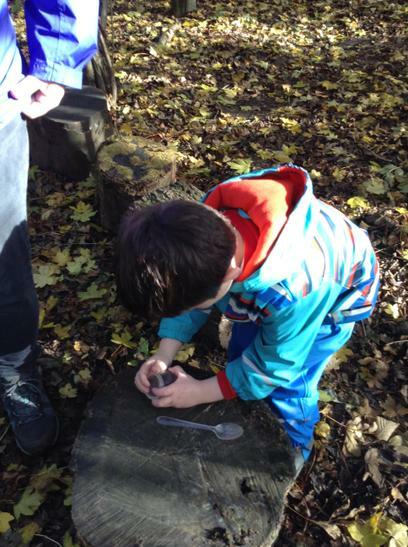 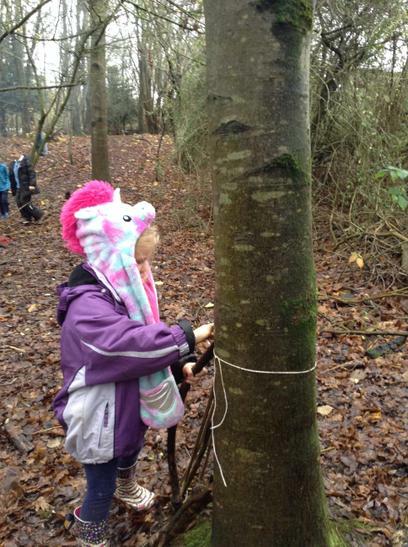 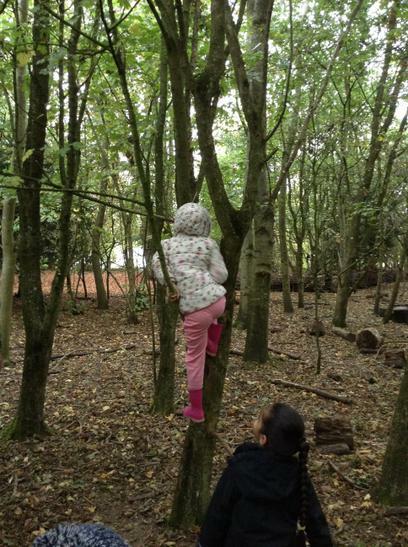 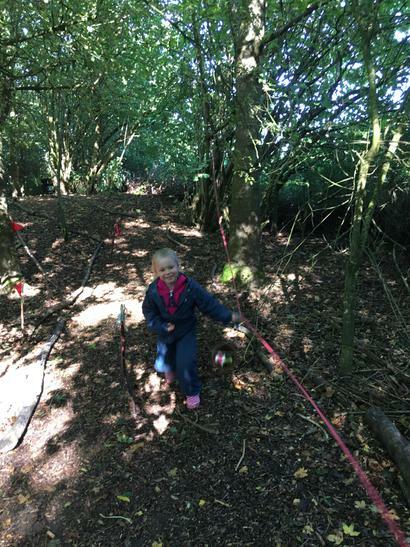 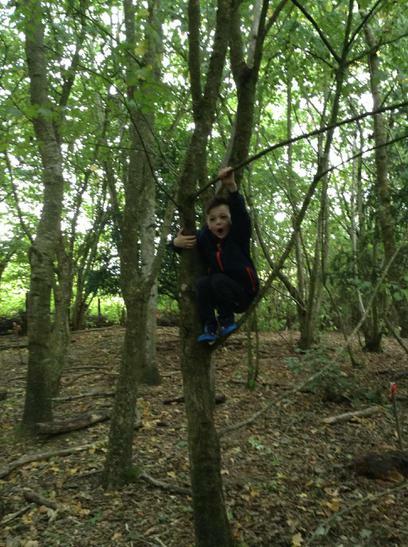 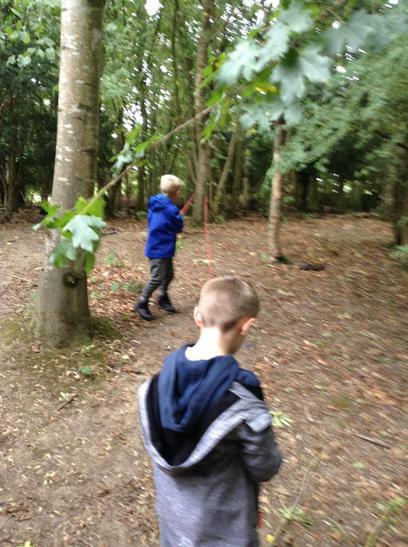 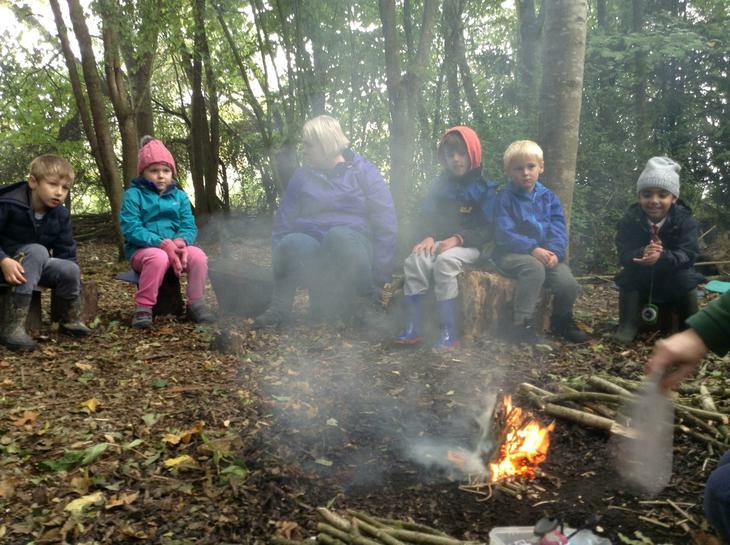 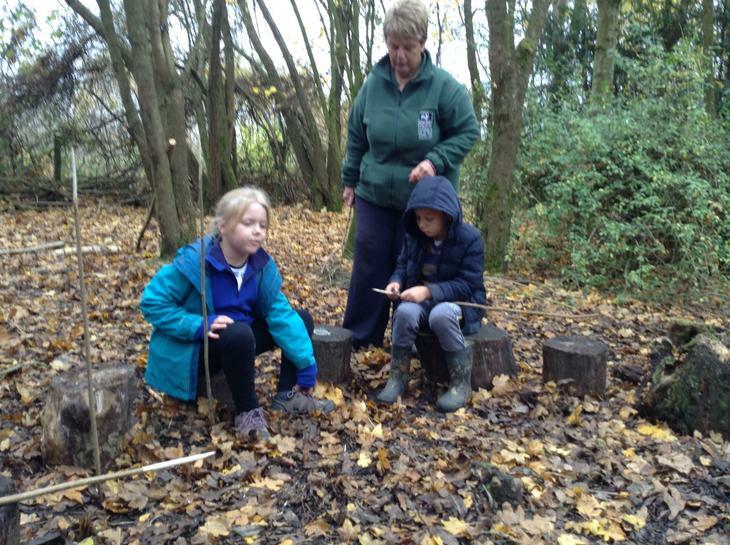 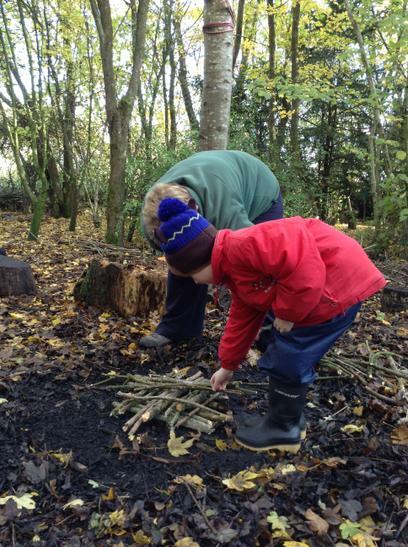 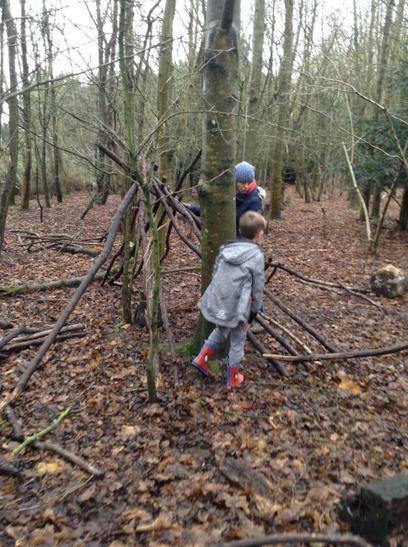 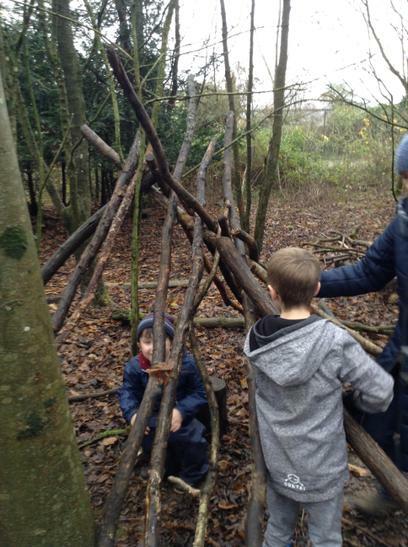 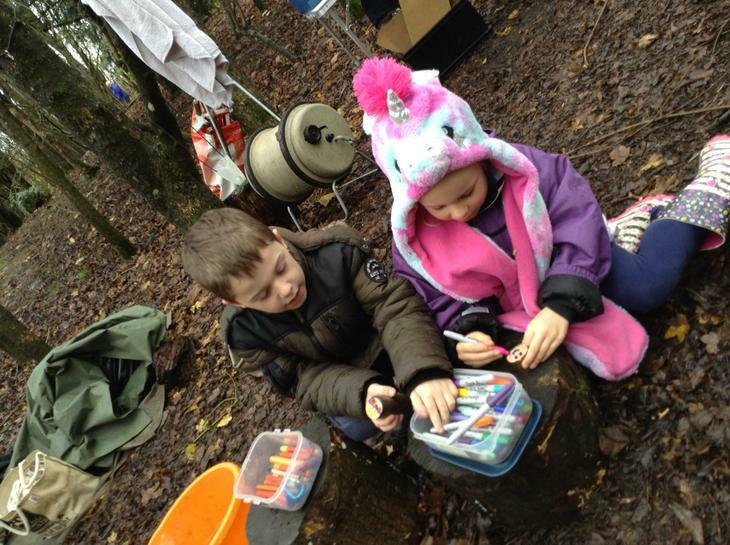 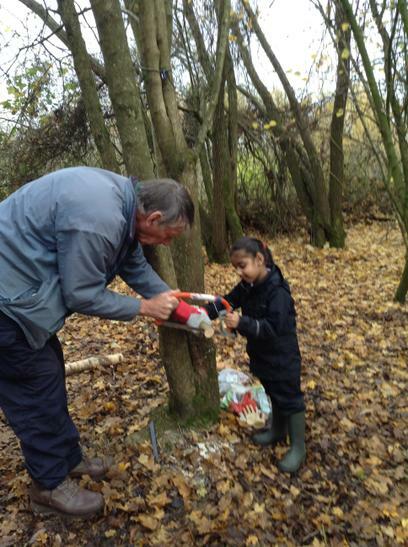 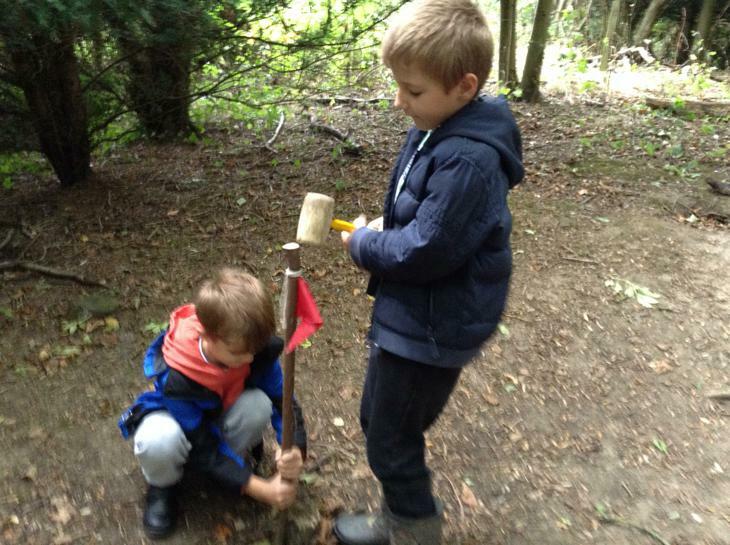 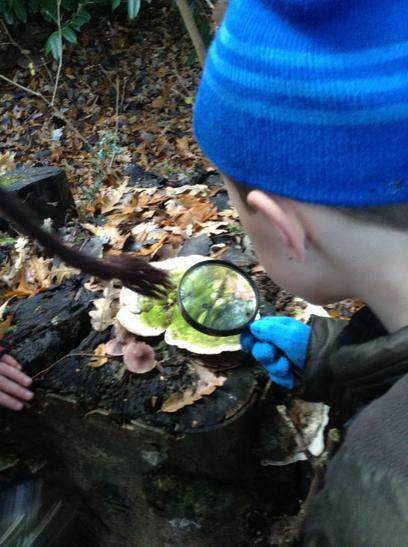 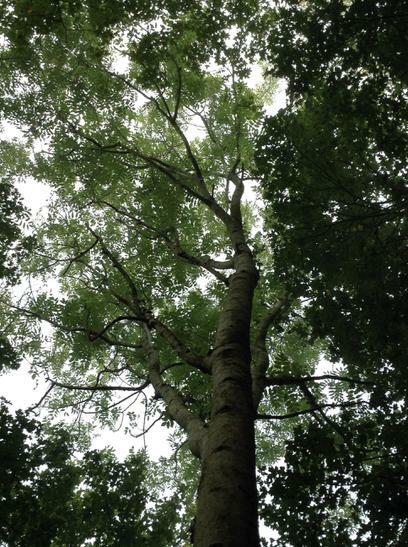 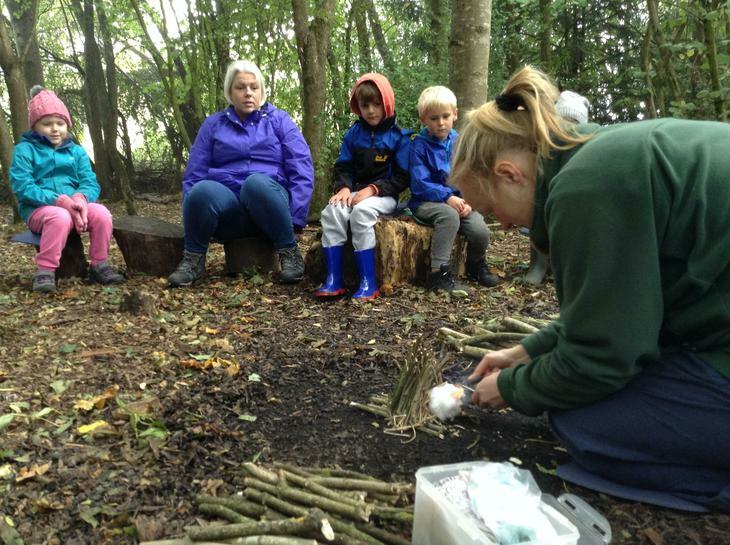 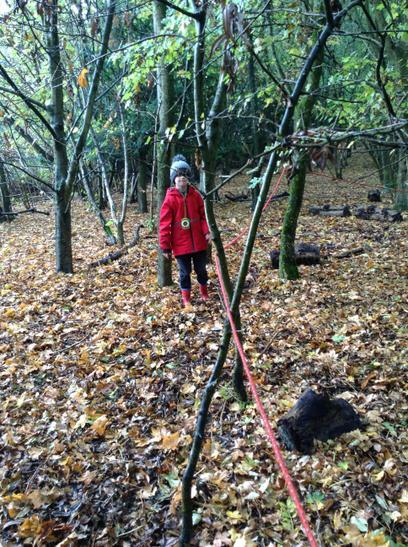 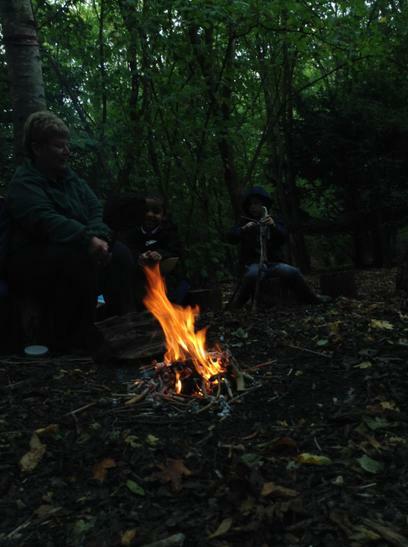 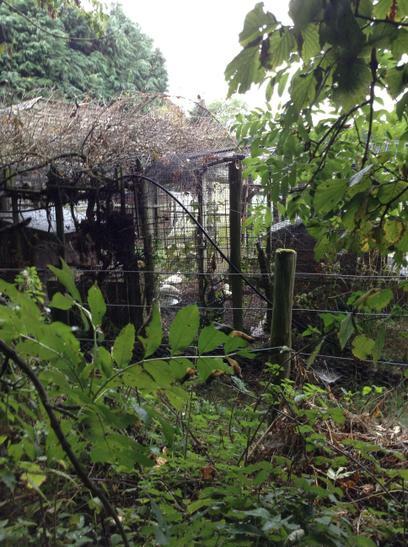 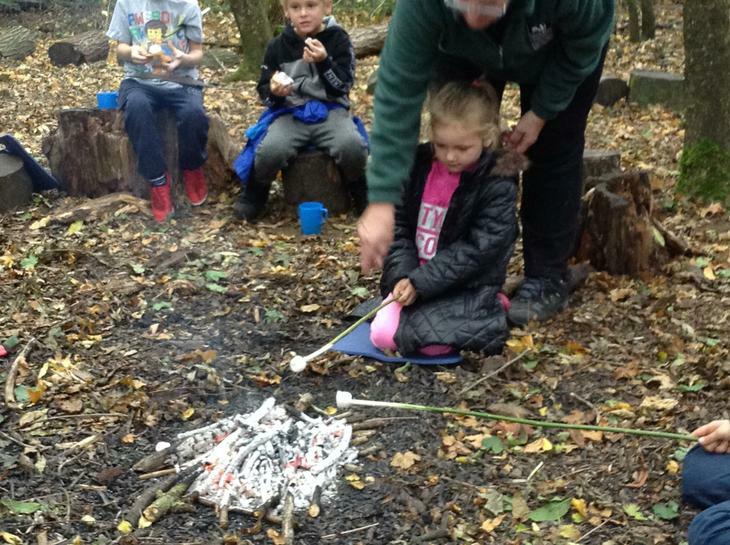 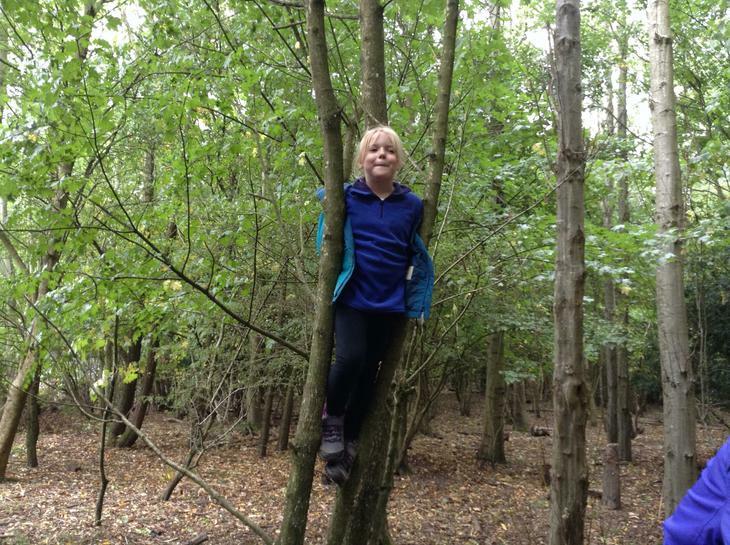 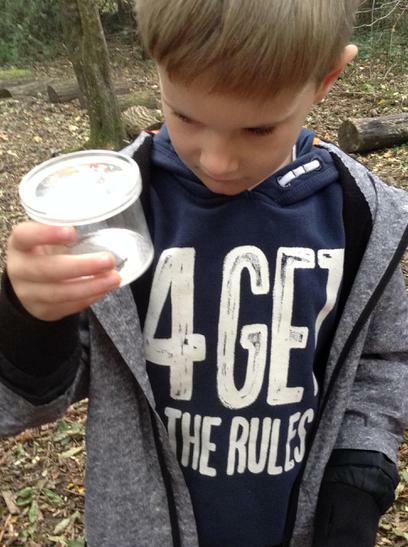 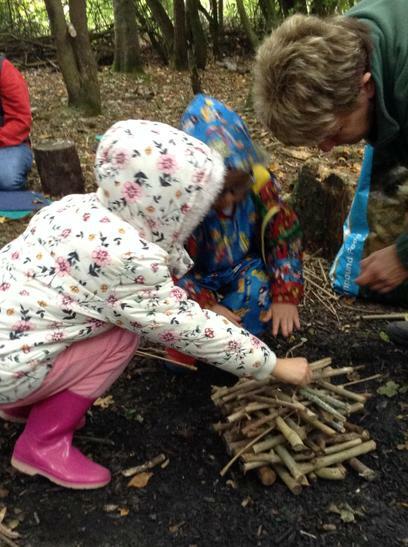 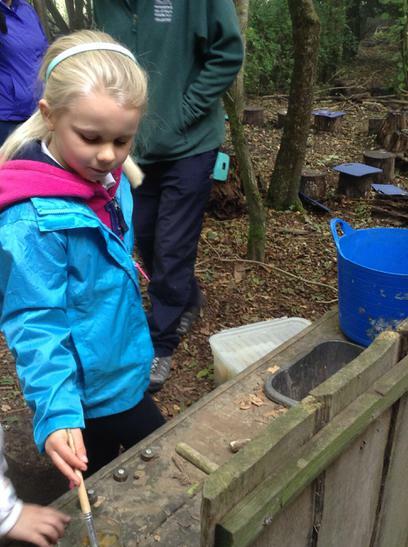 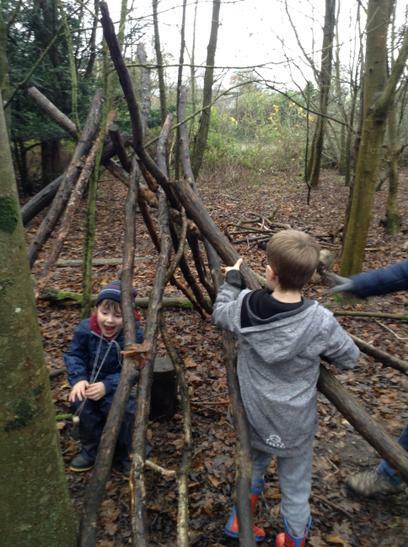 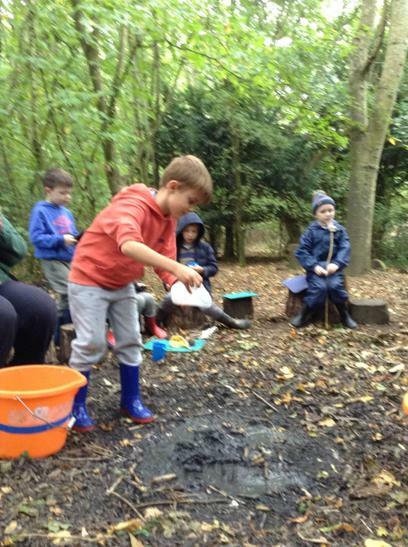 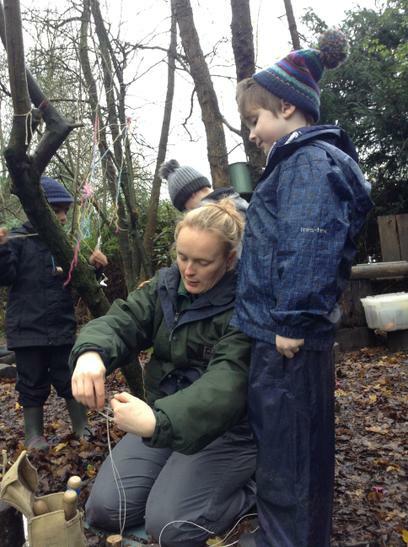 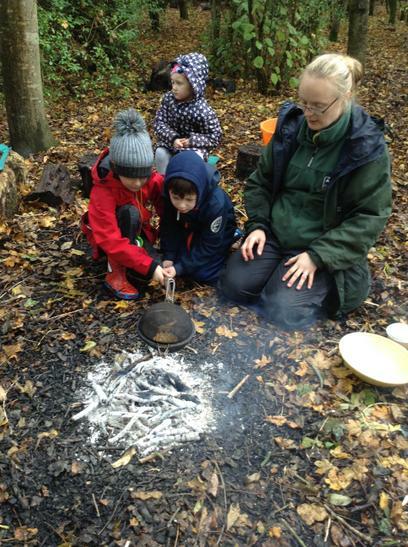 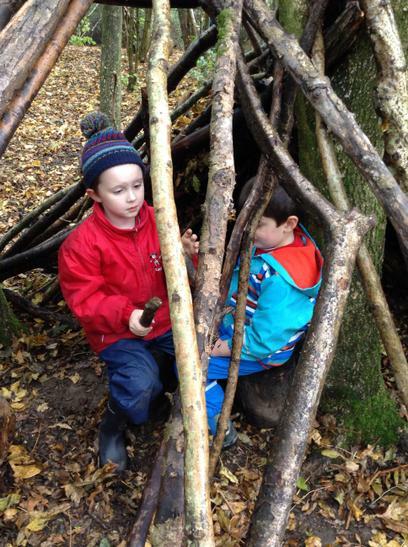 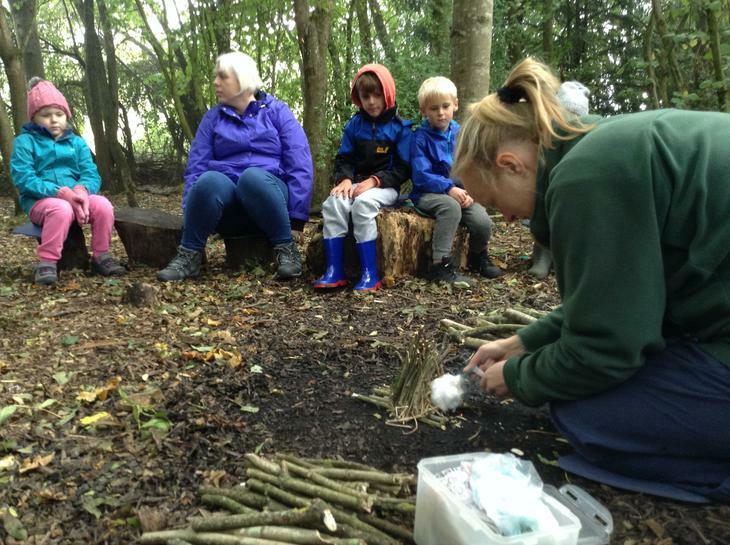 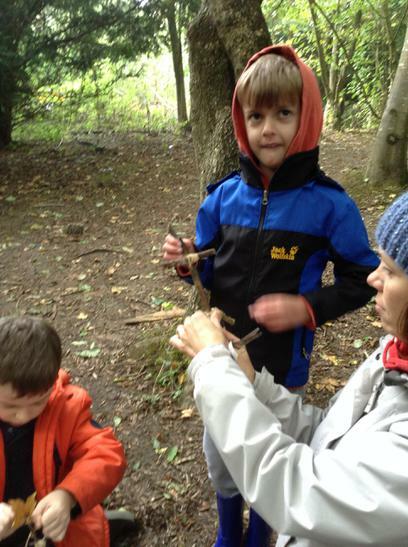 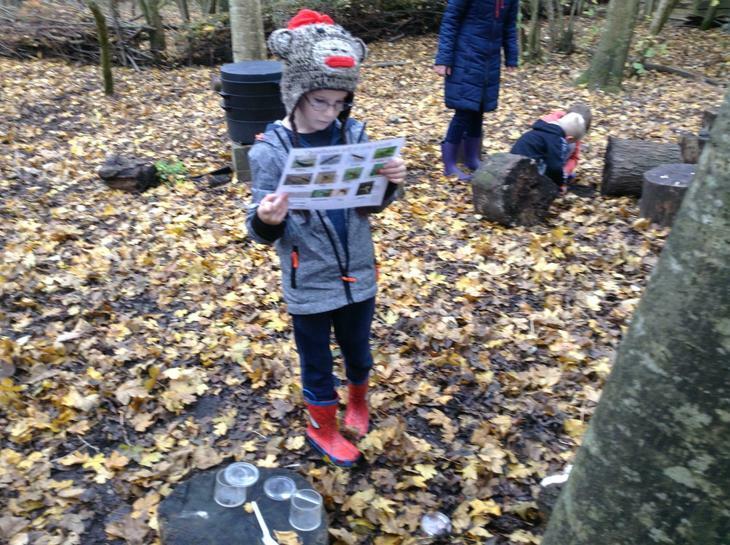 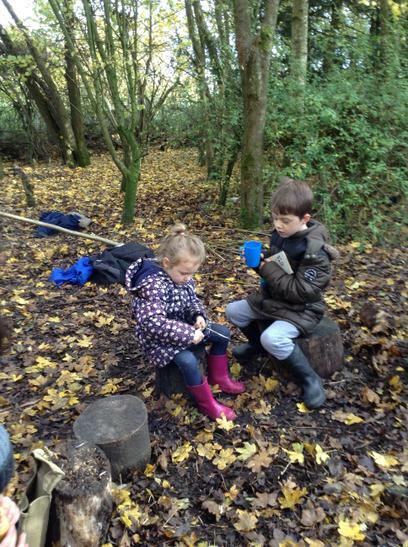 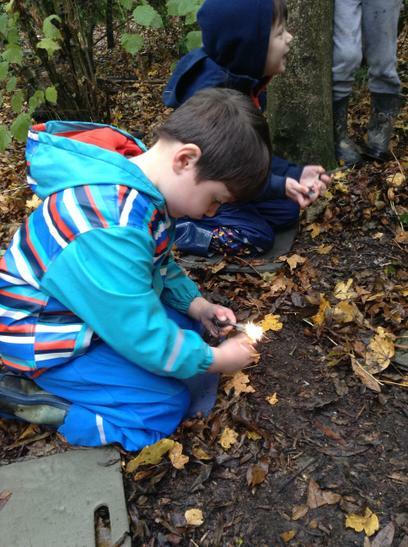 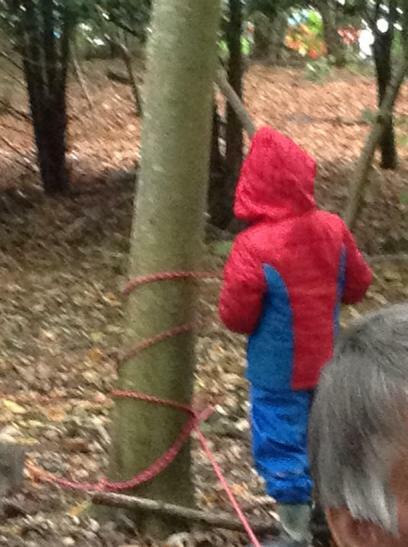 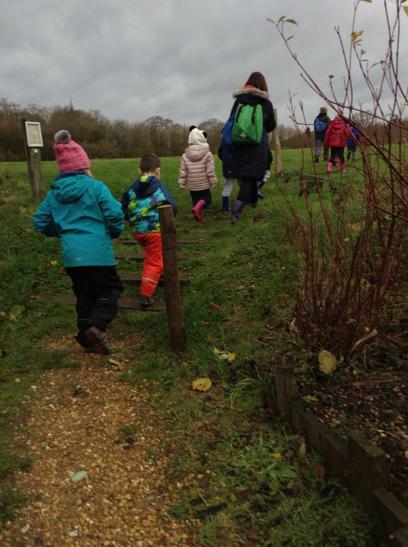 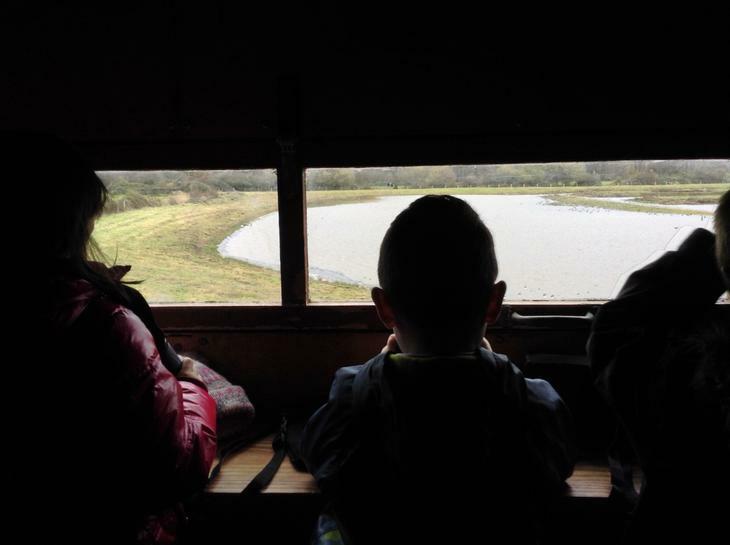 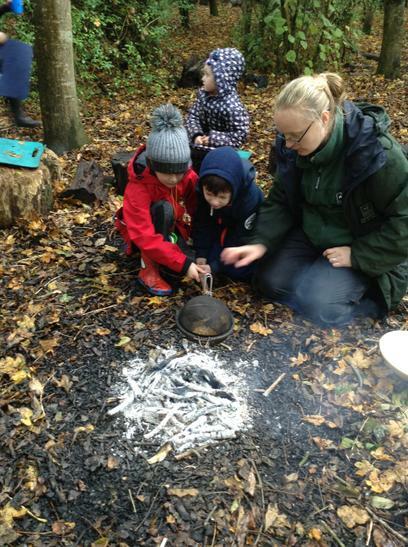 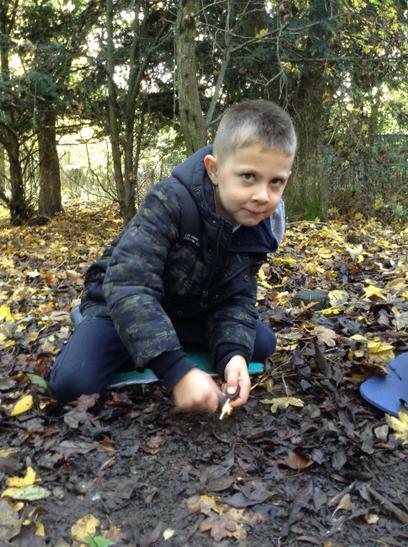 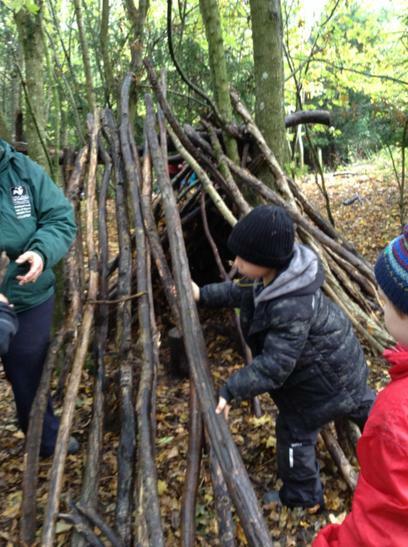 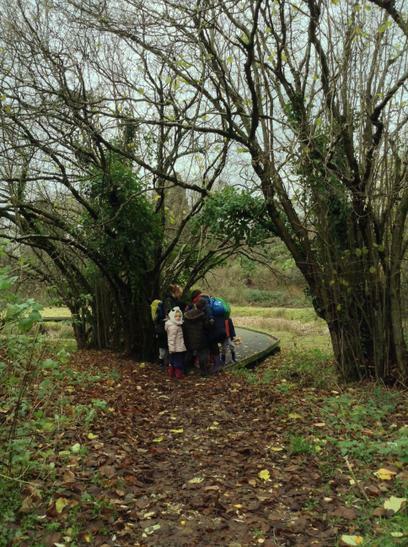 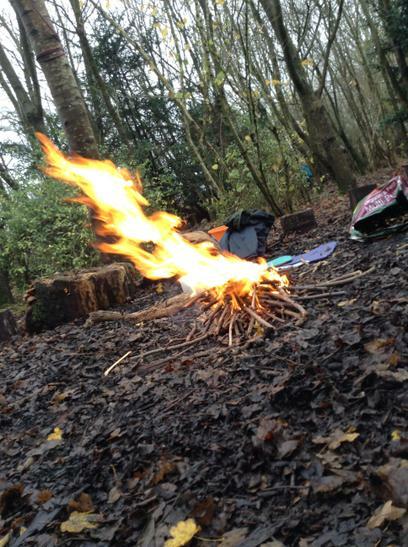 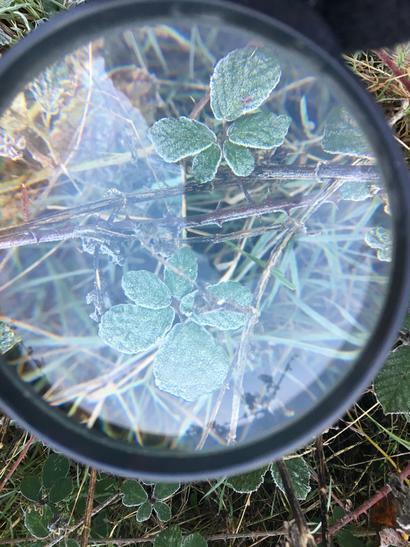 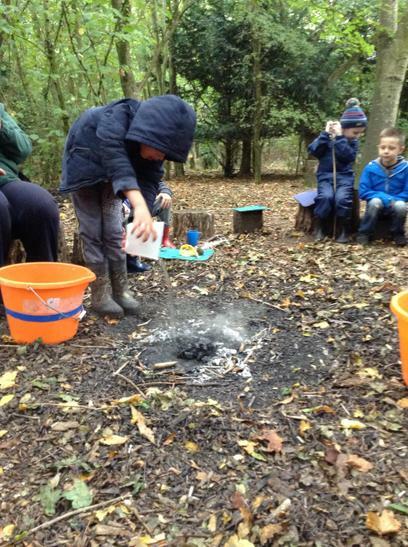 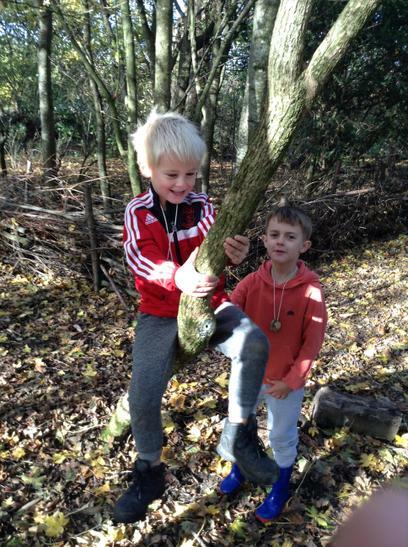 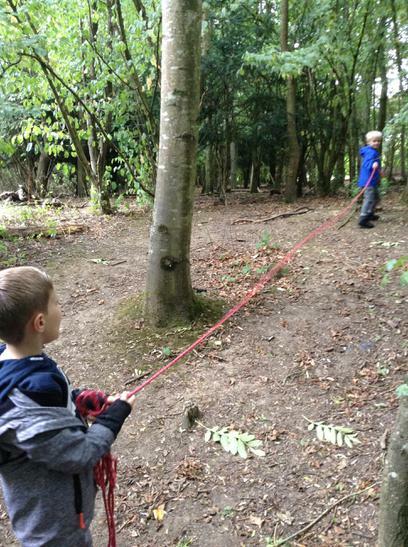 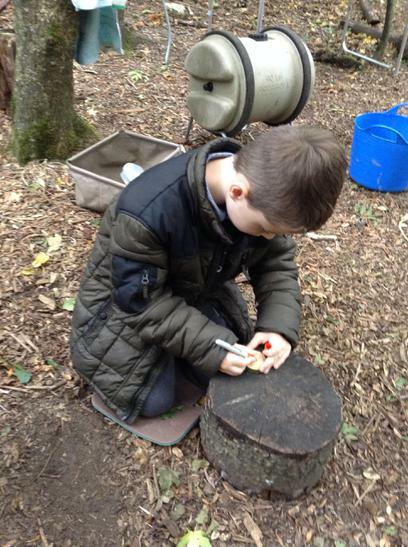 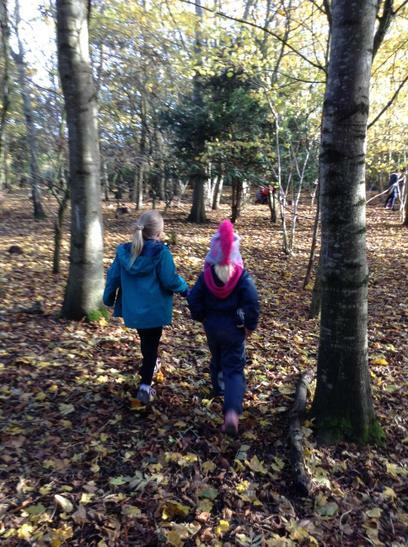 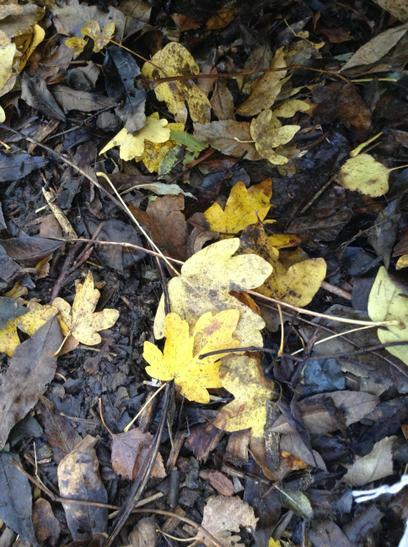 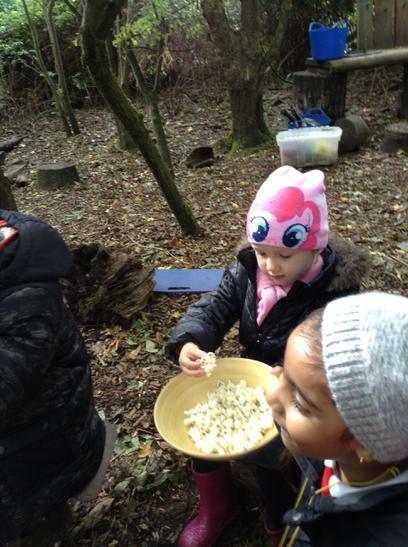 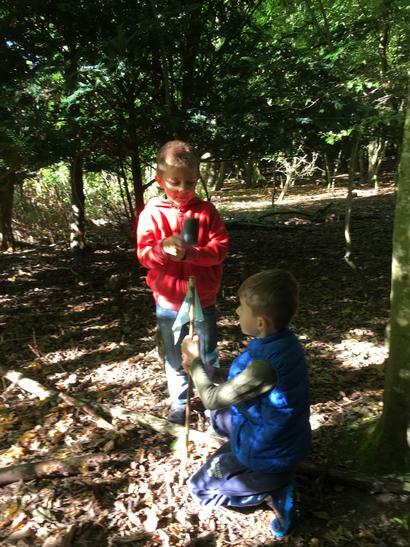 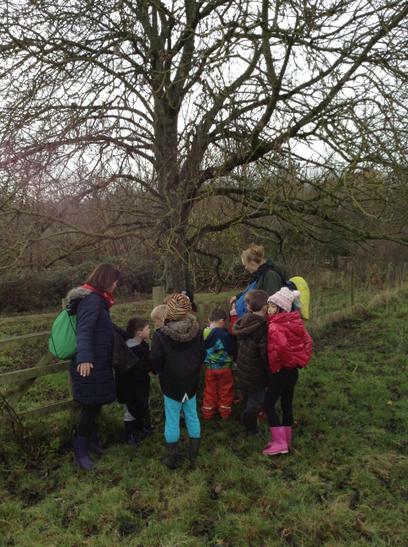 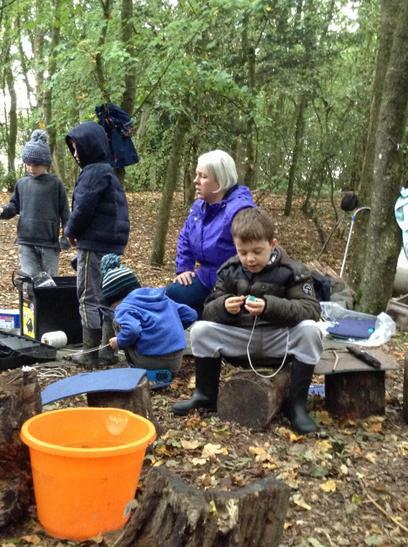 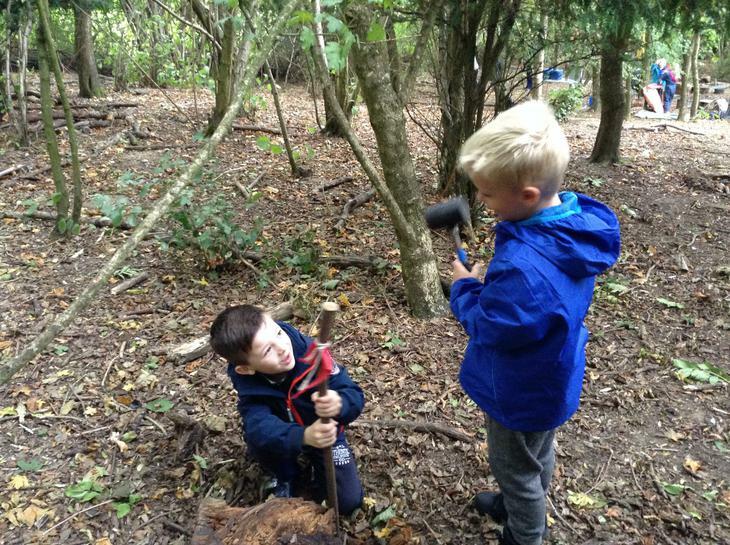 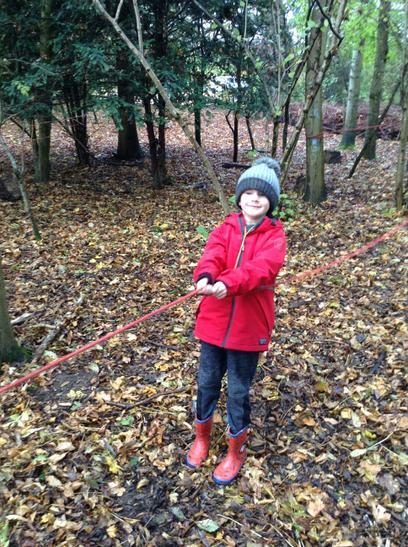 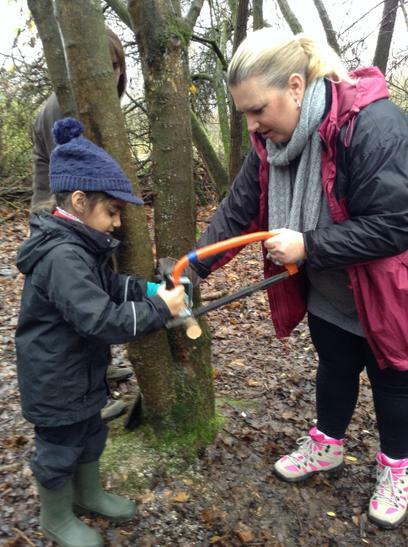 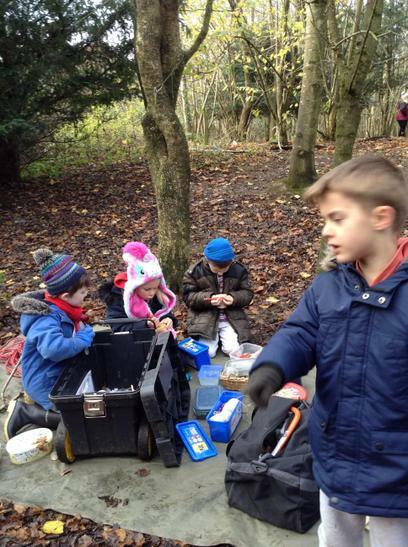 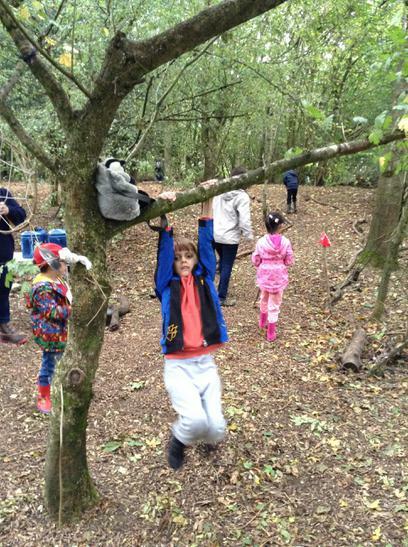 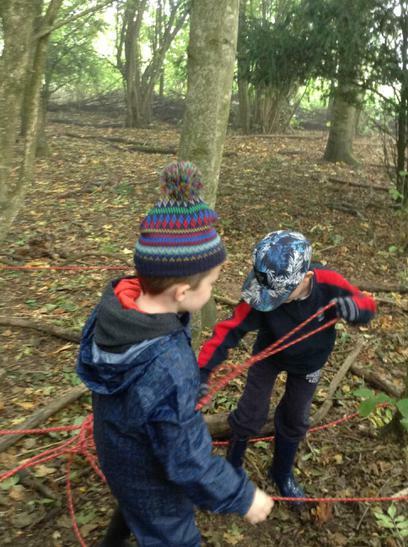 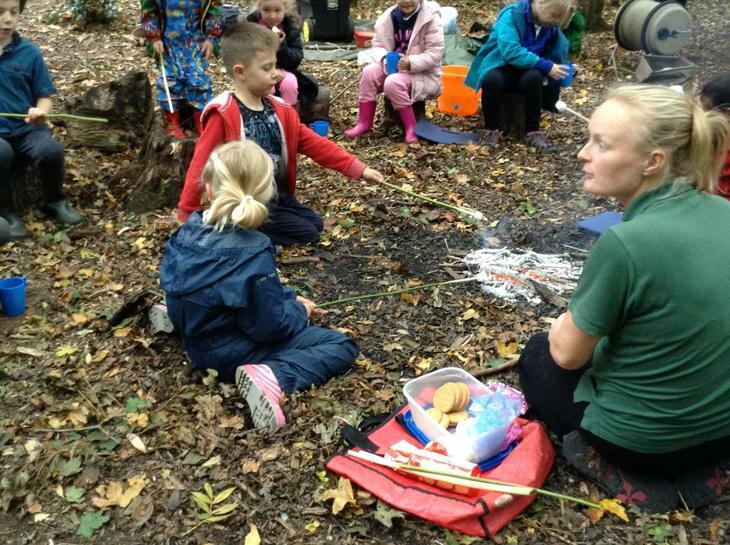 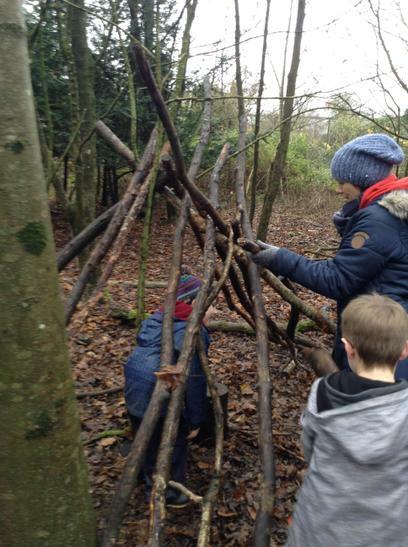 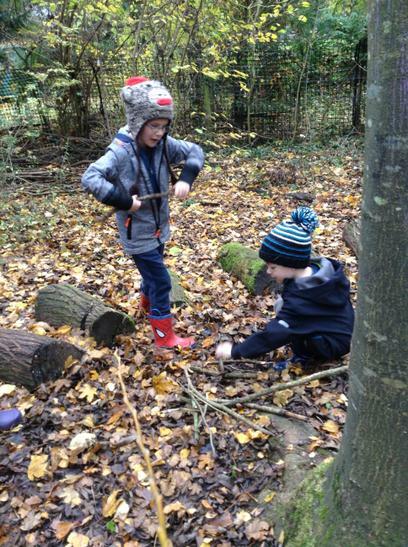 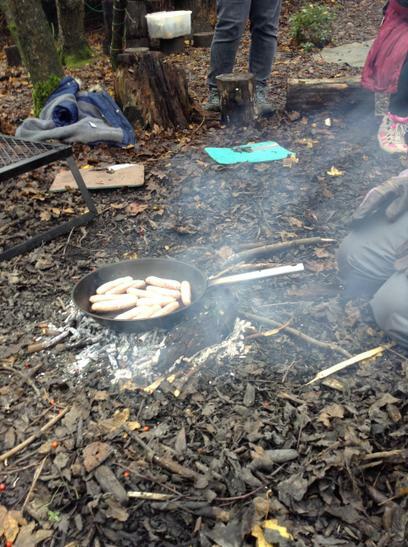 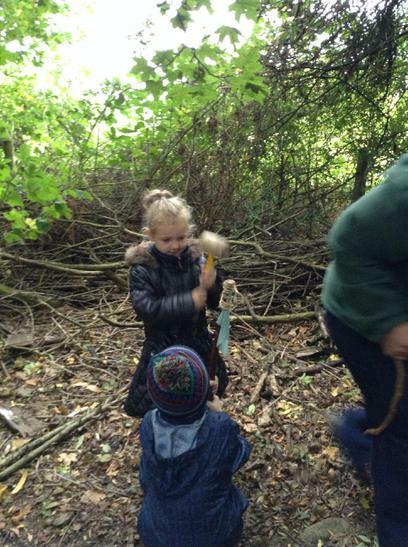 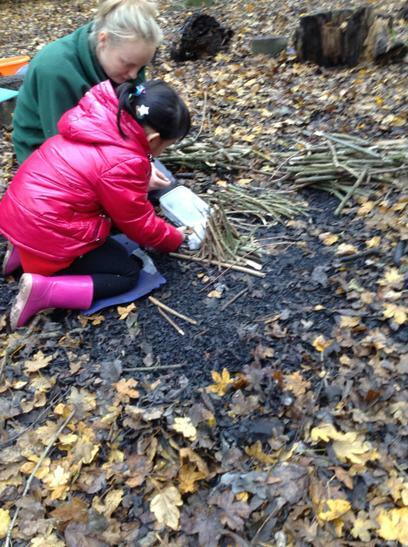 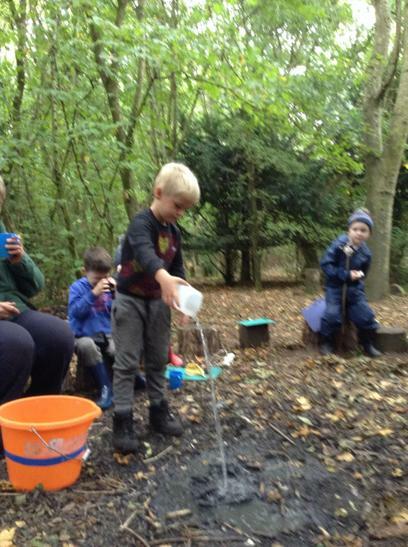 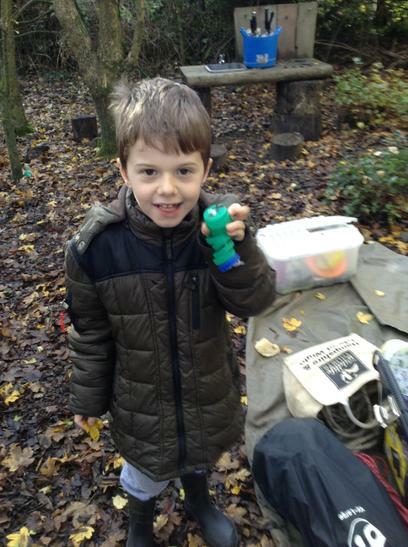 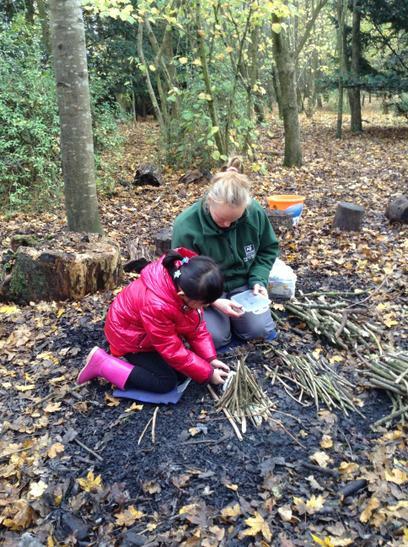 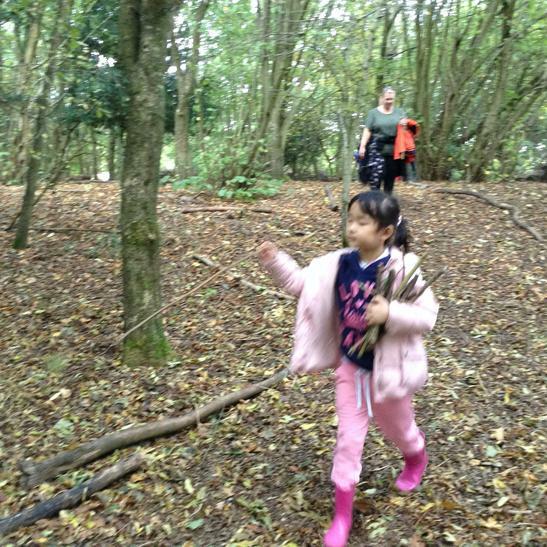 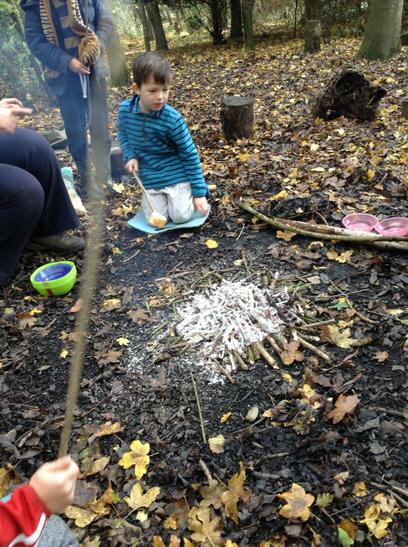 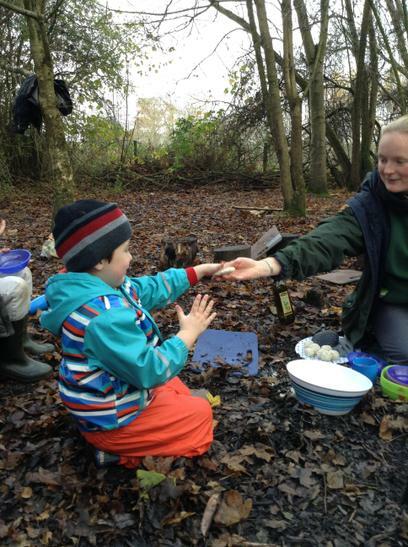 What do you feel your child has learned/gained from their Forest School experience? 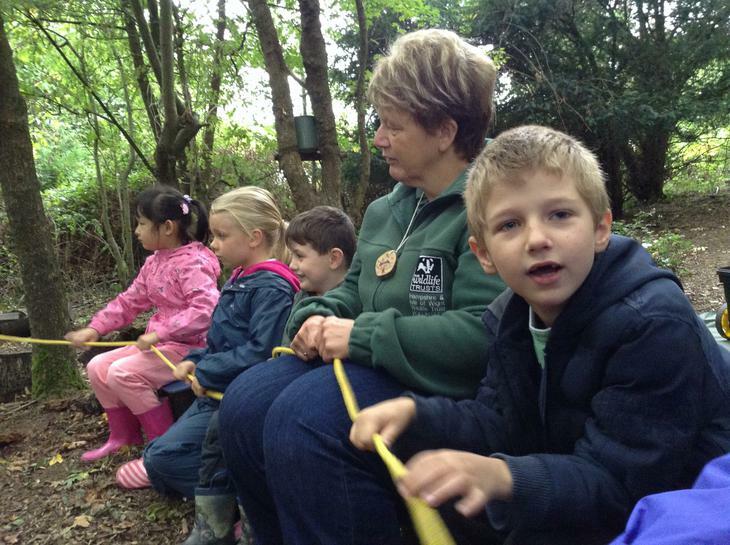 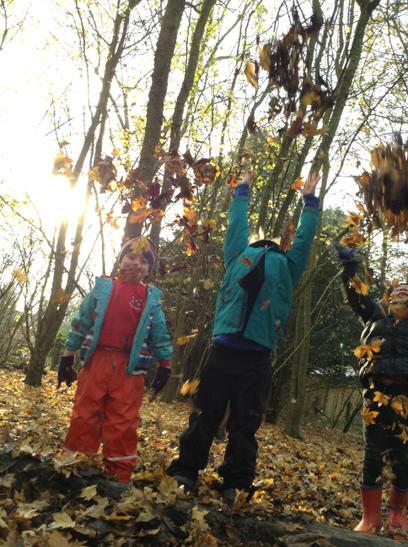 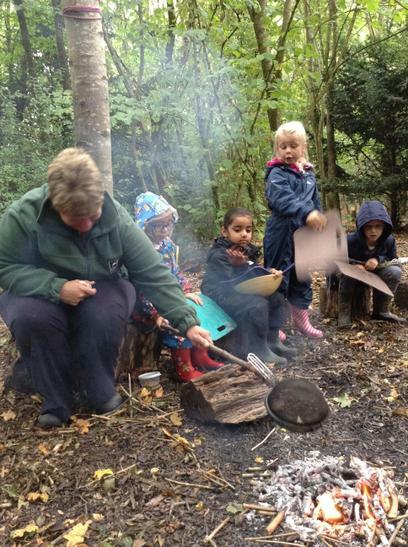 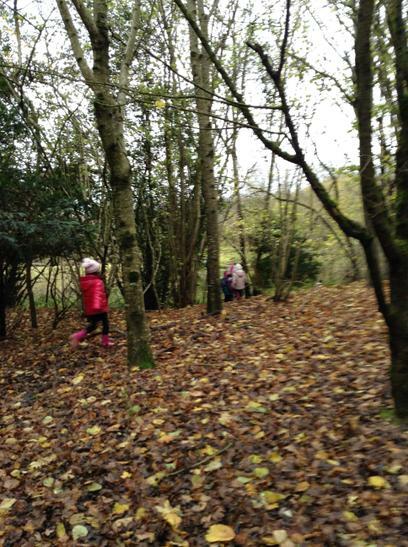 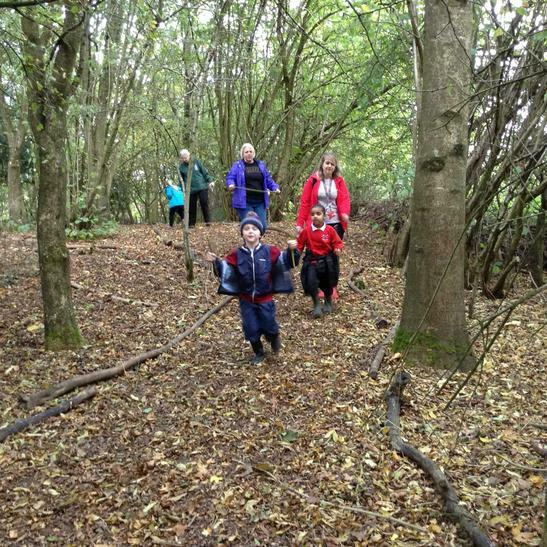 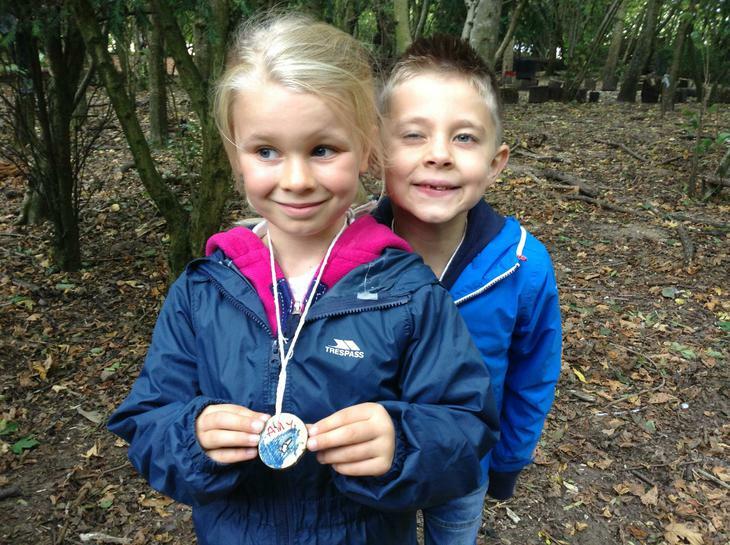 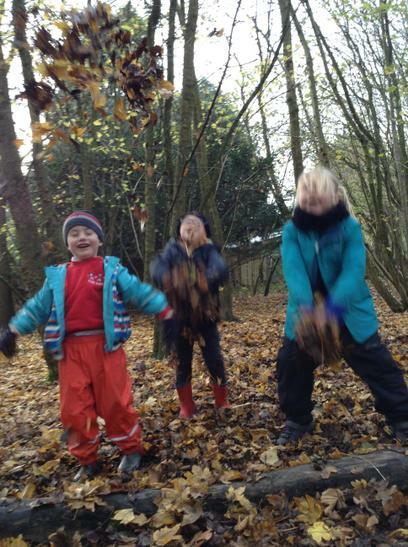 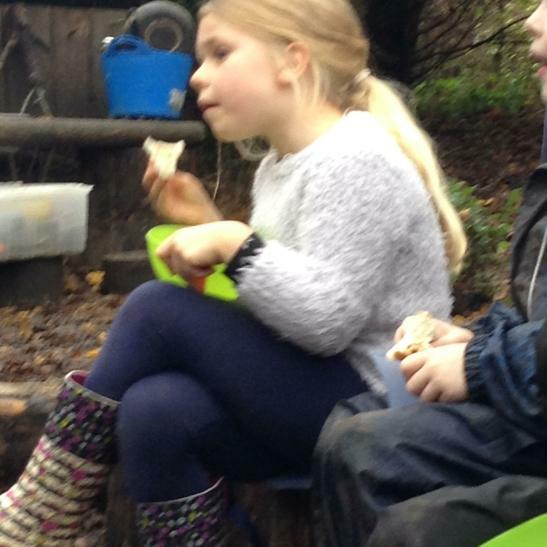 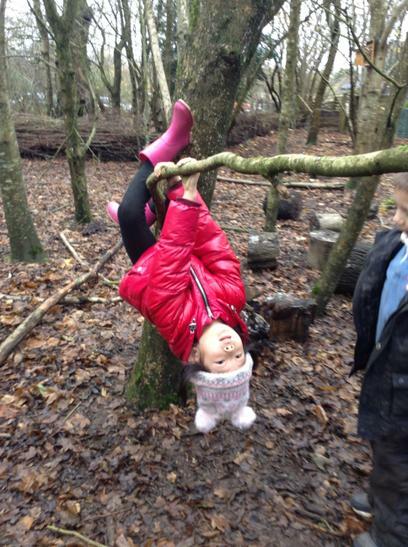 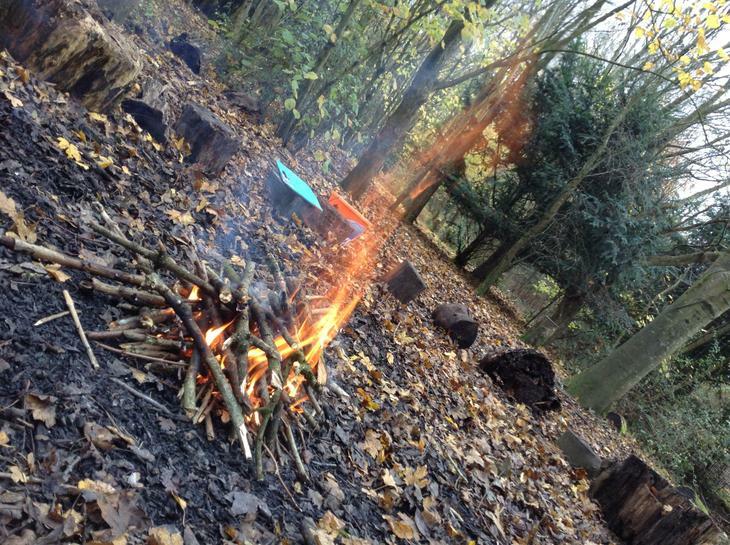 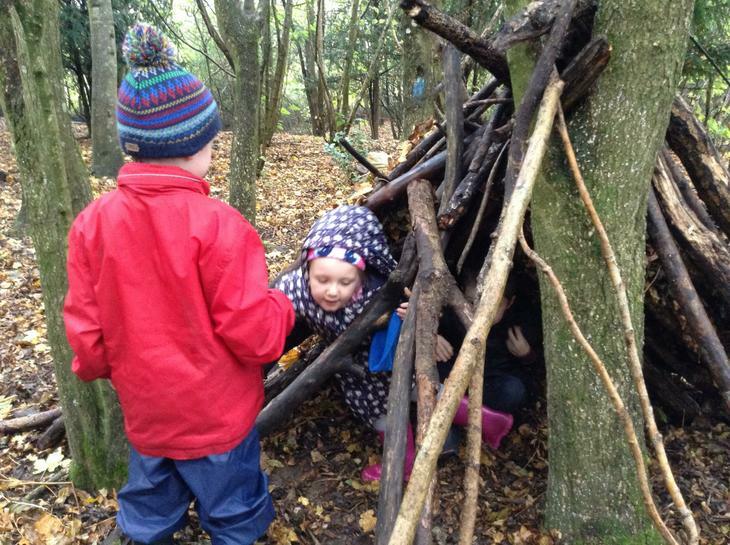 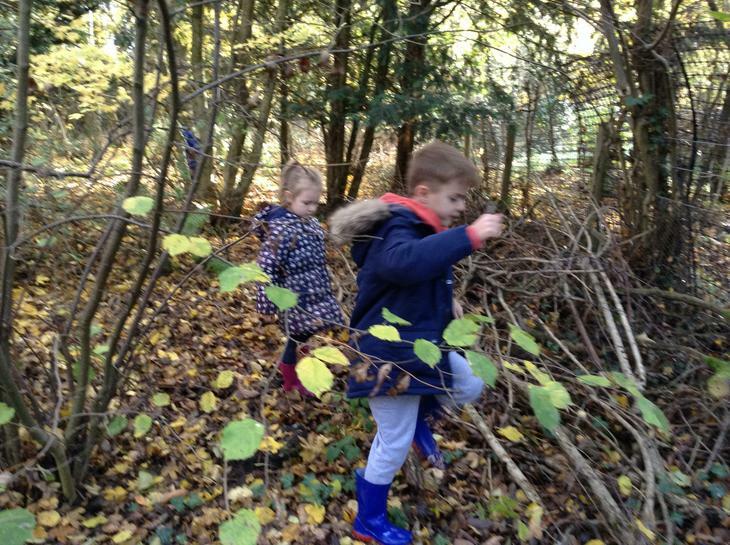 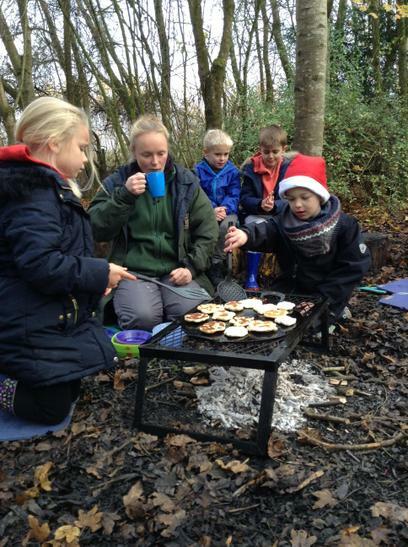 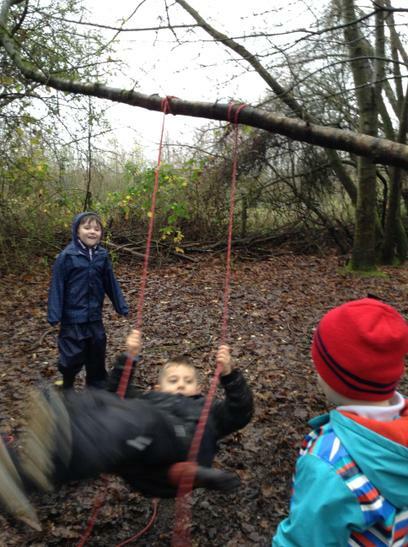 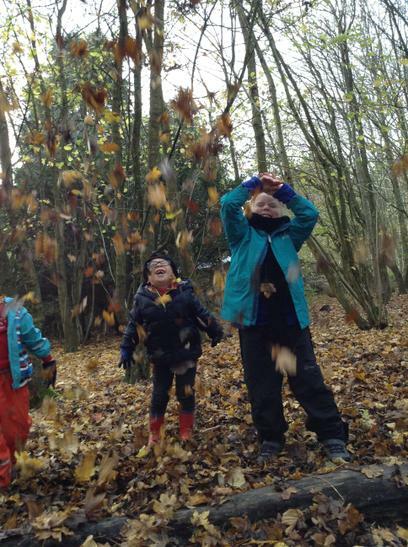 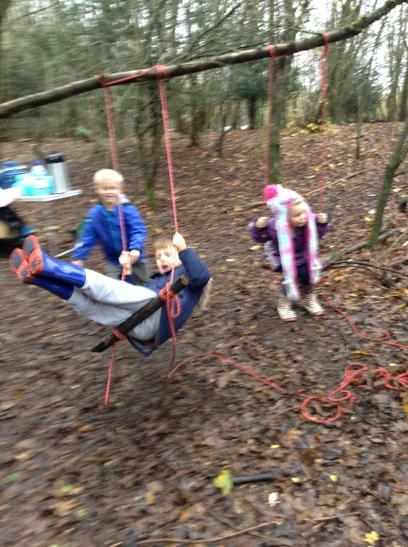 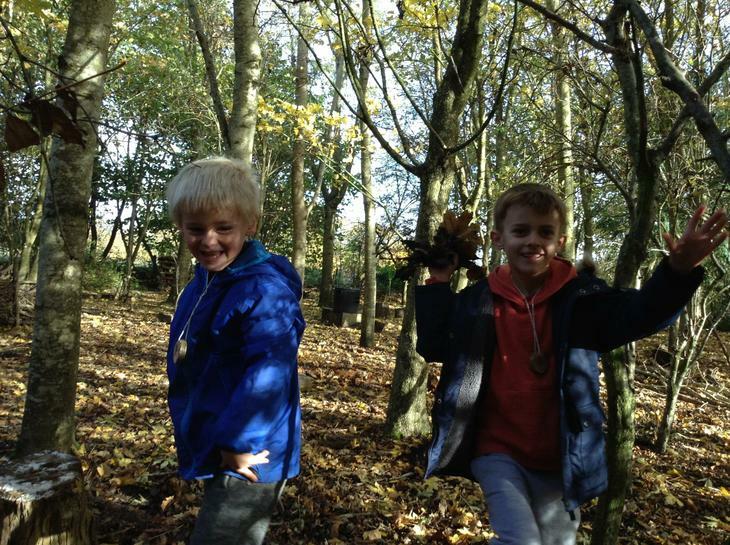 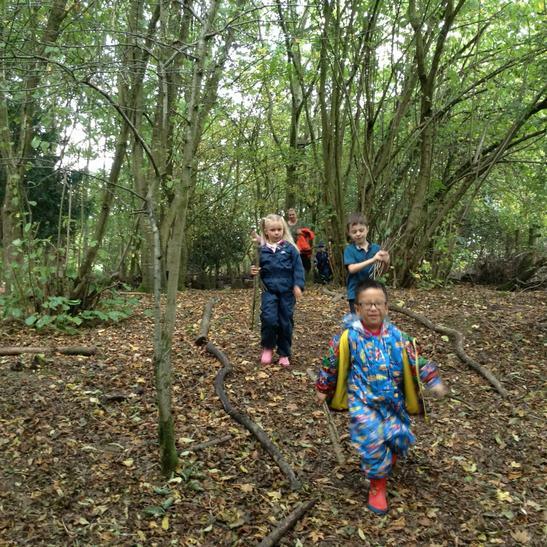 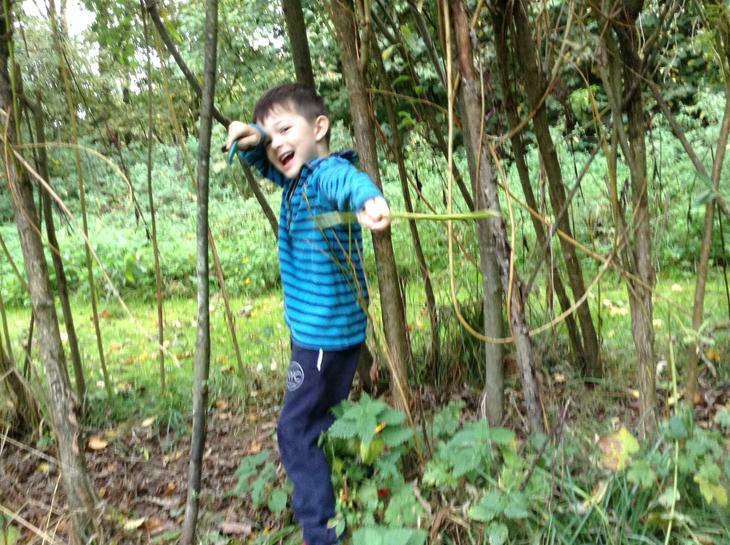 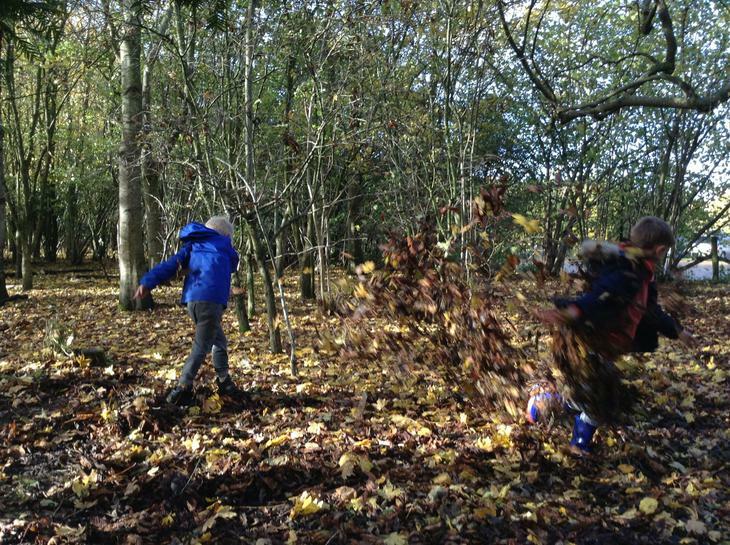 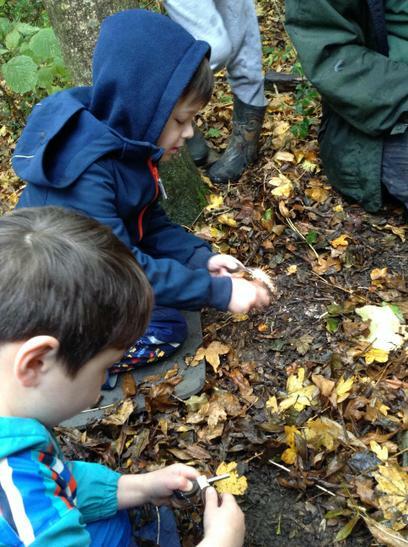 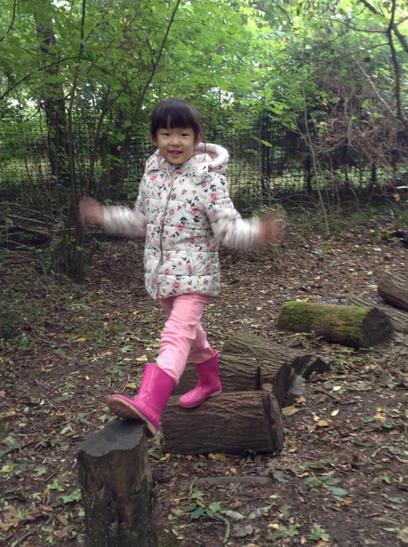 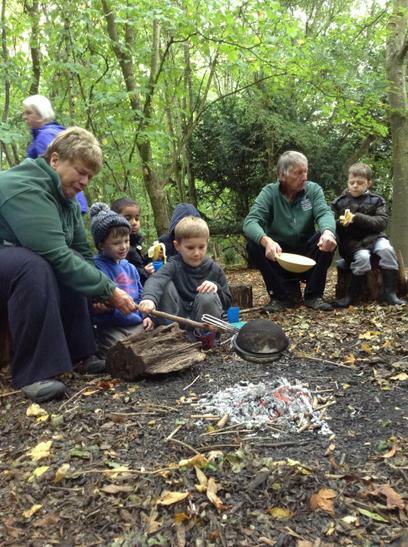 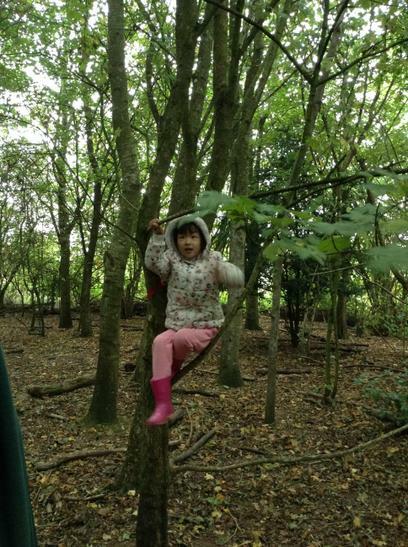 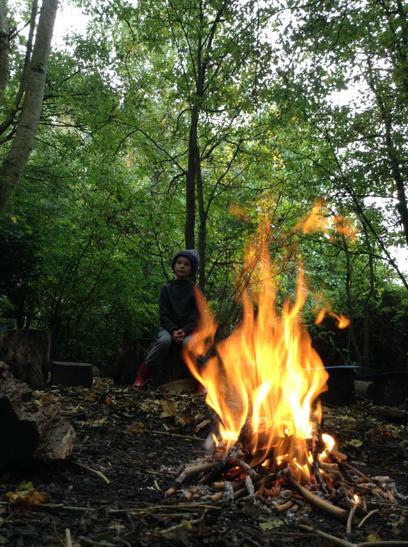 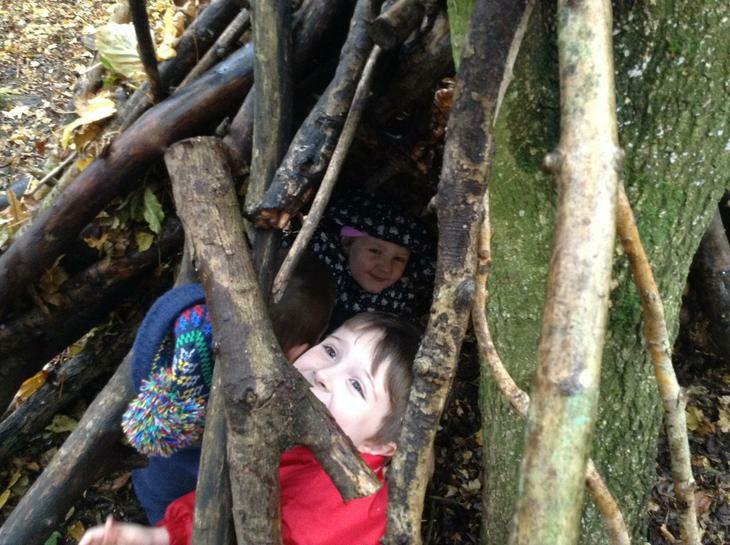 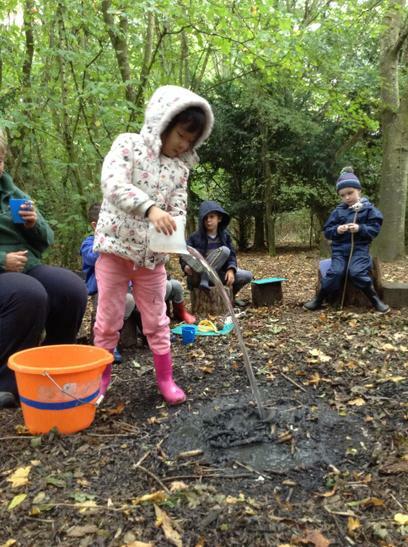 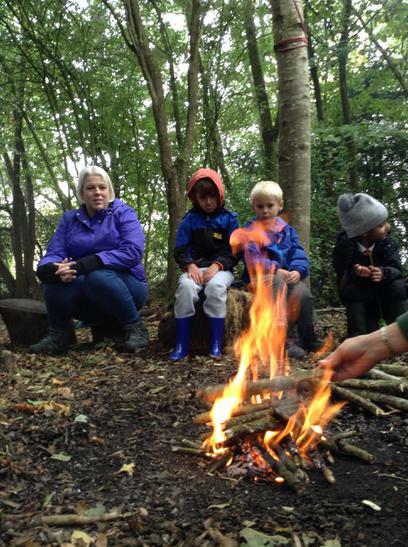 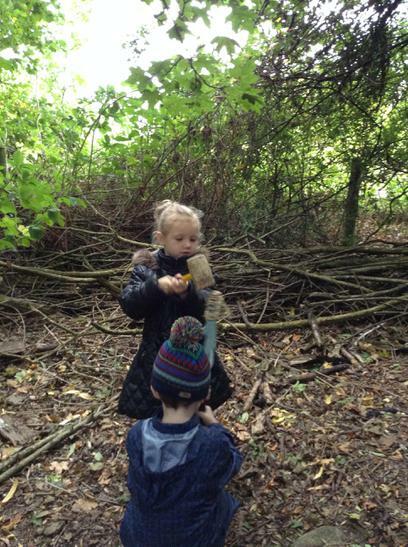 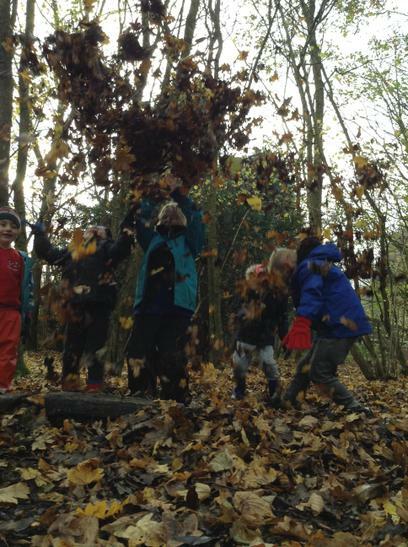 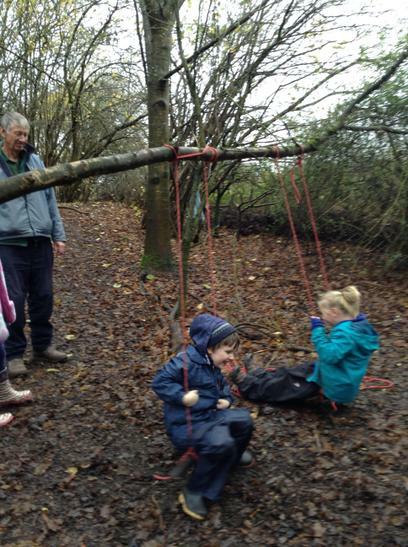 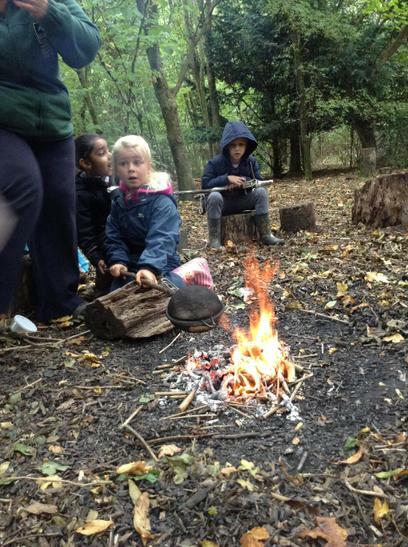 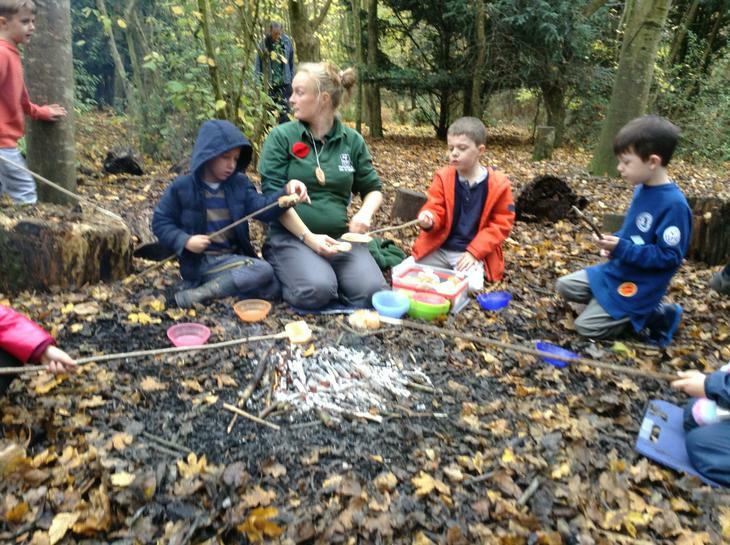 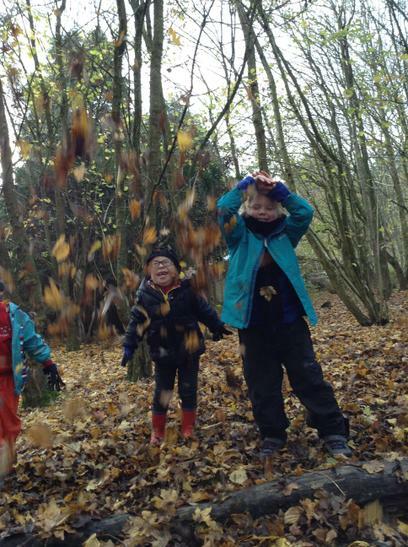 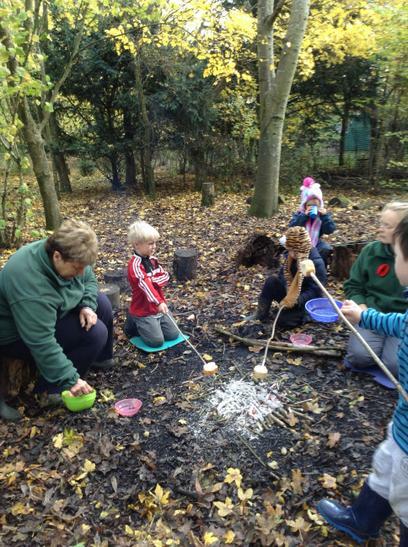 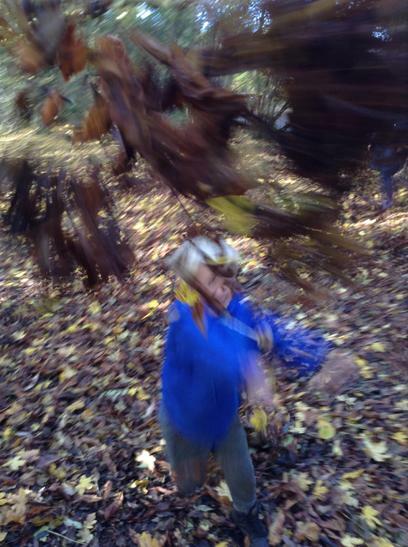 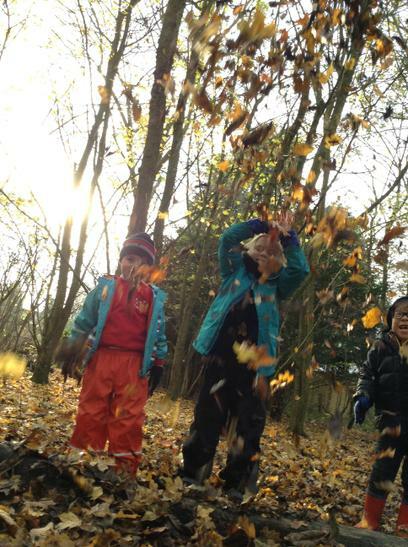 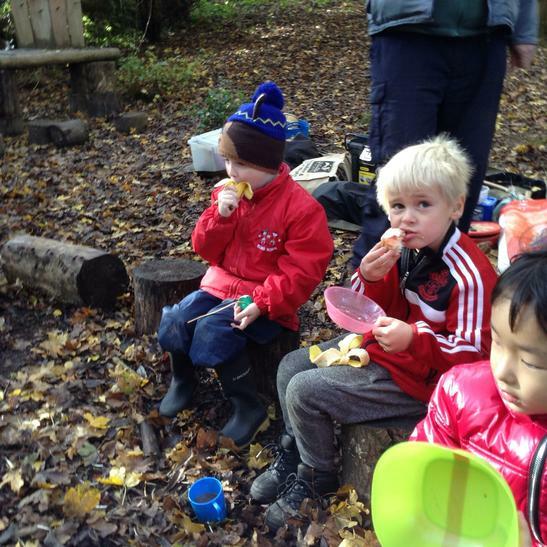 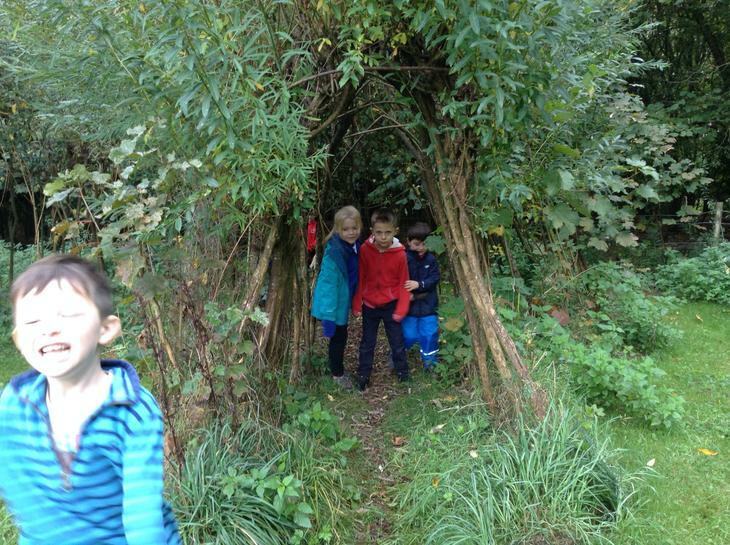 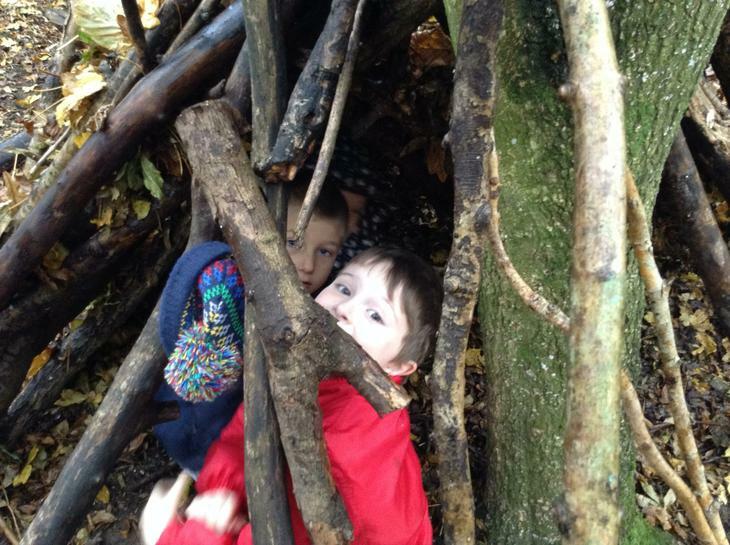 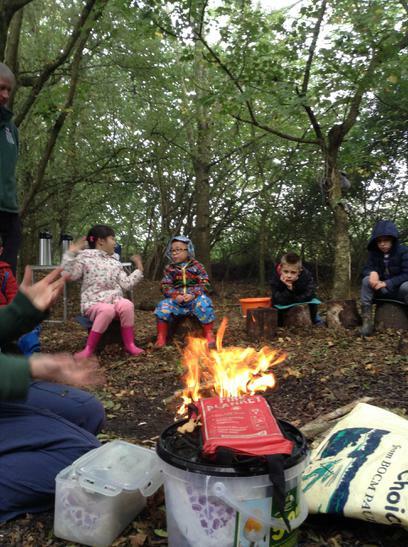 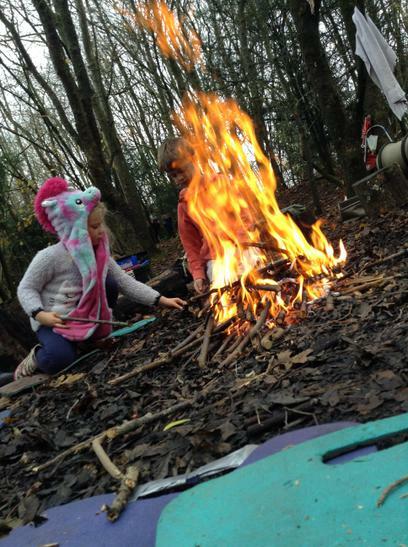 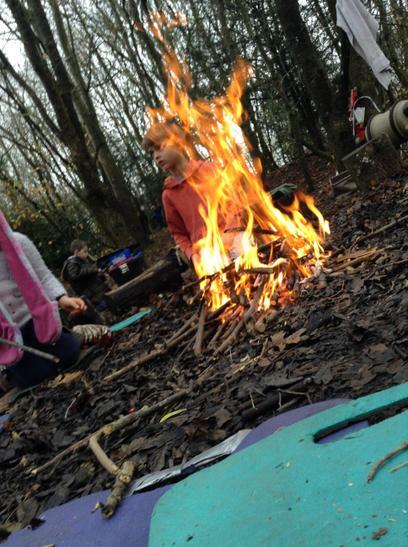 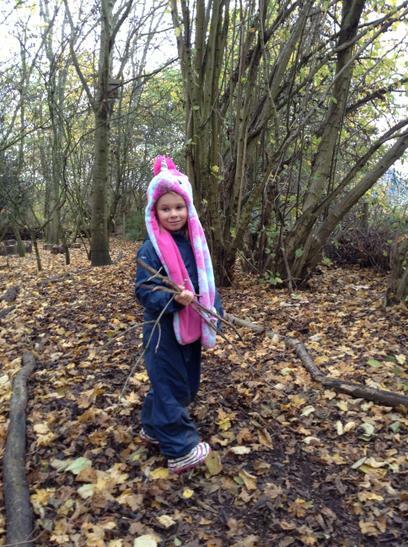 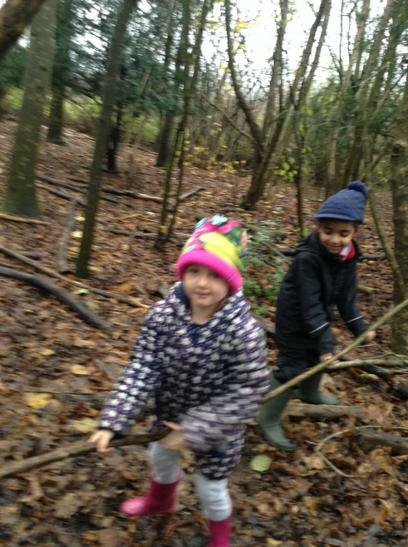 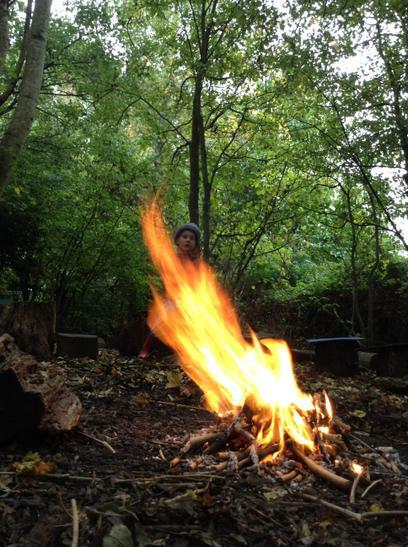 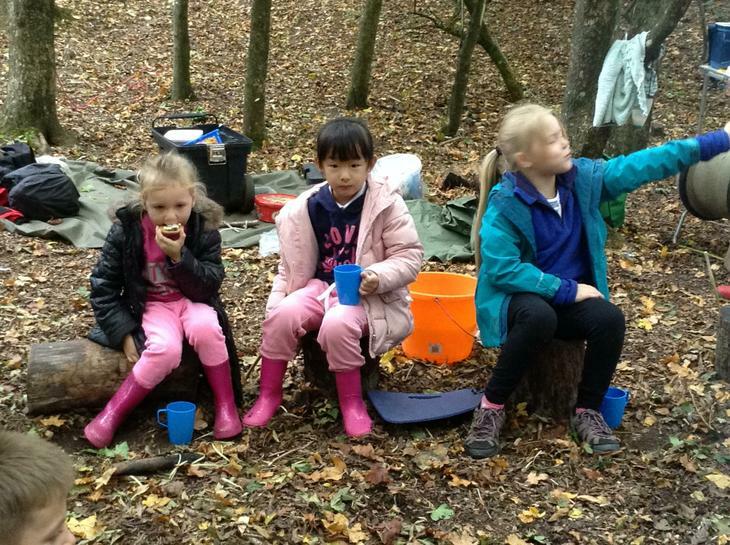 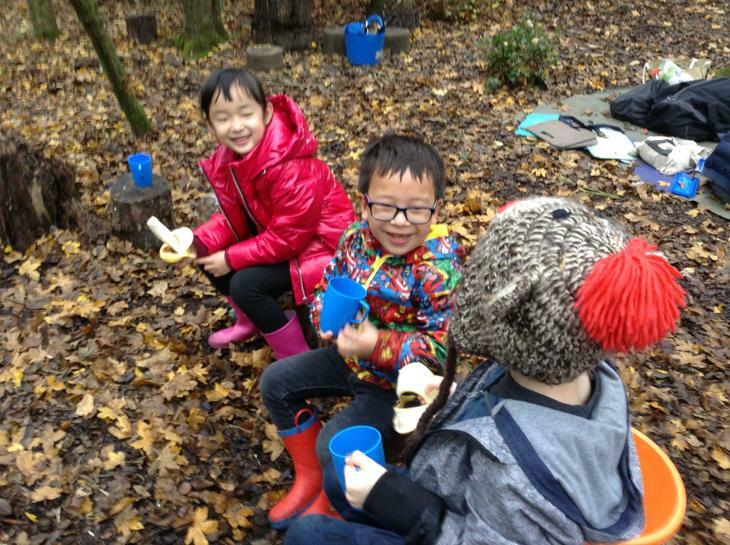 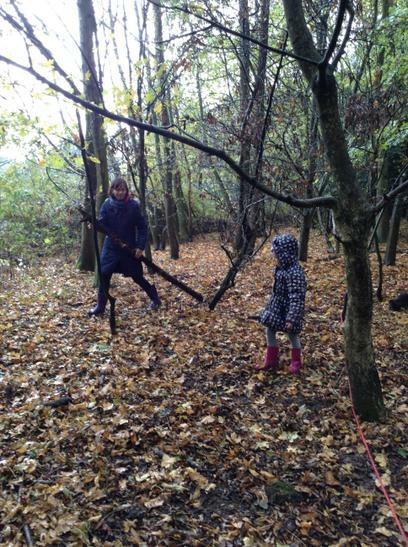 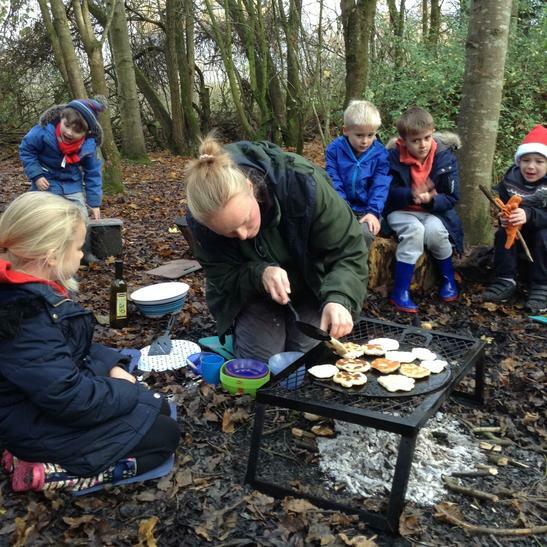 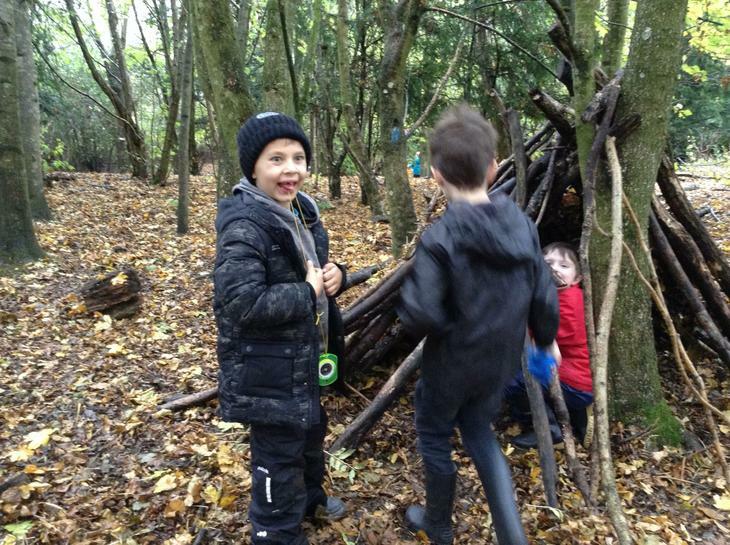 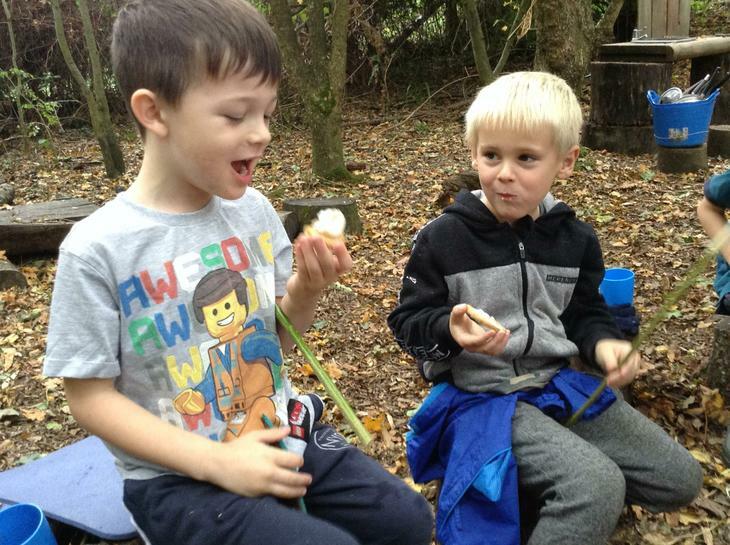 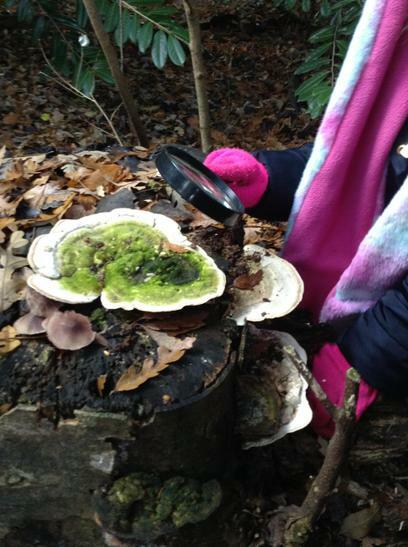 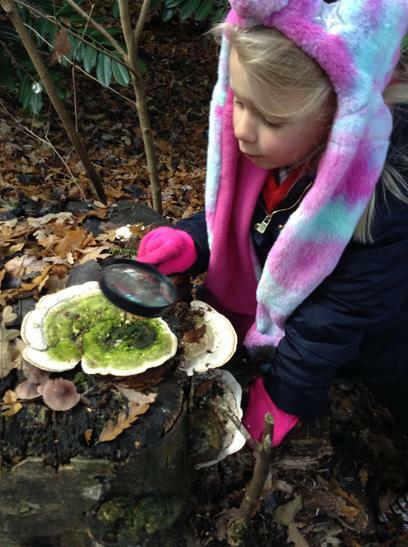 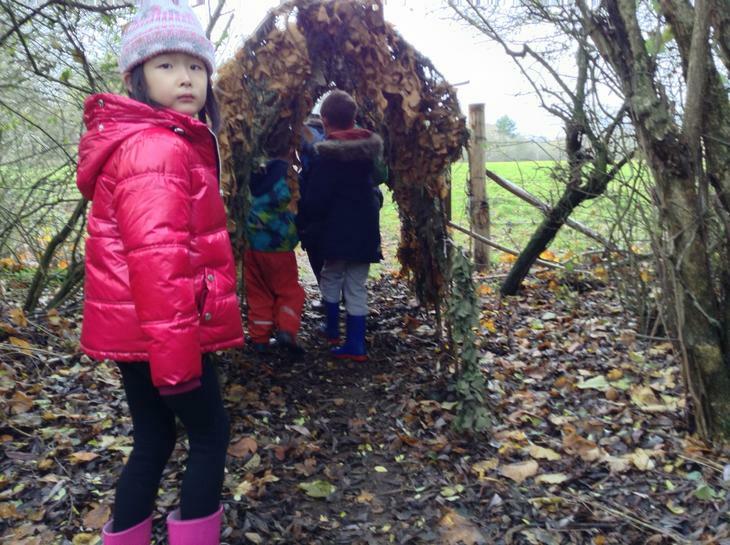 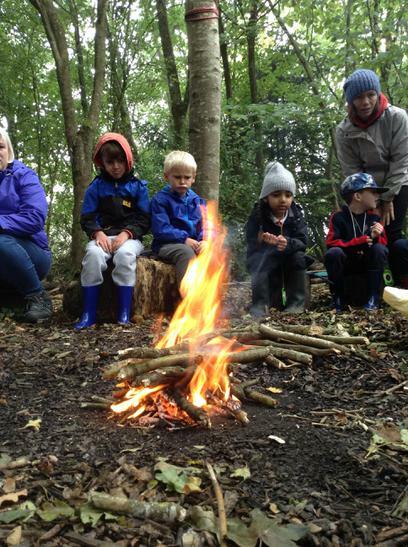 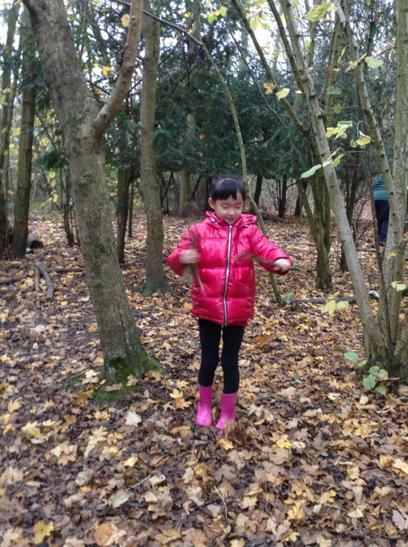 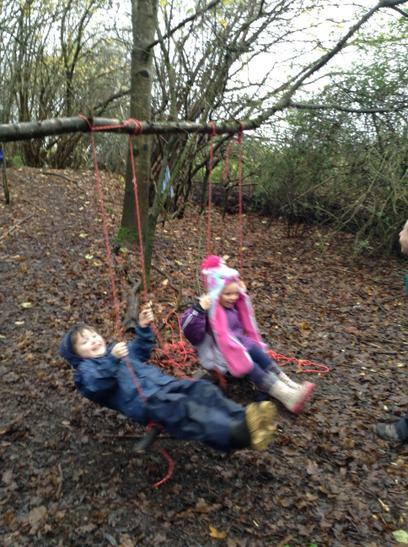 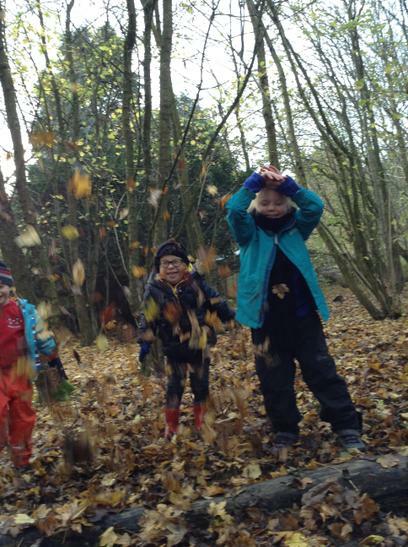 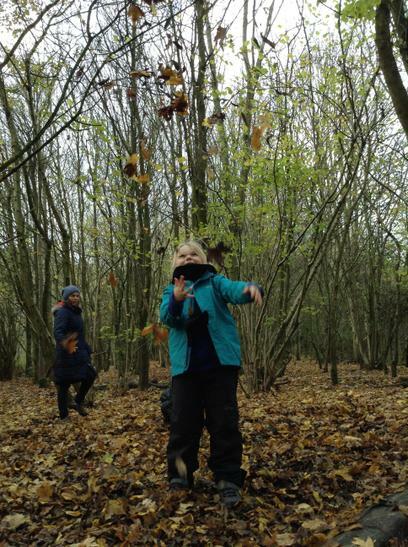 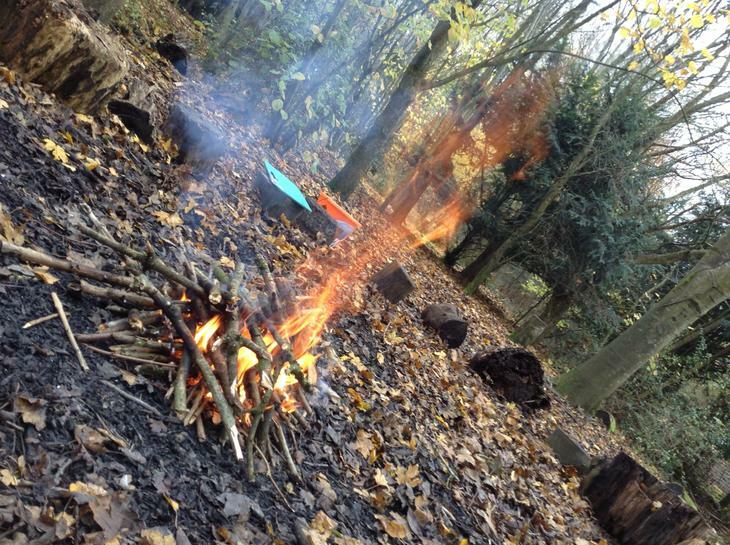 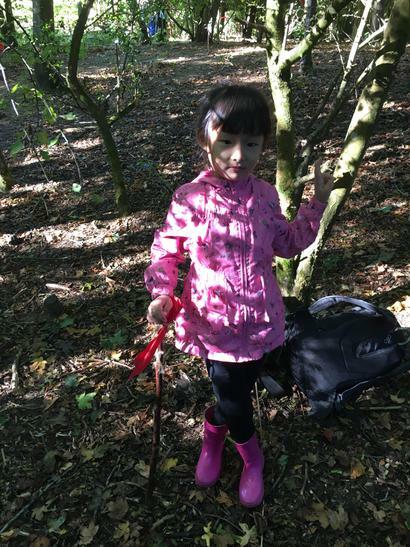 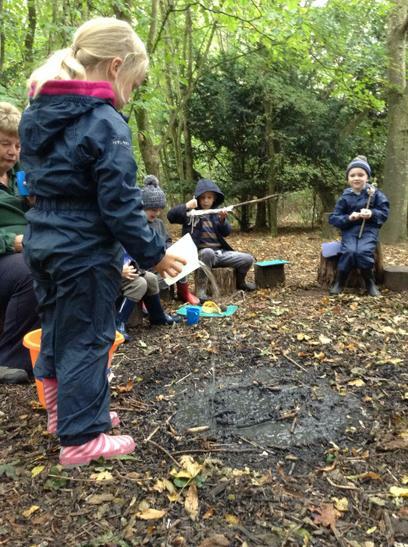 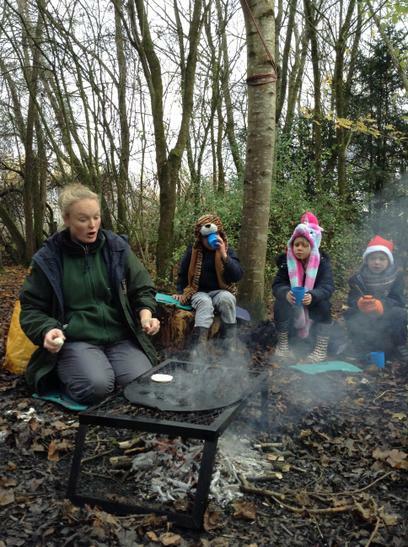 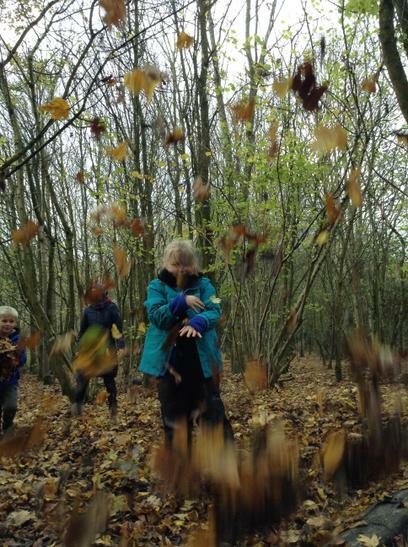 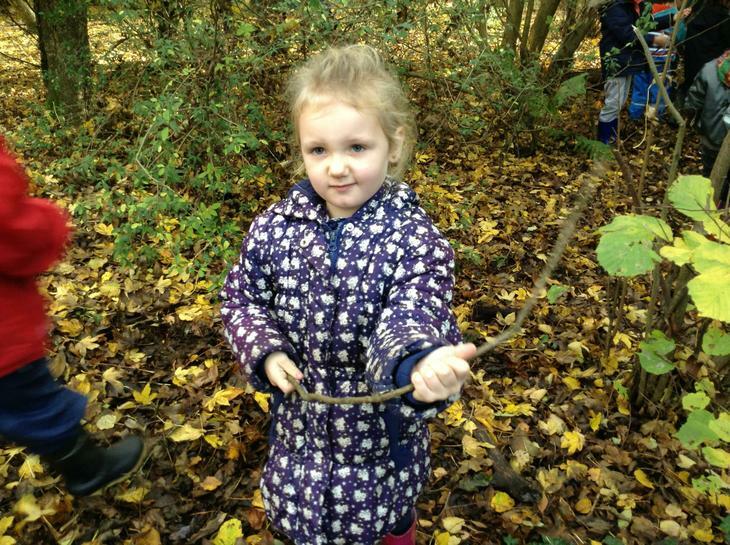 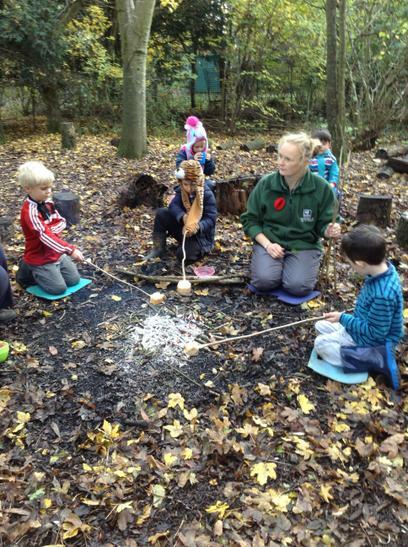 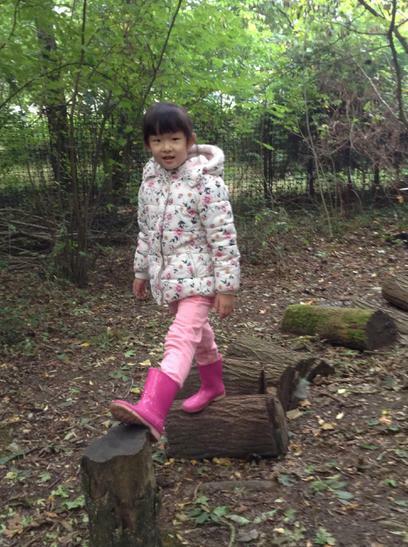 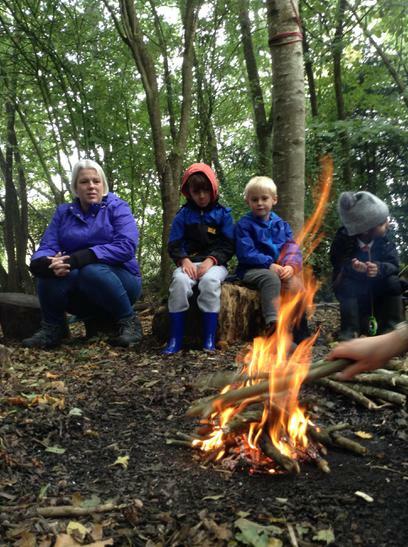 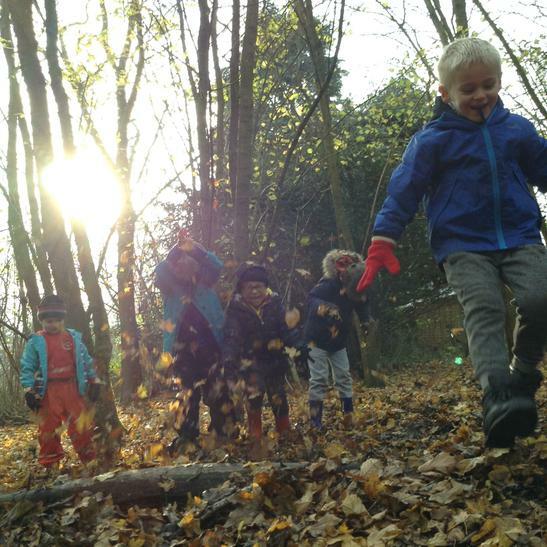 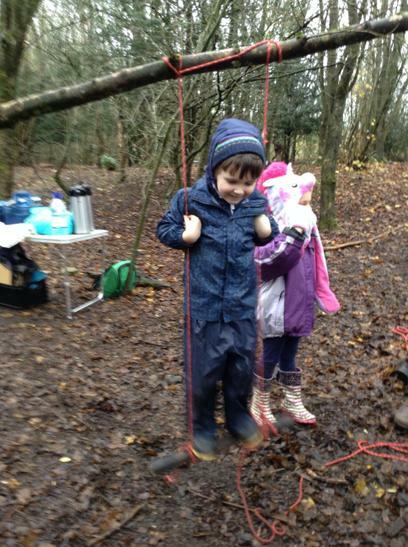 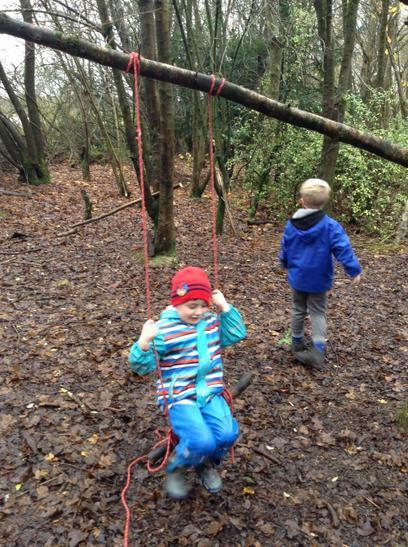 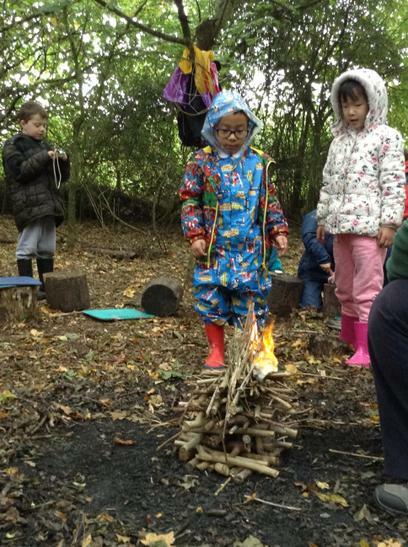 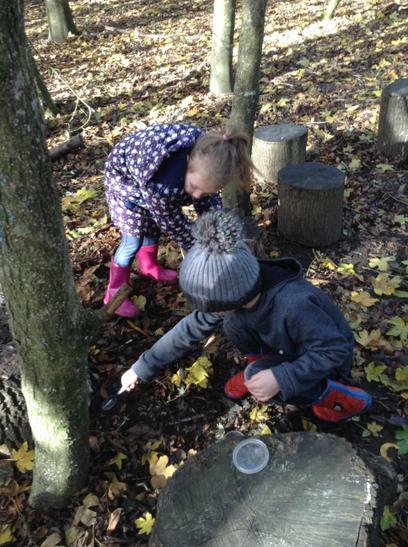 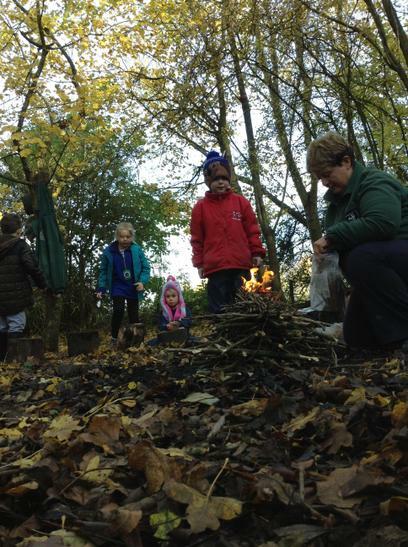 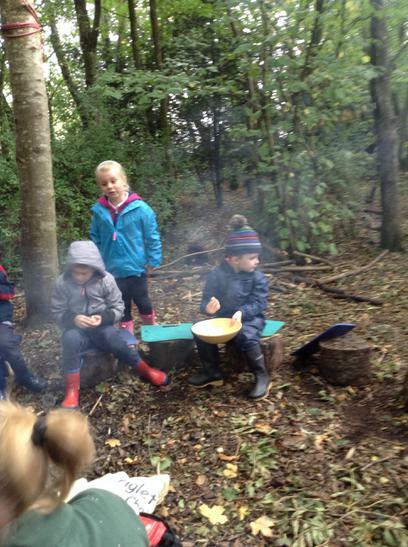 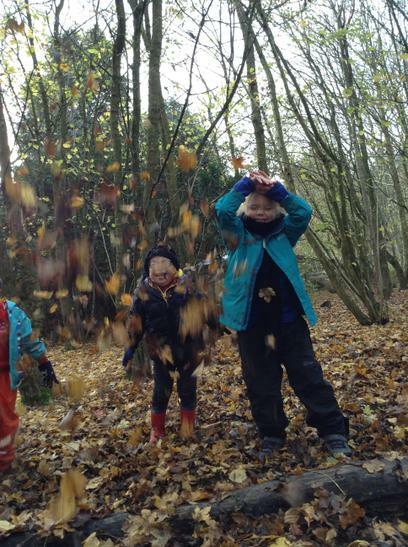 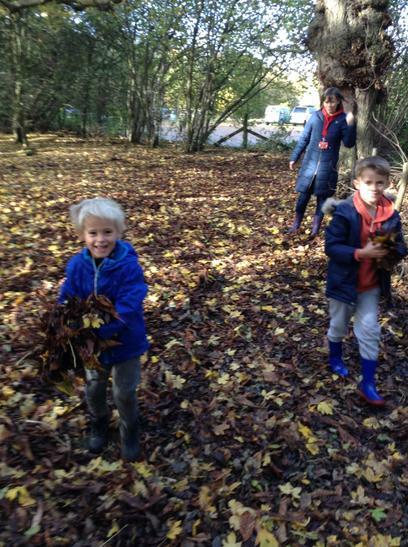 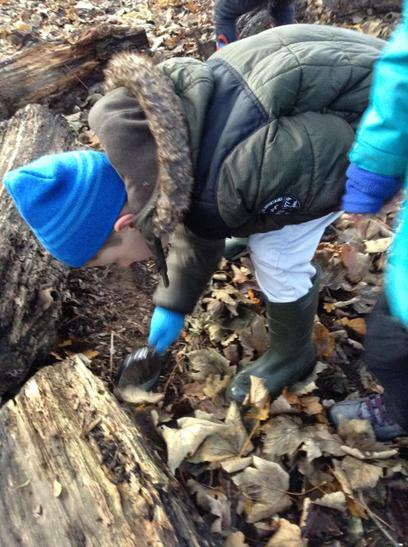 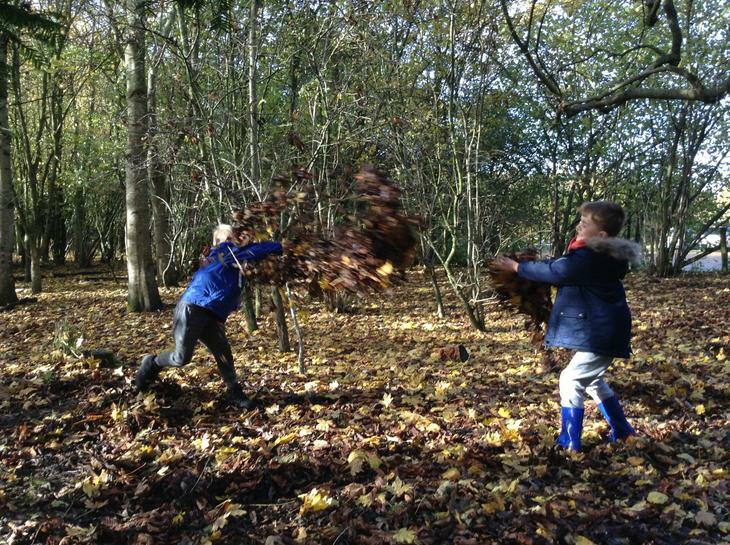 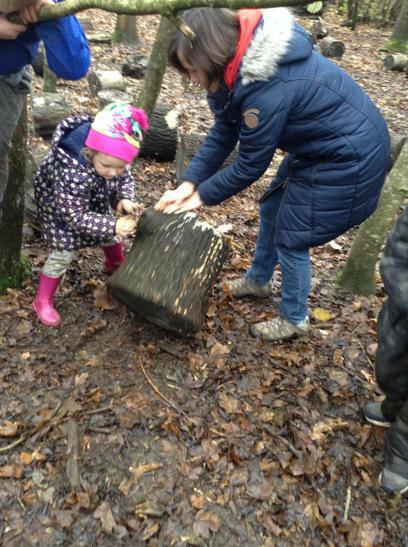 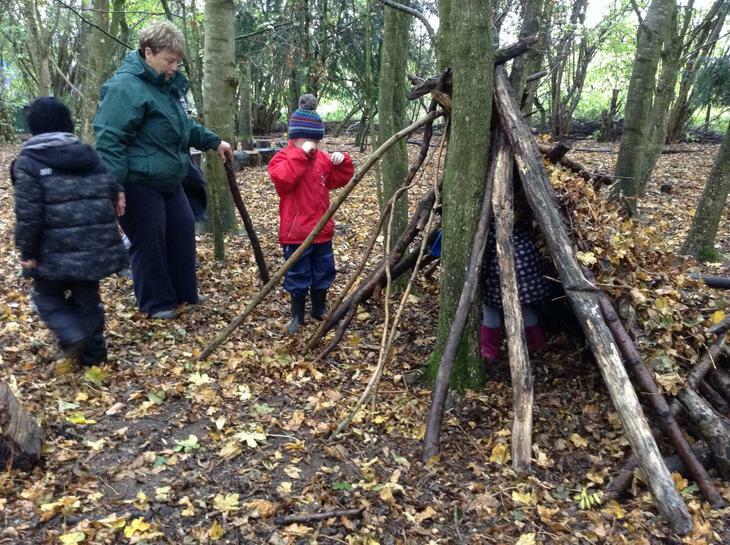 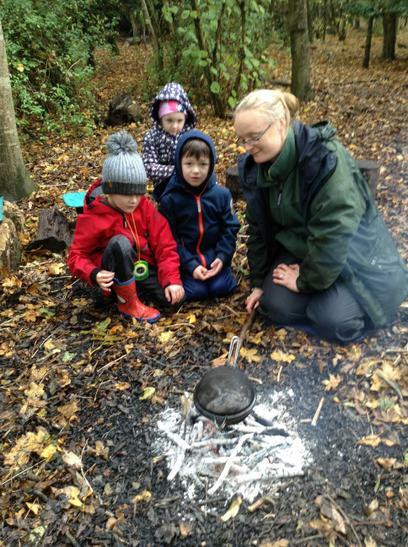 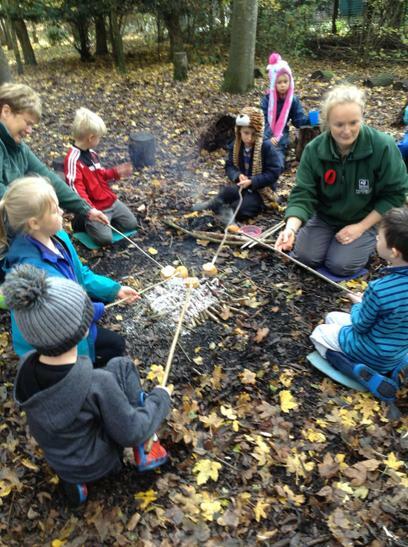 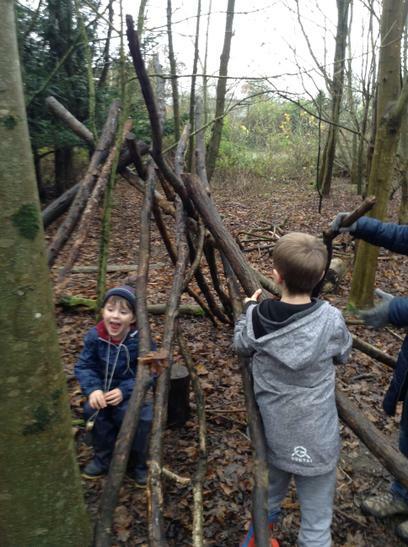 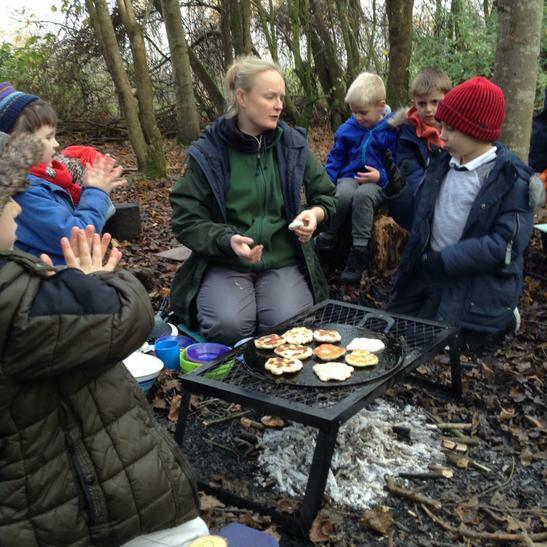 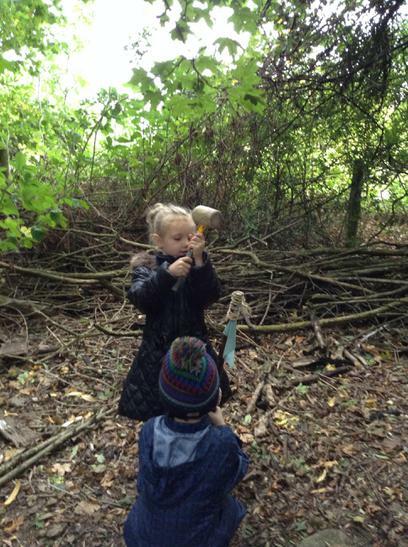 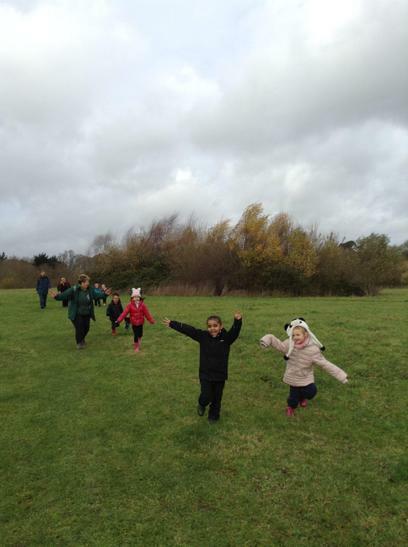 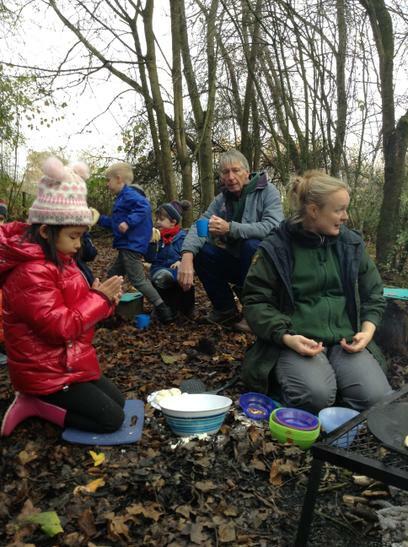 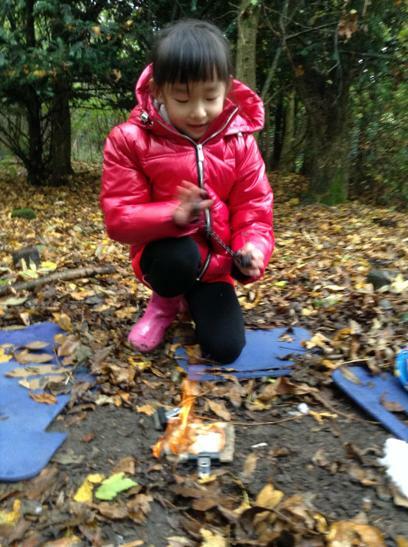 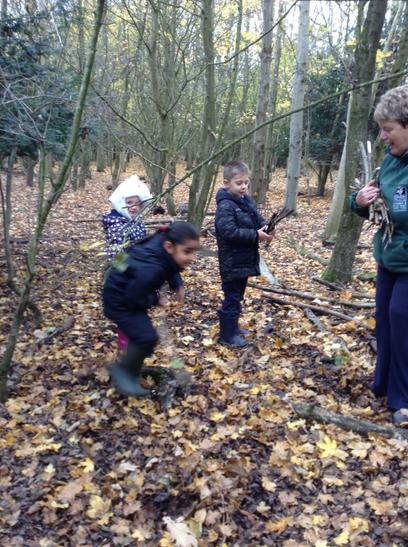 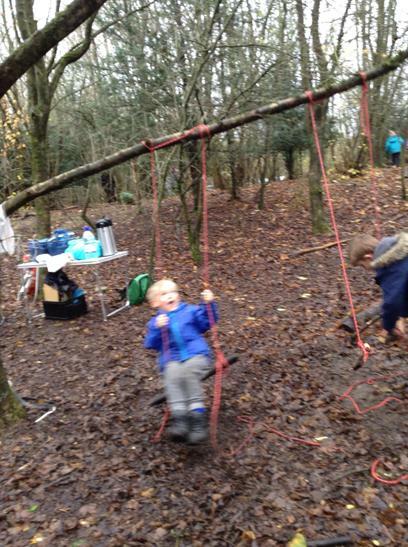 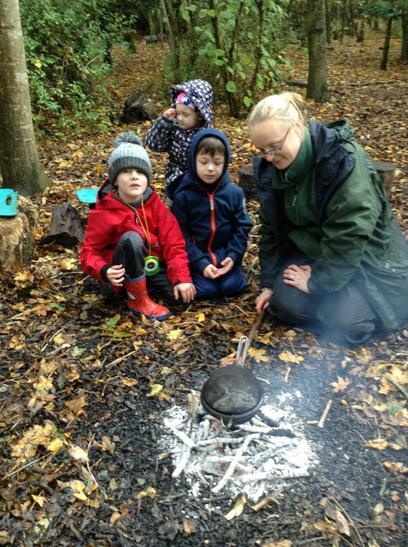 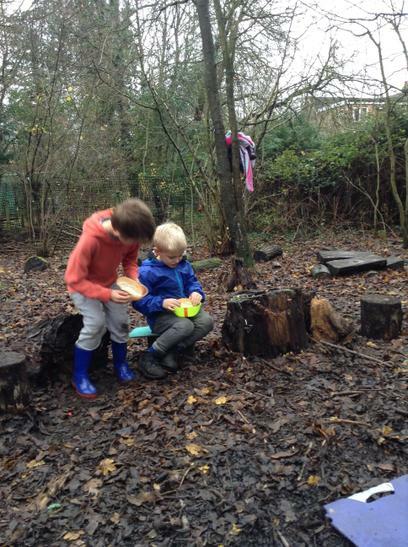 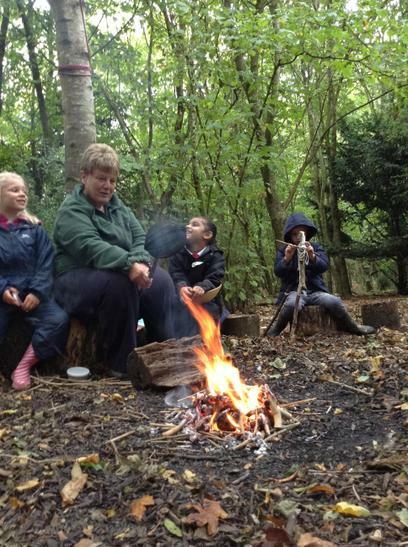 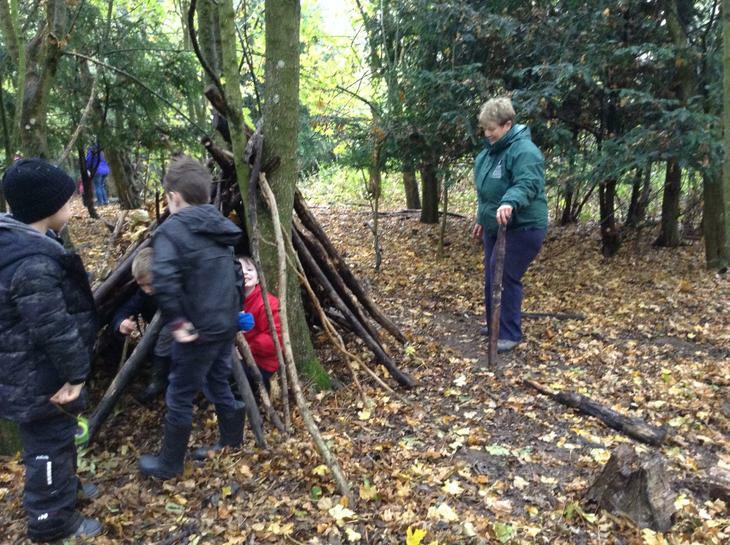 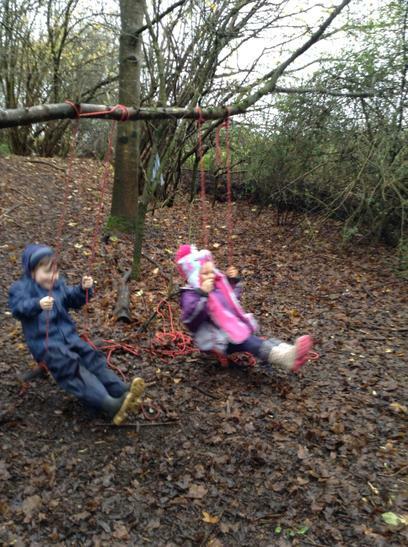 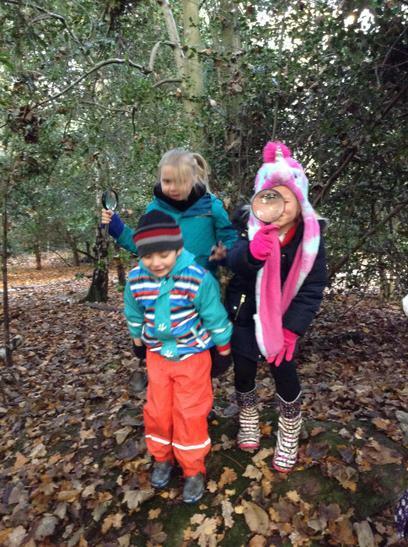 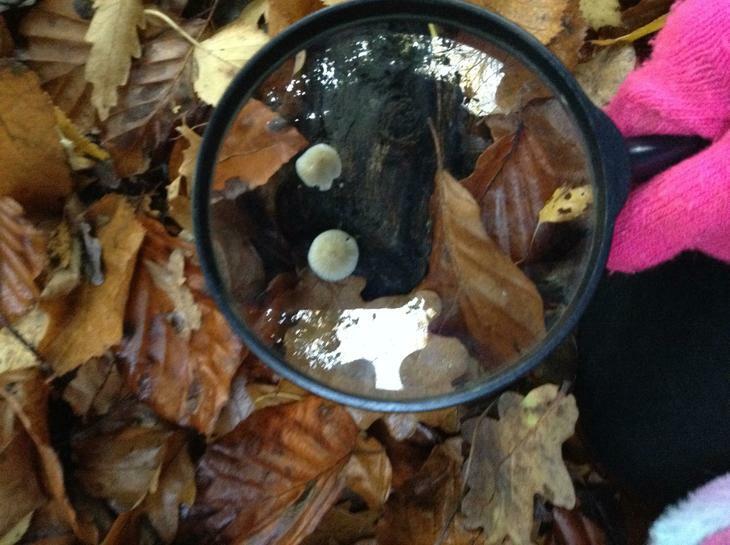 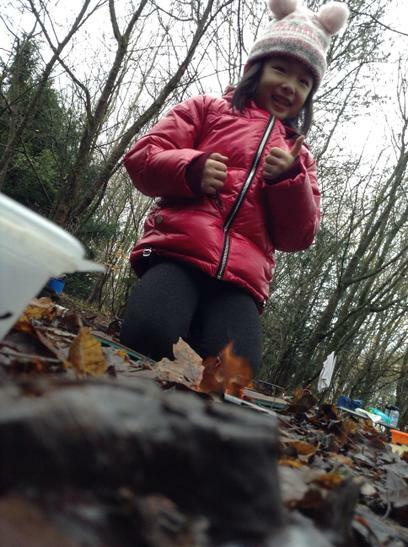 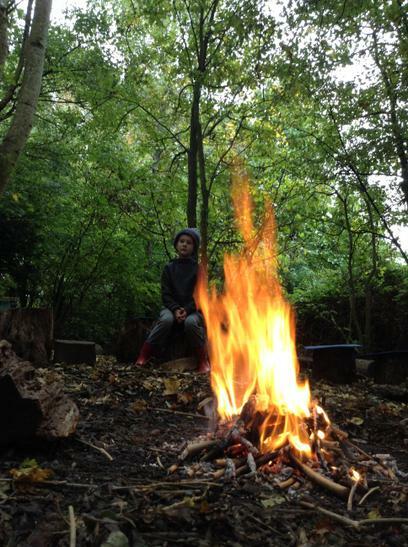 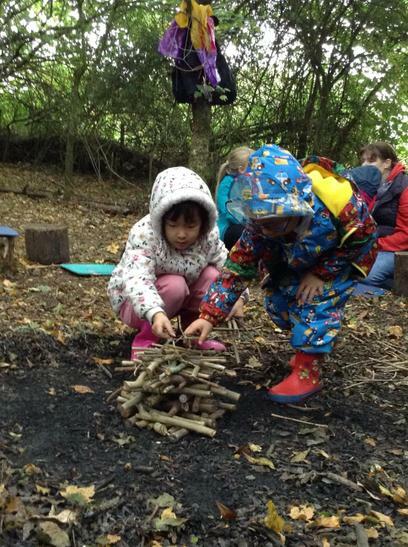 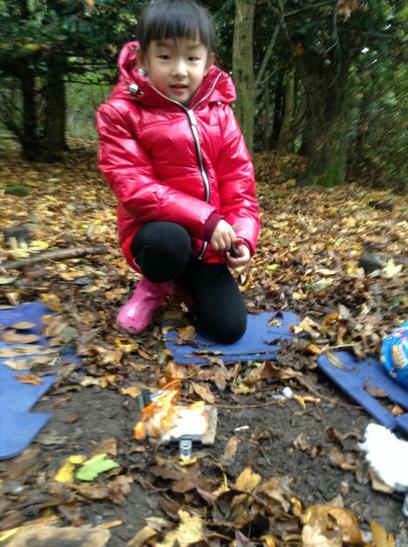 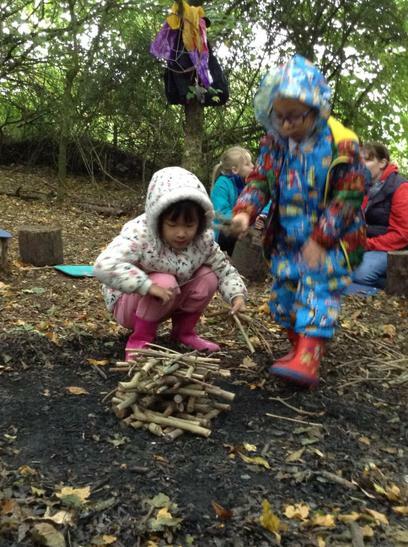 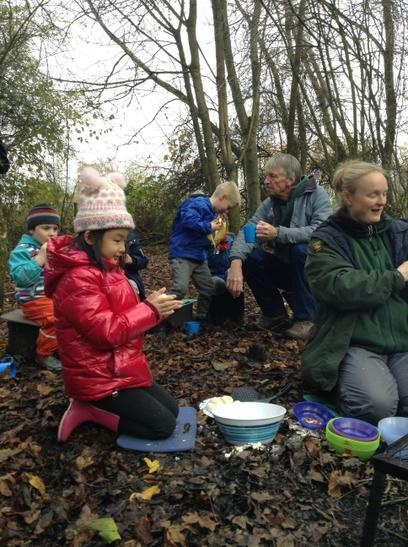 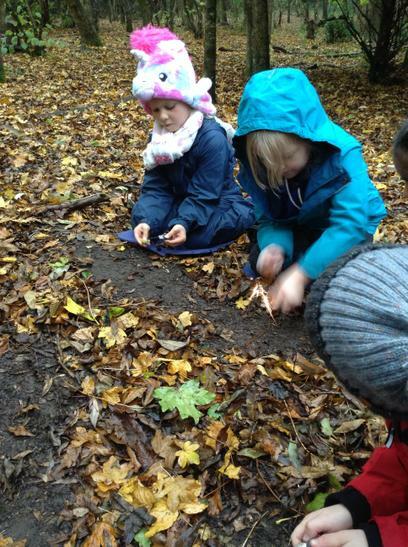 What has your child enjoyed about Forest School? 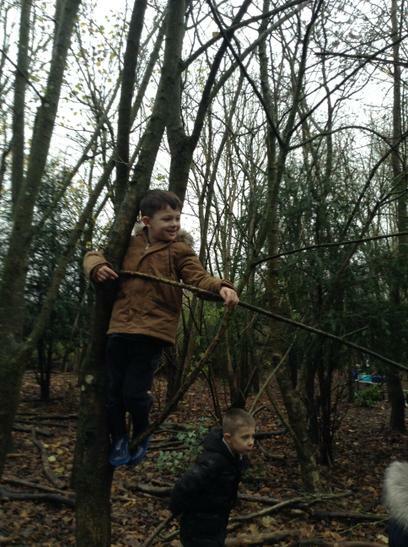 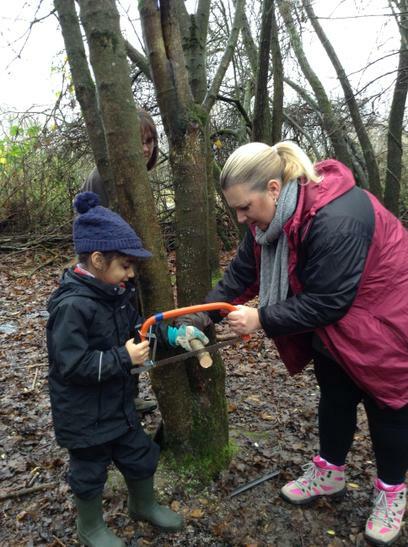 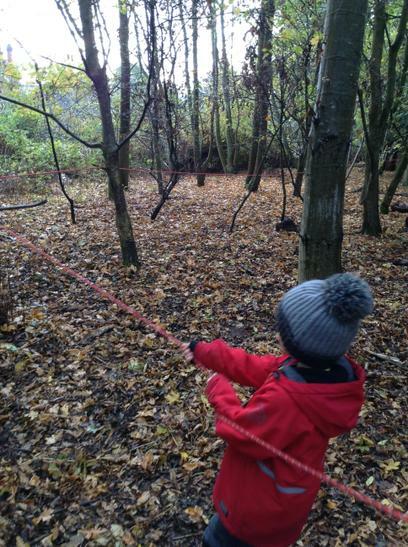 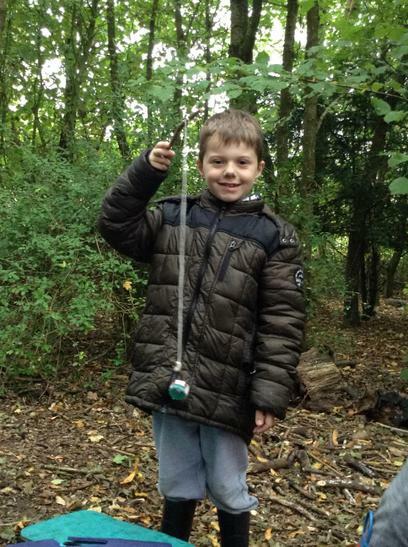 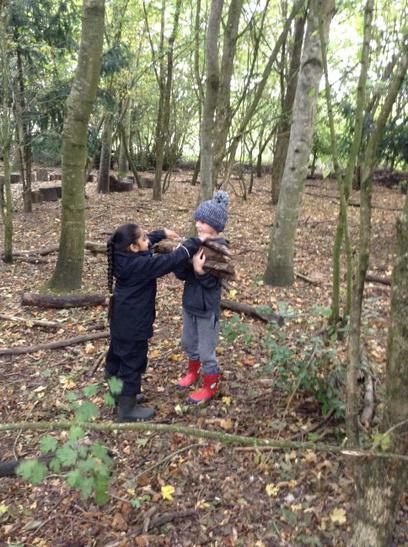 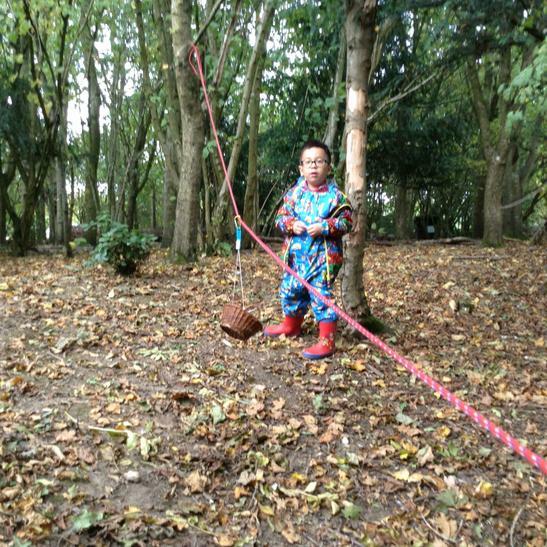 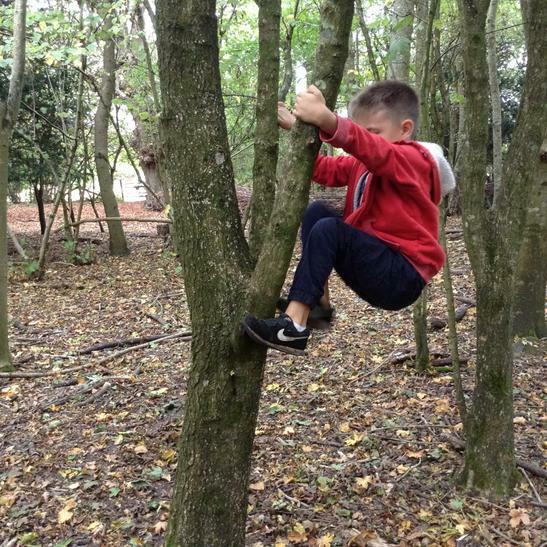 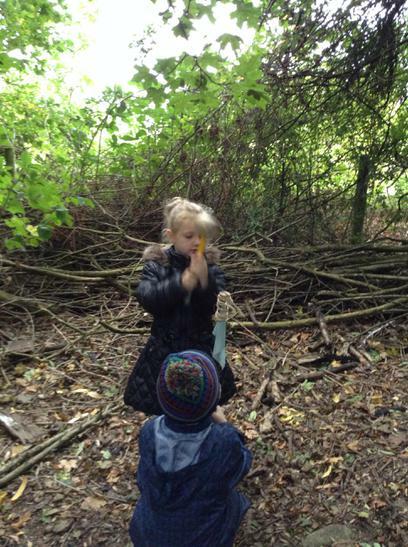 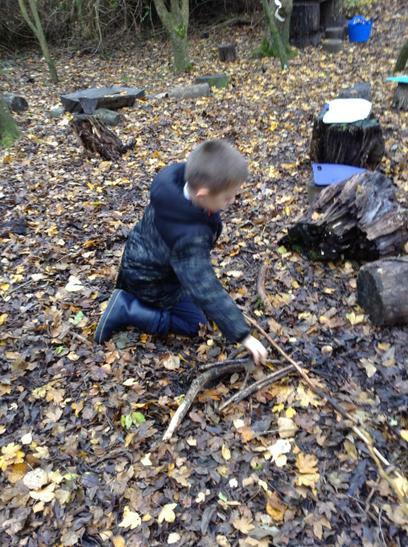 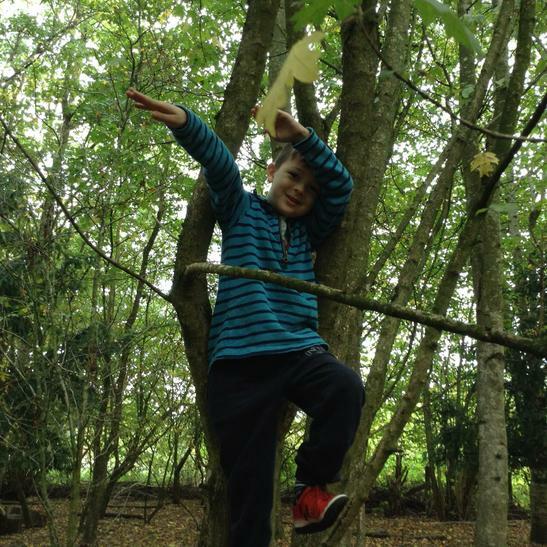 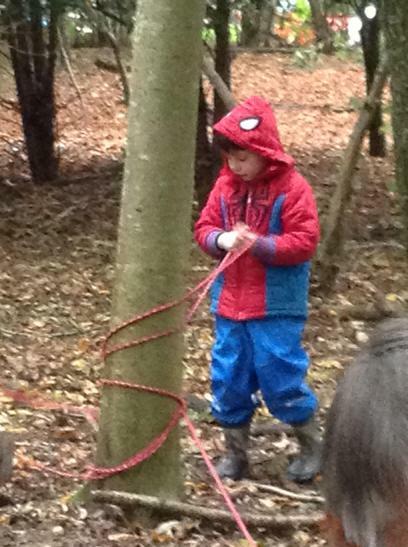 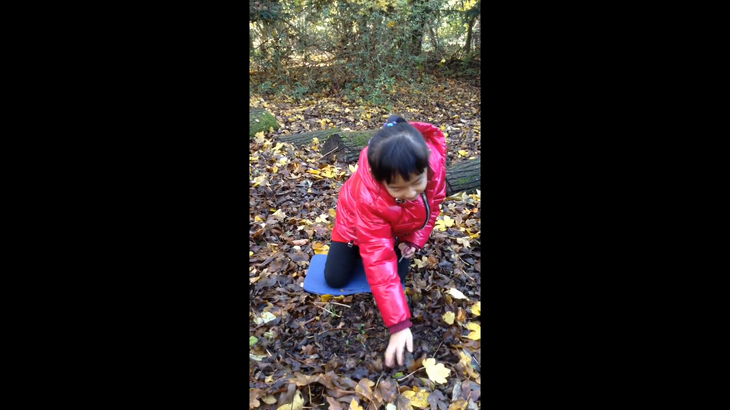 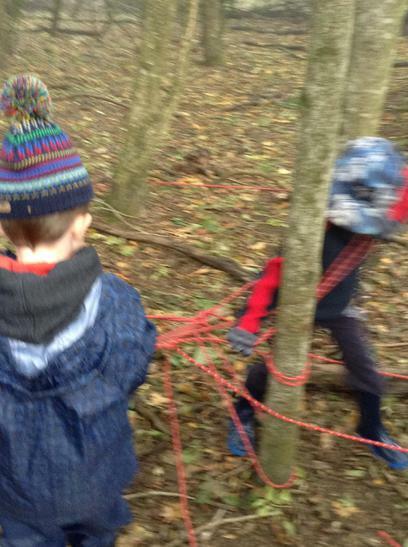 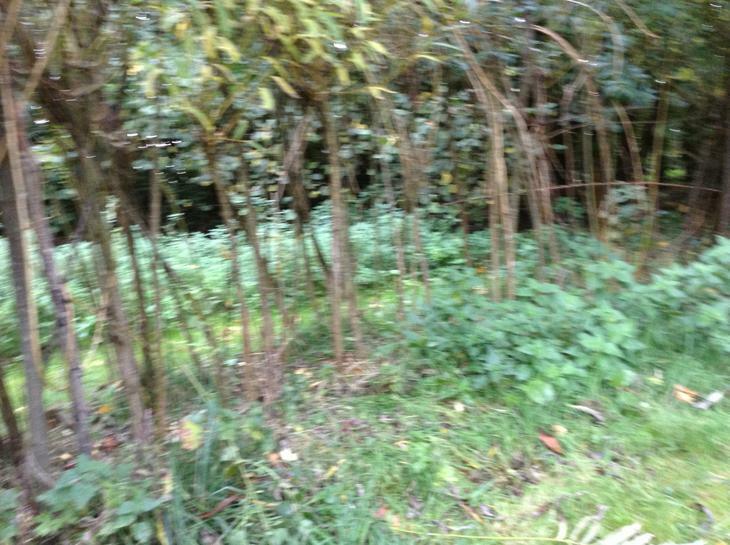 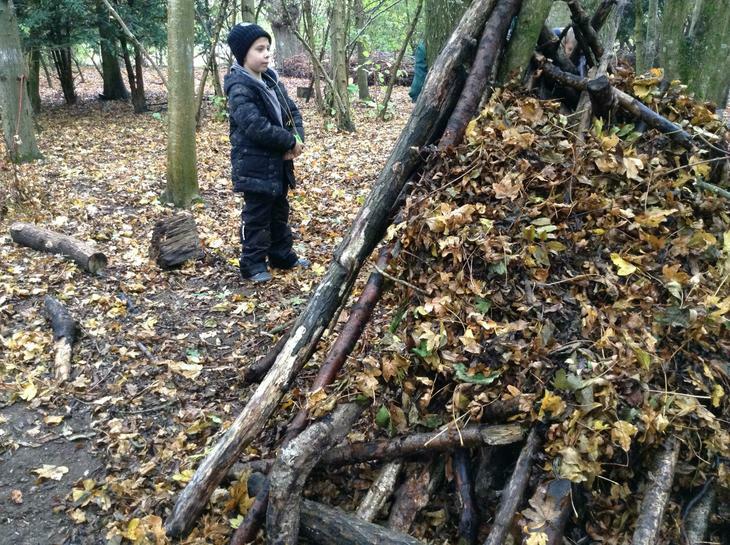 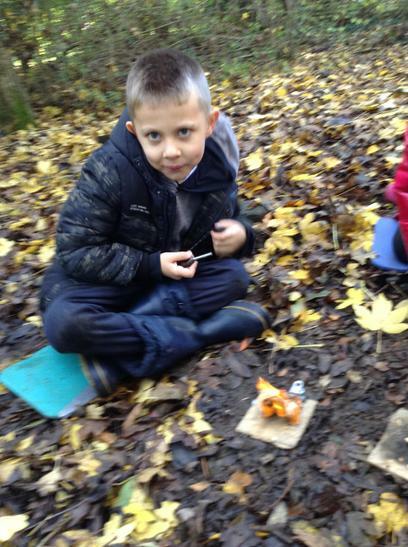 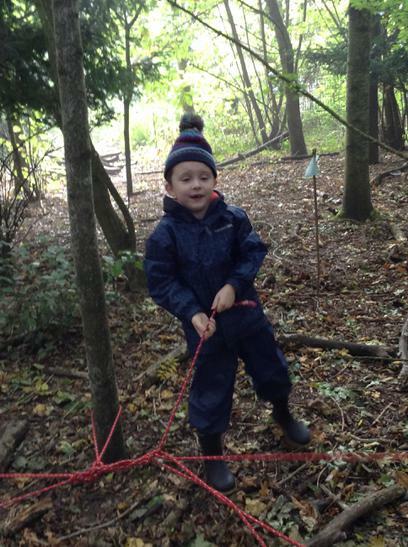 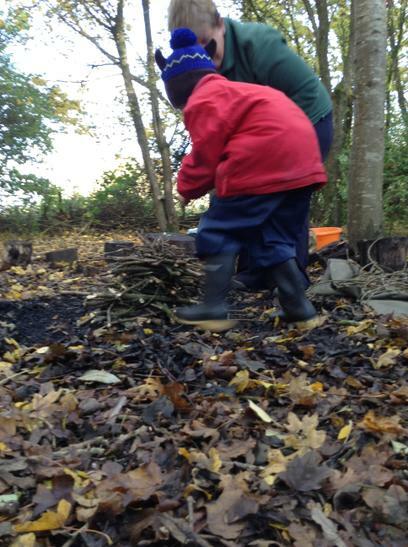 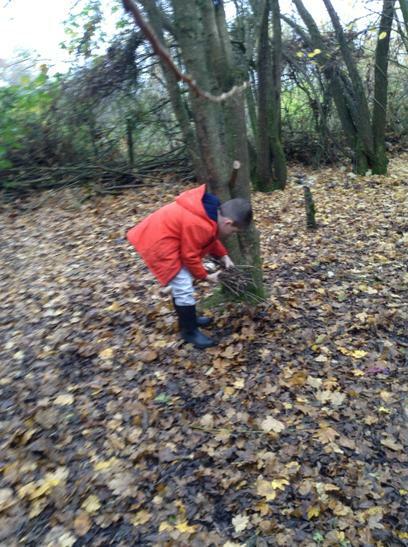 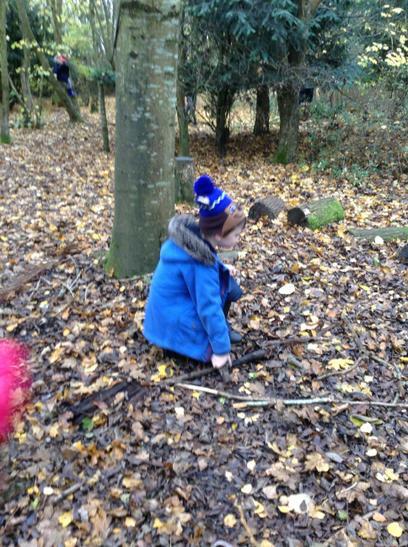 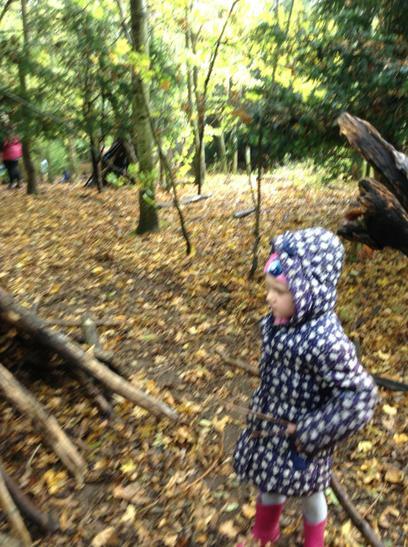 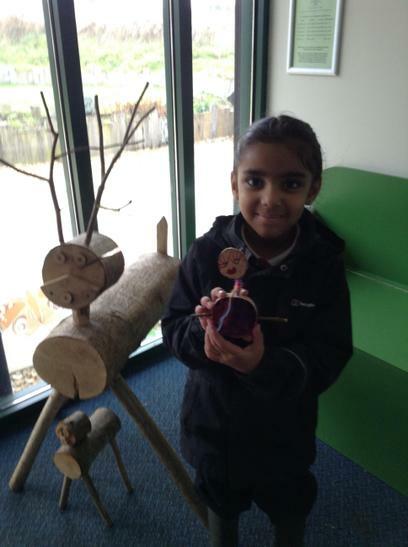 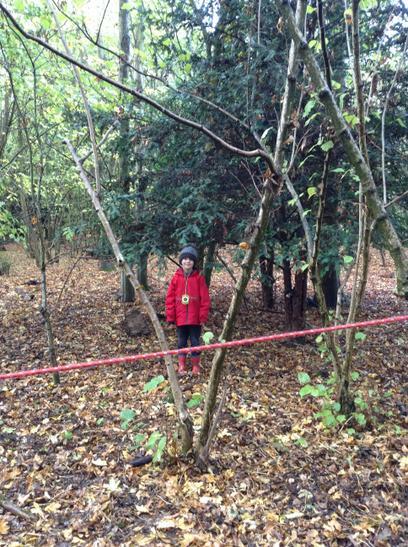 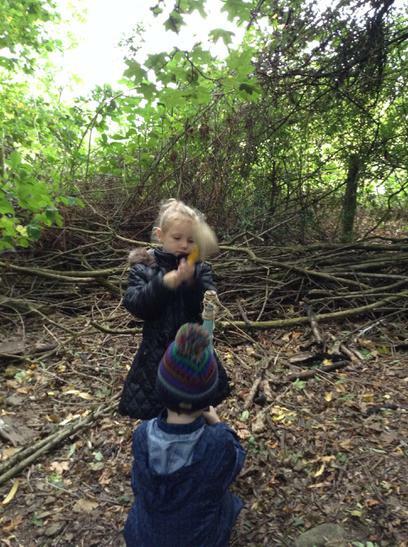 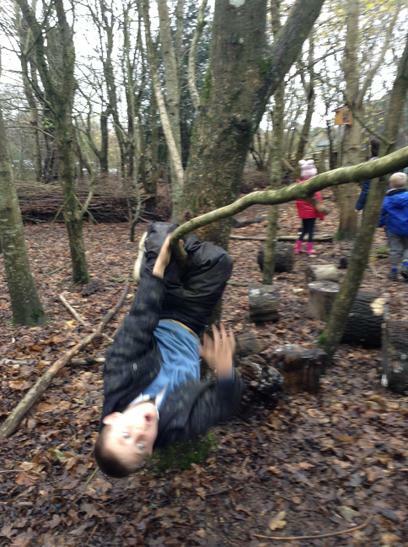 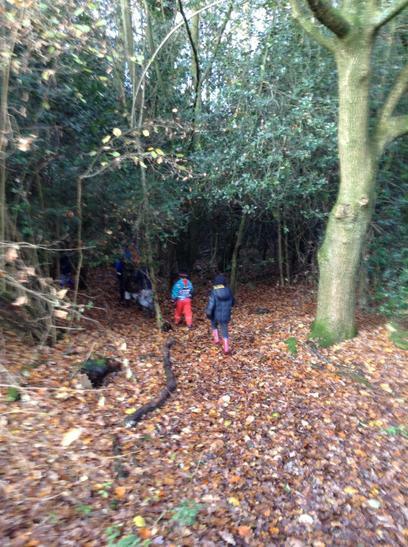 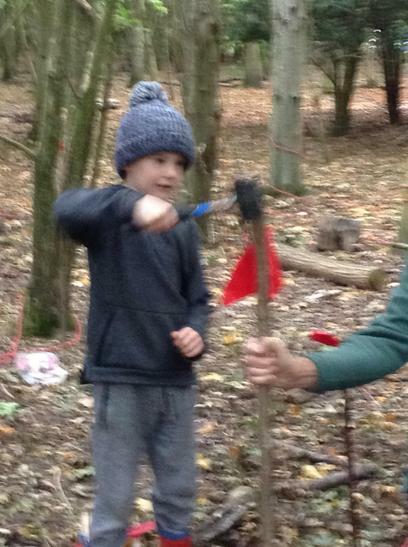 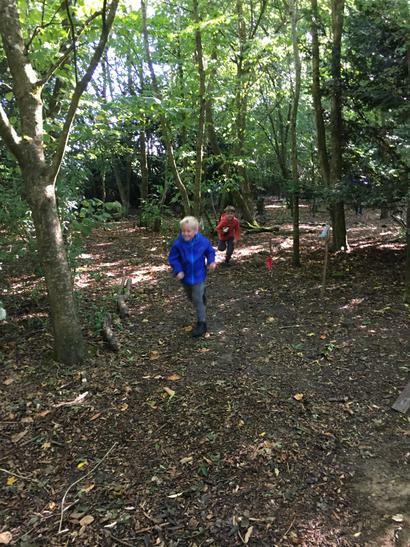 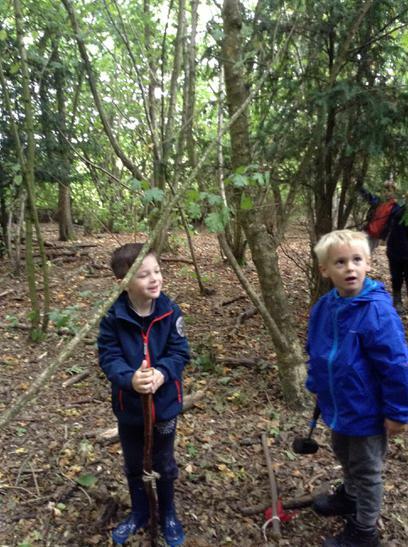 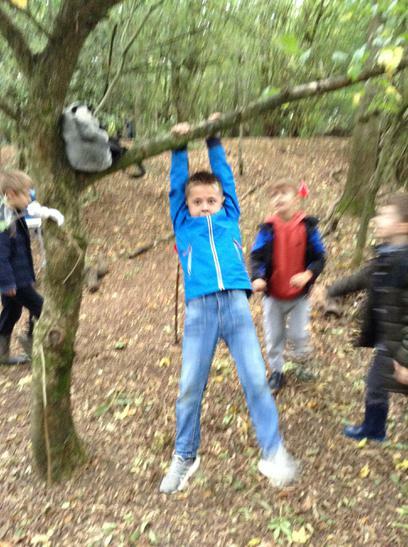 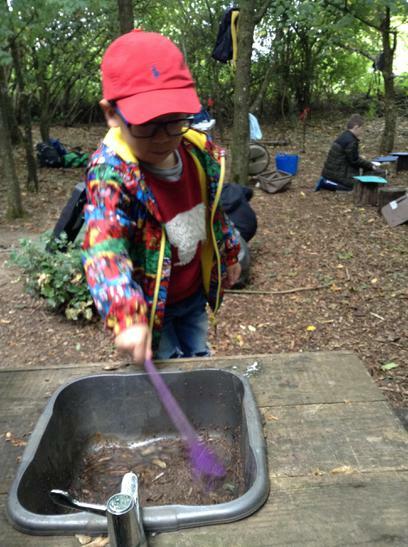 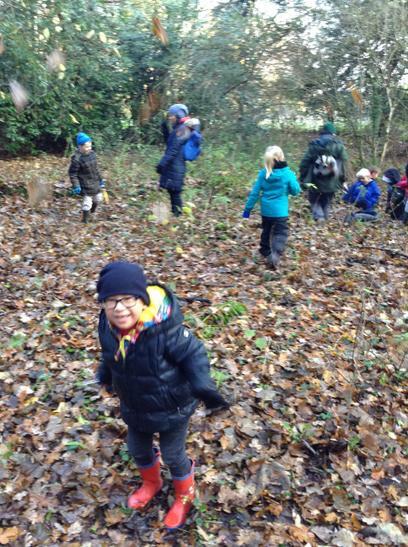 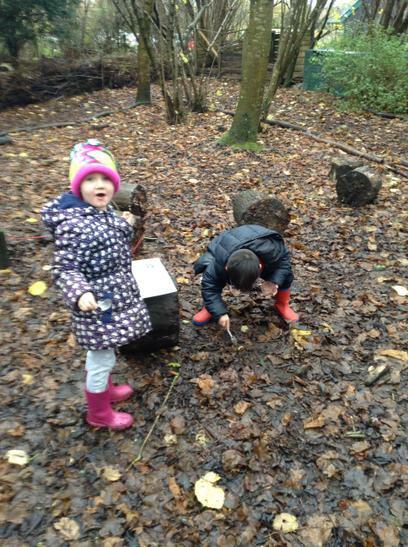 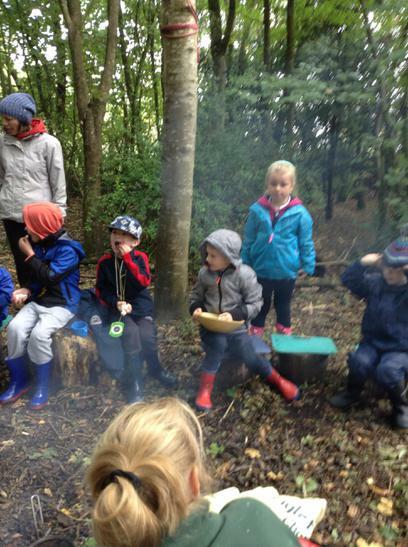 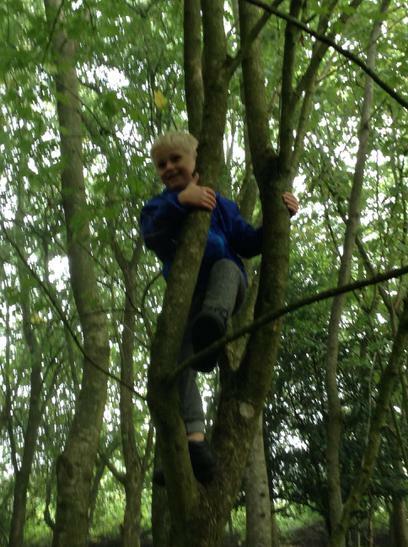 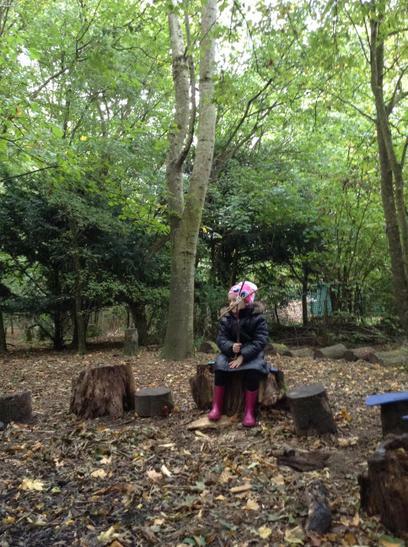 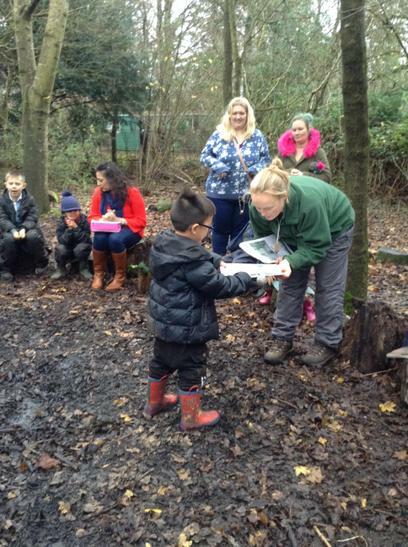 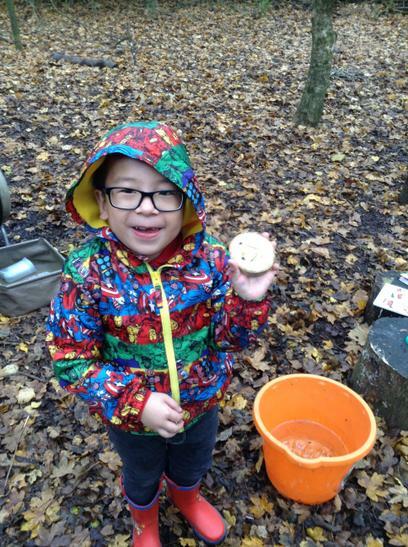 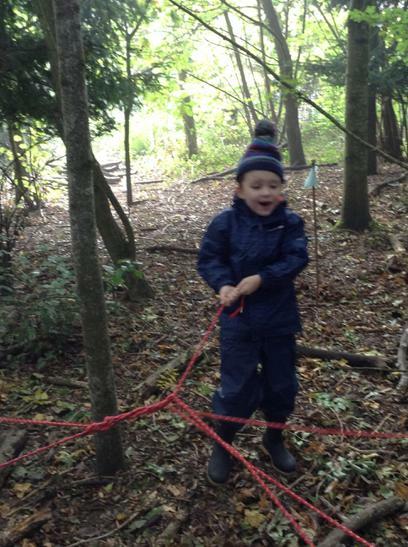 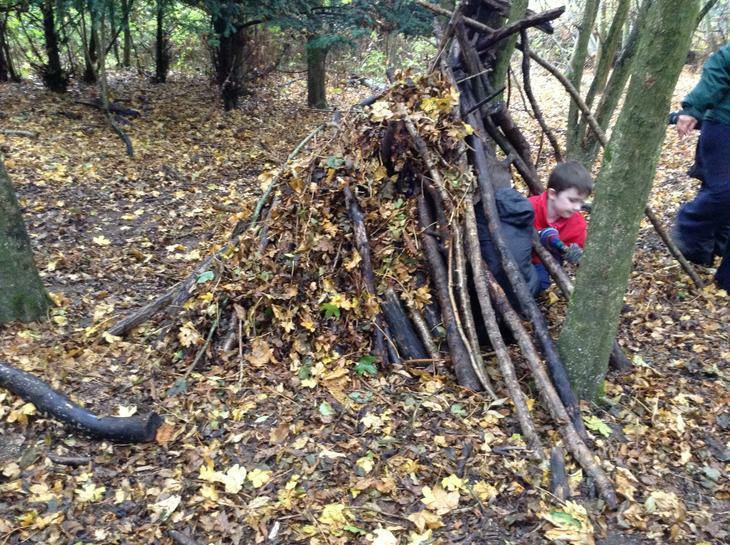 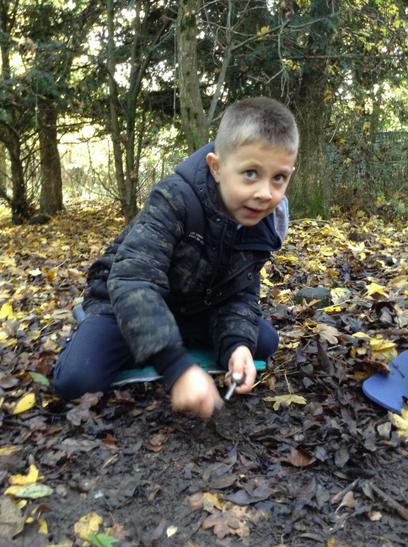 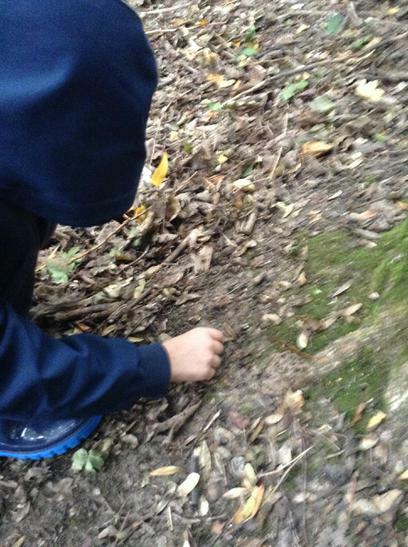 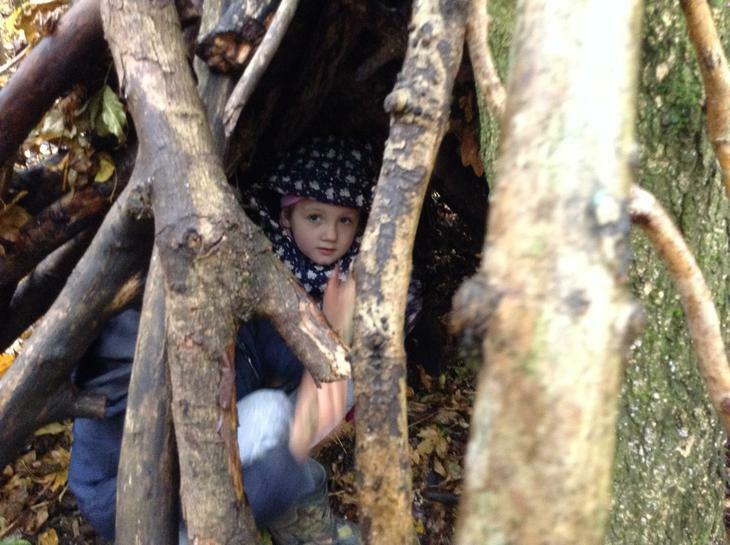 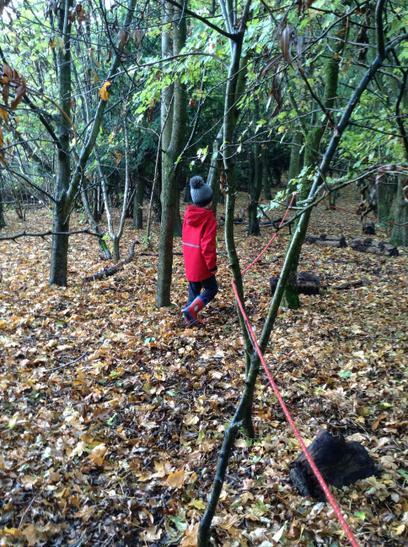 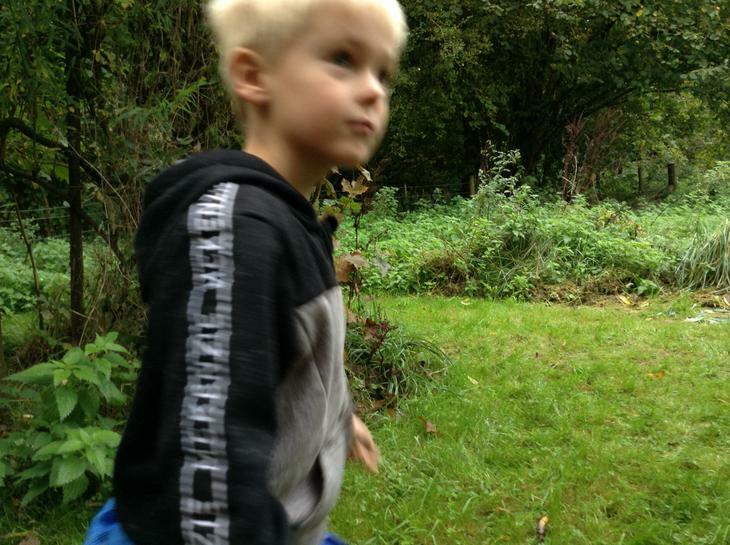 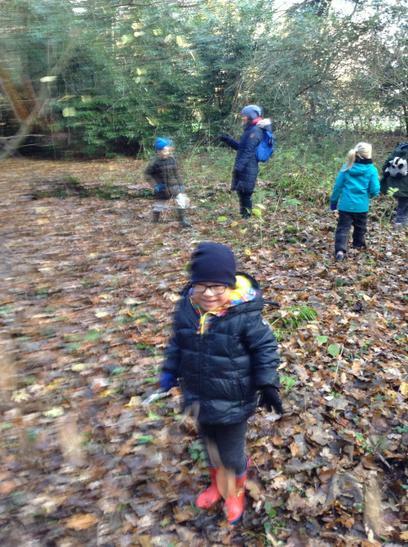 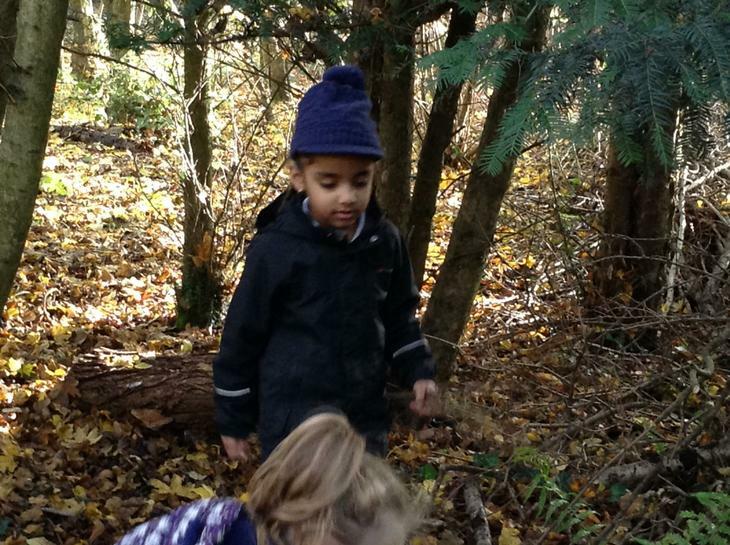 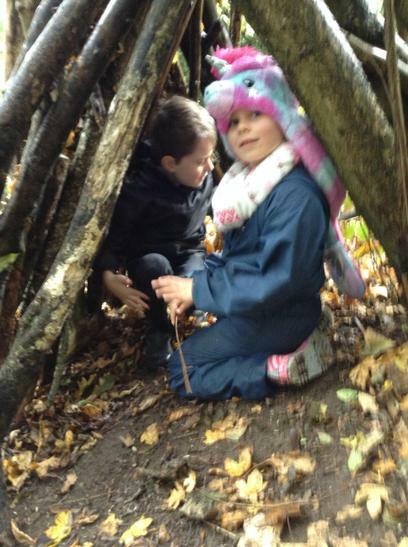 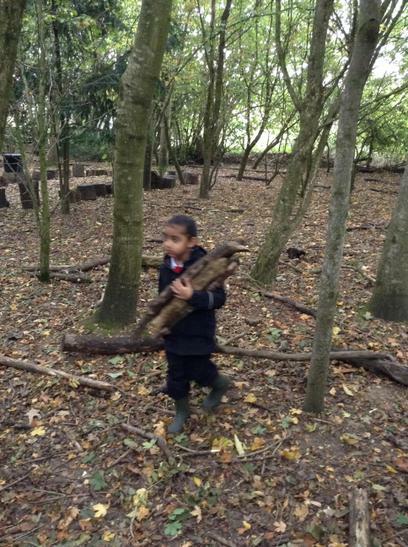 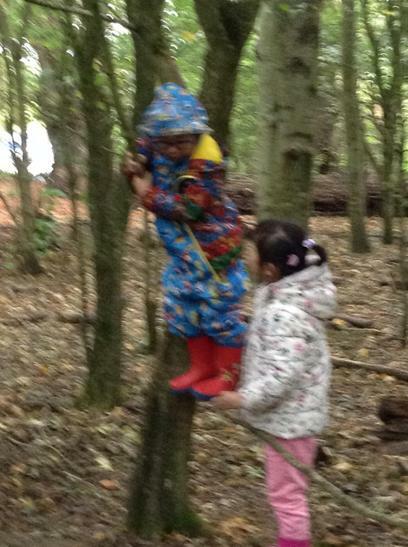 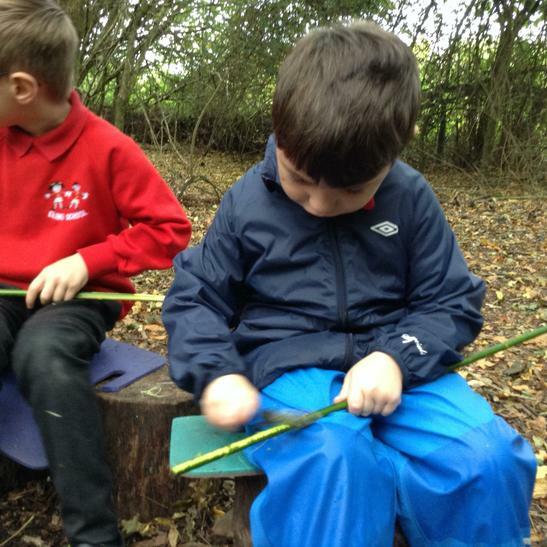 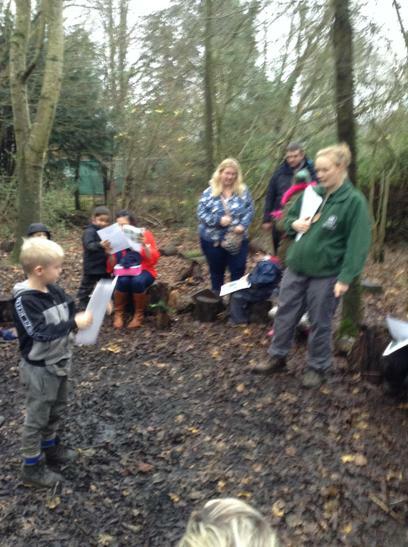 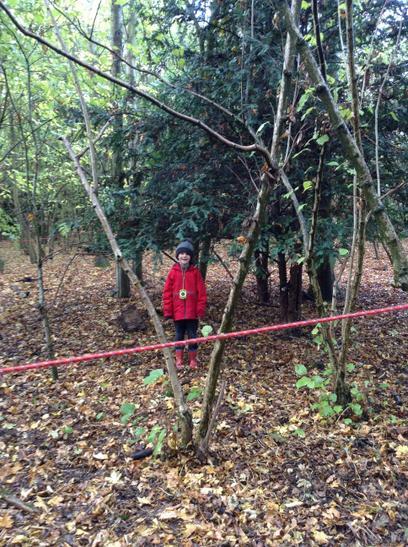 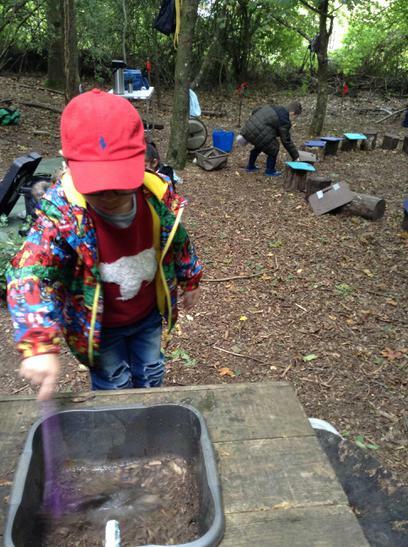 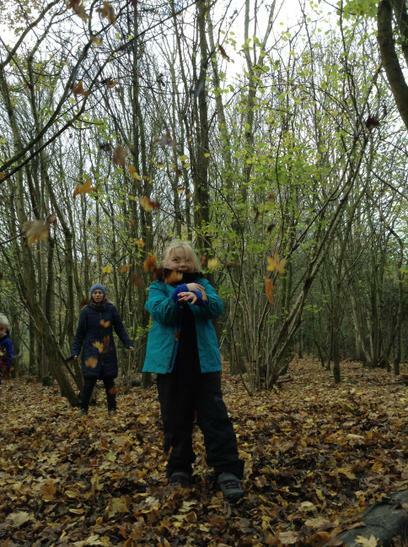 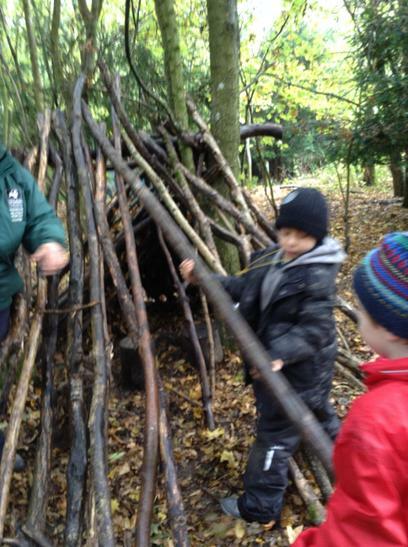 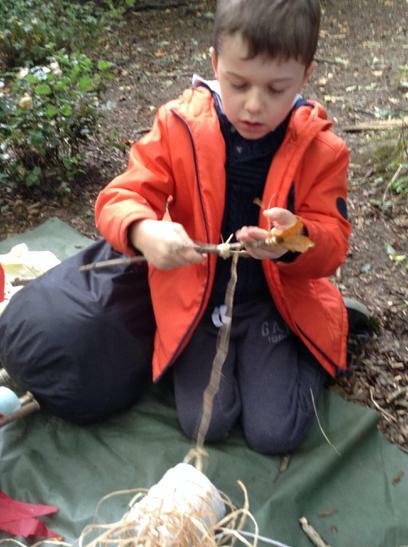 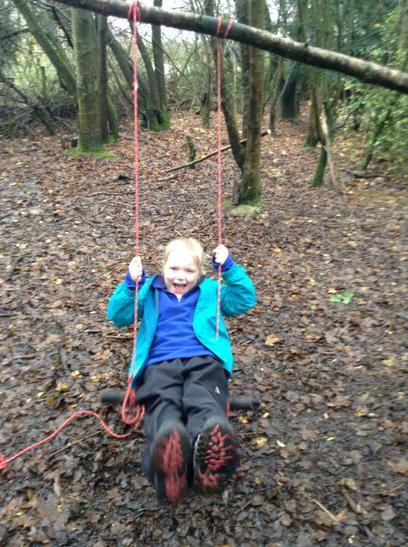 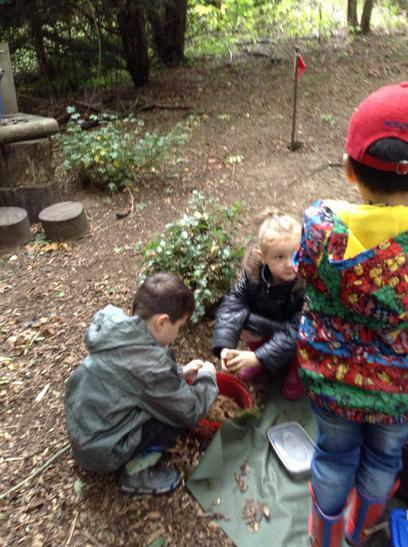 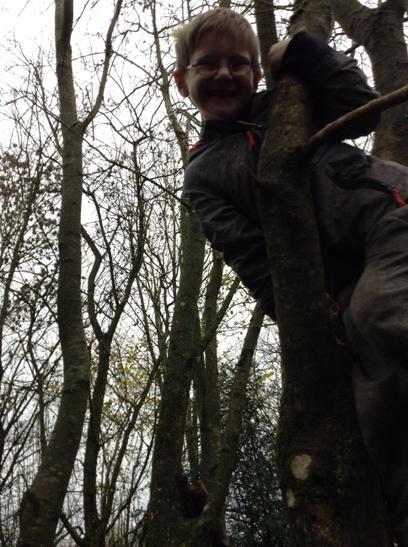 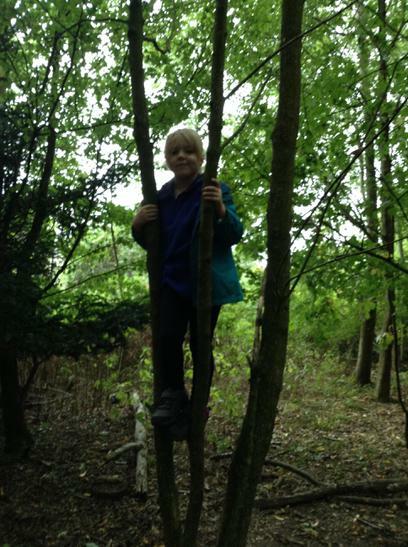 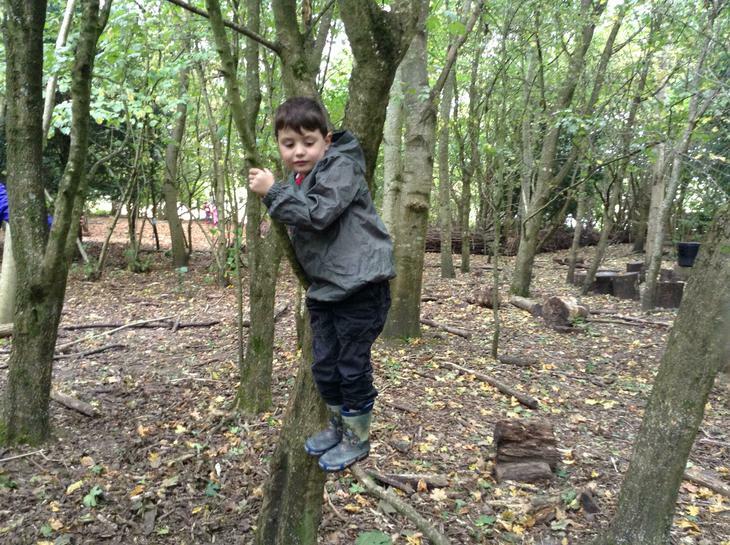 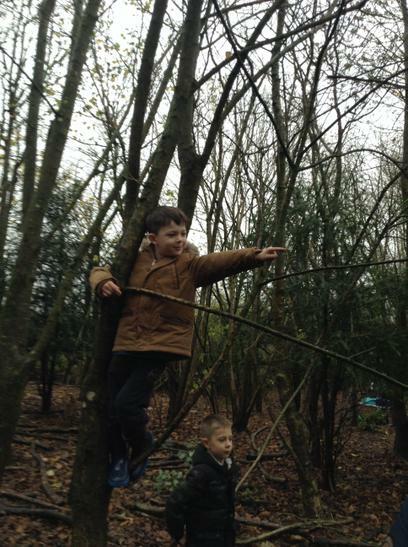 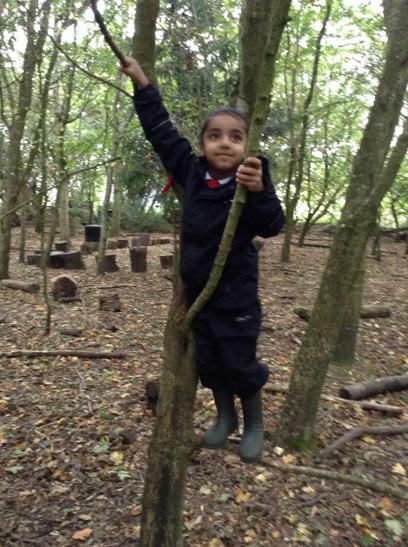 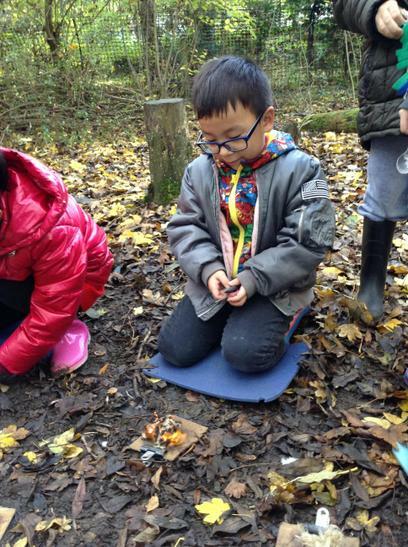 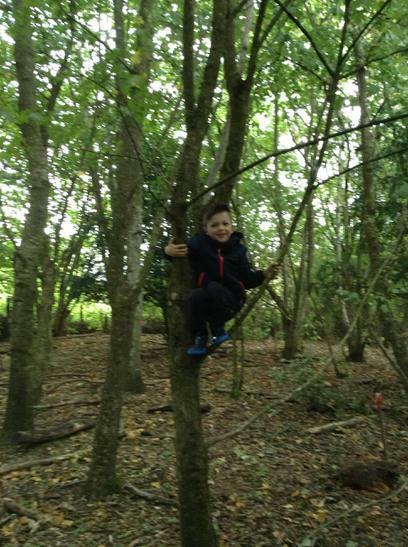 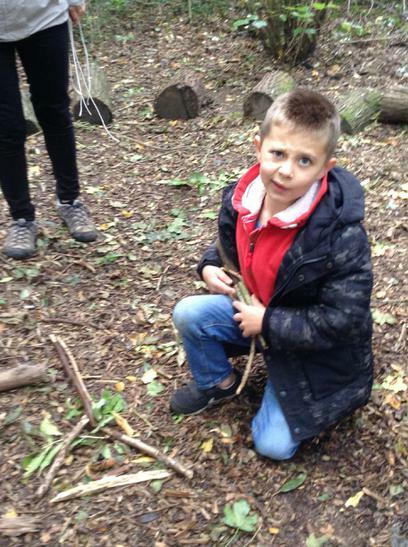 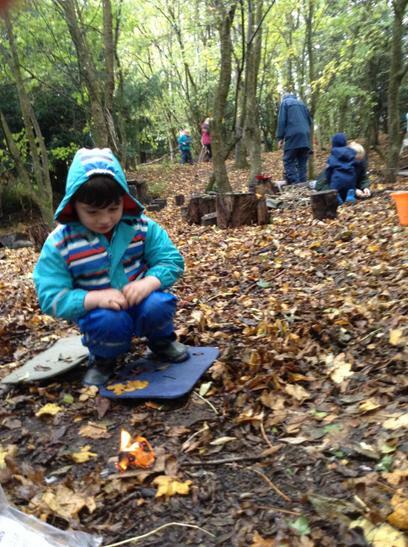 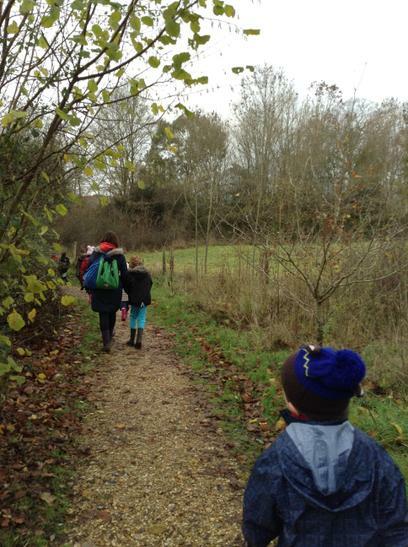 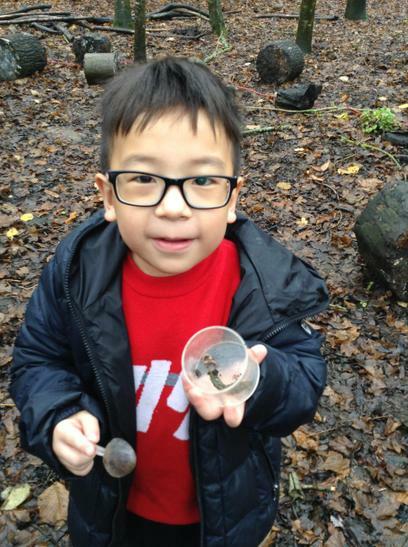 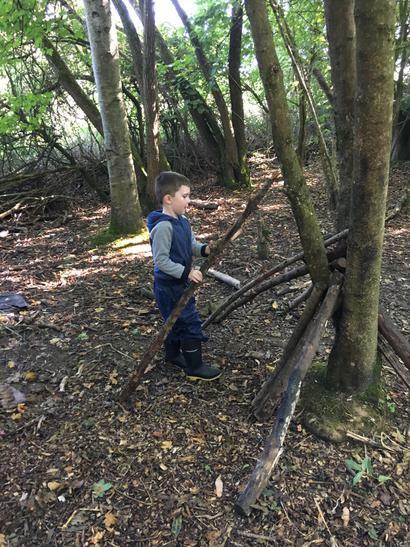 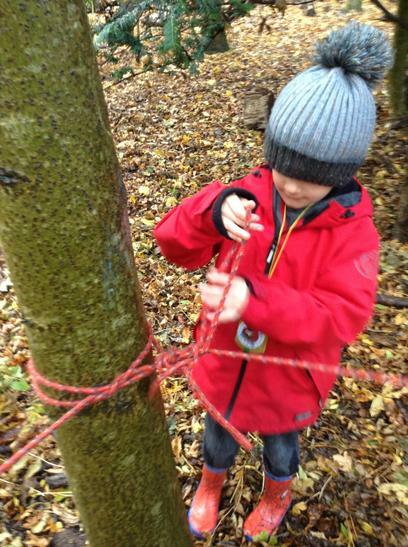 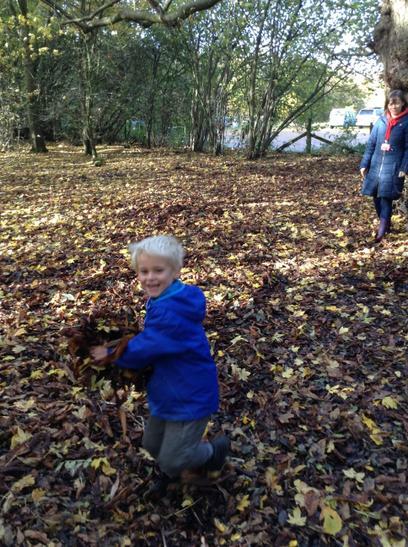 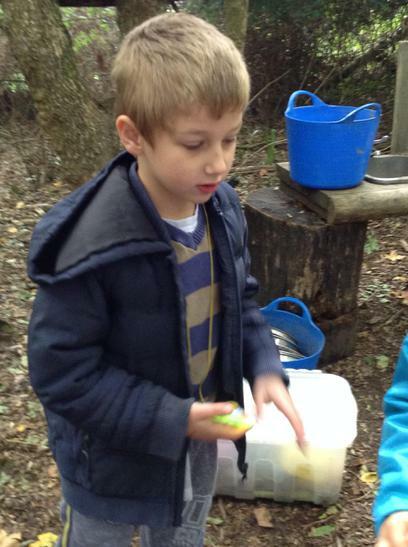 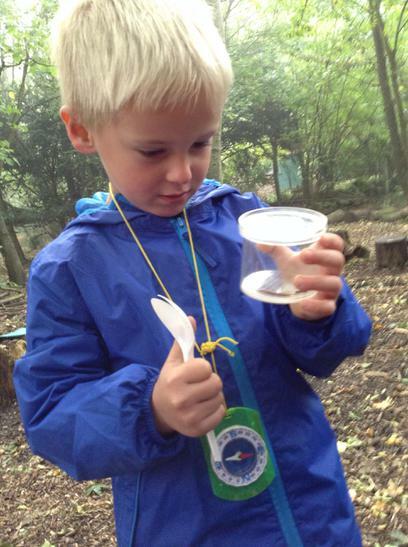 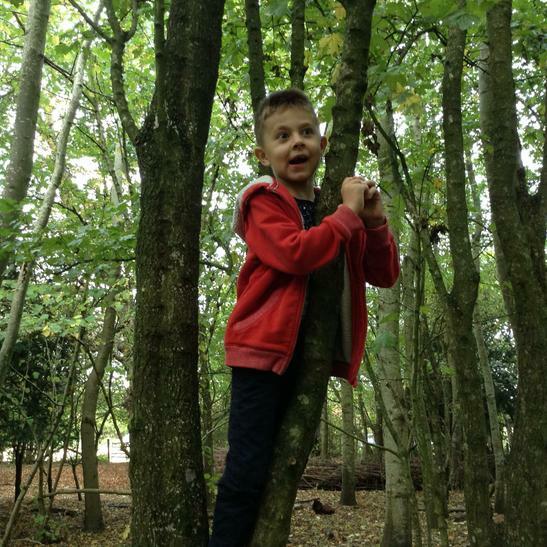 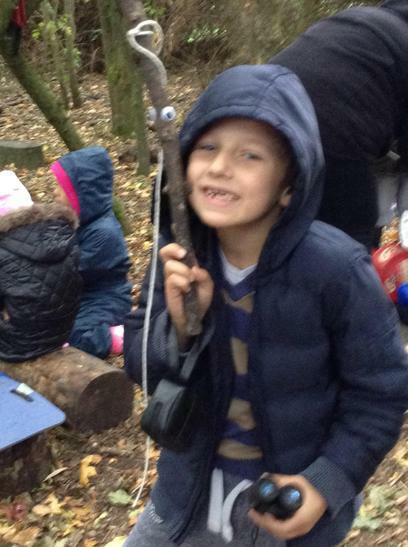 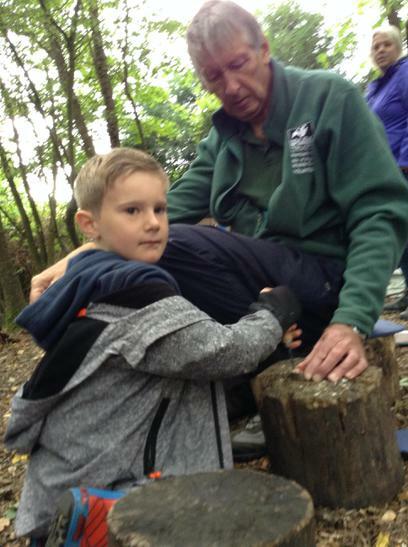 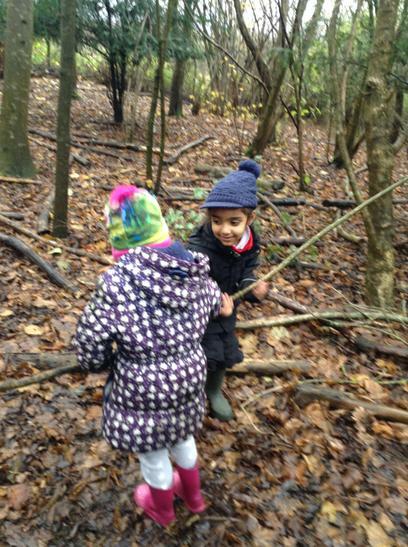 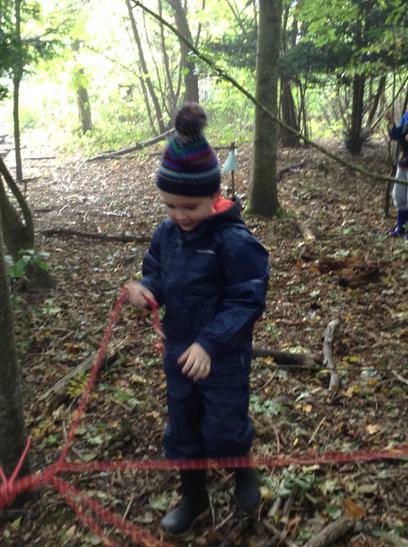 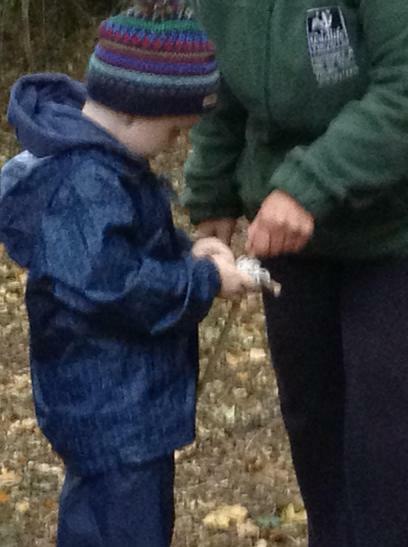 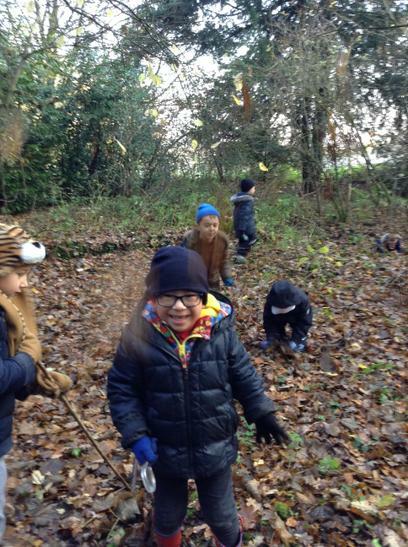 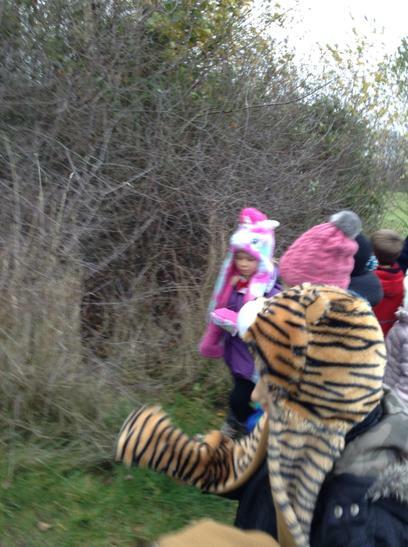 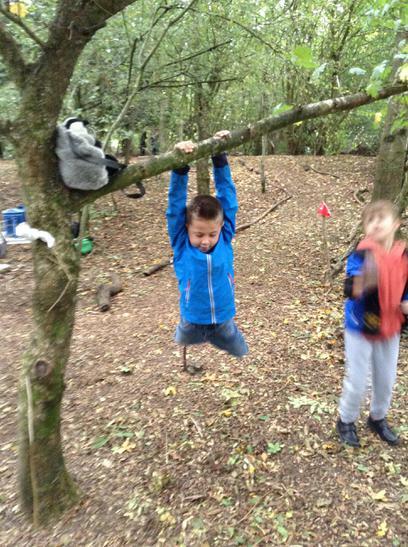 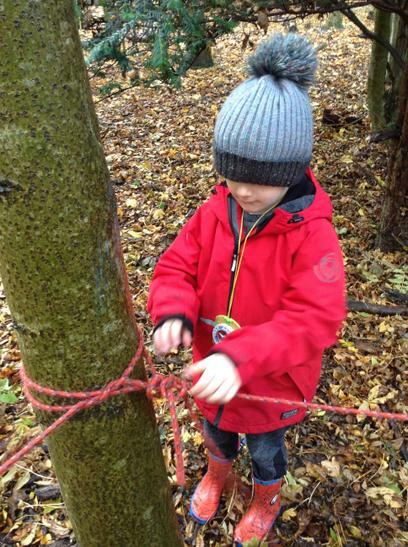 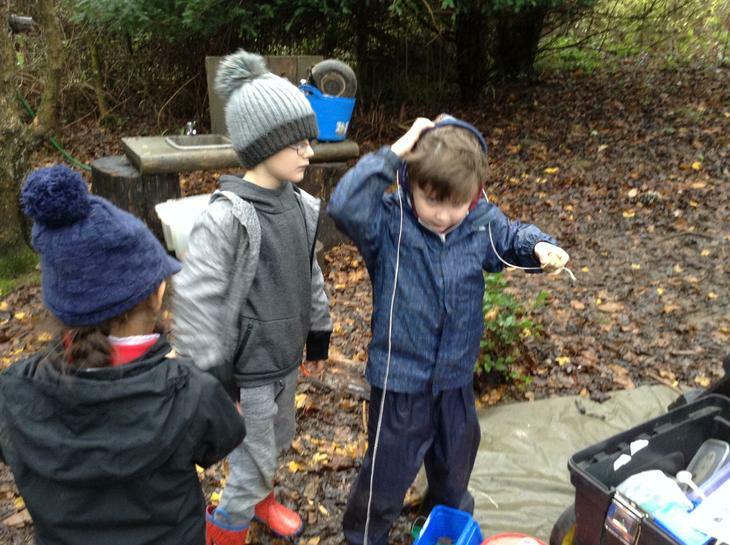 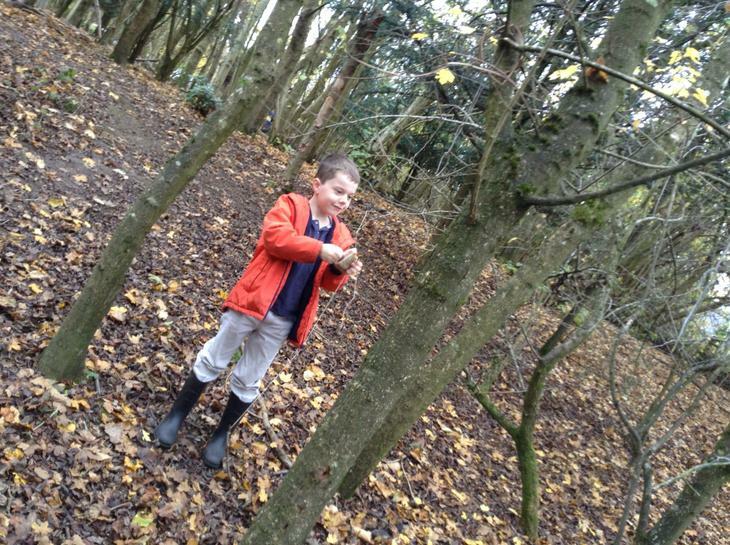 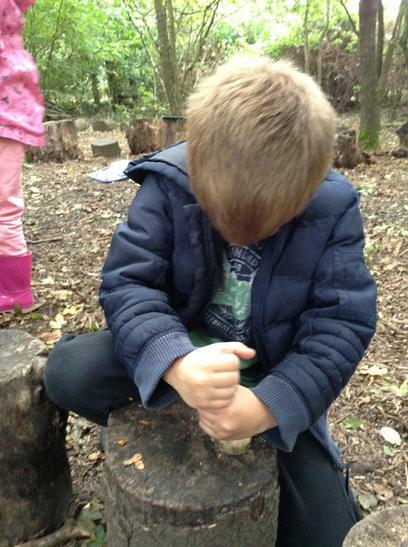 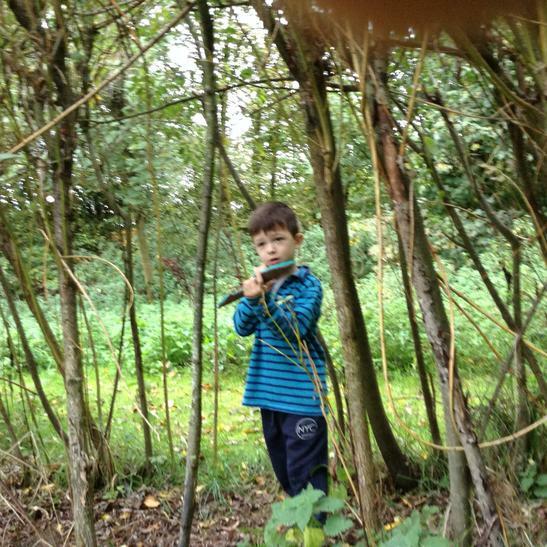 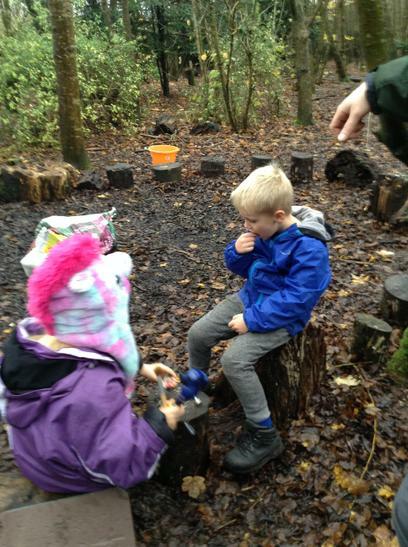 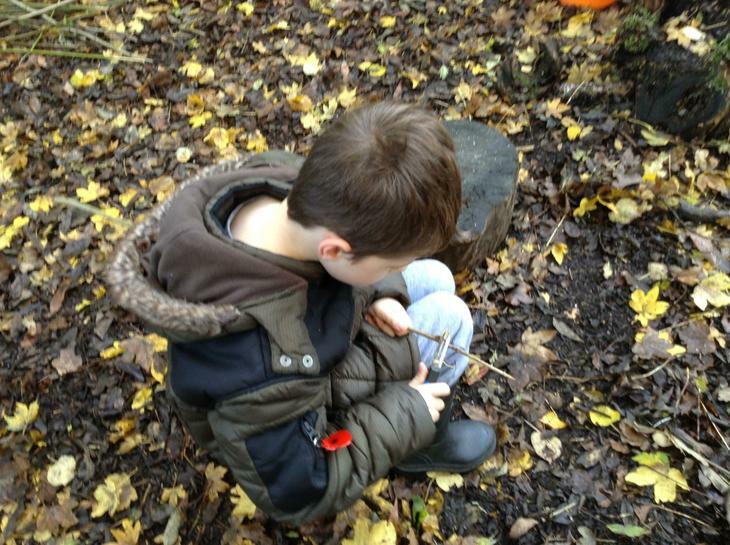 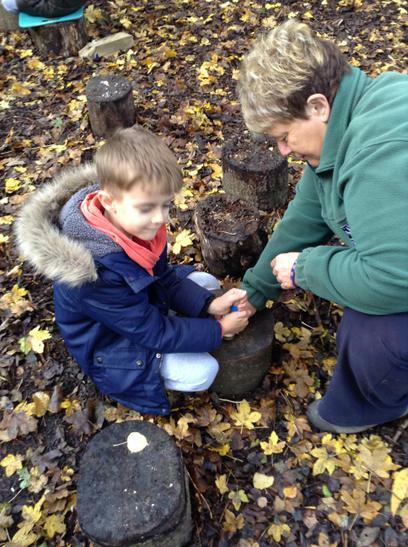 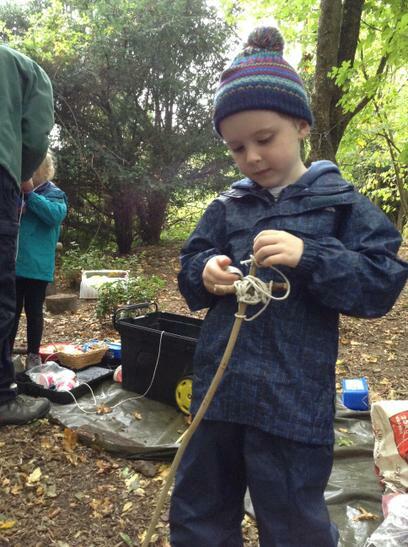 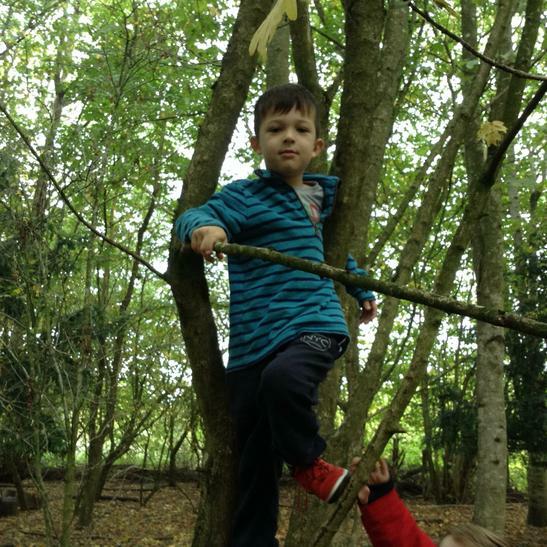 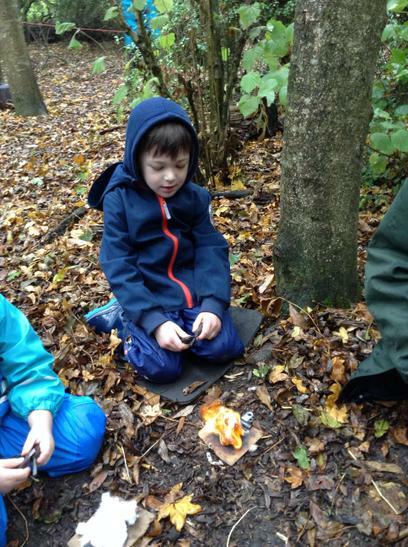 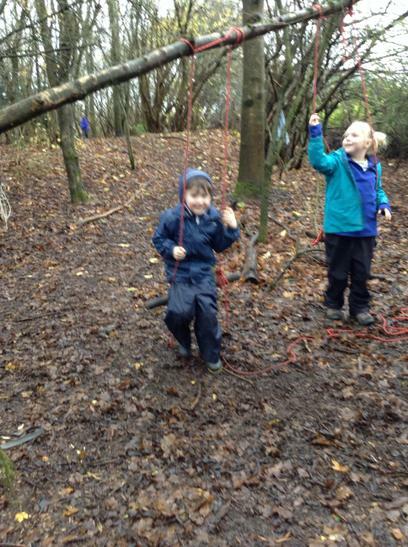 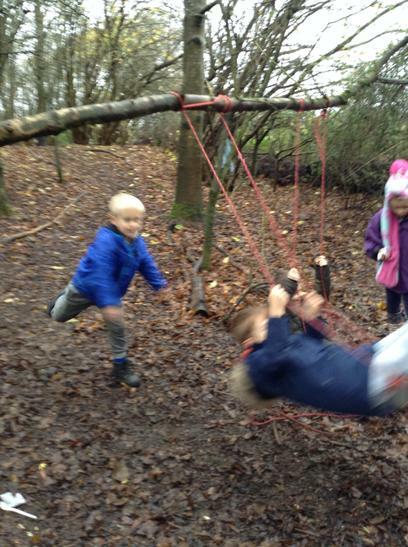 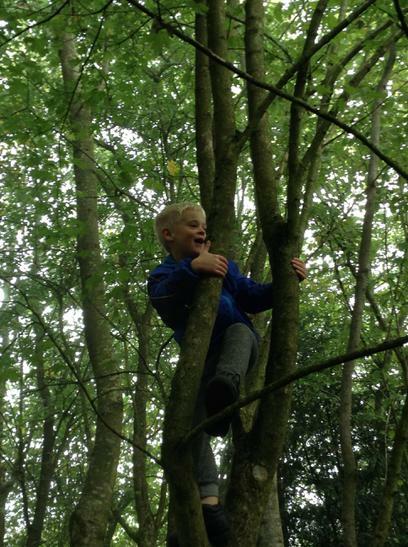 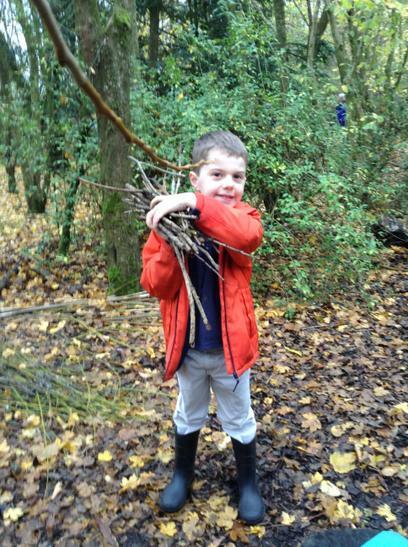 He had lost his confidence completely when he started year one and Forest School has brought it back. 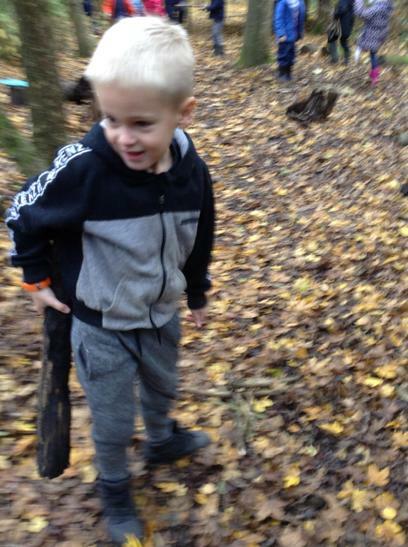 He’s so much happier again. 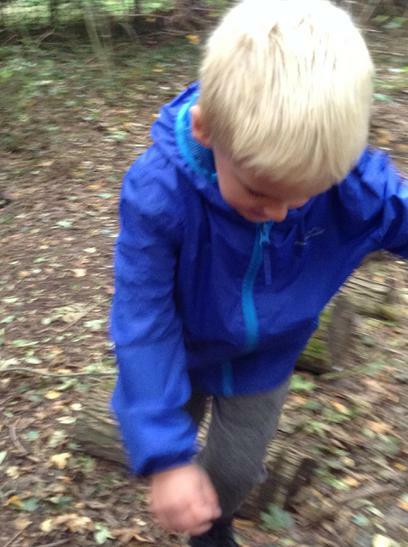 He talks to people that he hasn’t met, interacts much better with everyone. 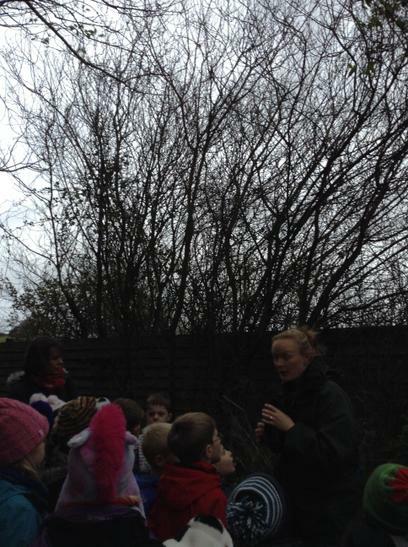 Stood in front of the whole school yesterday and spoke lines. 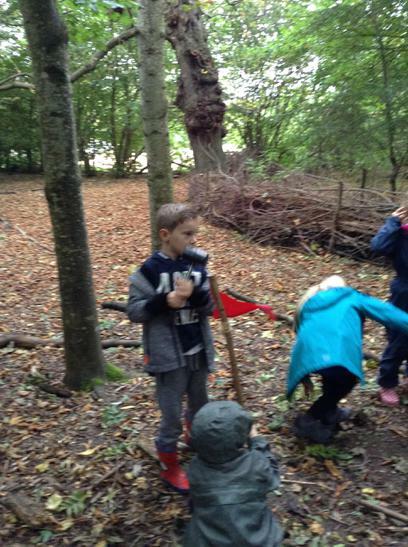 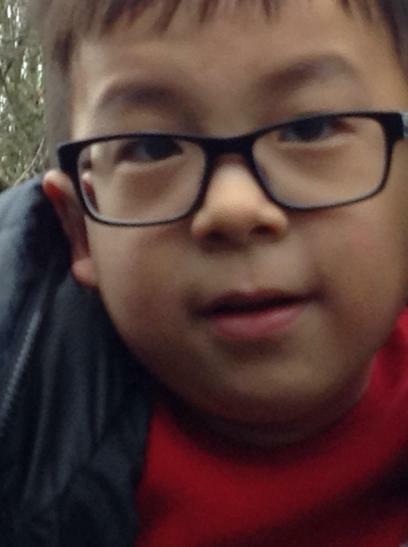 He is willing to work together and help out more and he is listening and concentrating much more. 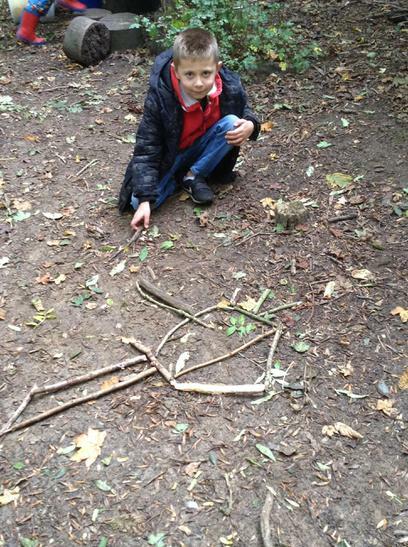 He has gained better listening skills and enjoyed expressing his creativity. 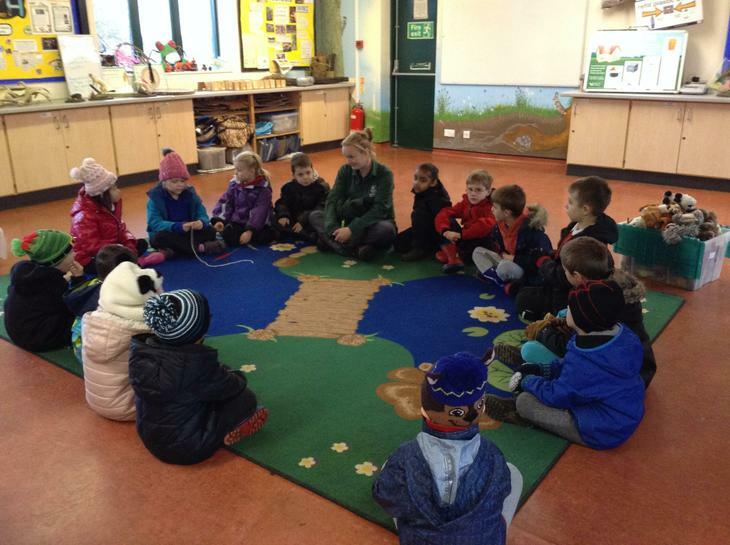 Building different friendship circles. 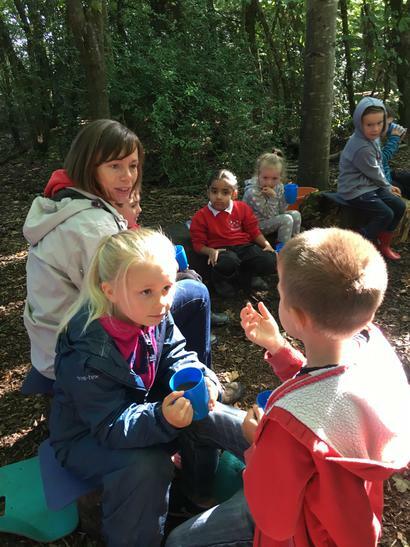 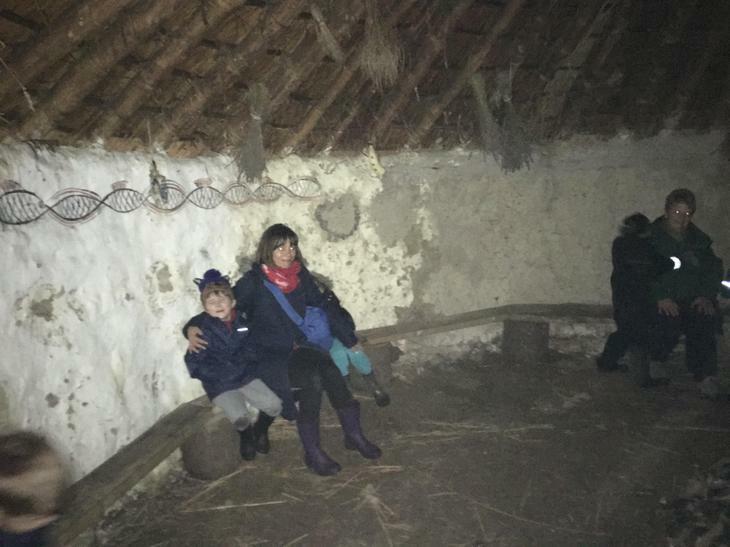 What would you say to the parents of next years Year 1/2 children if they asked for your views about this year’s project?